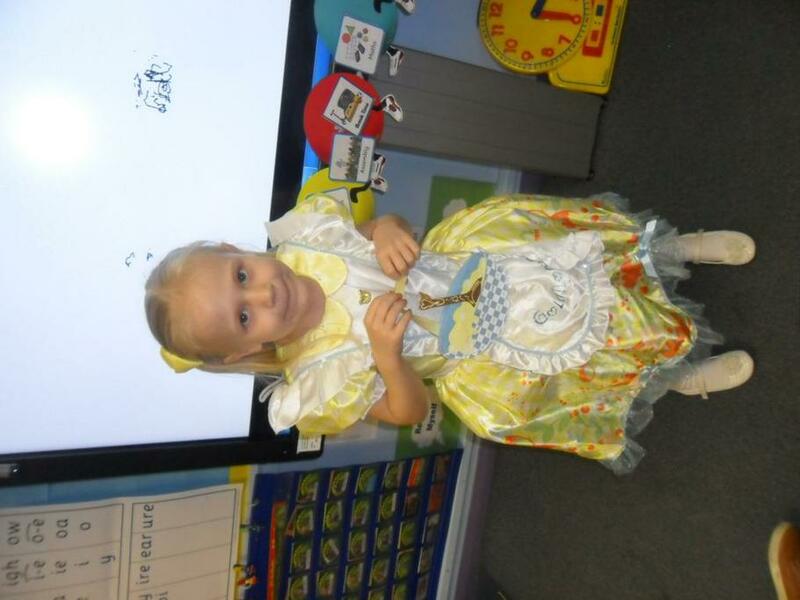 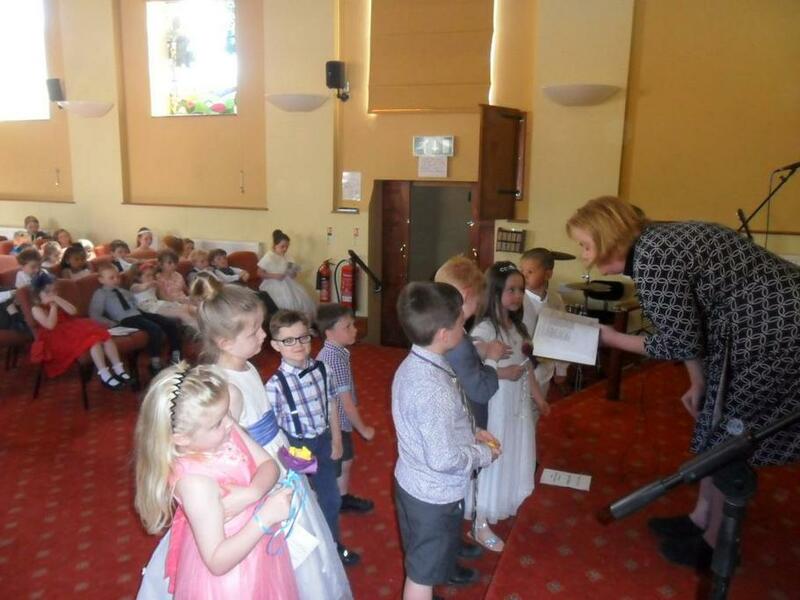 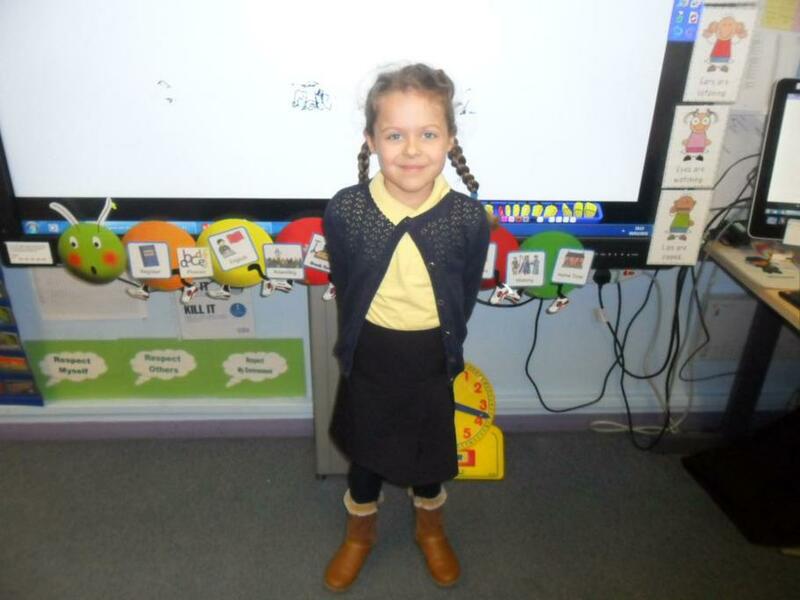 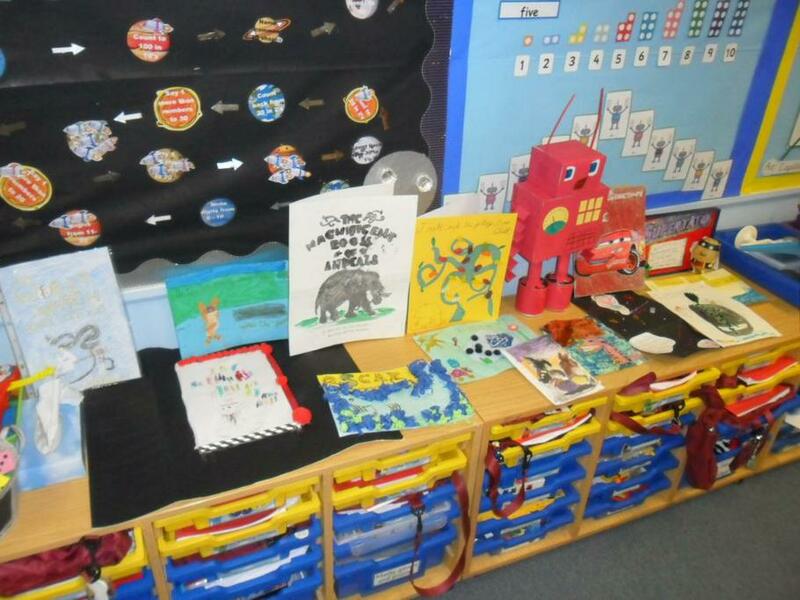 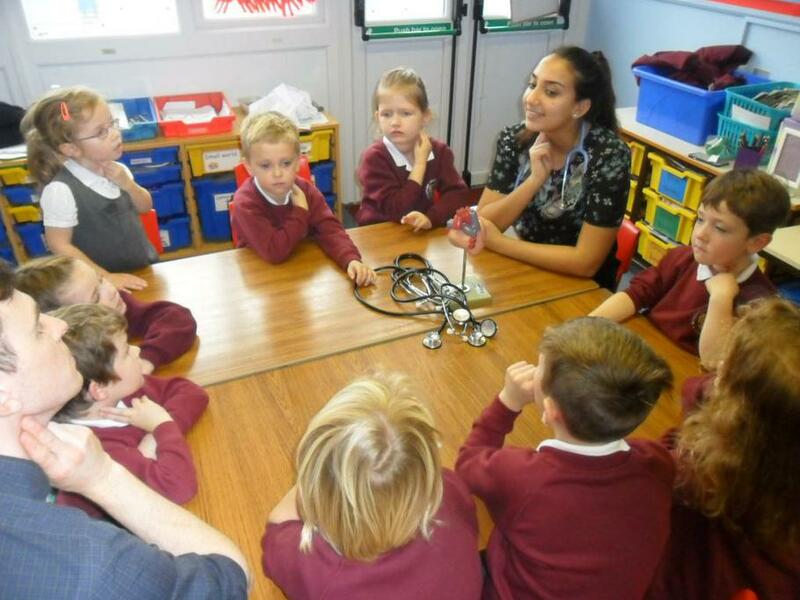 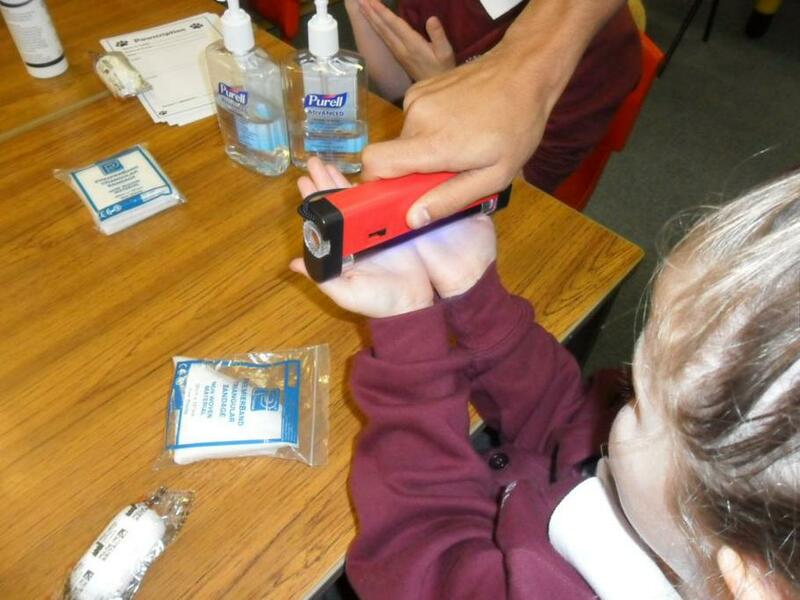 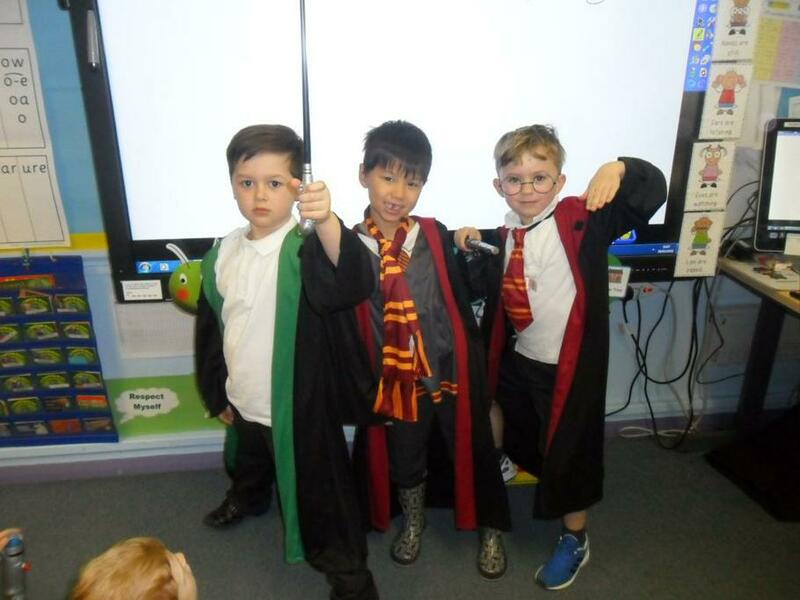 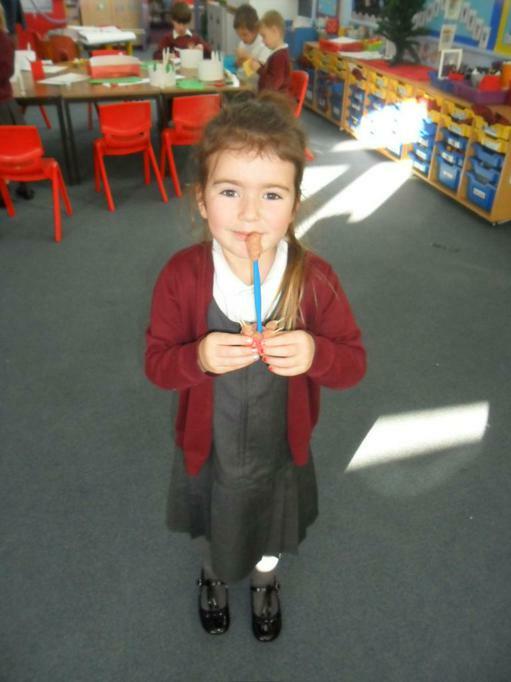 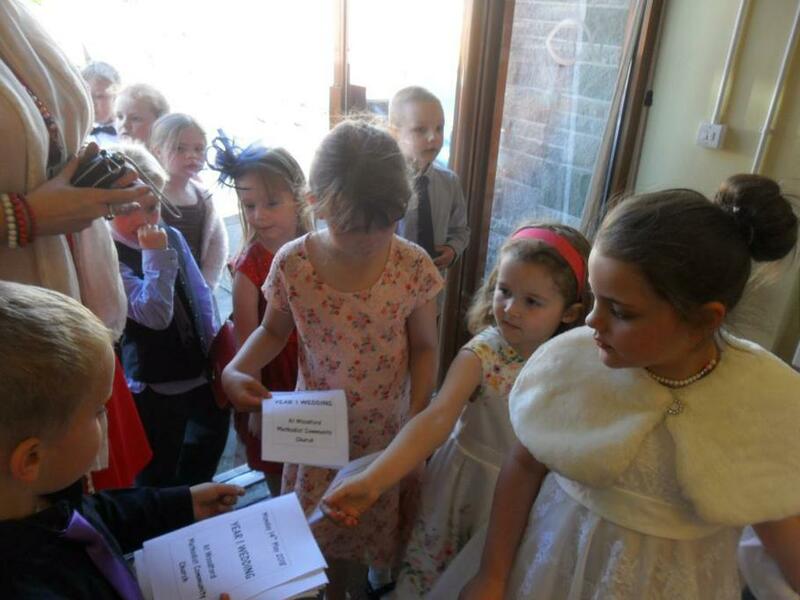 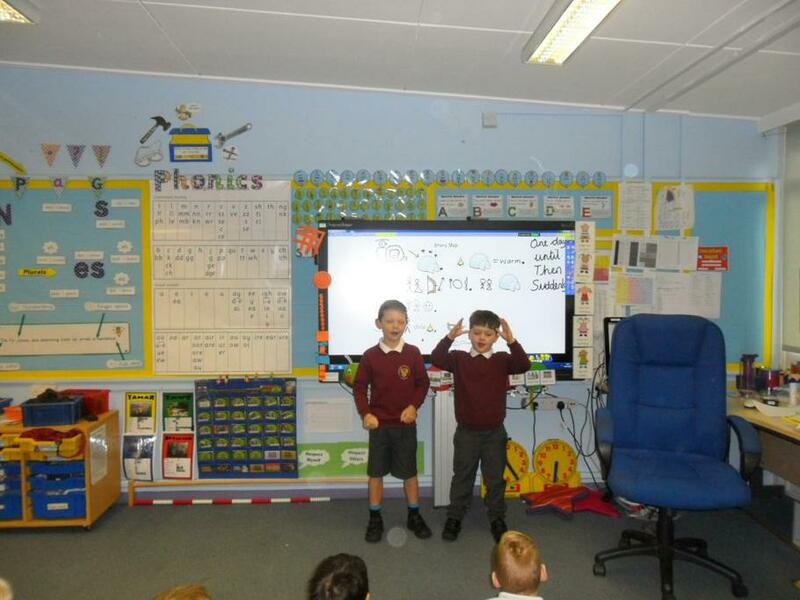 It has been an absolute pleasure to welcome the children into the Fir class. 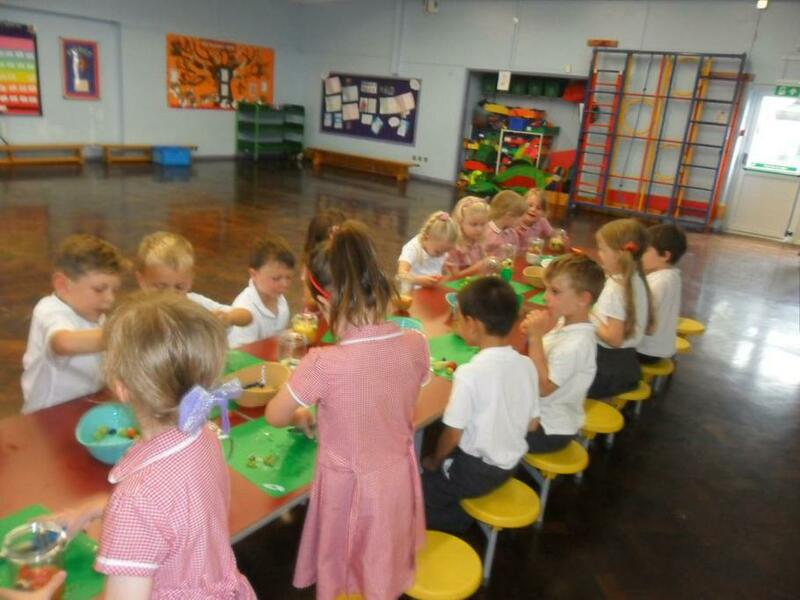 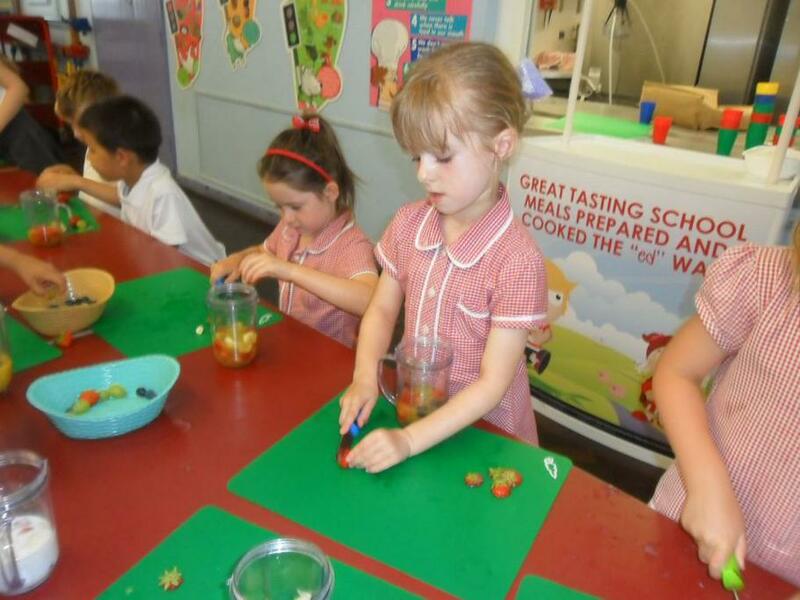 They have all settled really well and seem to be enjoying the new Year 1 environment. 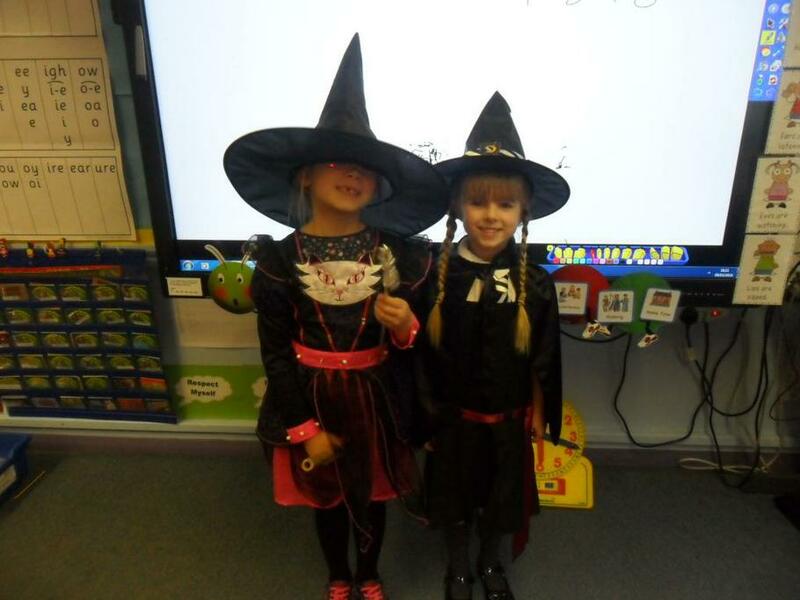 We have started some fantastic learning and are looking forward to our topic this term 'Marvellous Me'. 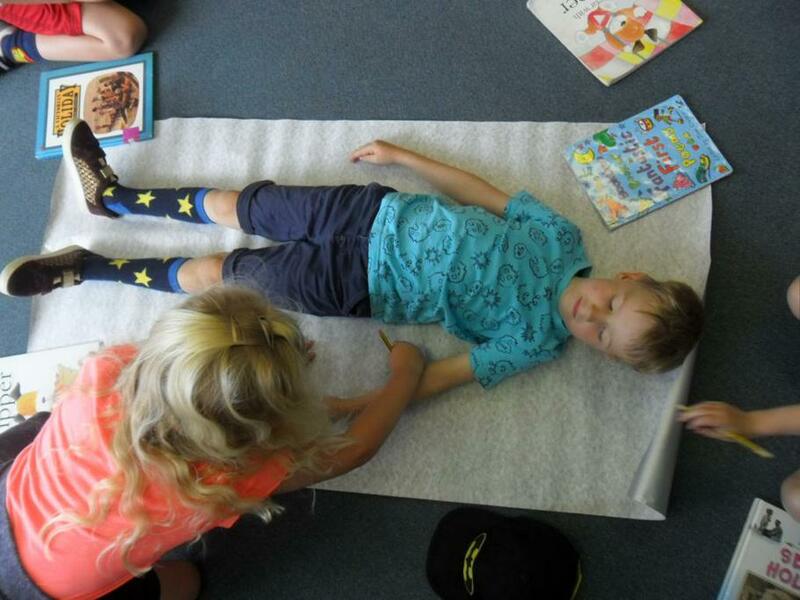 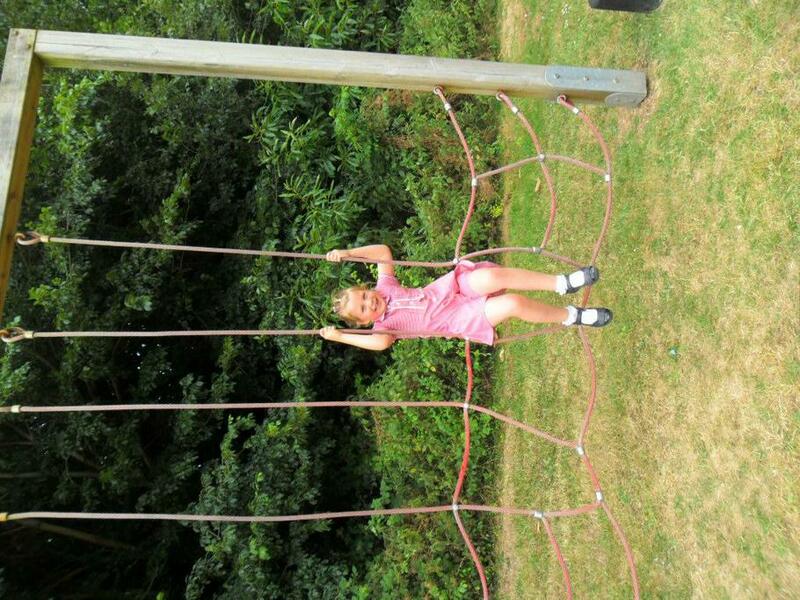 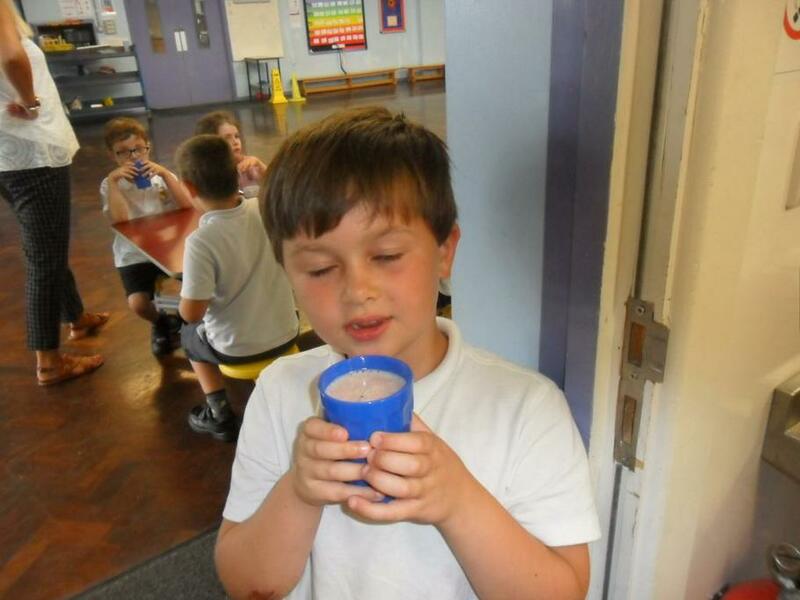 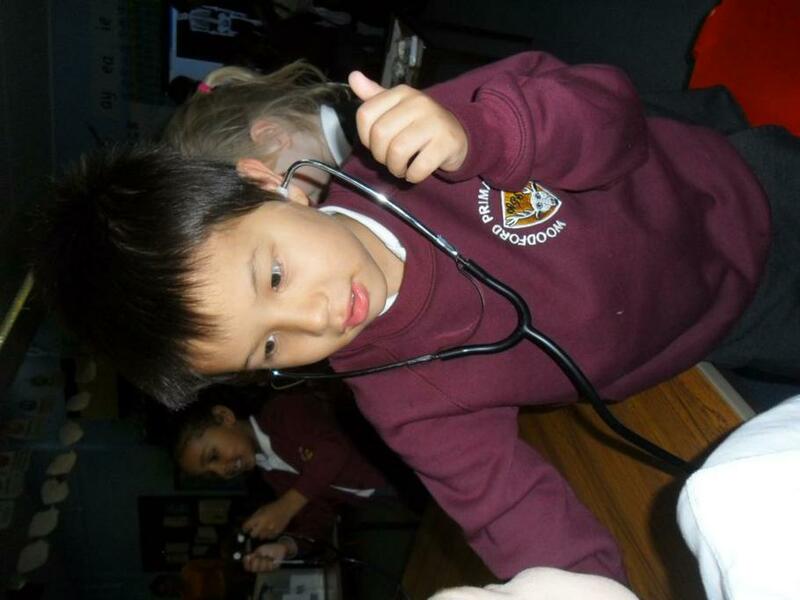 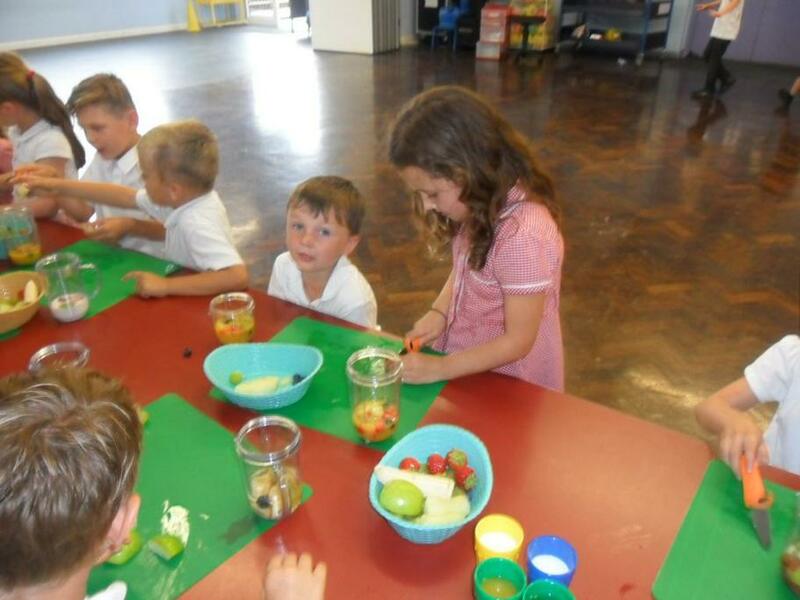 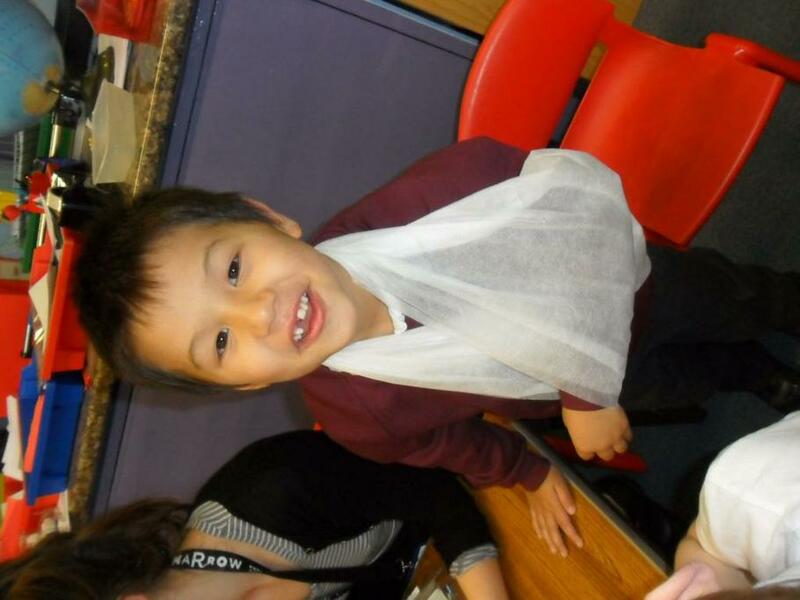 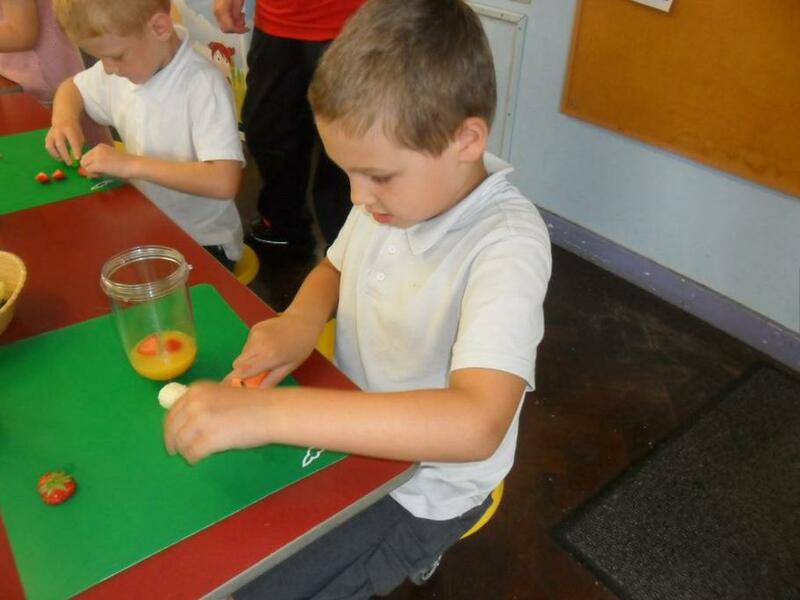 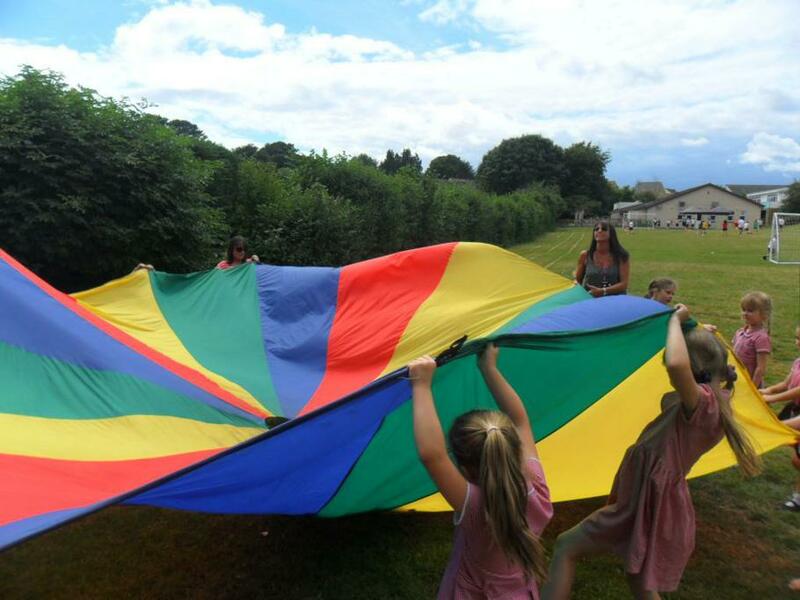 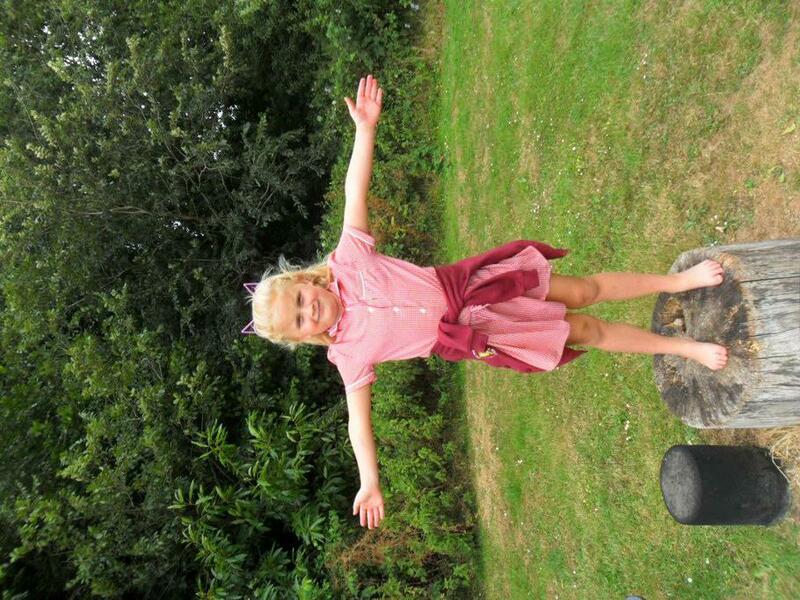 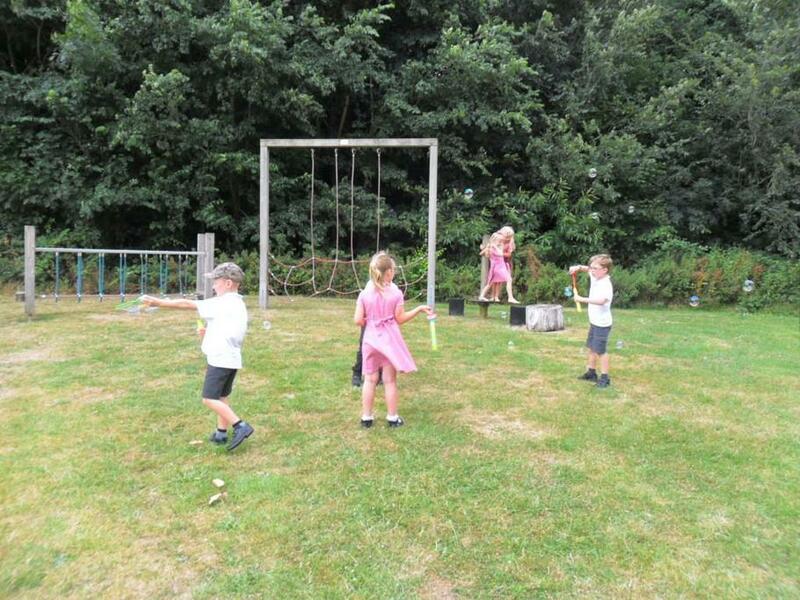 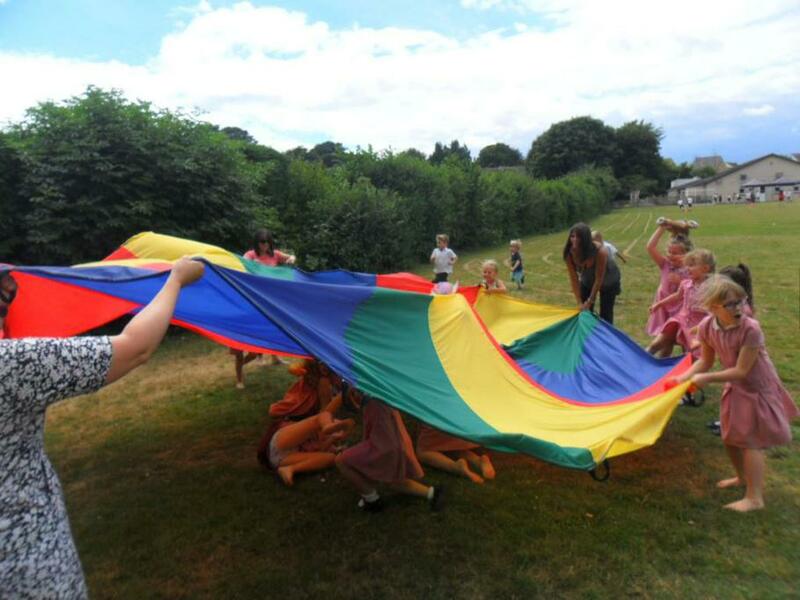 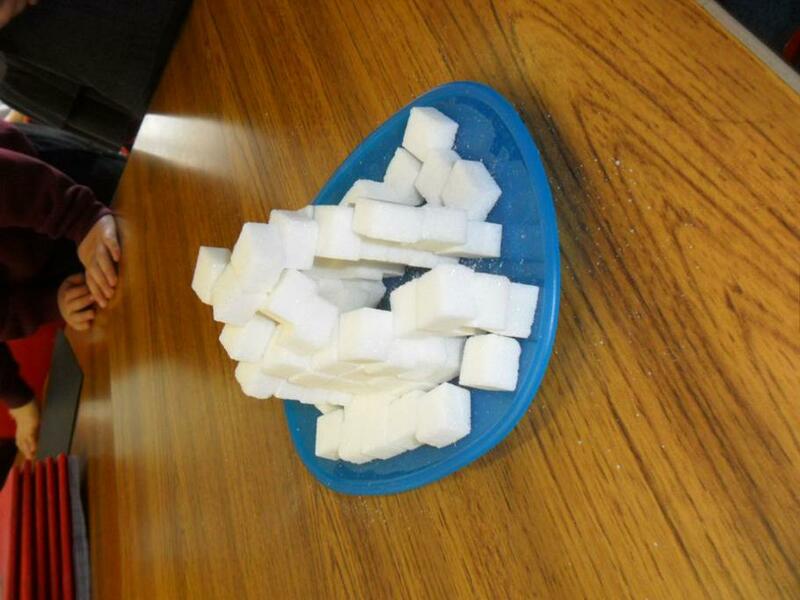 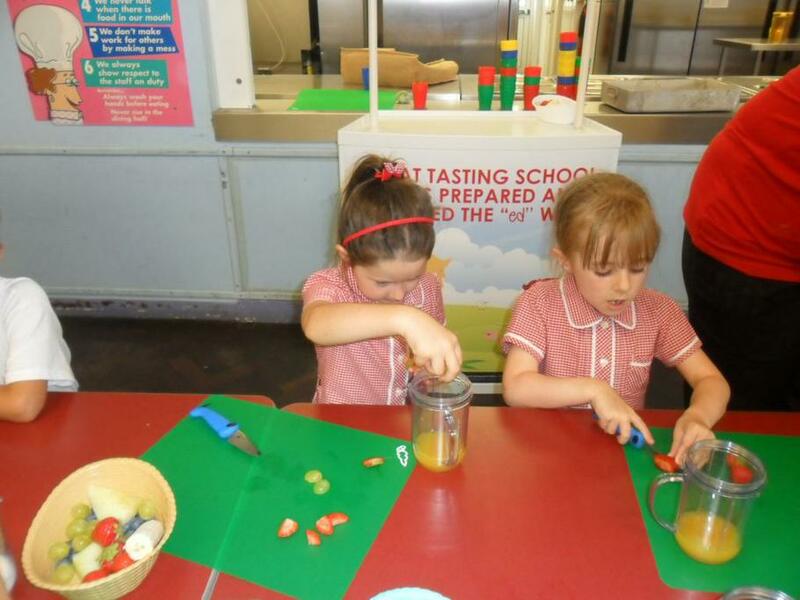 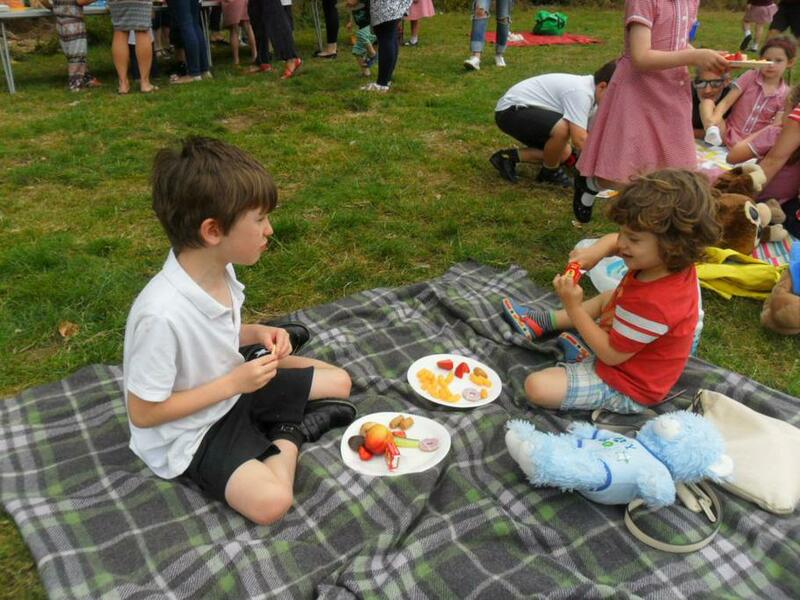 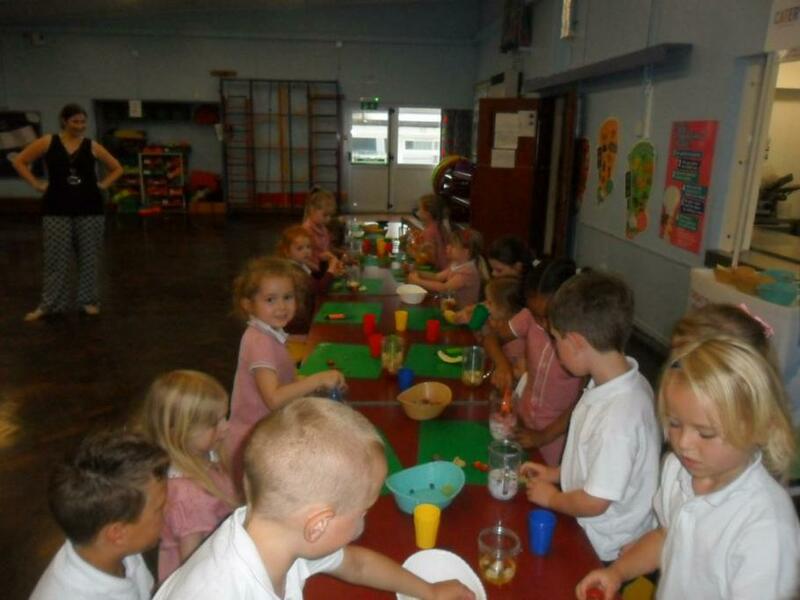 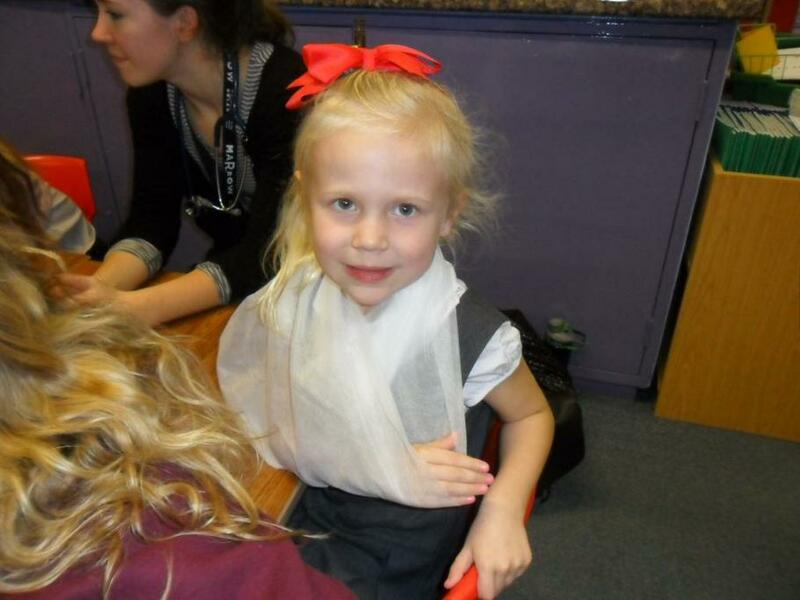 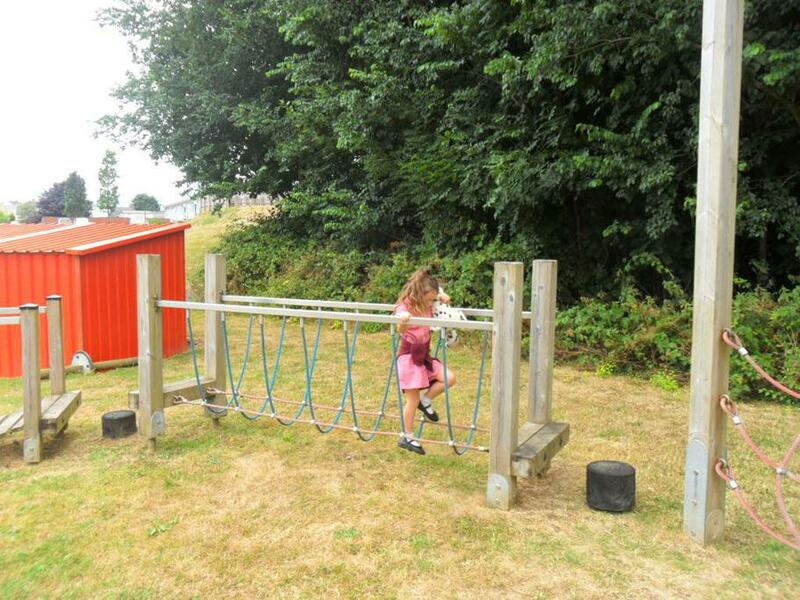 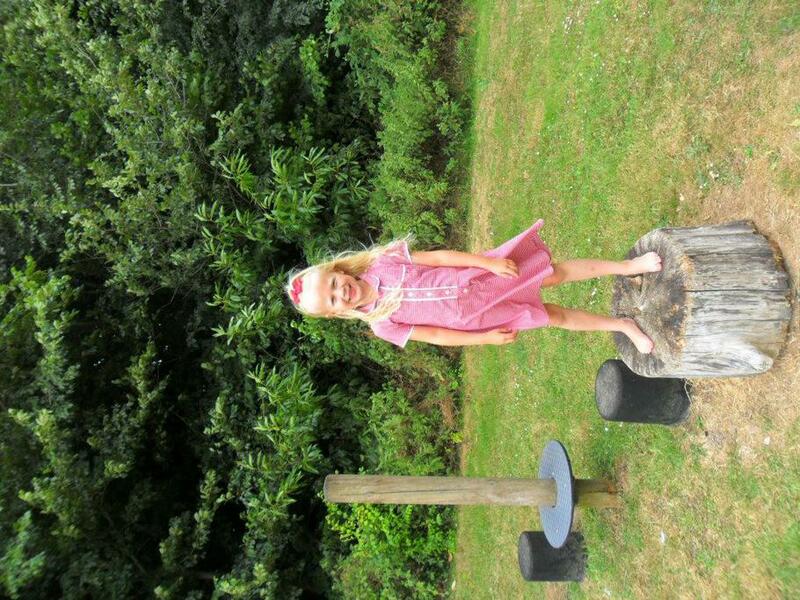 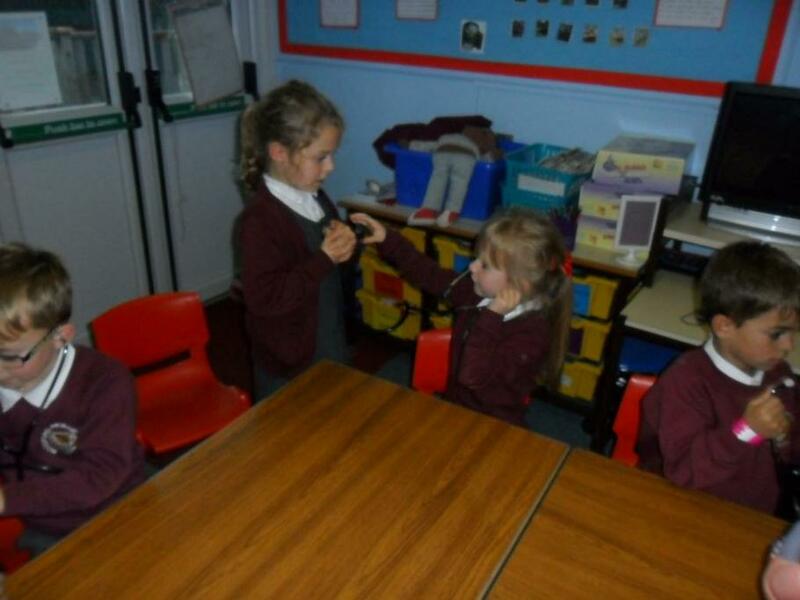 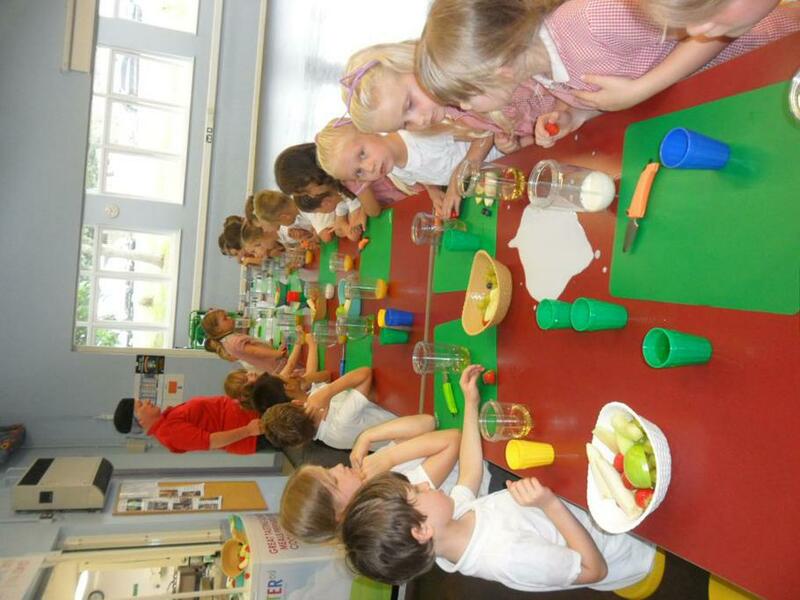 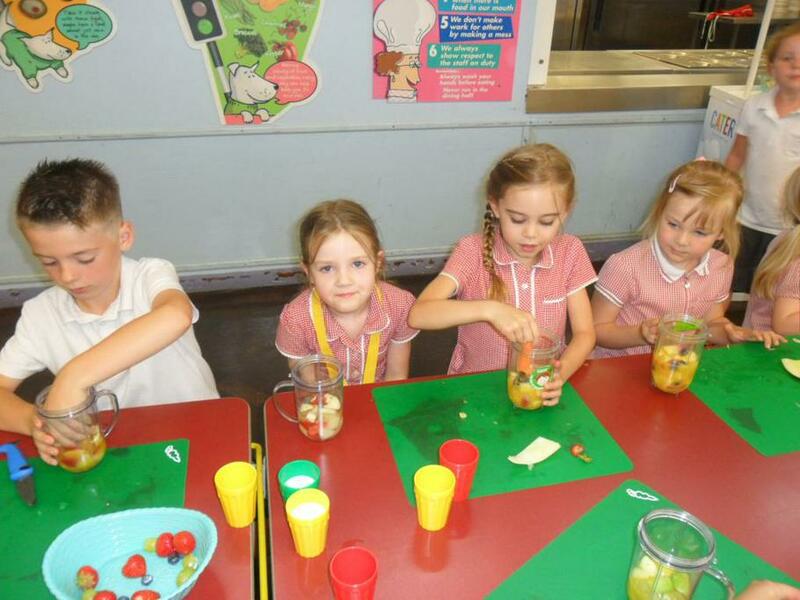 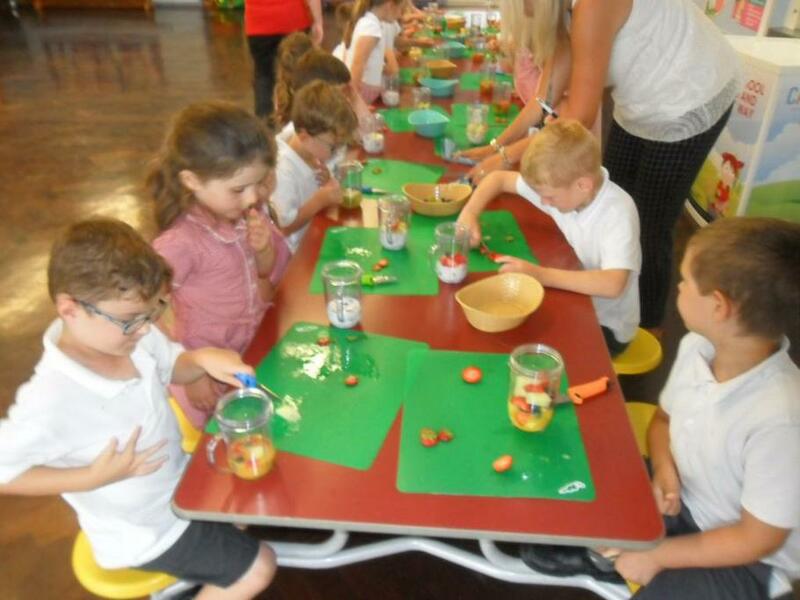 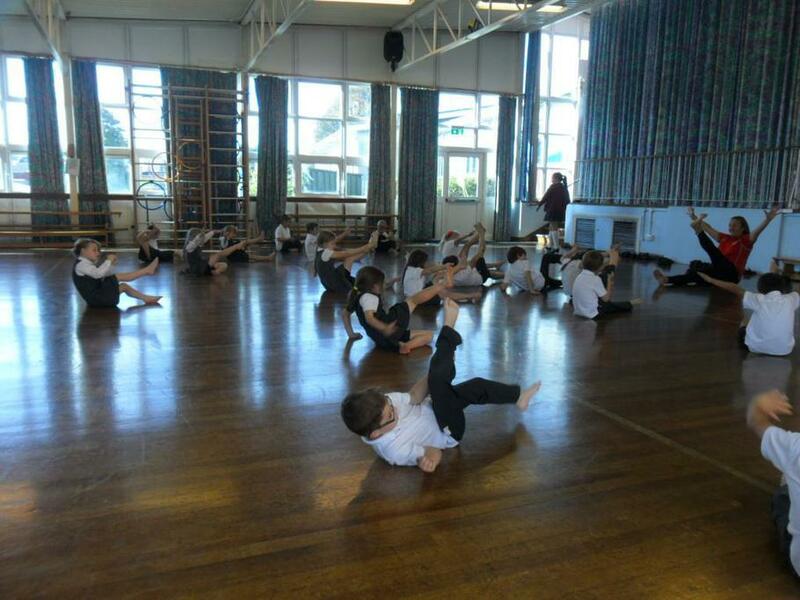 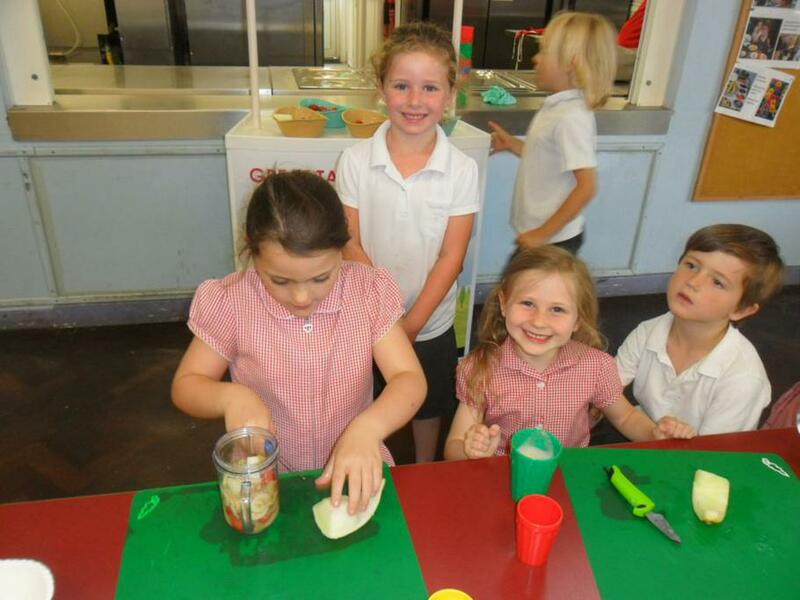 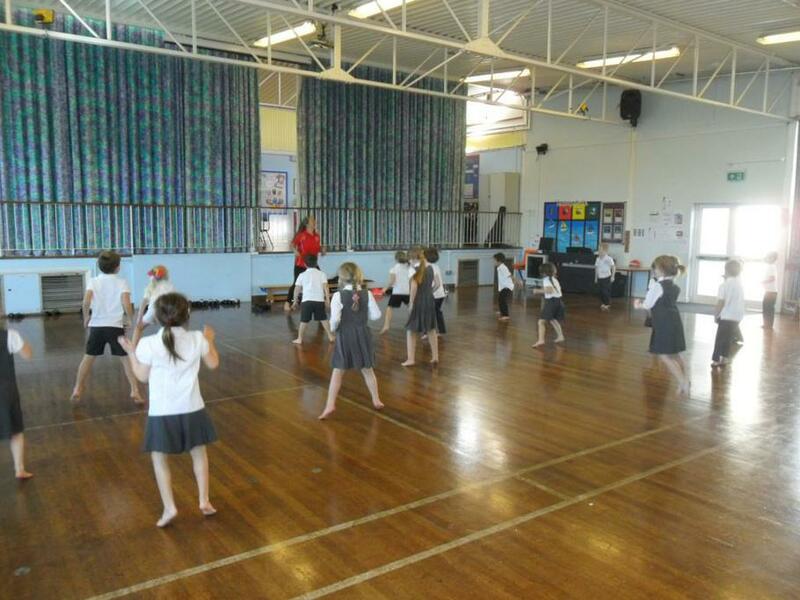 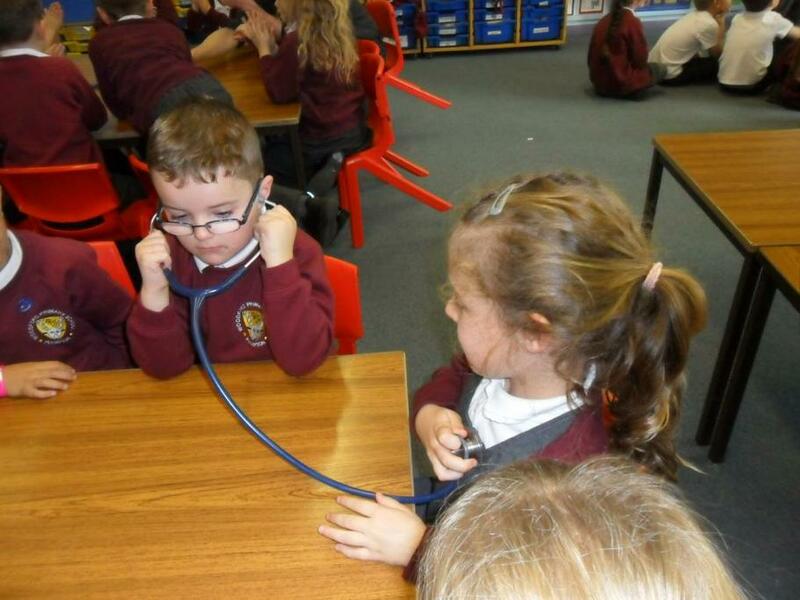 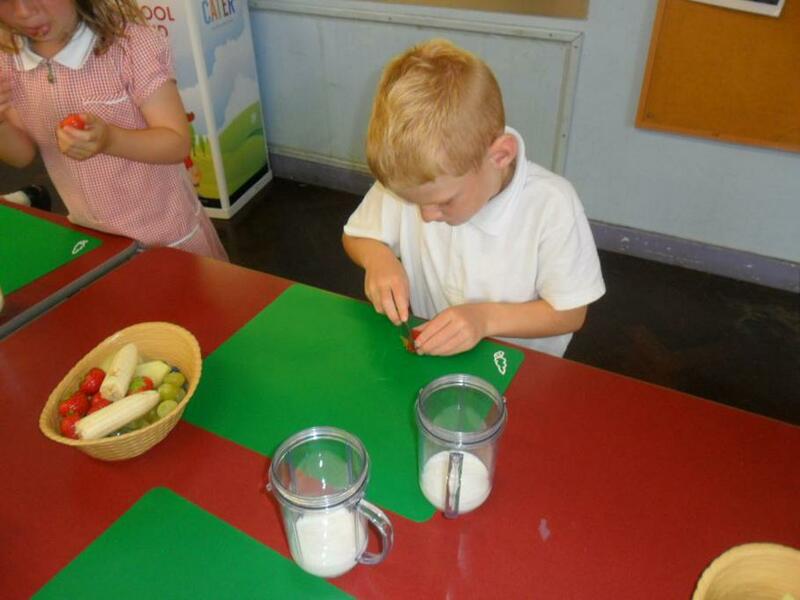 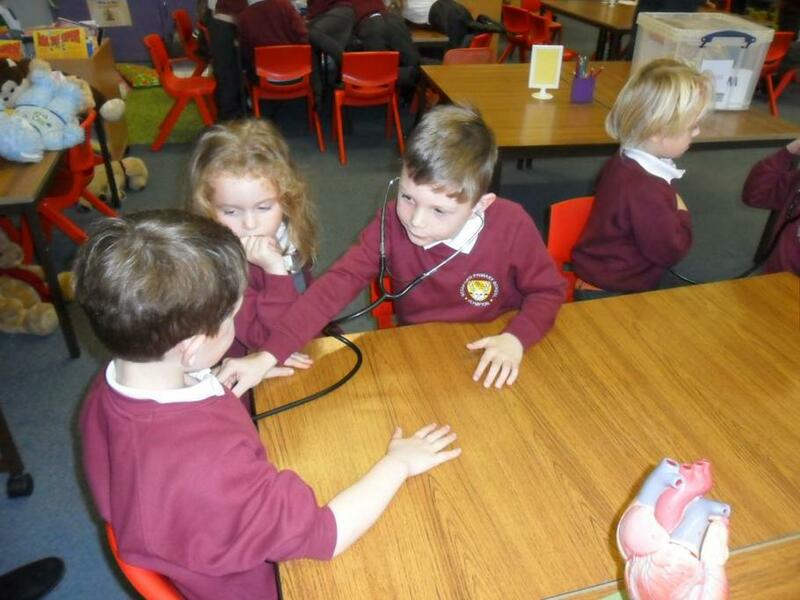 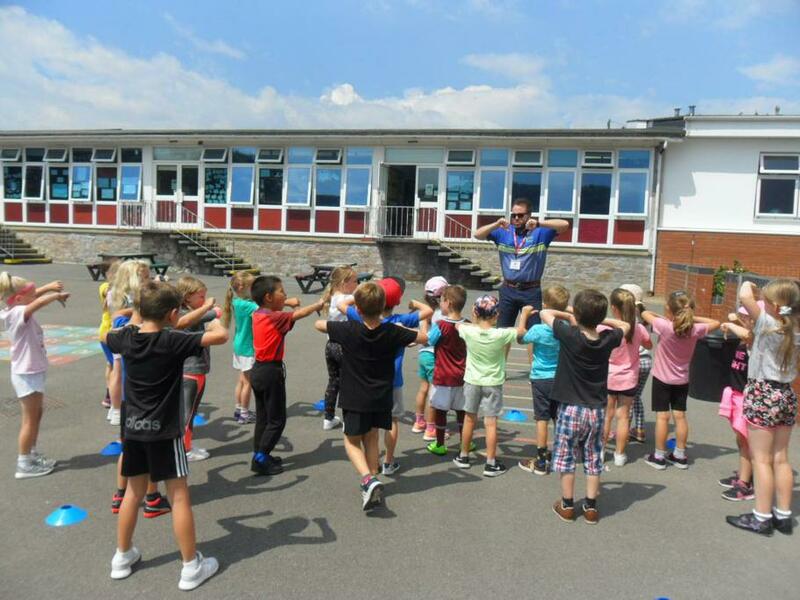 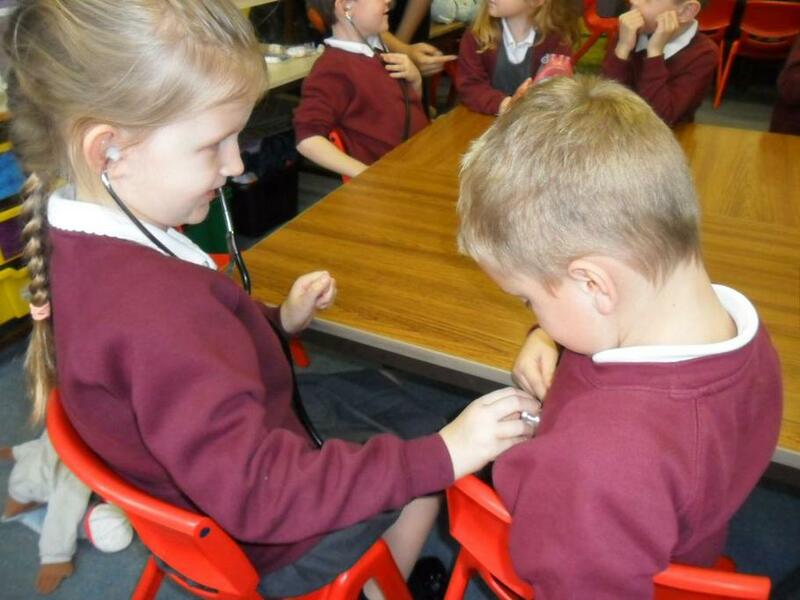 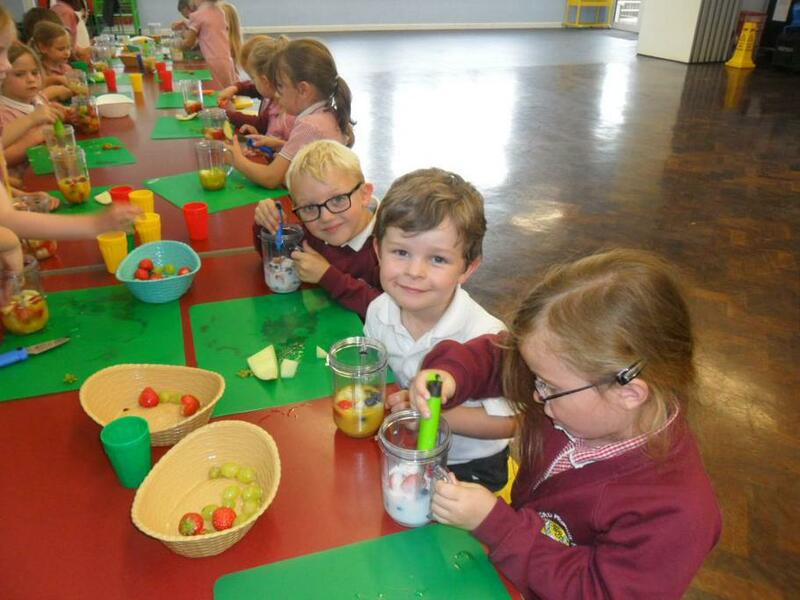 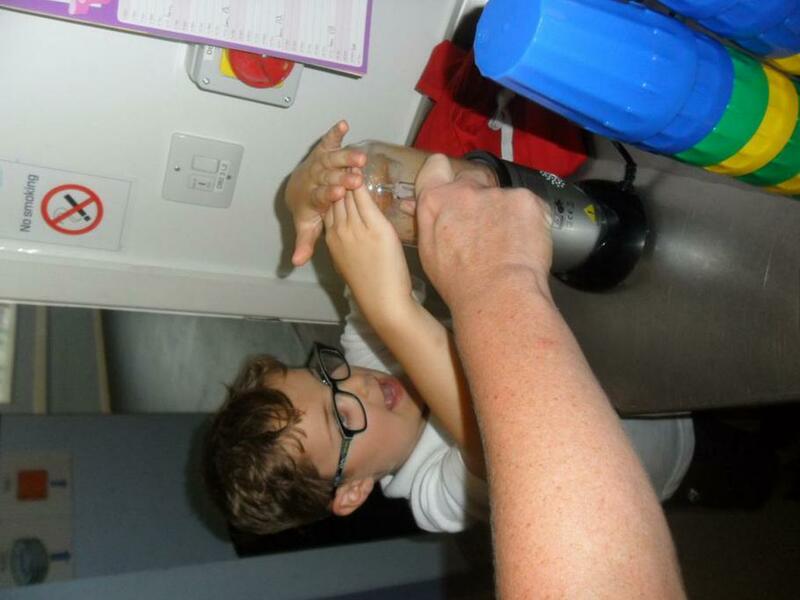 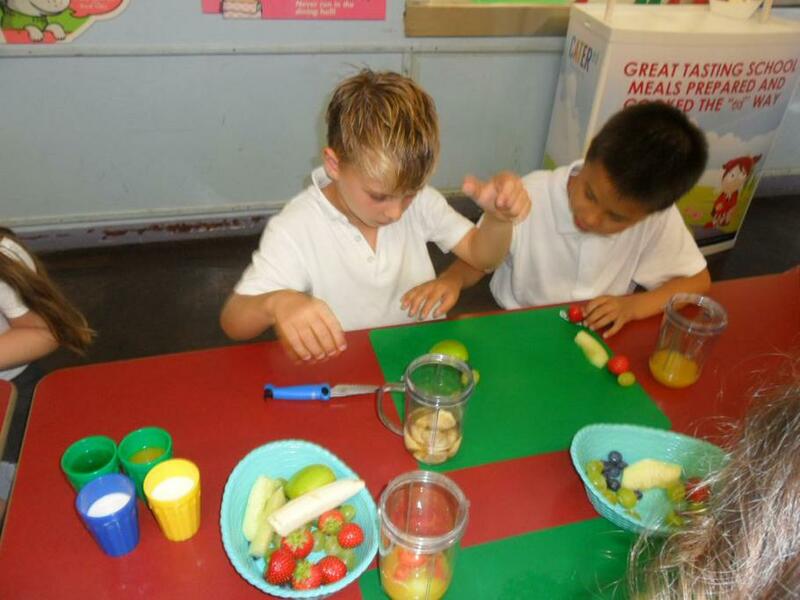 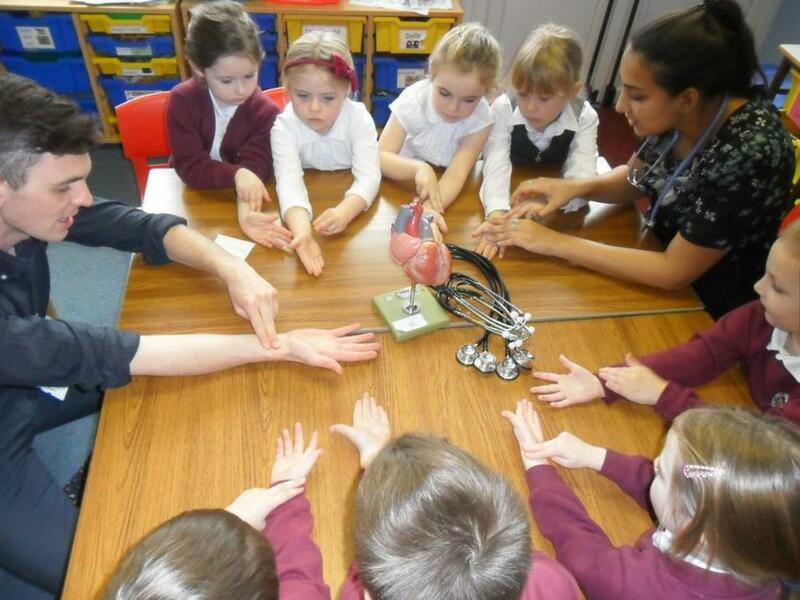 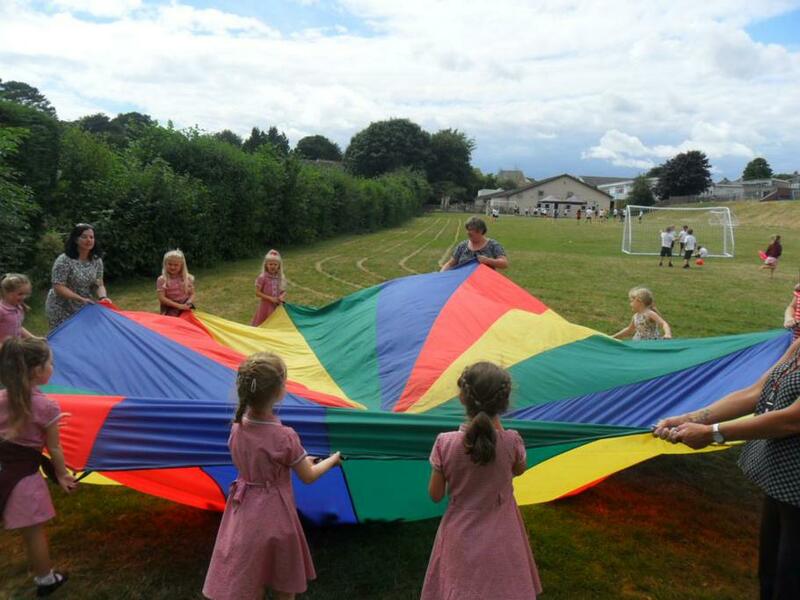 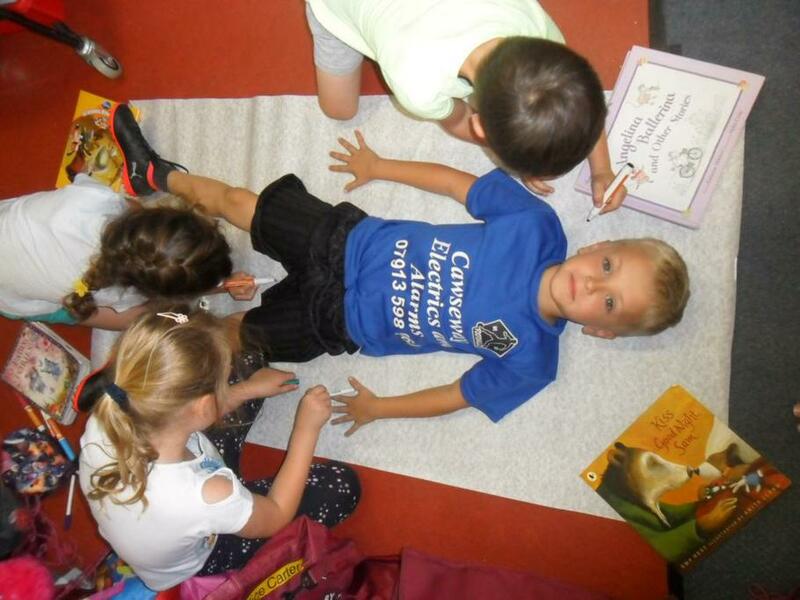 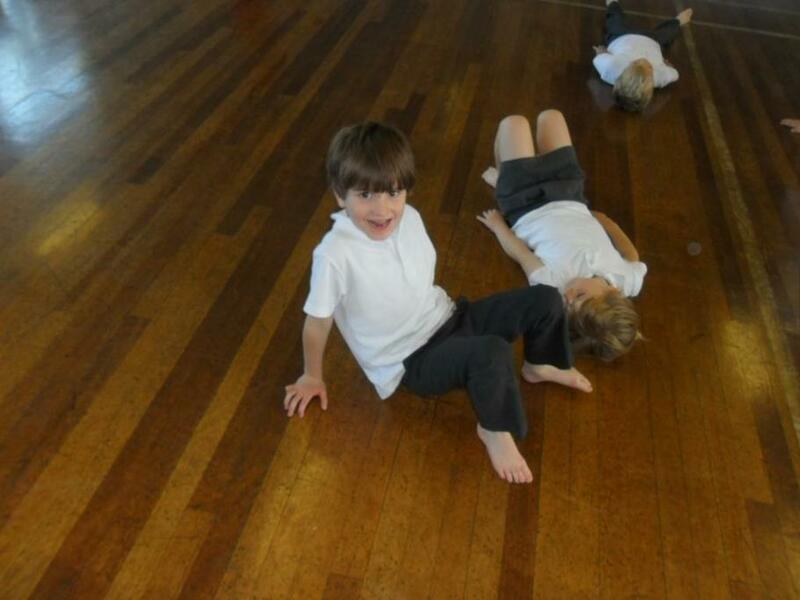 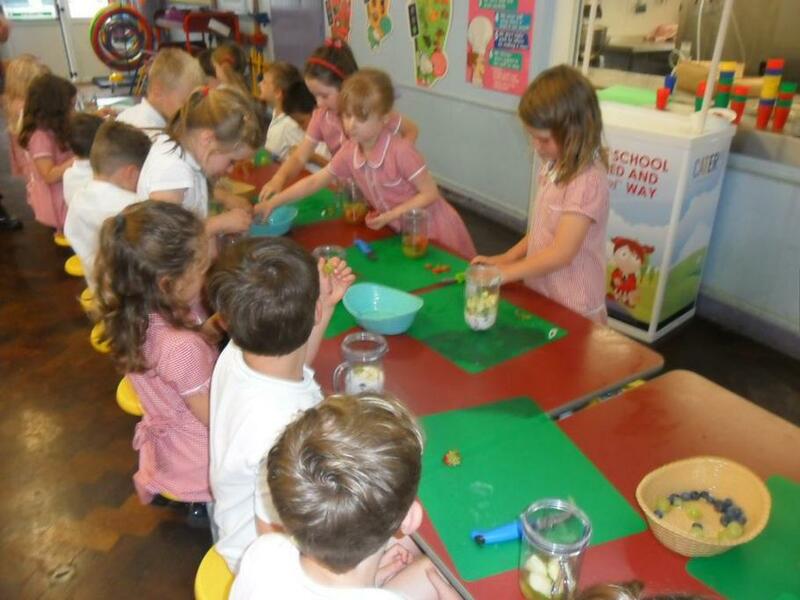 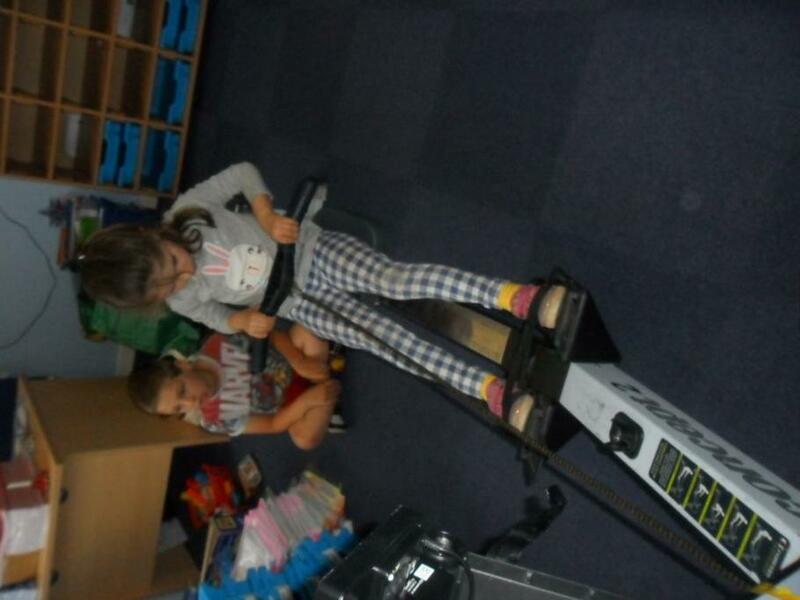 The children had a lovely week taking part in lots of healthy based activities. 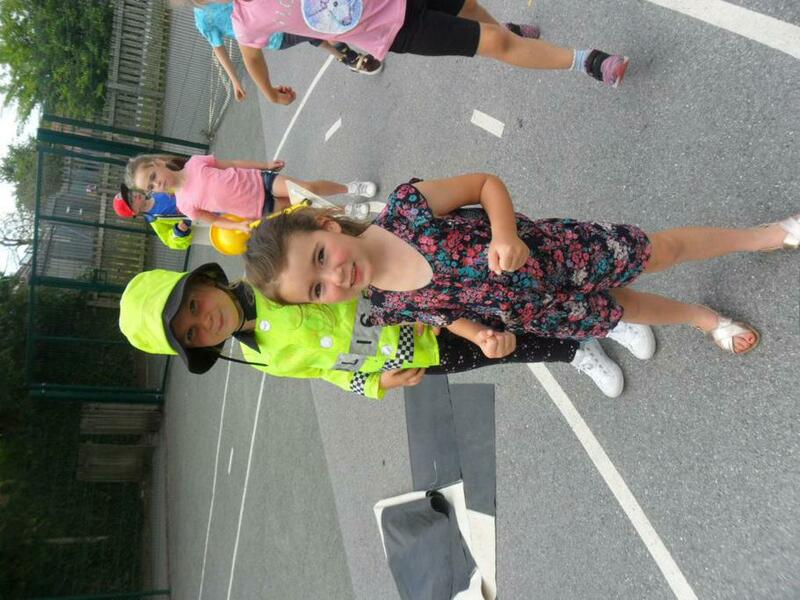 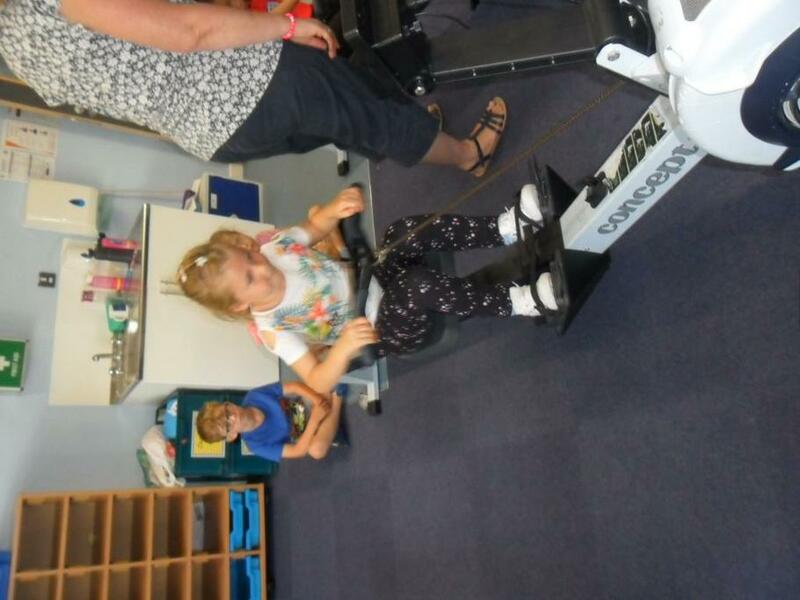 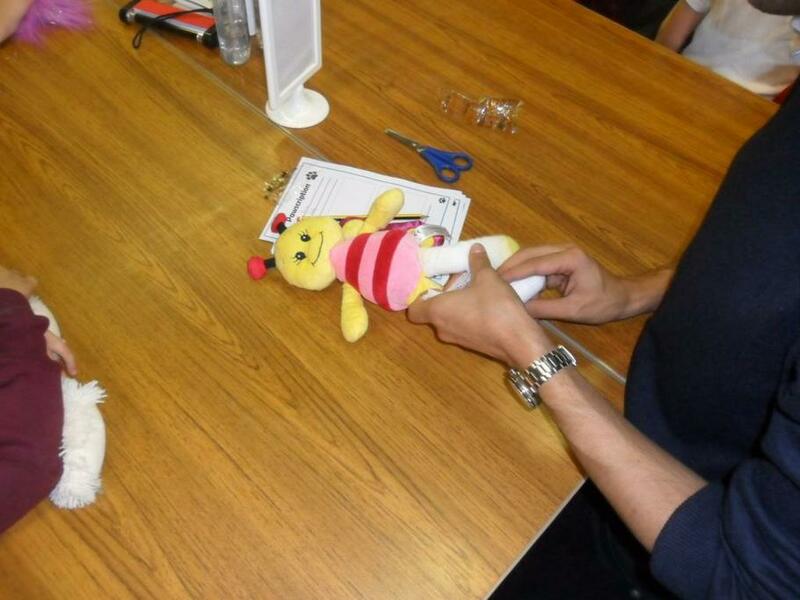 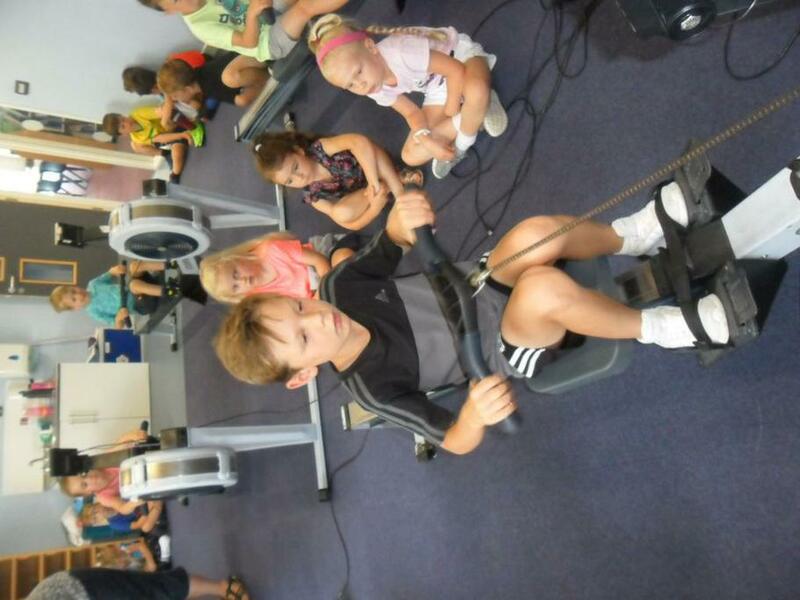 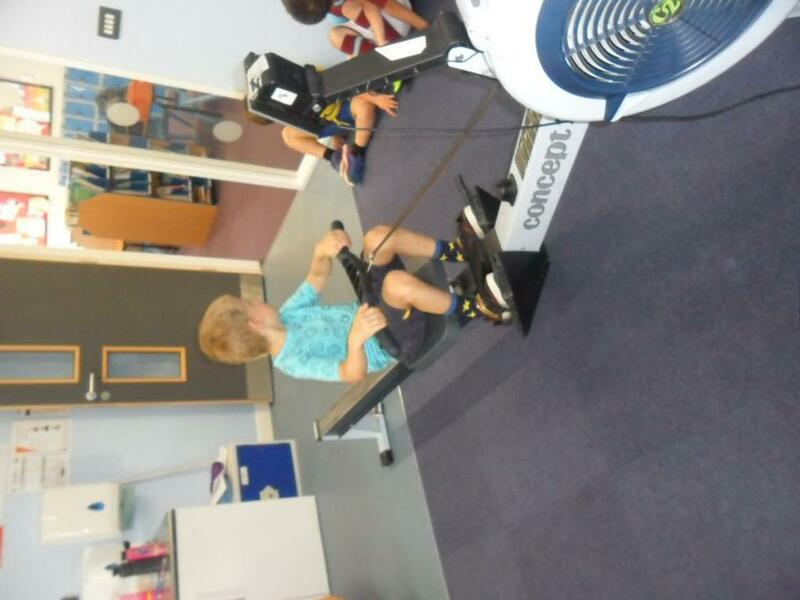 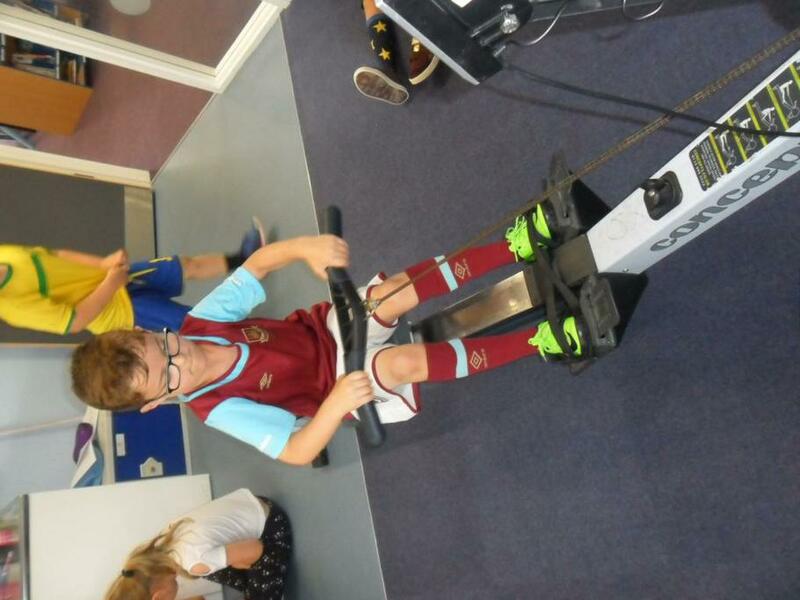 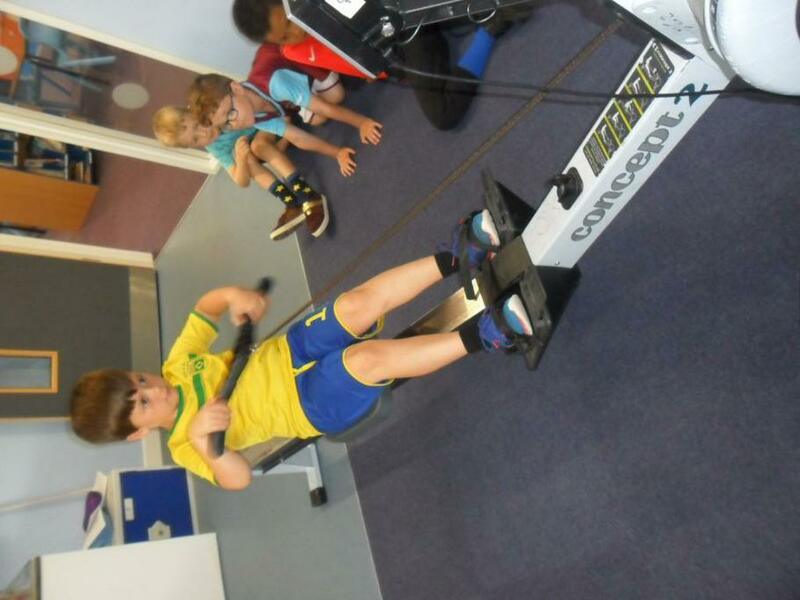 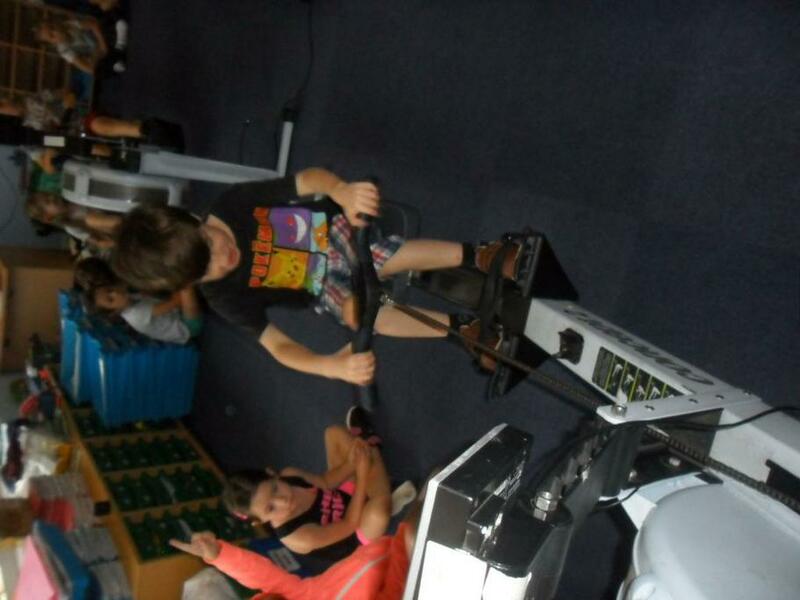 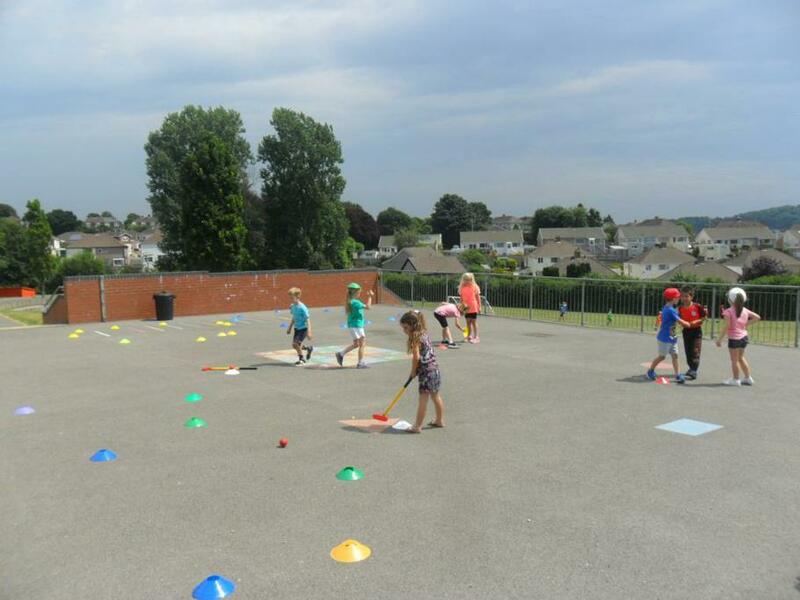 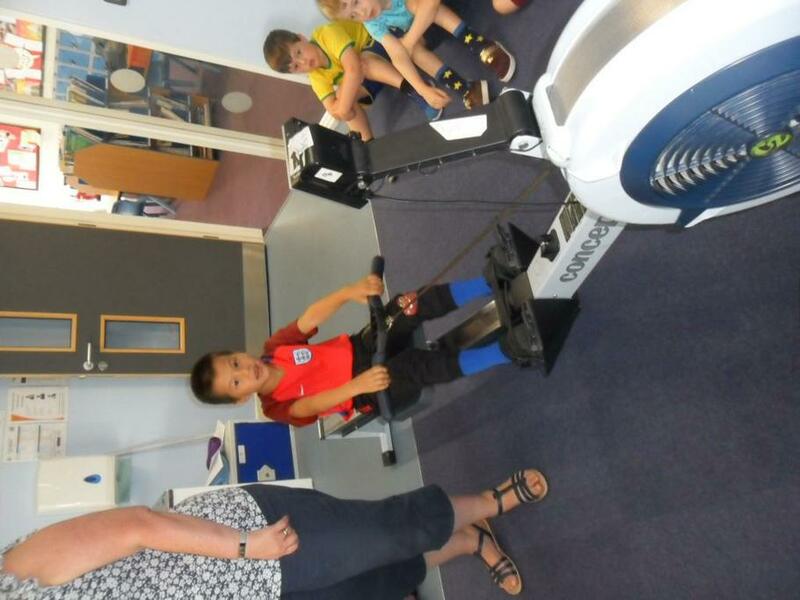 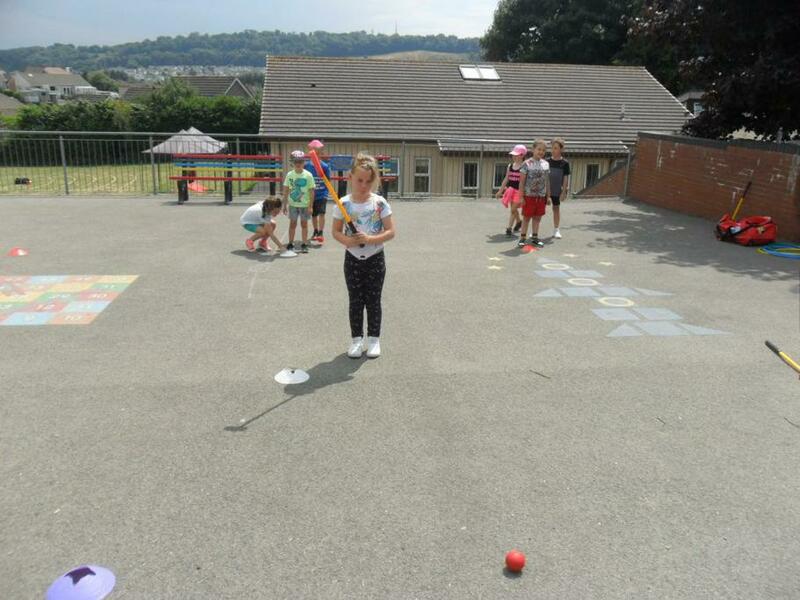 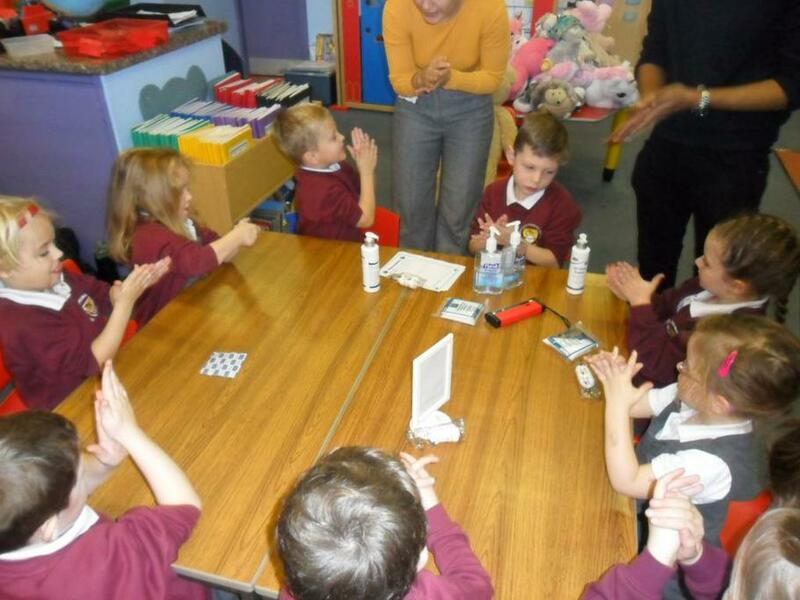 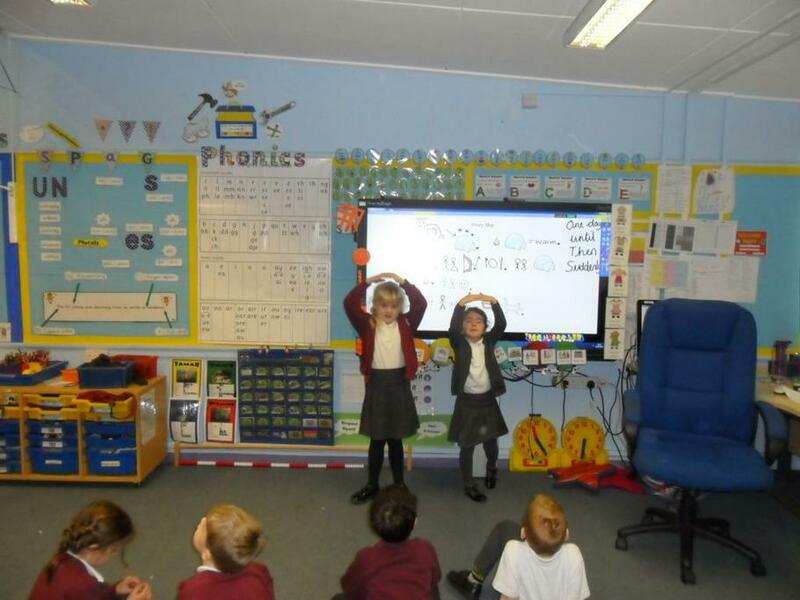 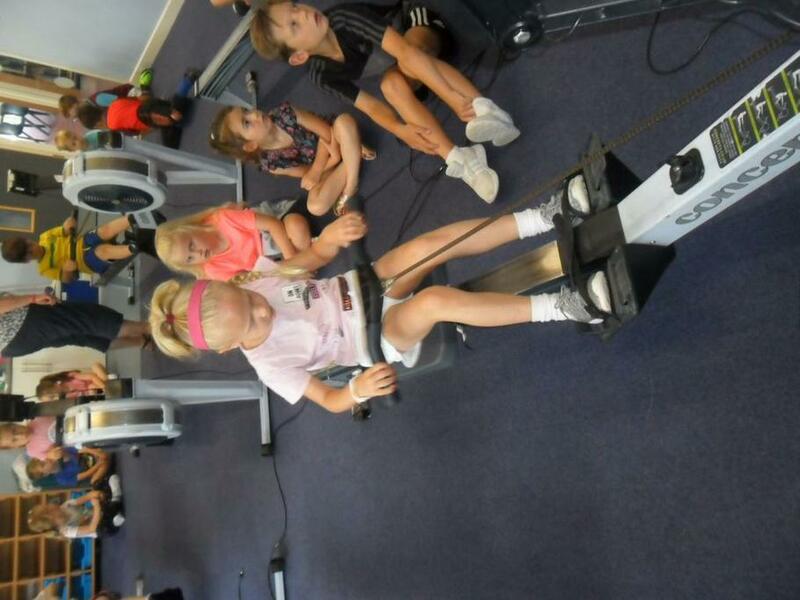 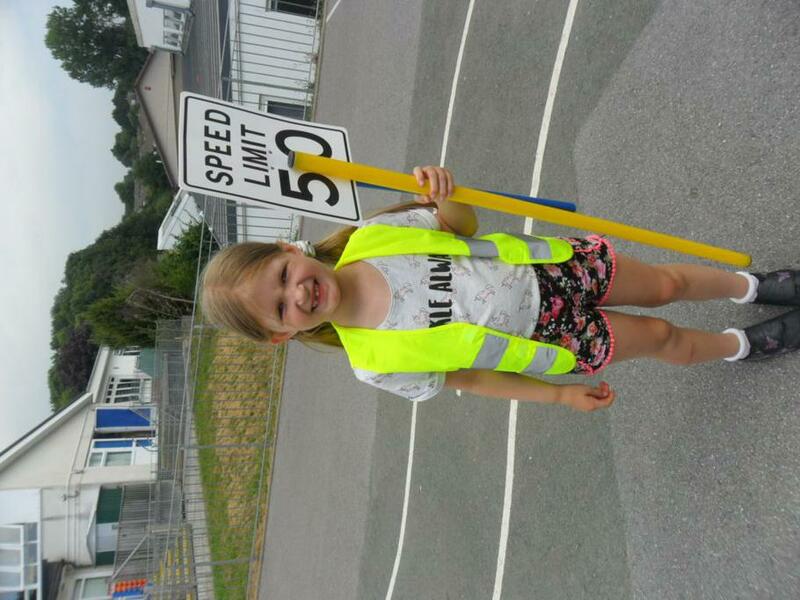 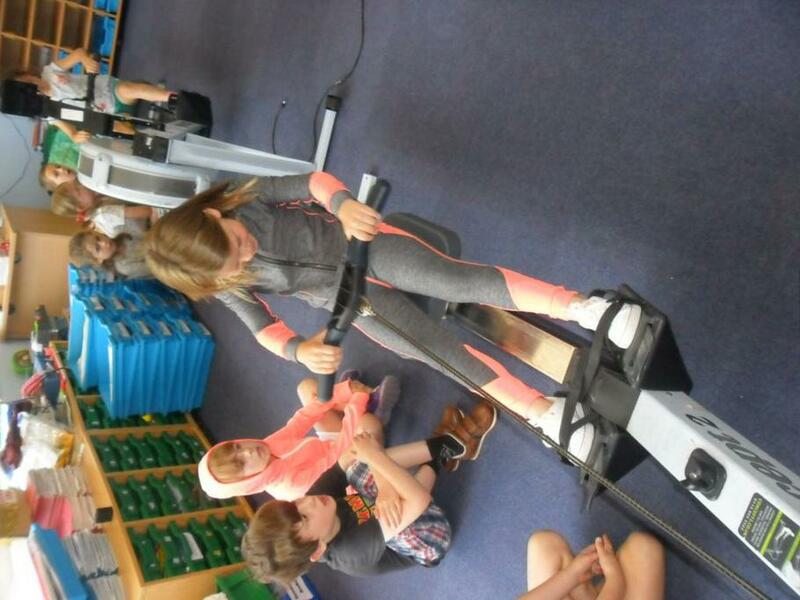 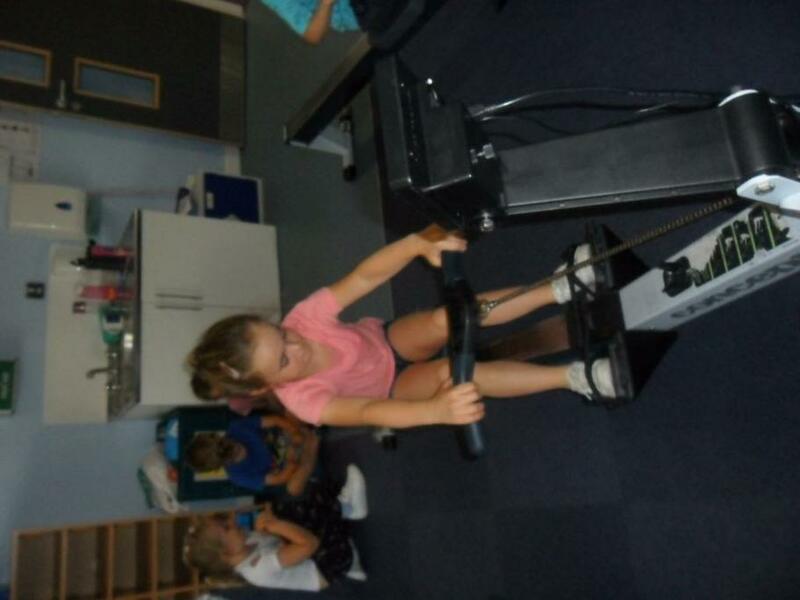 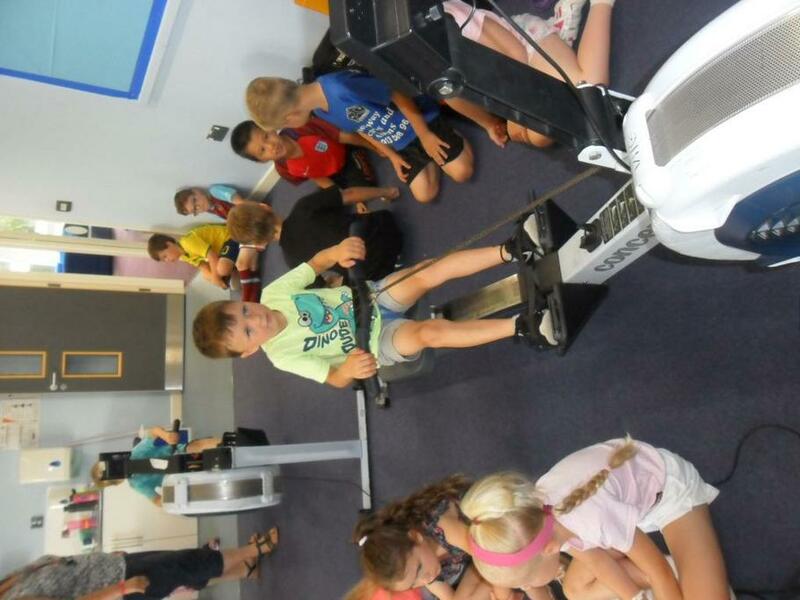 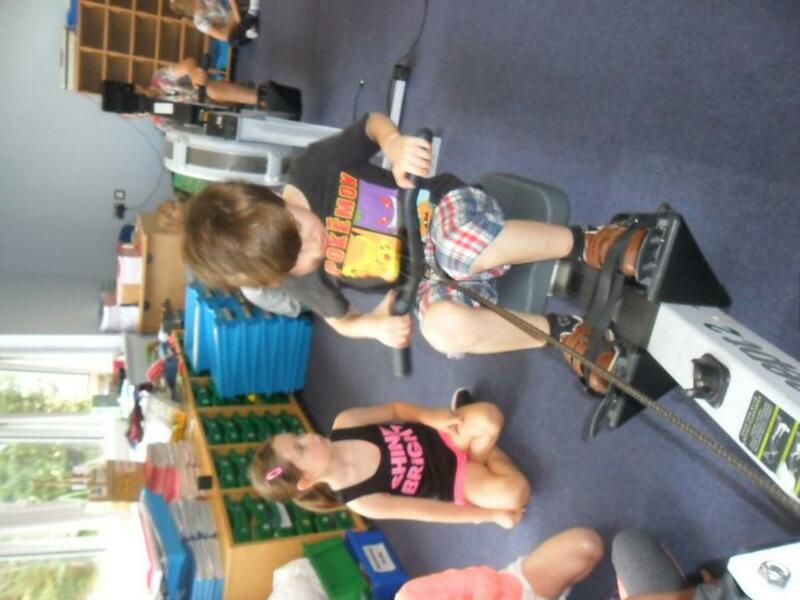 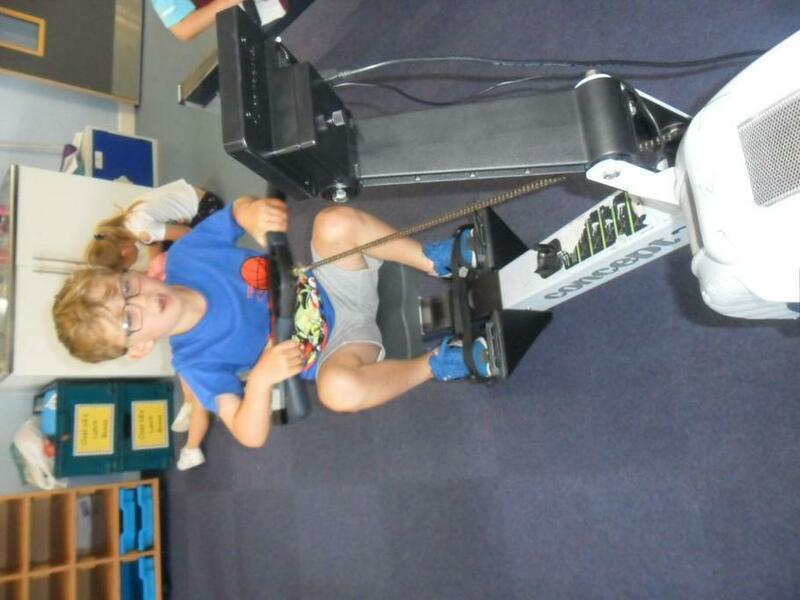 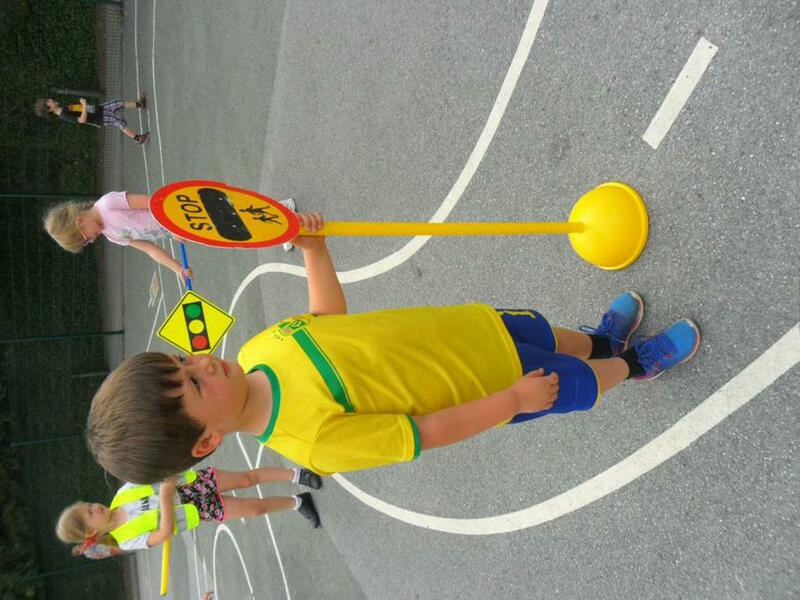 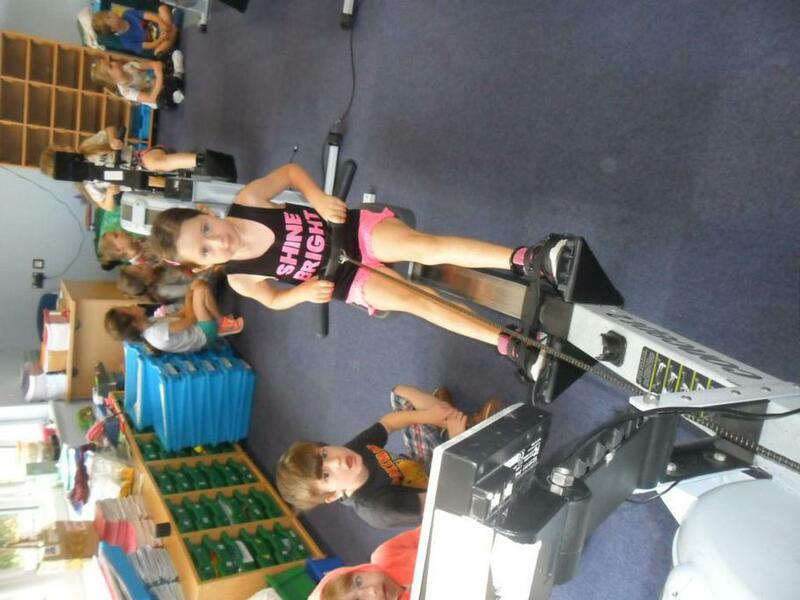 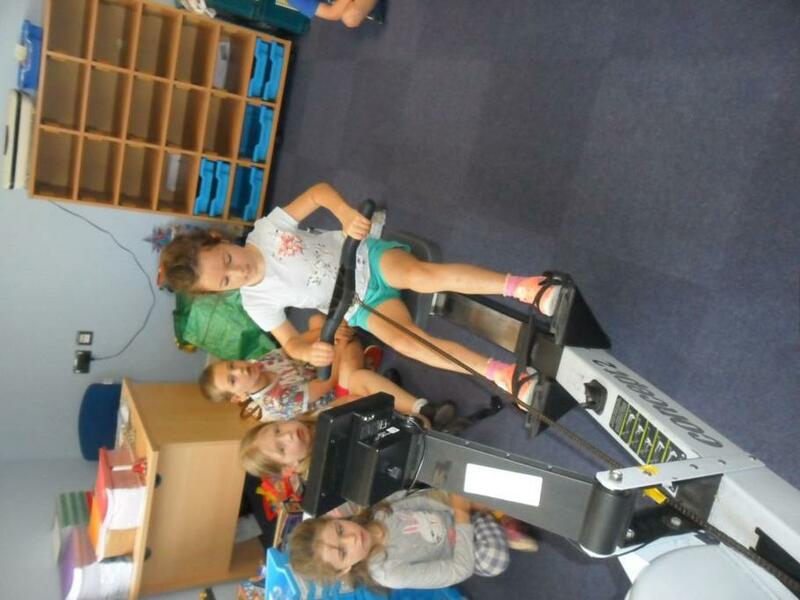 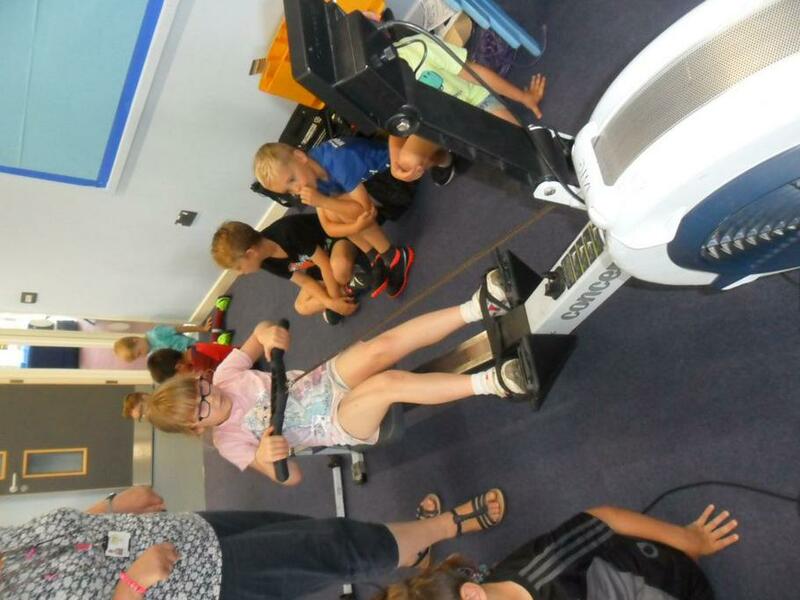 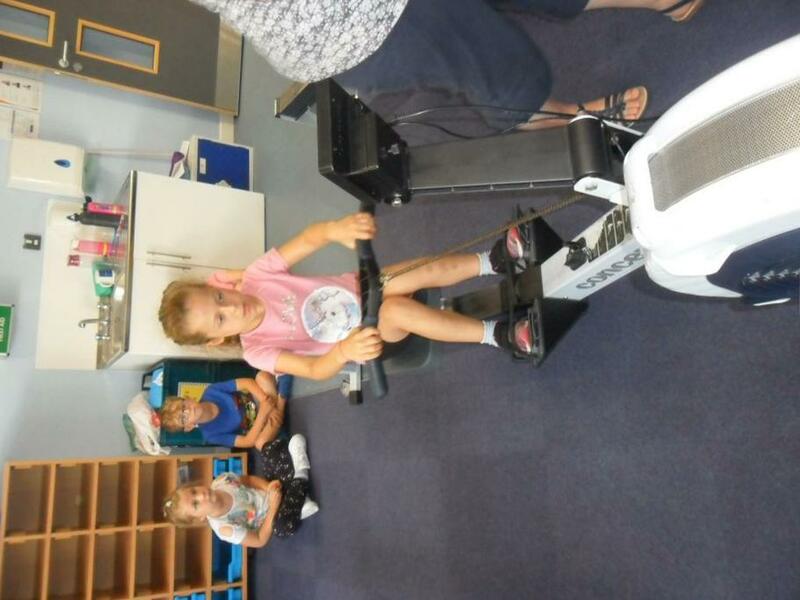 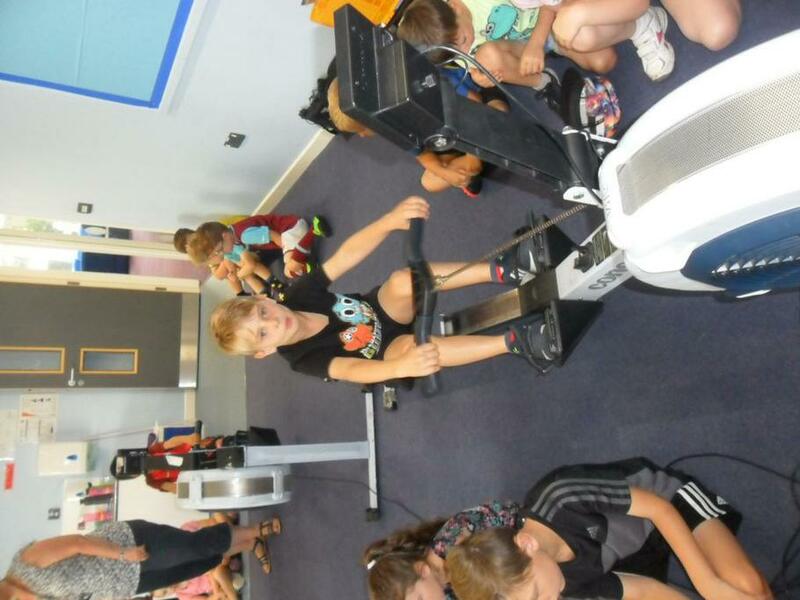 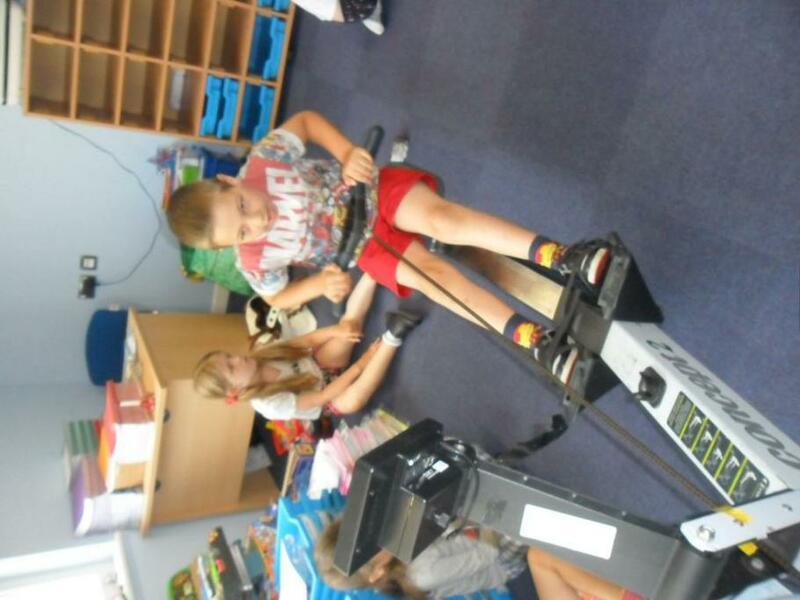 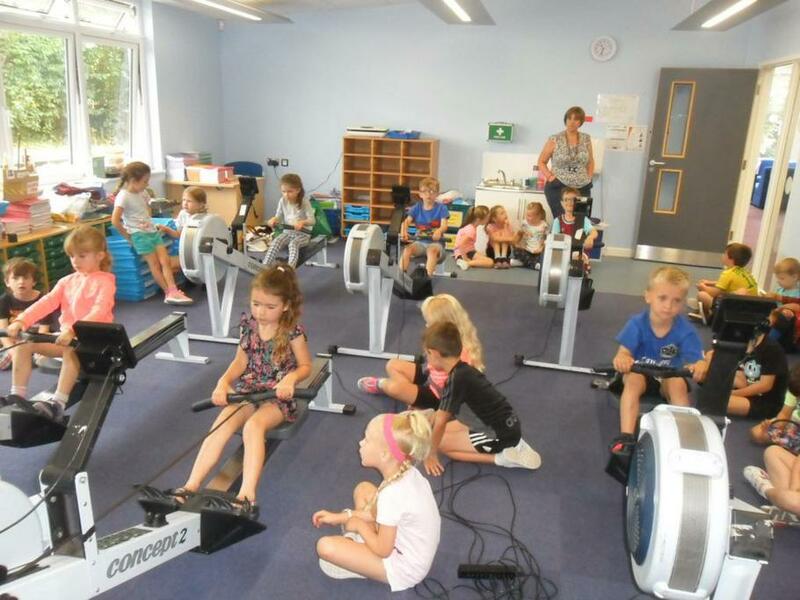 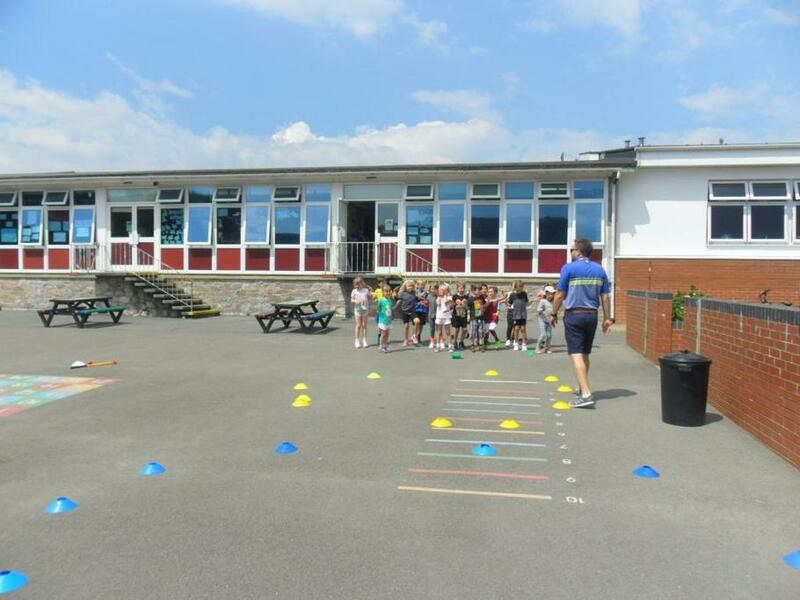 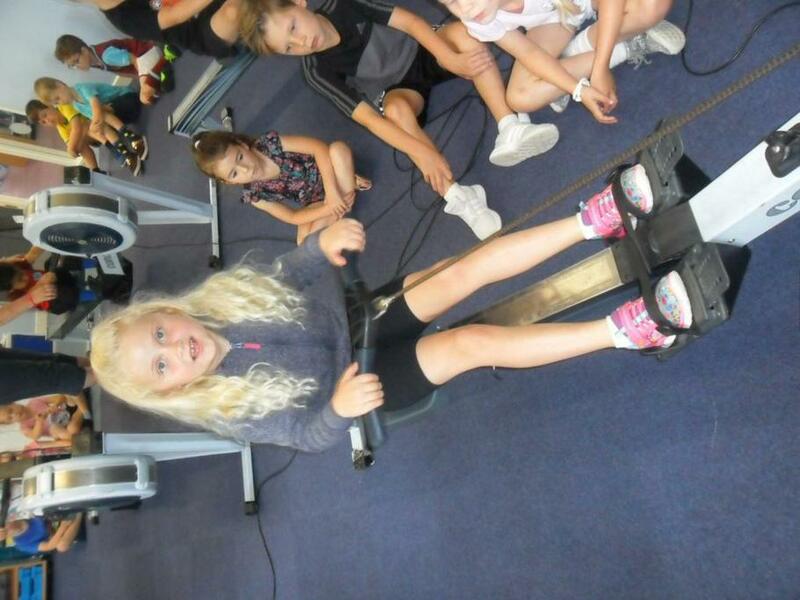 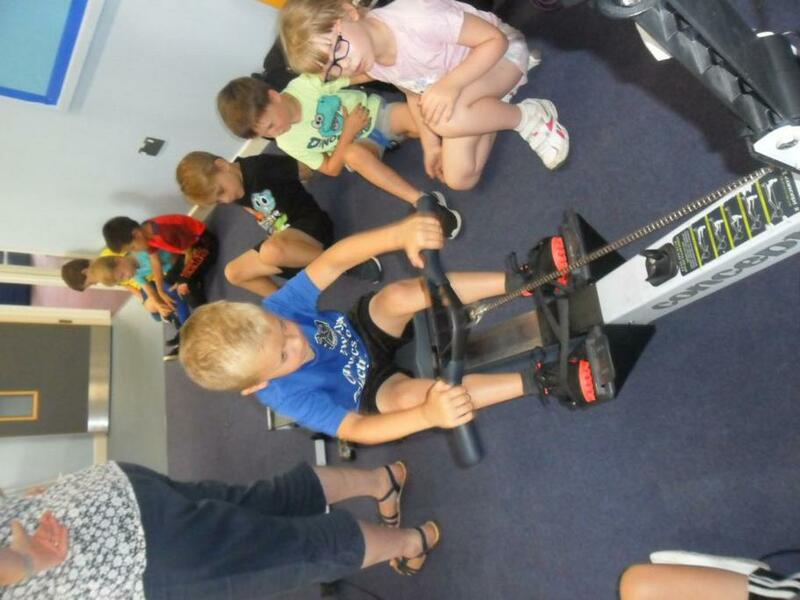 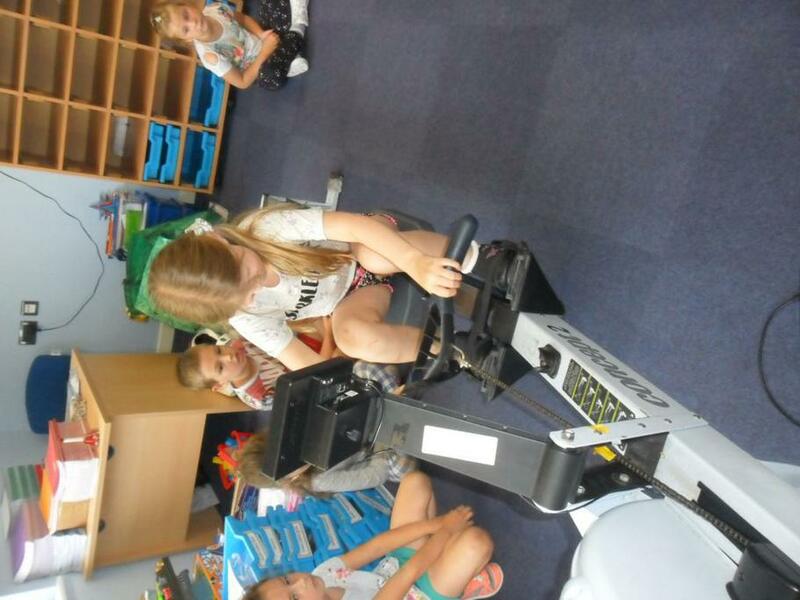 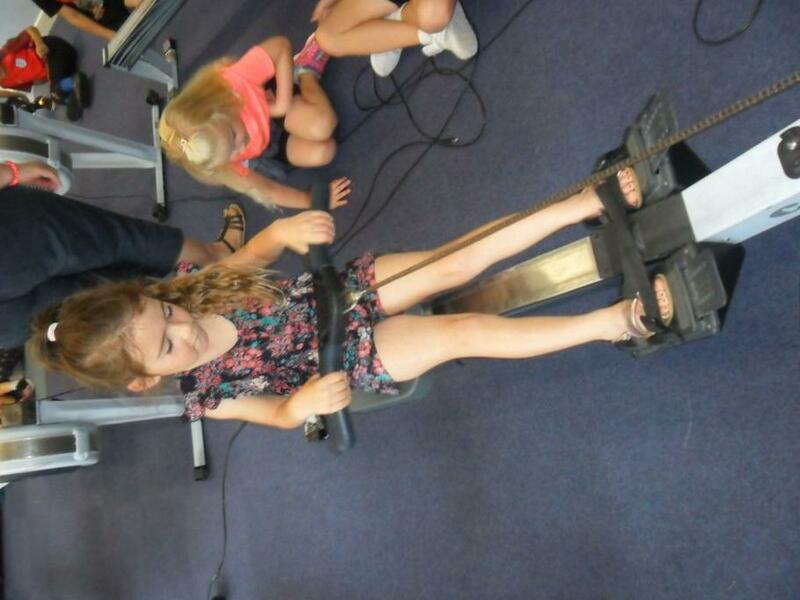 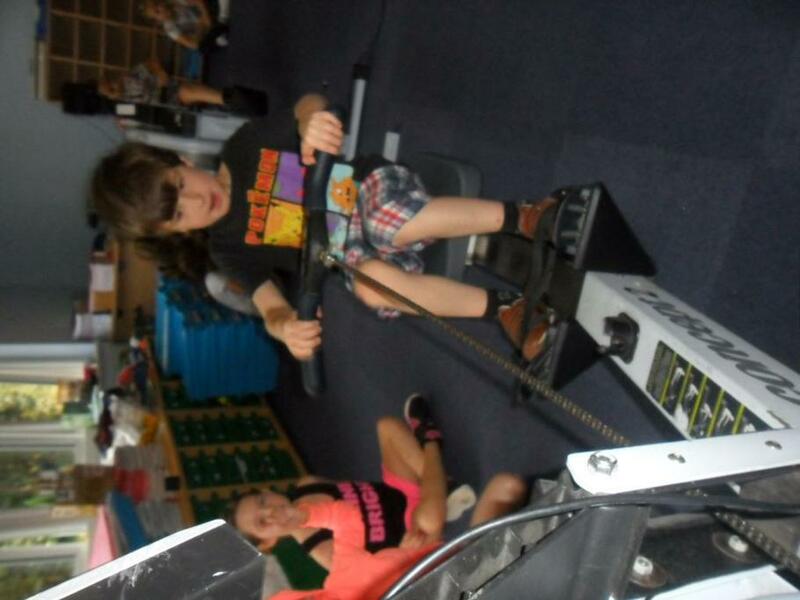 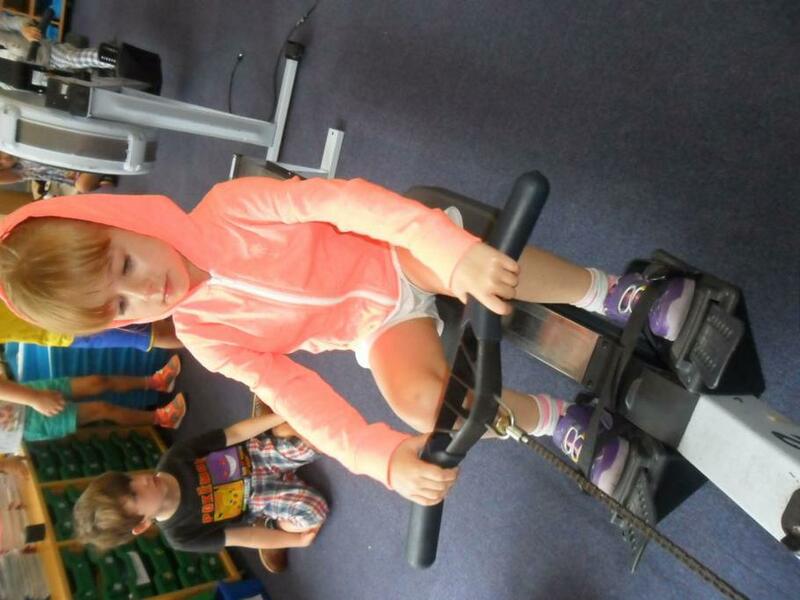 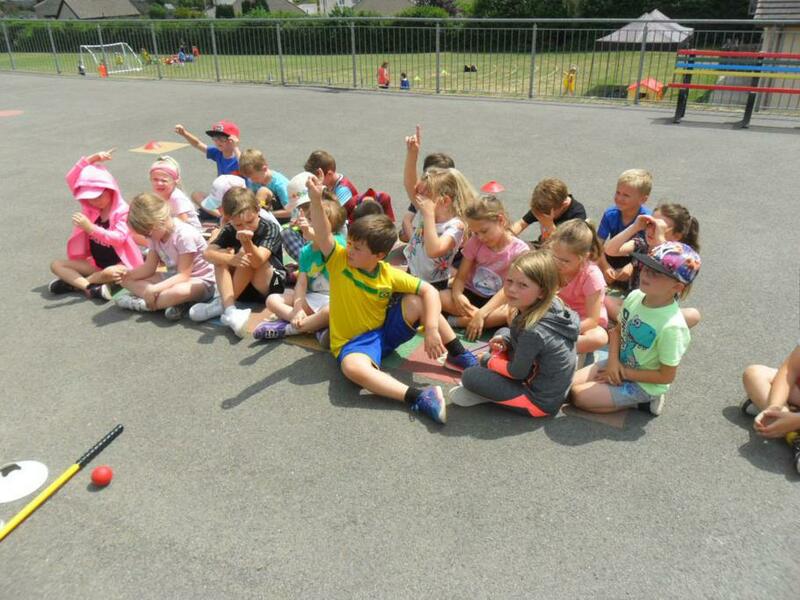 They learnt about sun safety and road safety; played golf and went on the rowing machines. 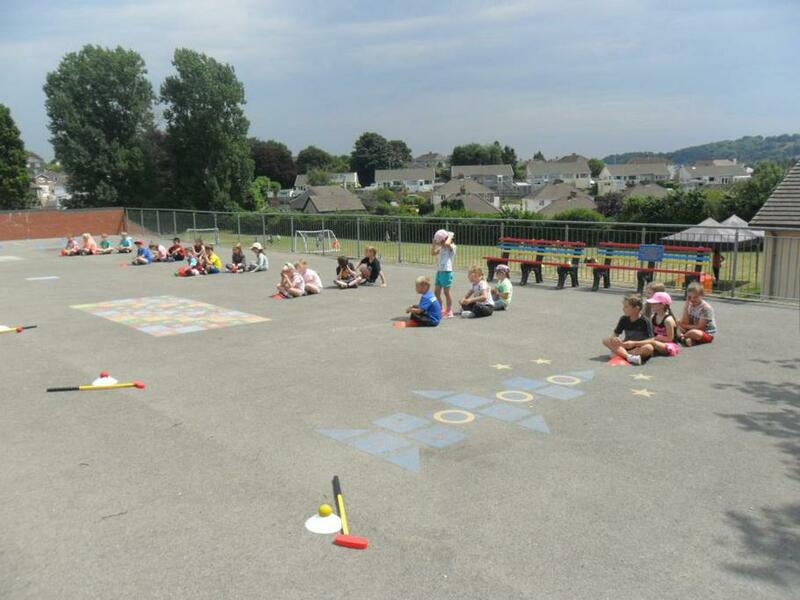 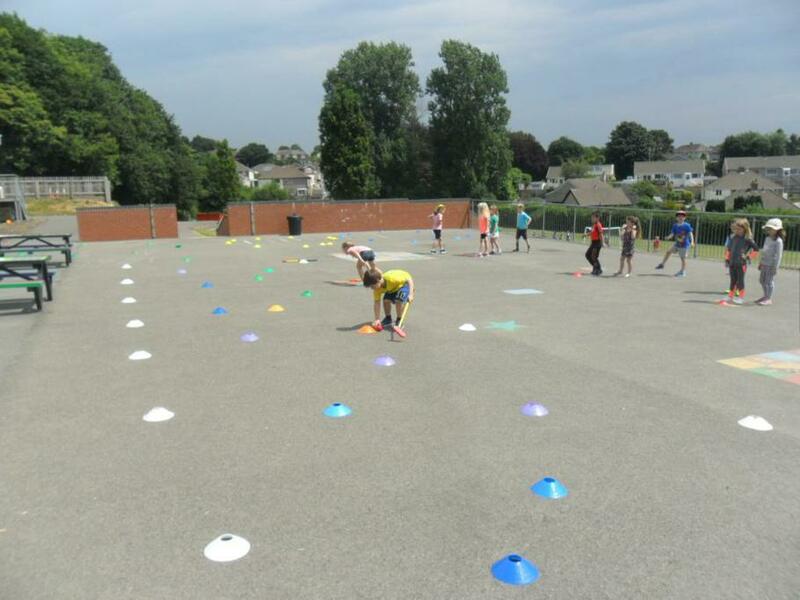 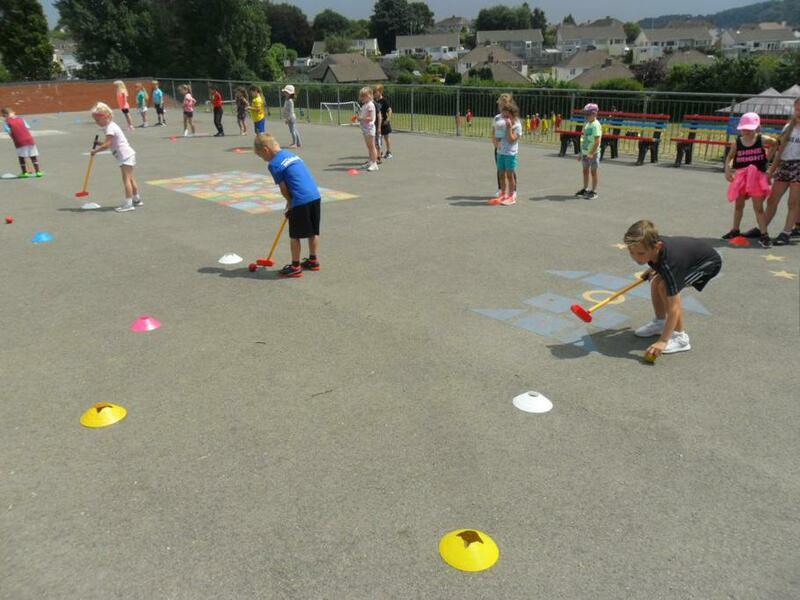 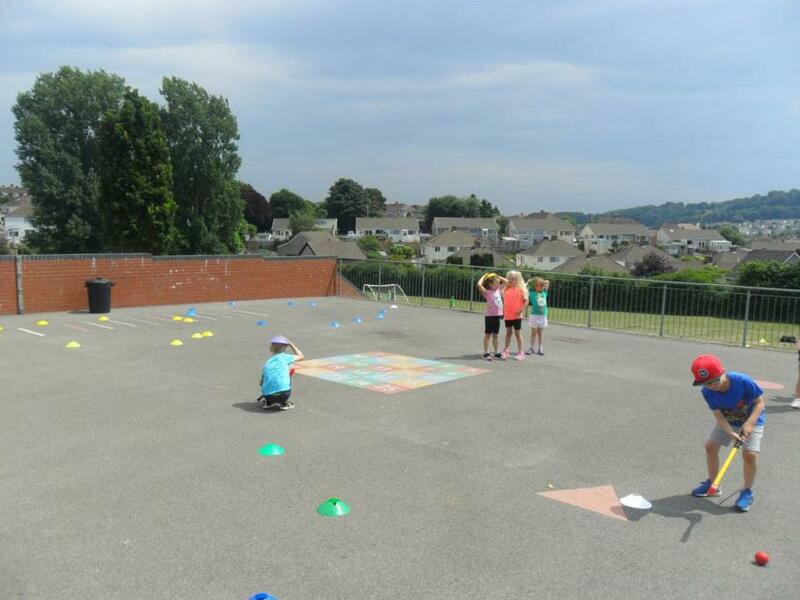 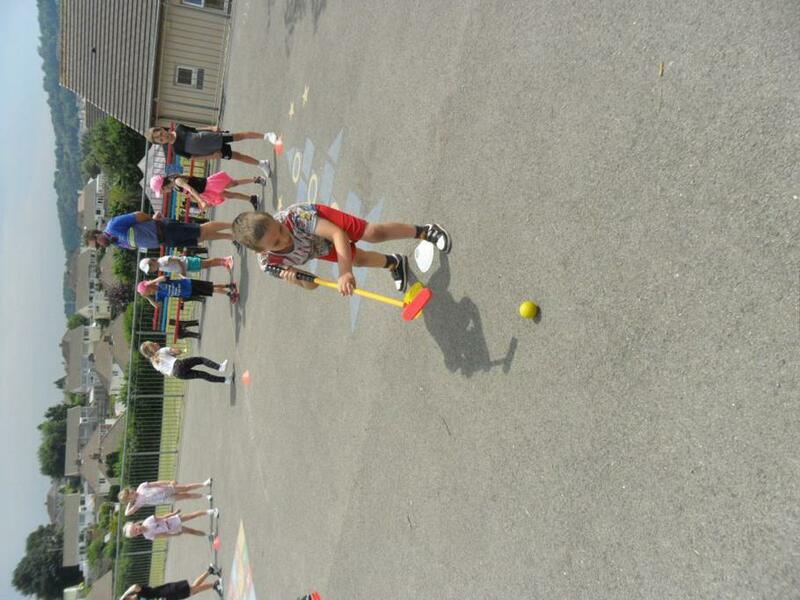 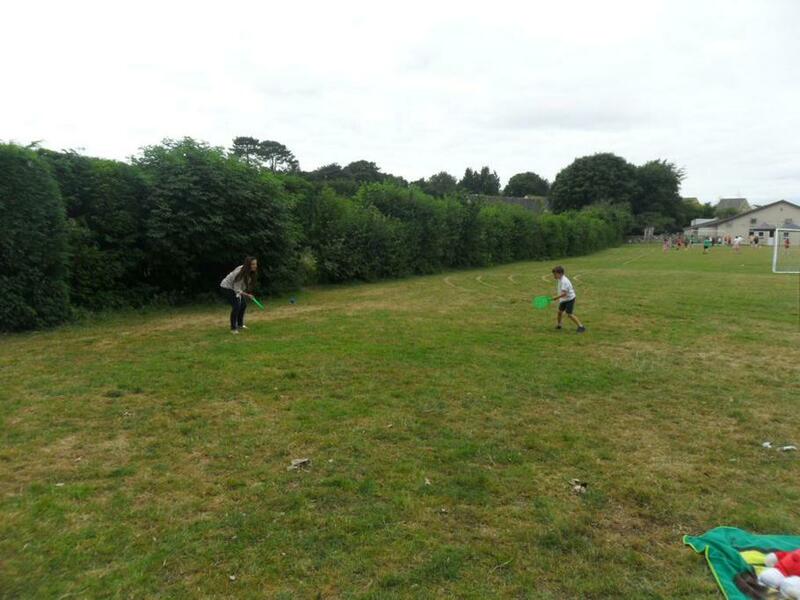 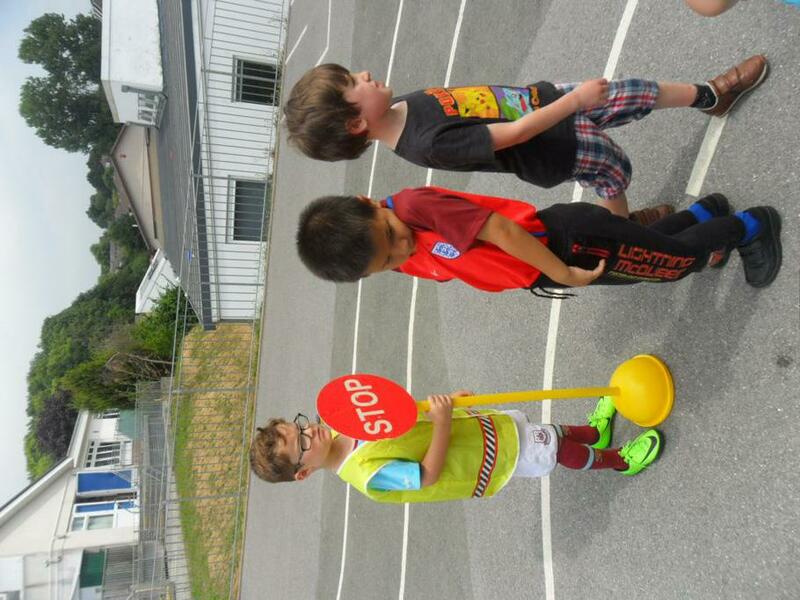 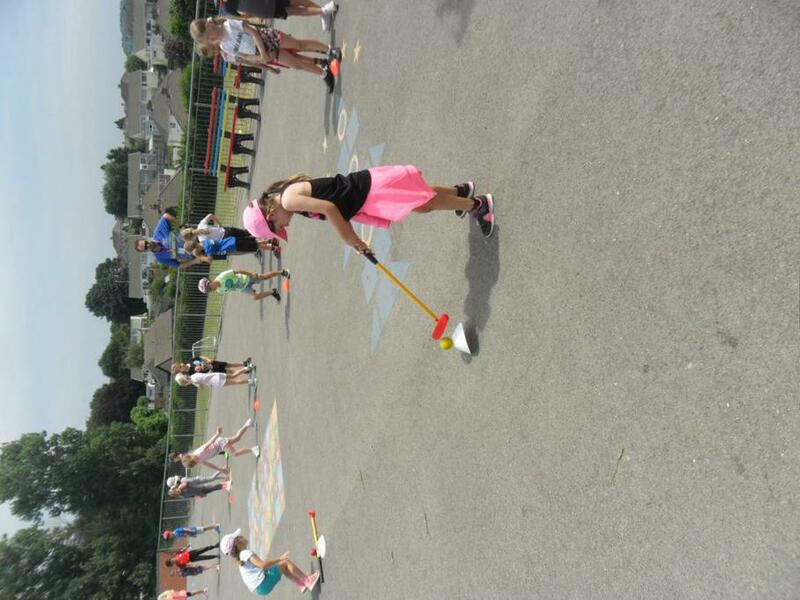 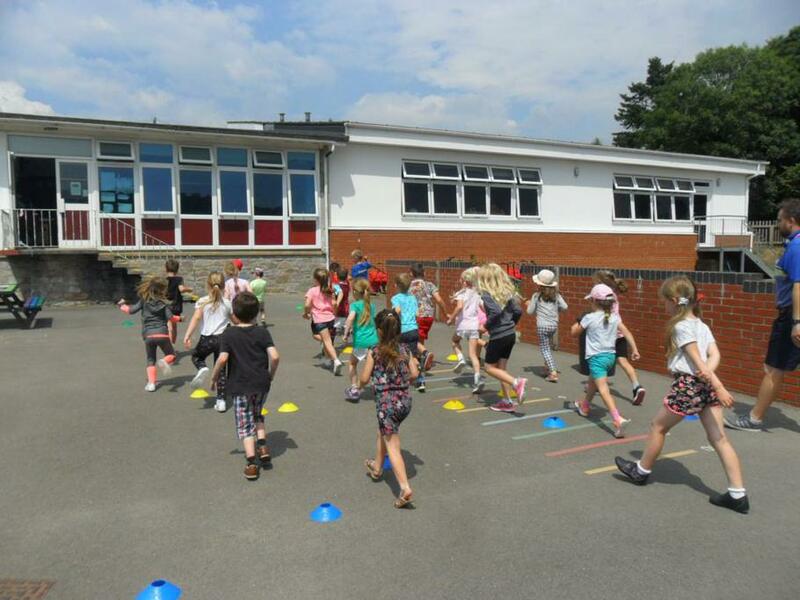 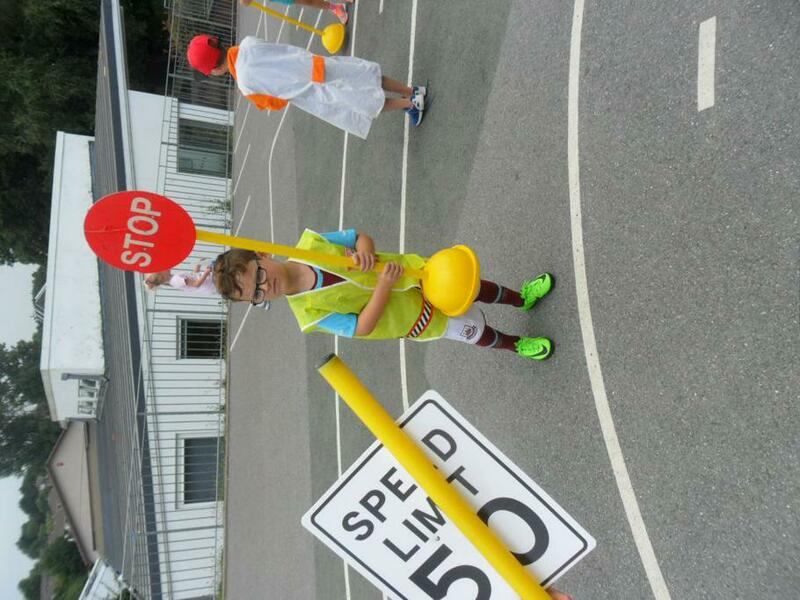 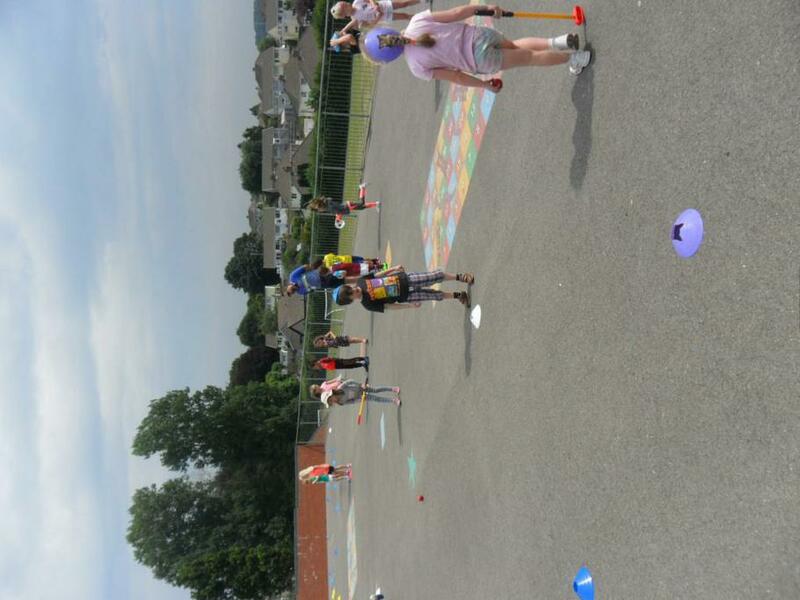 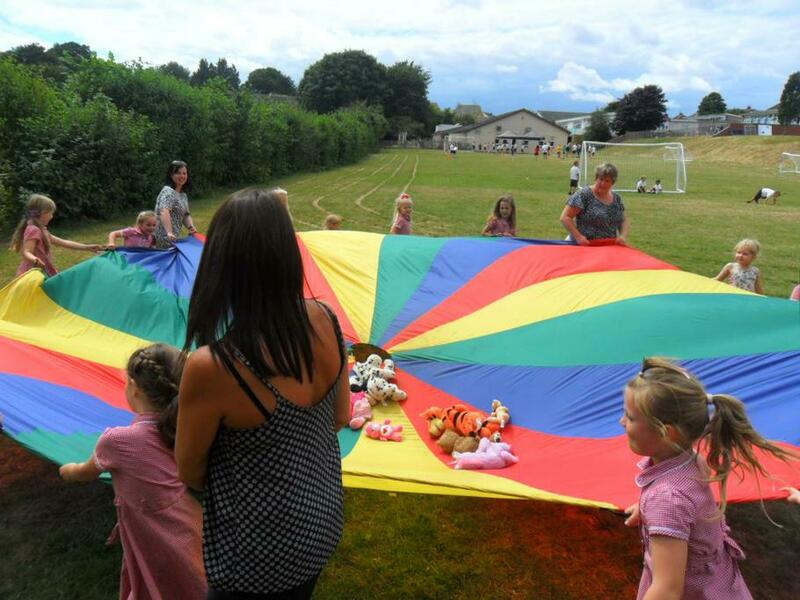 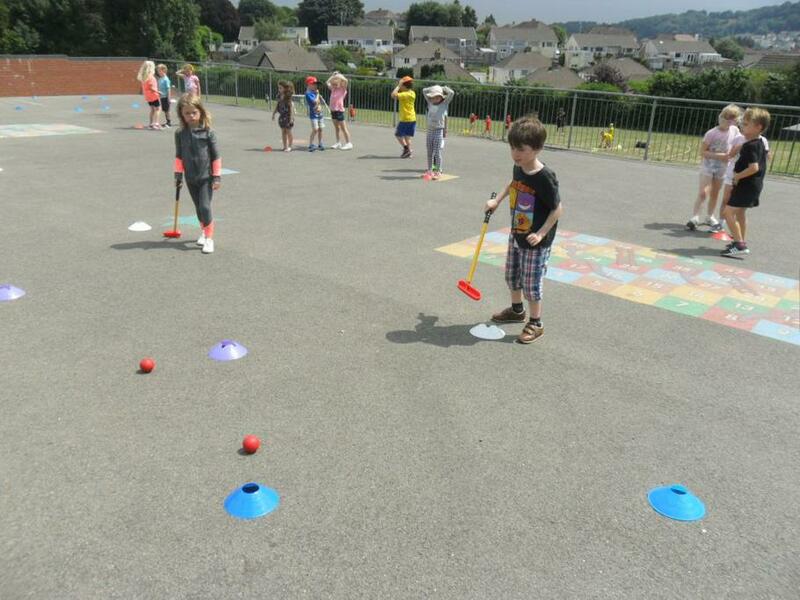 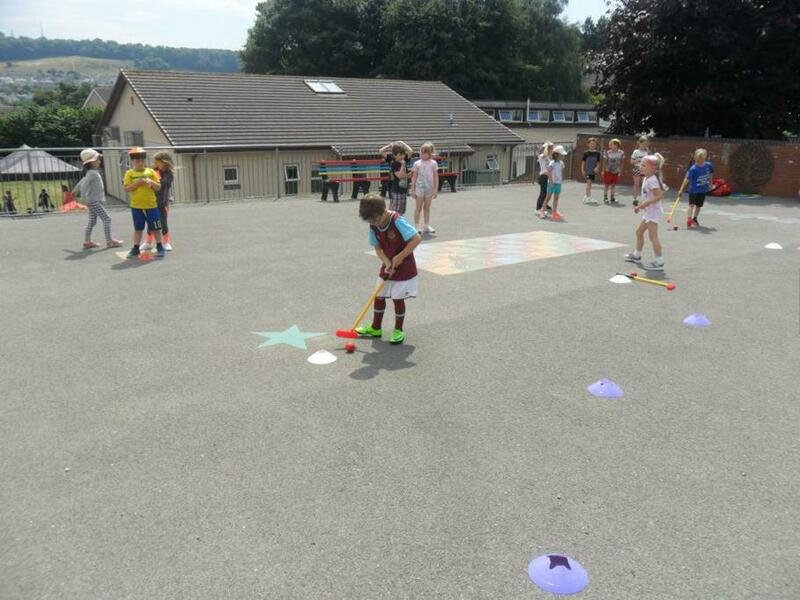 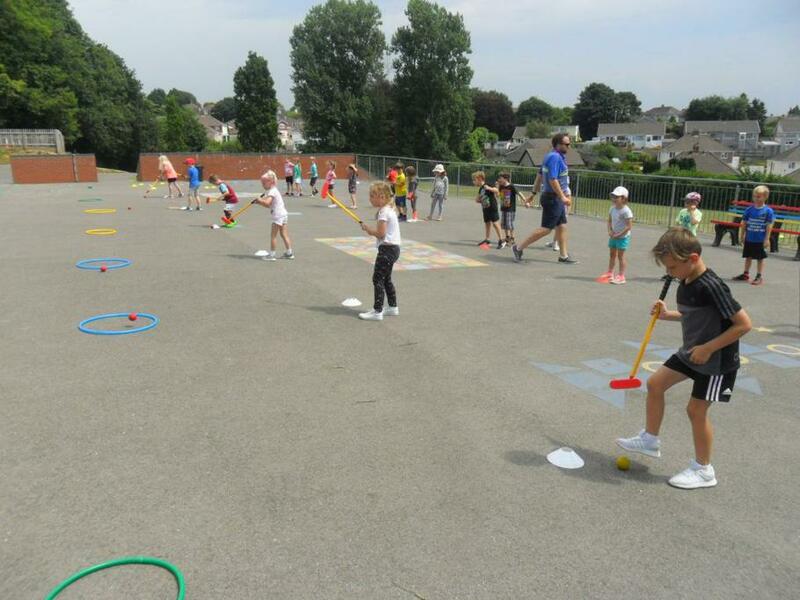 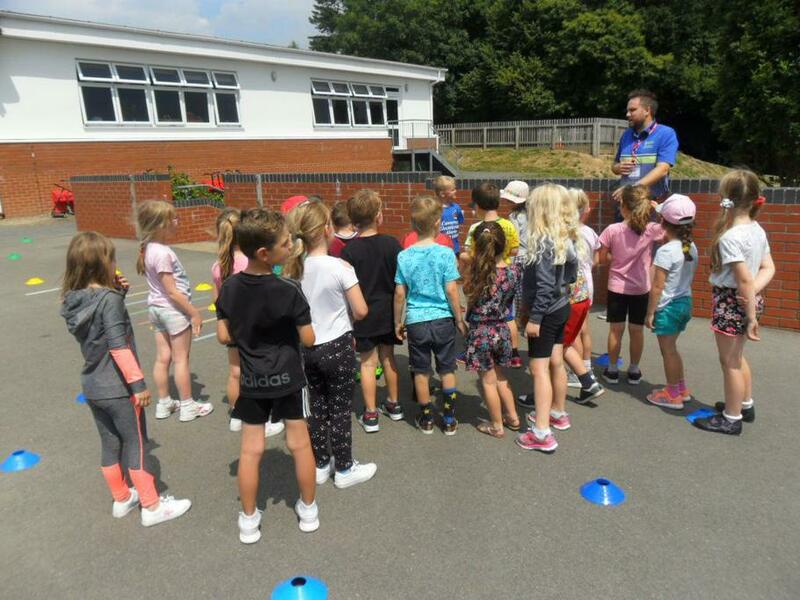 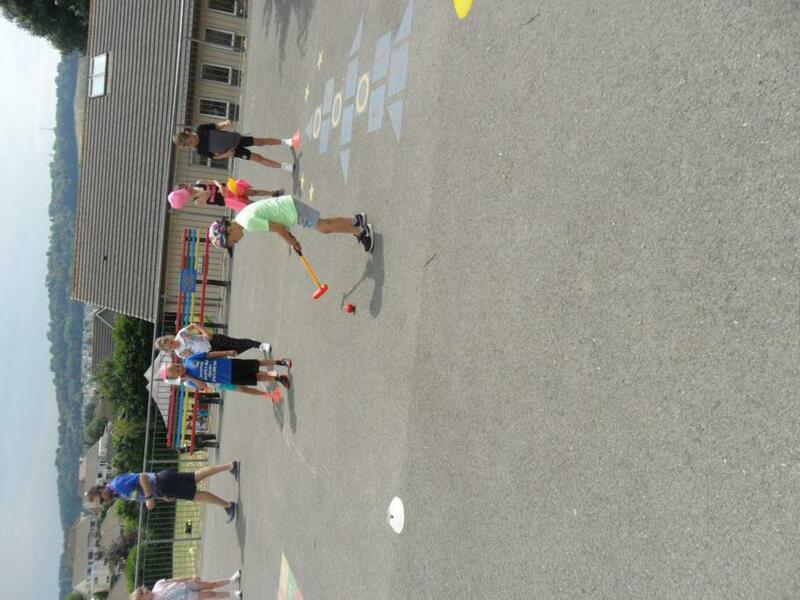 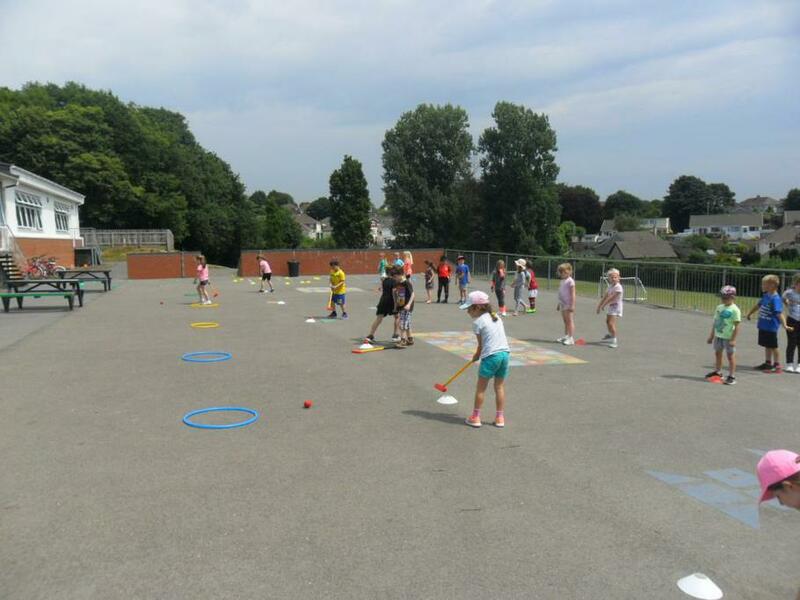 The children had a fantastic sport's day and worked really well in their teams to take part in all the activities. 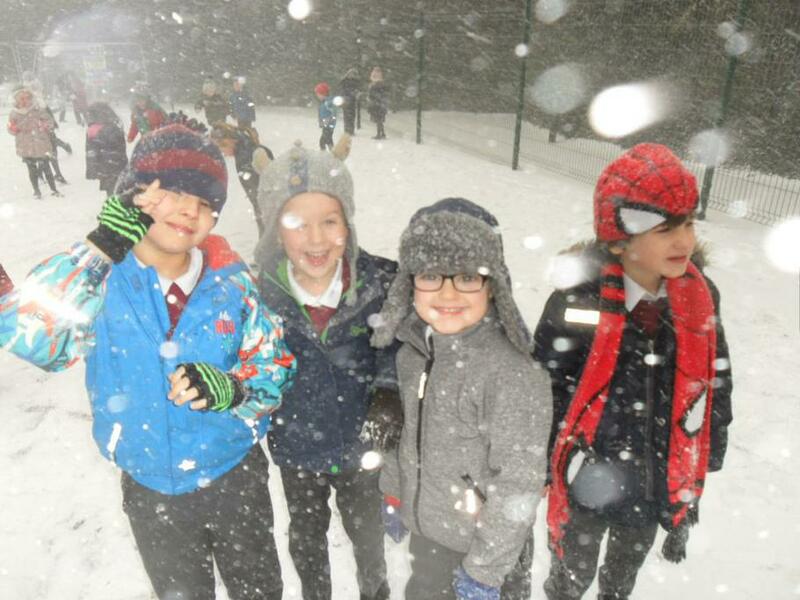 take a look at the photos from the week. 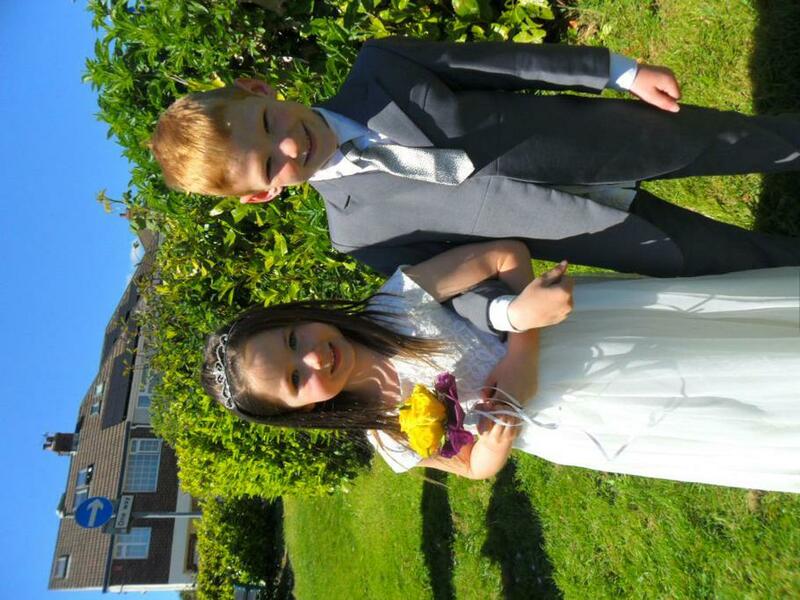 What a beautiful day for a wedding! 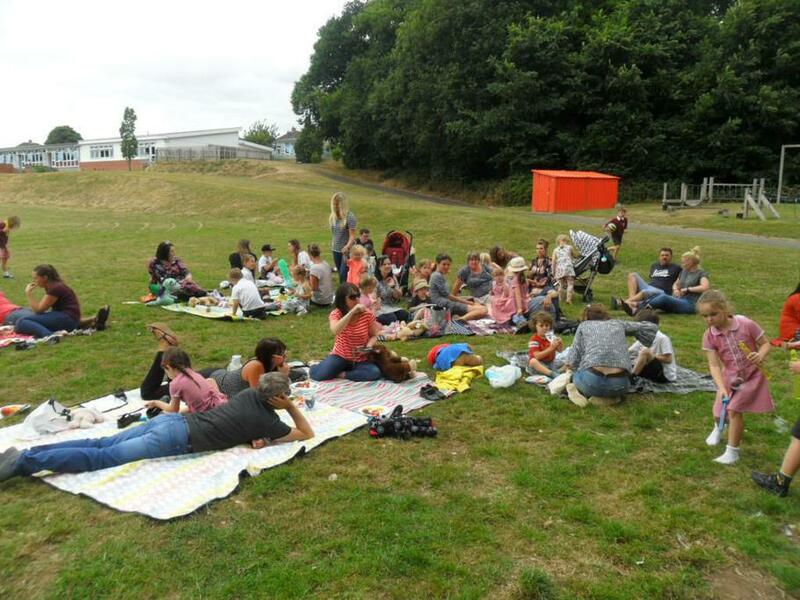 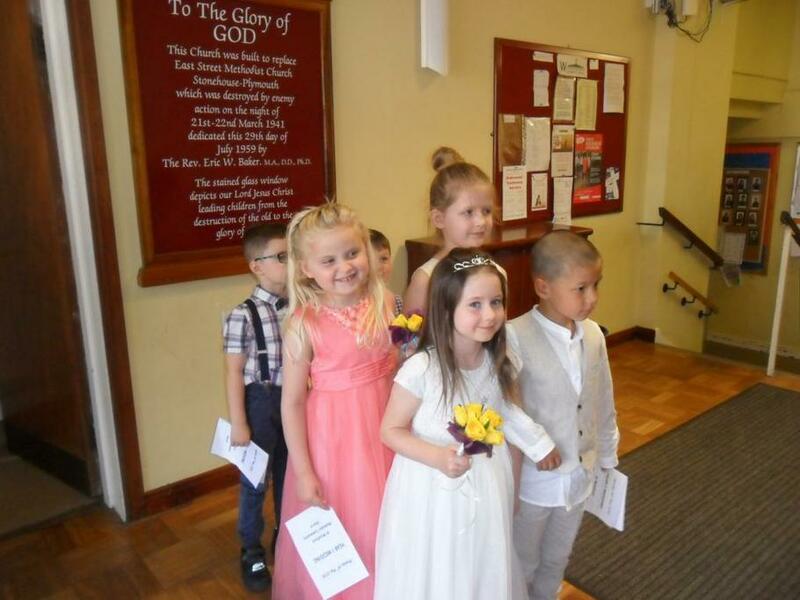 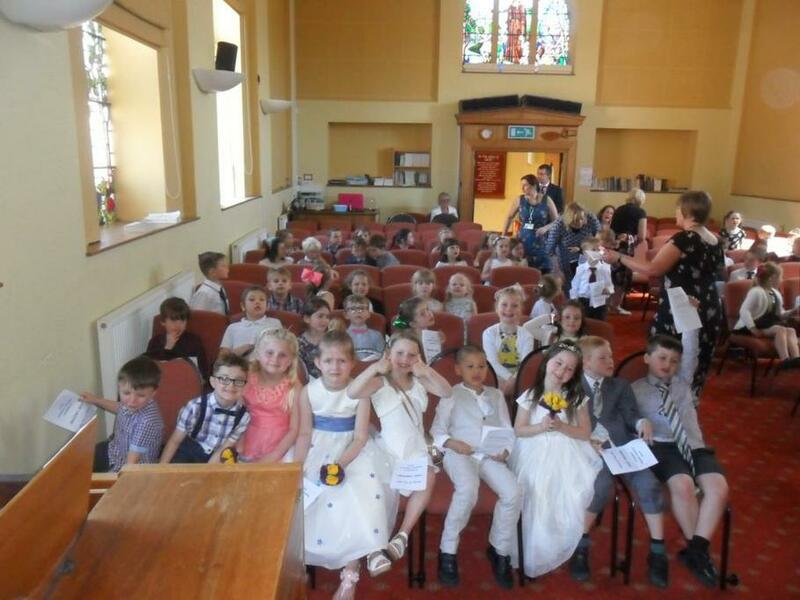 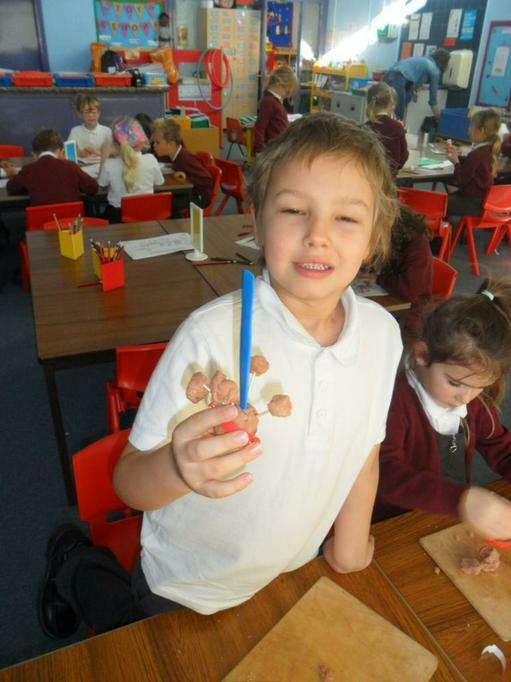 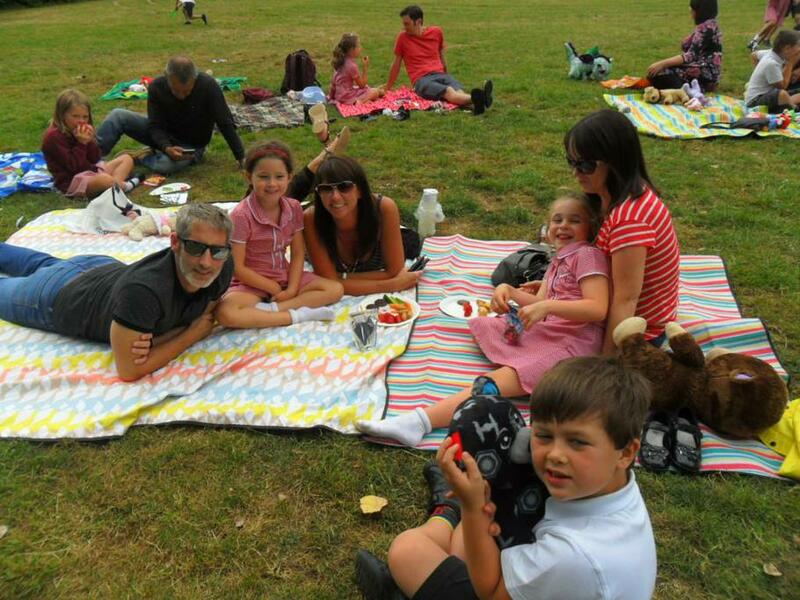 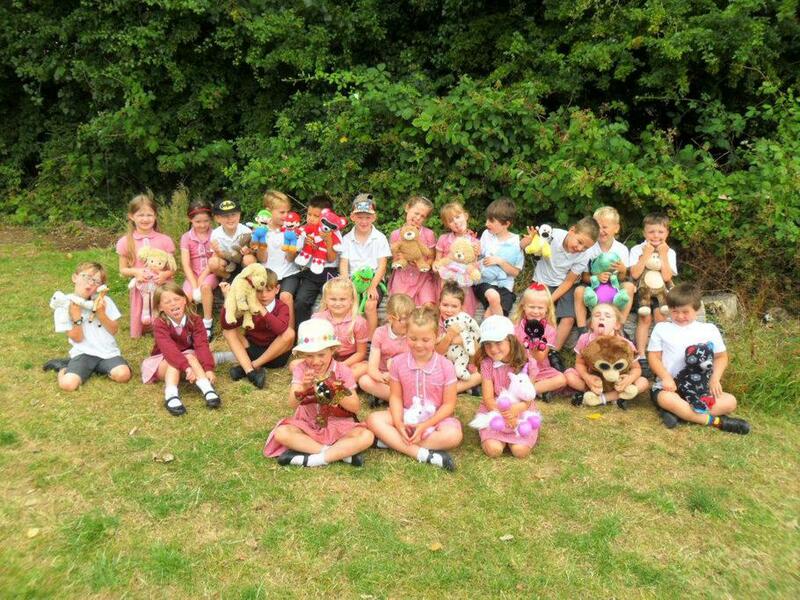 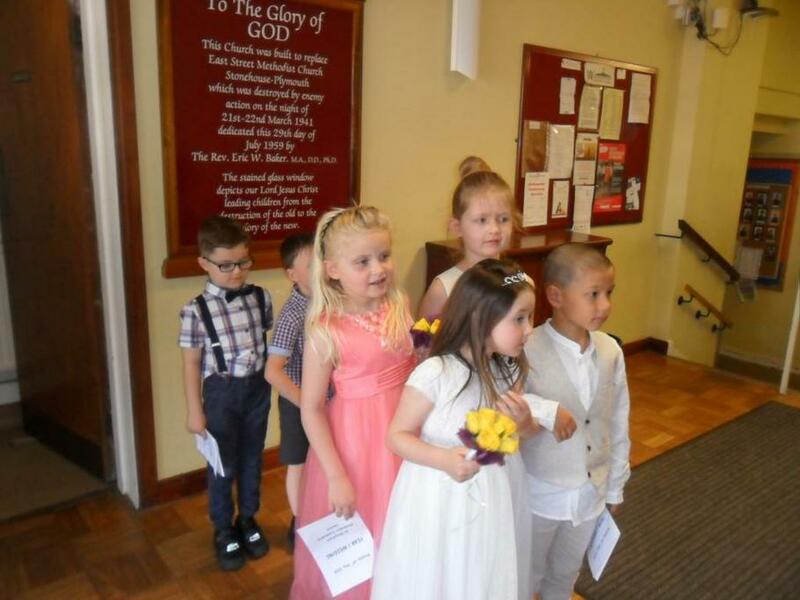 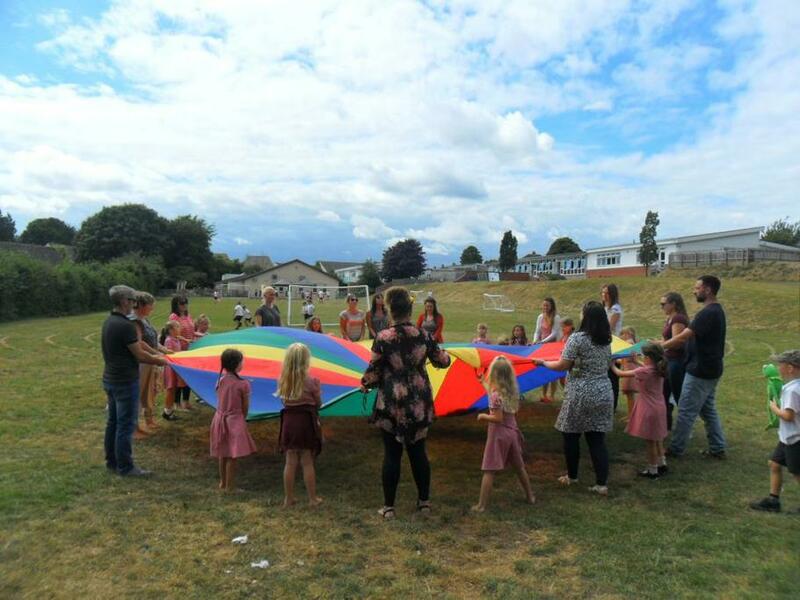 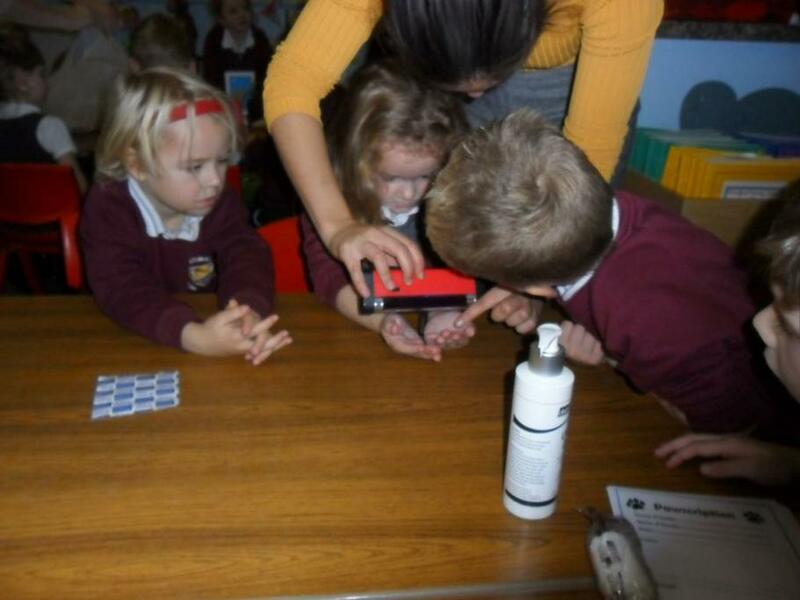 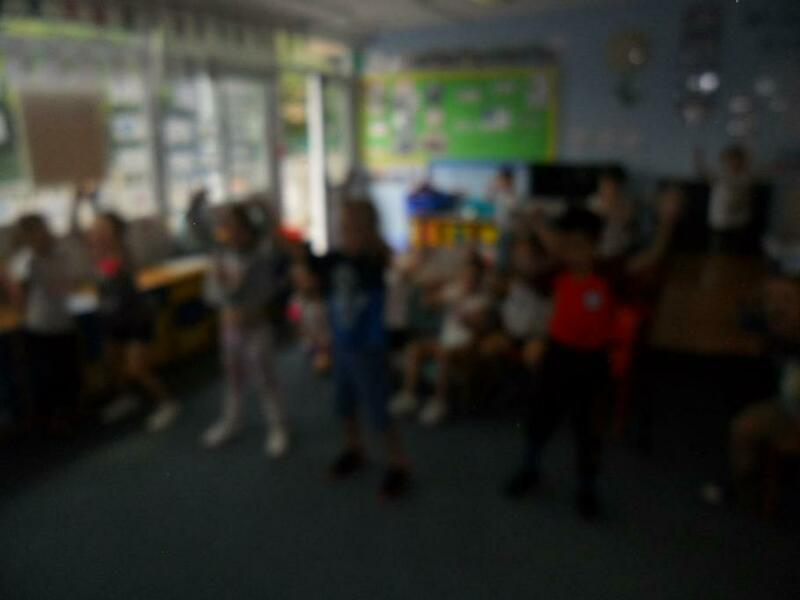 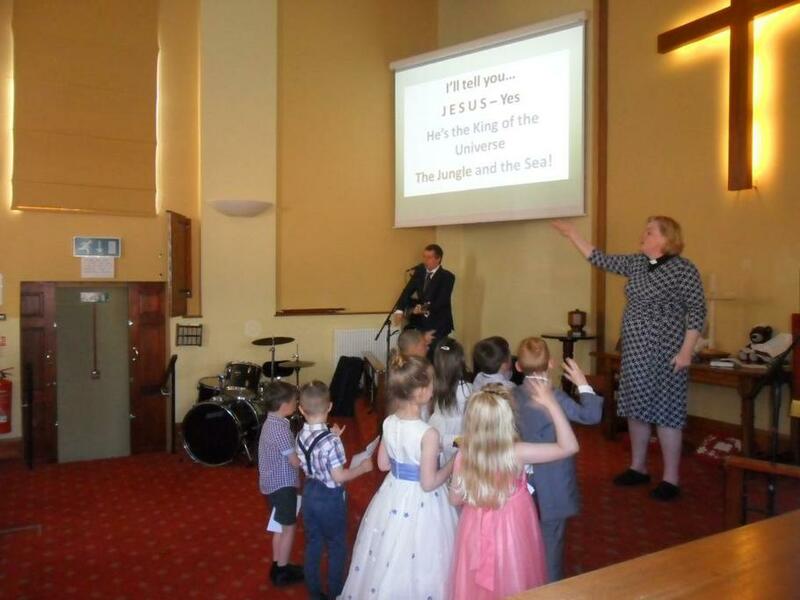 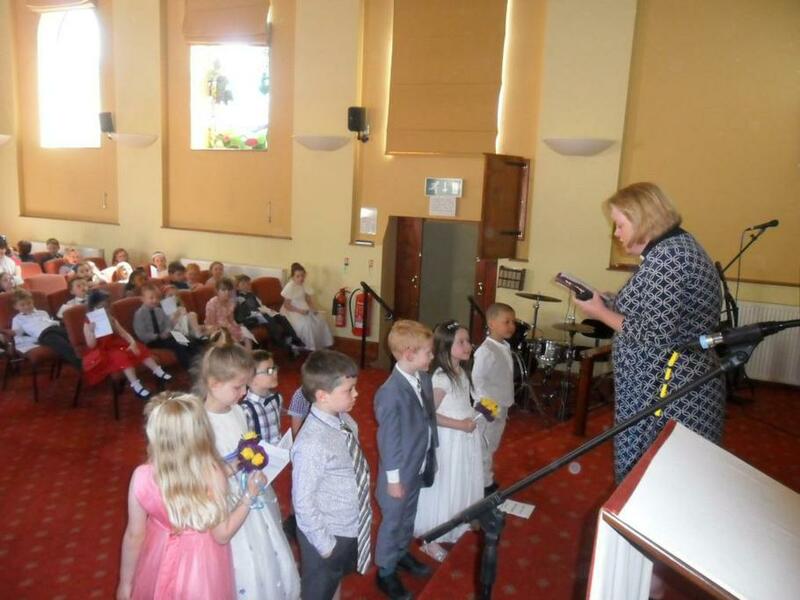 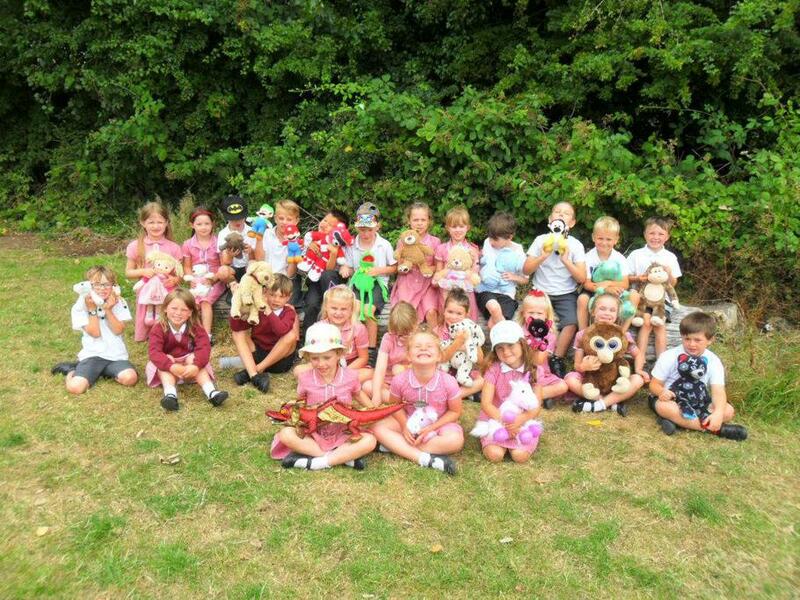 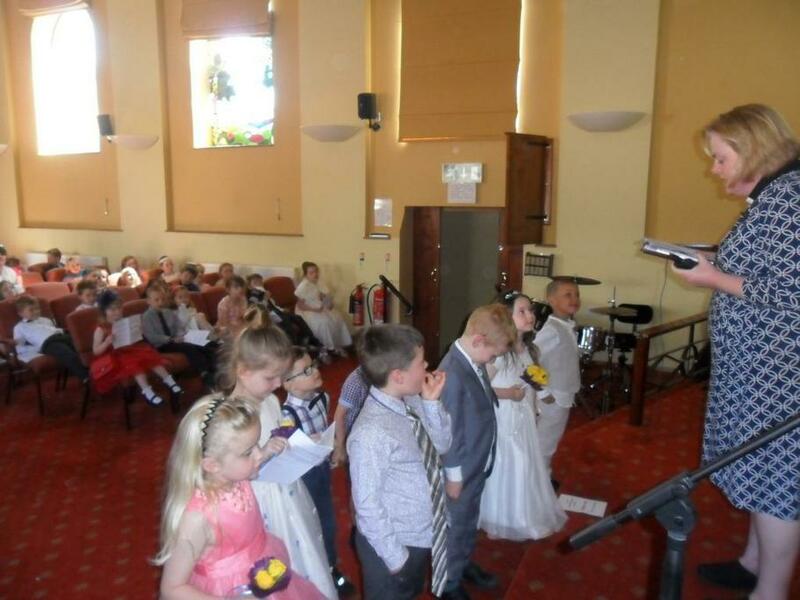 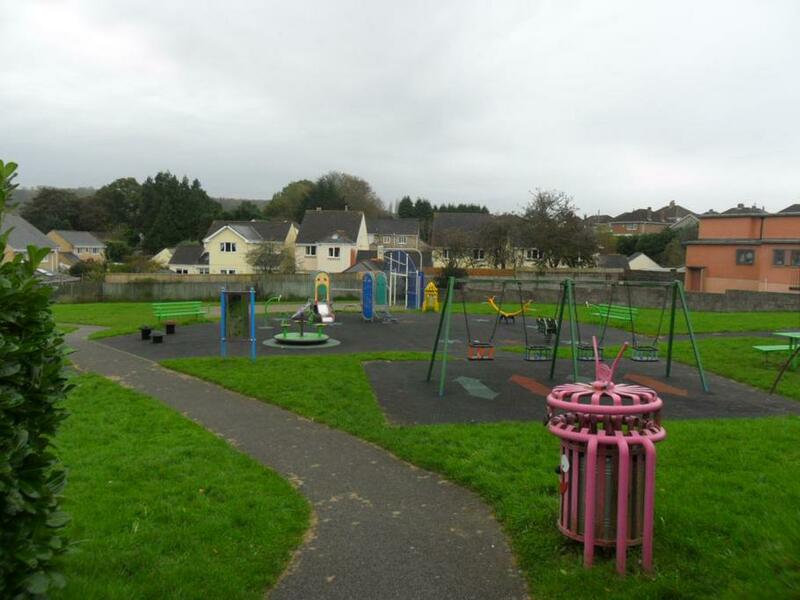 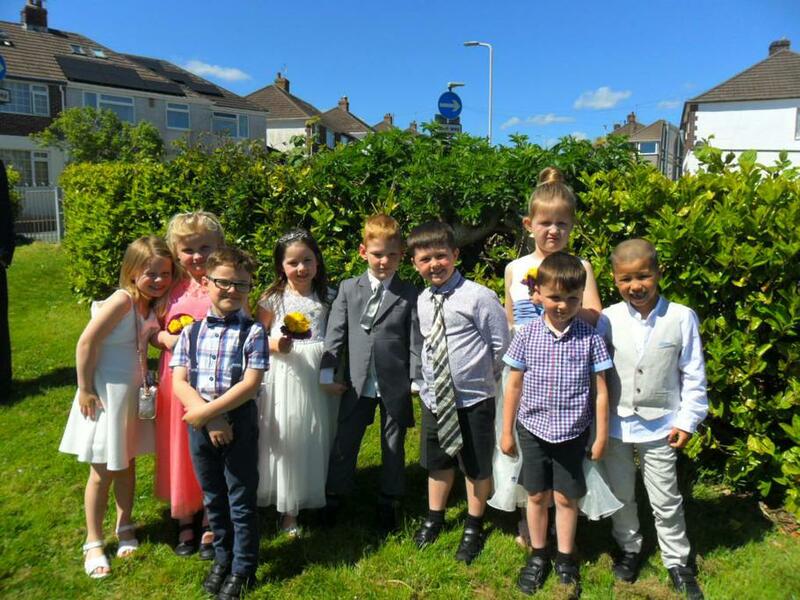 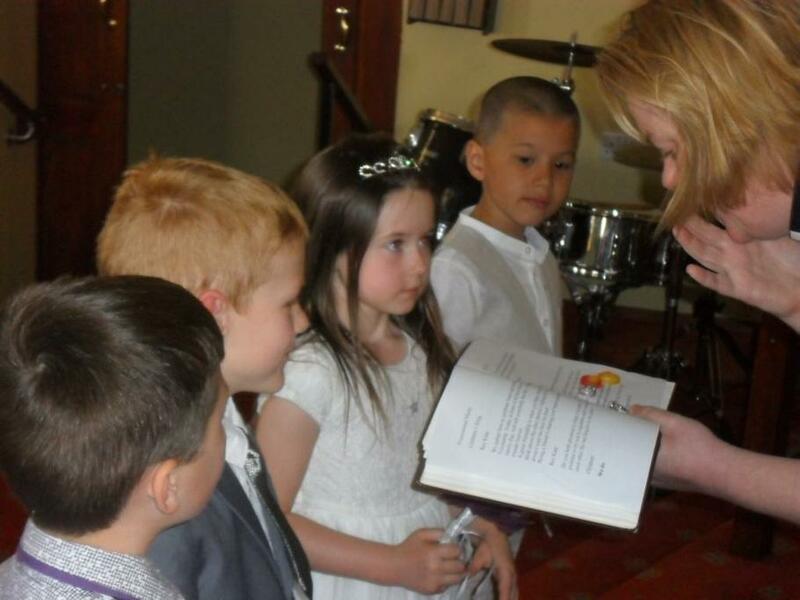 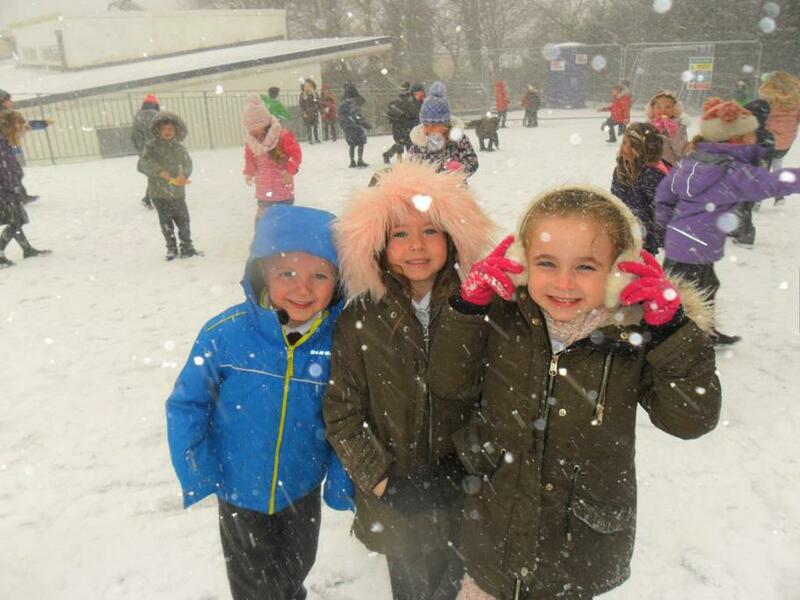 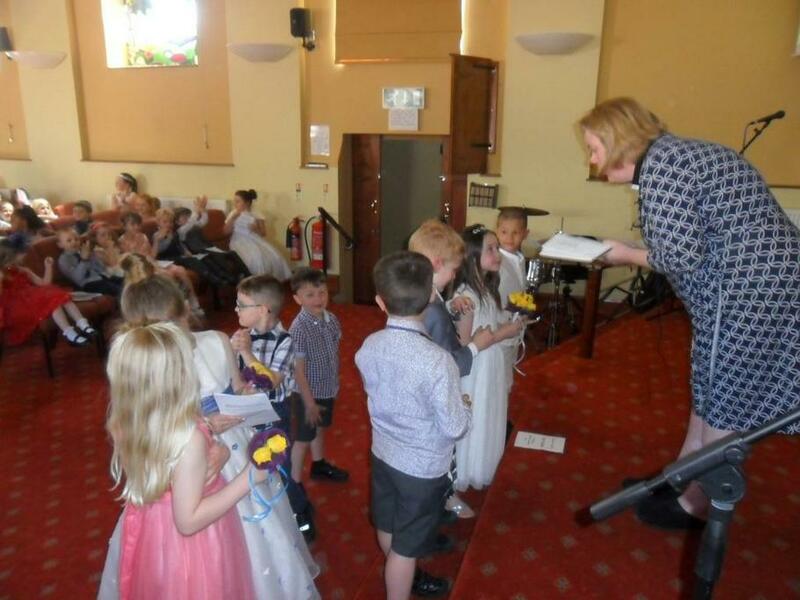 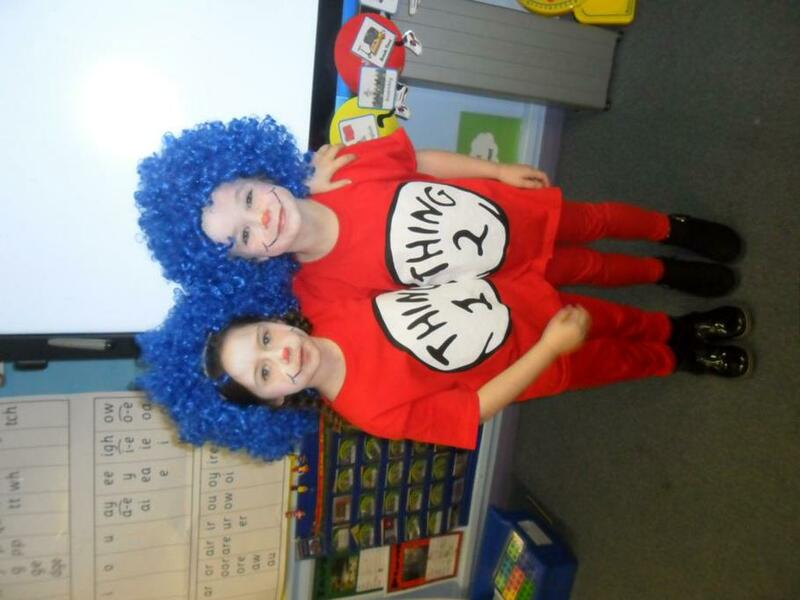 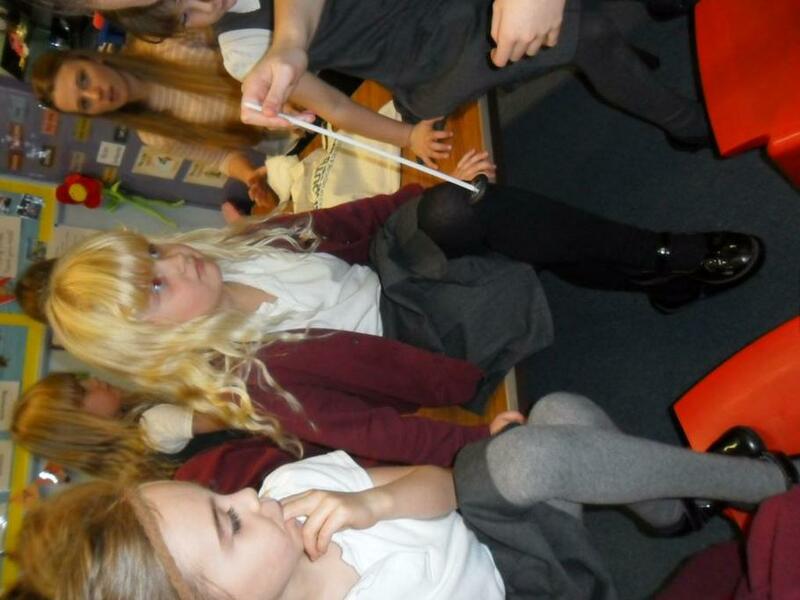 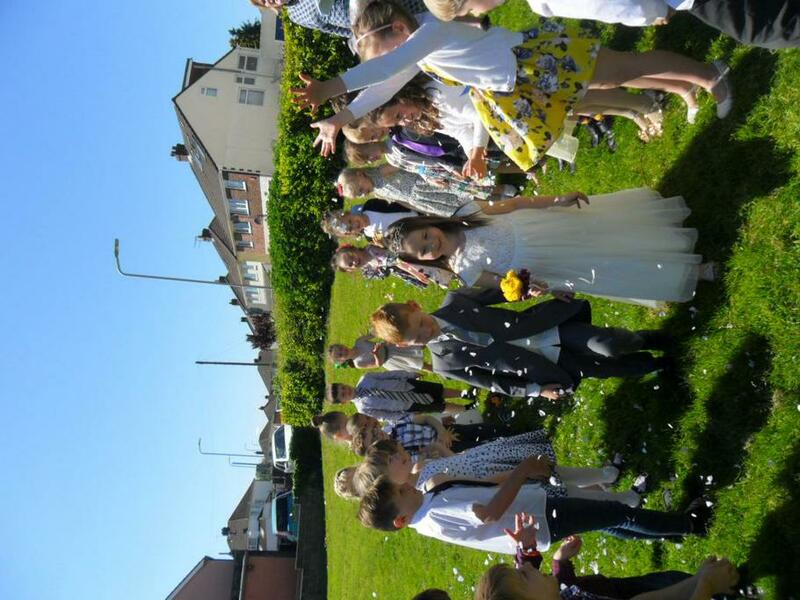 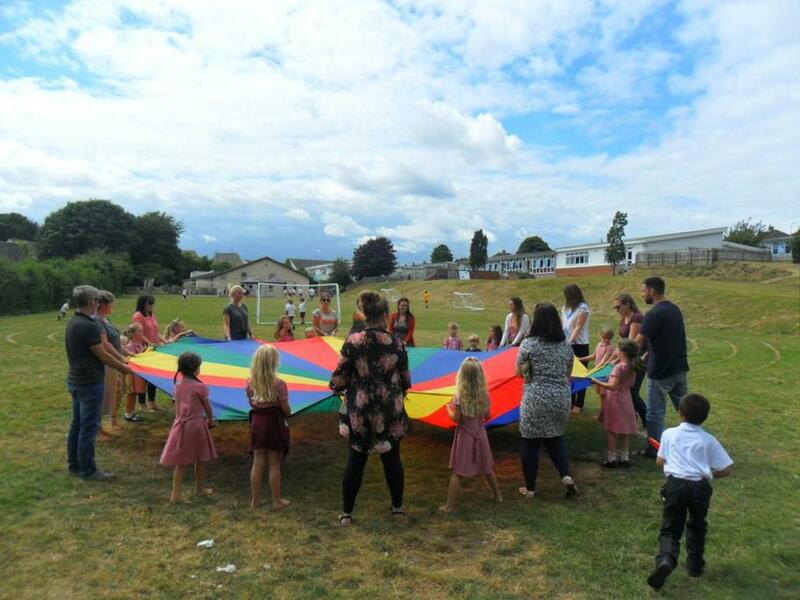 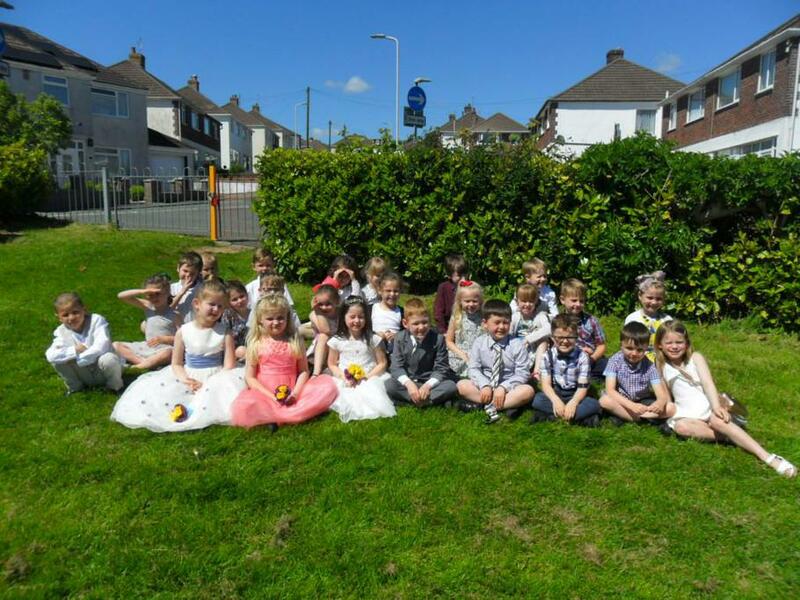 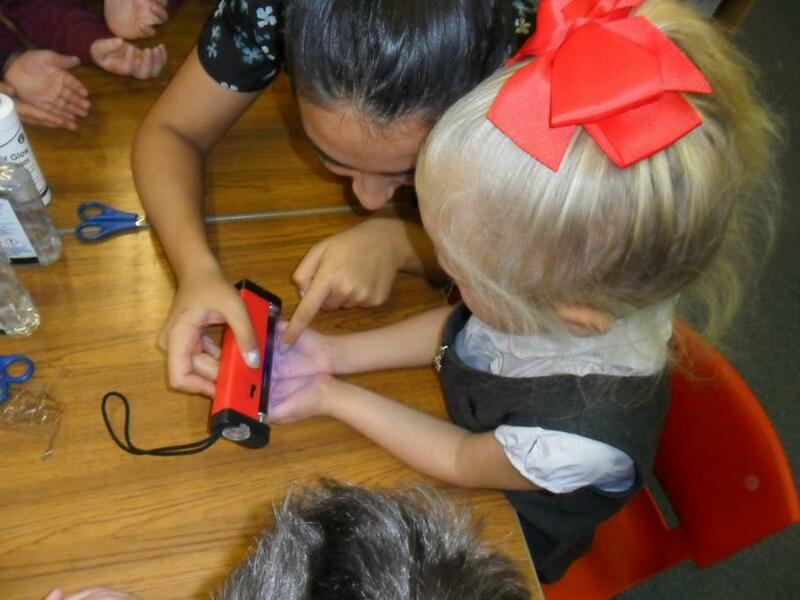 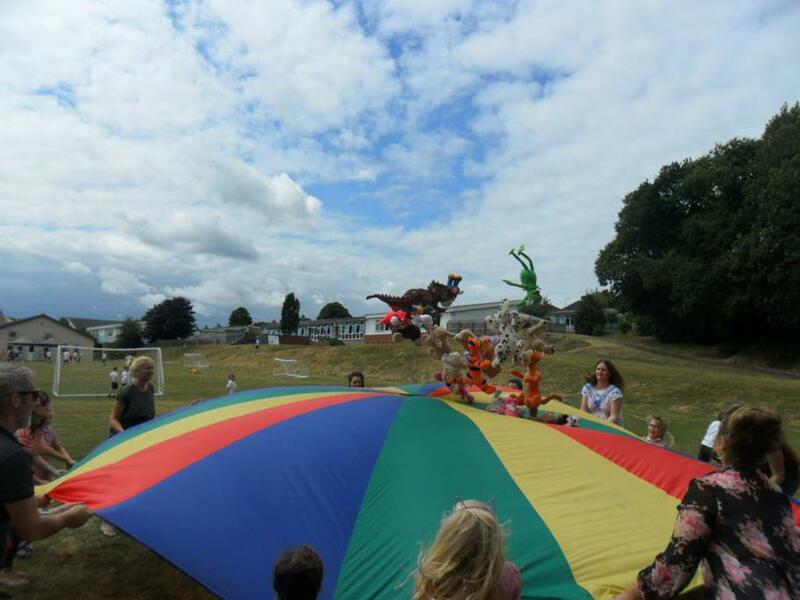 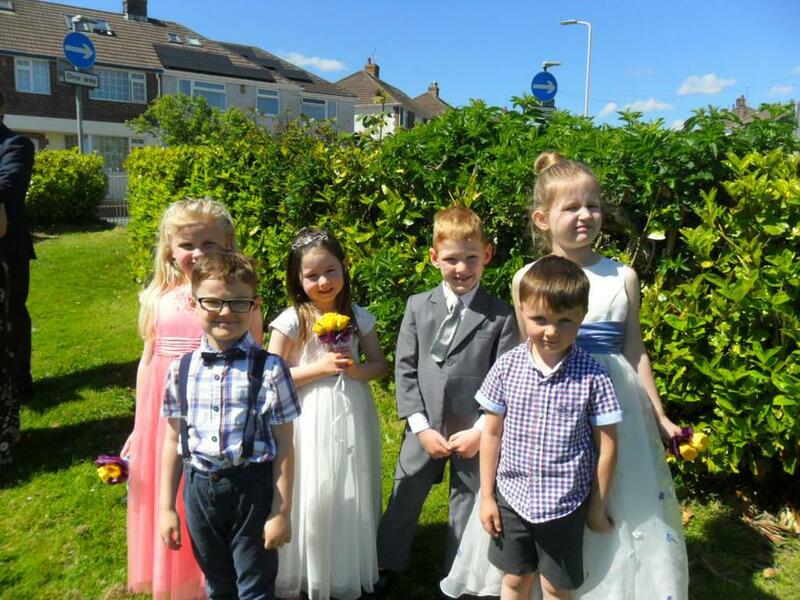 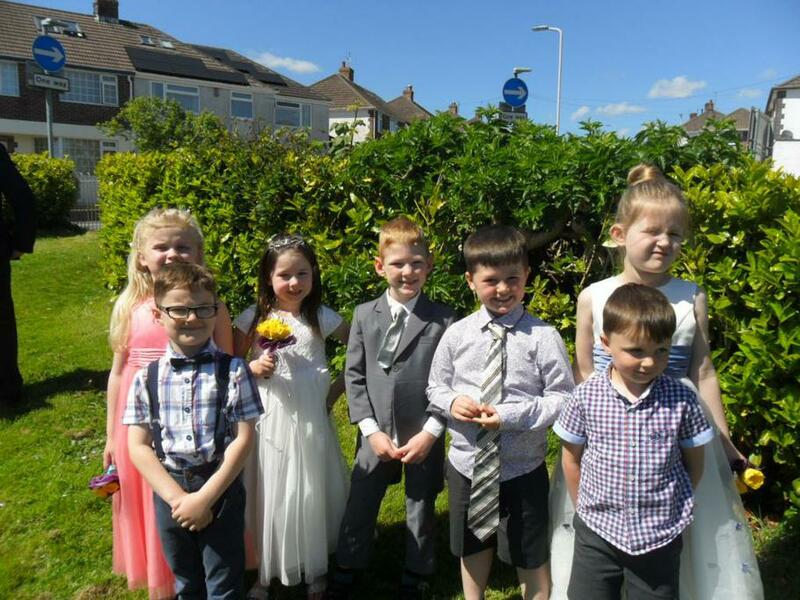 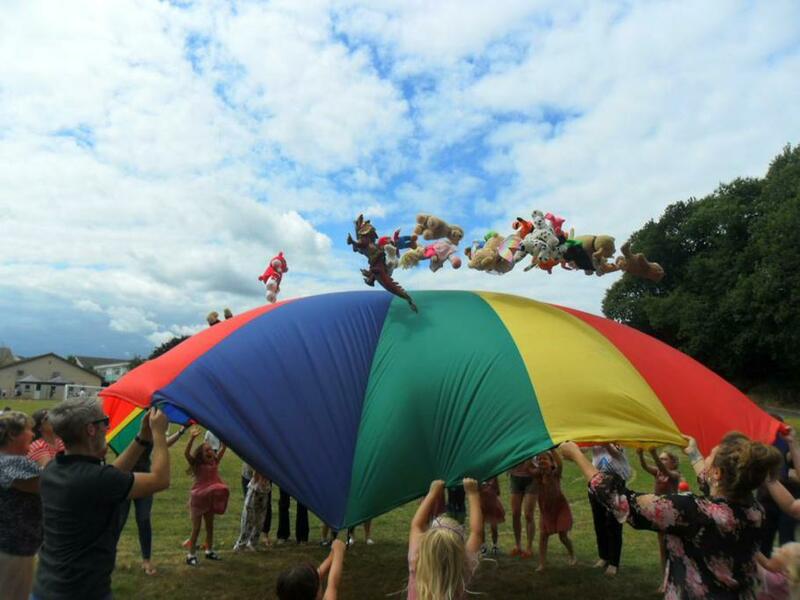 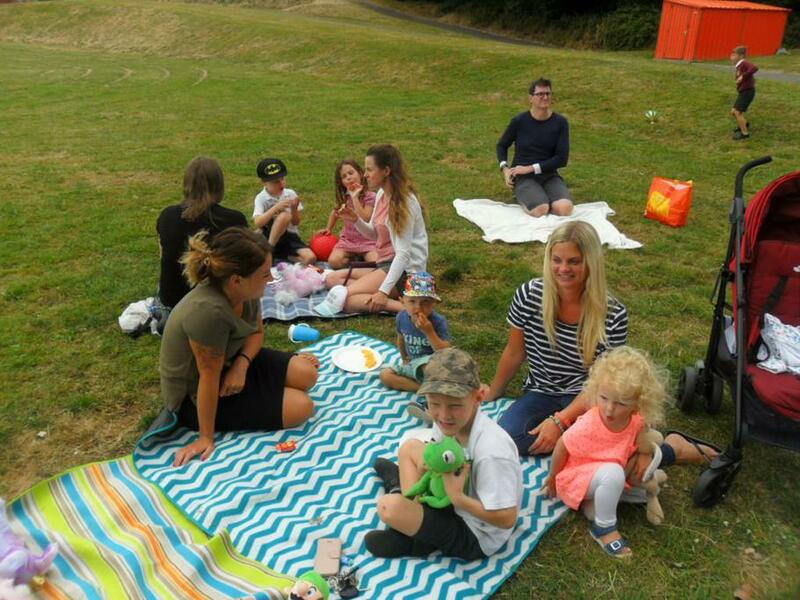 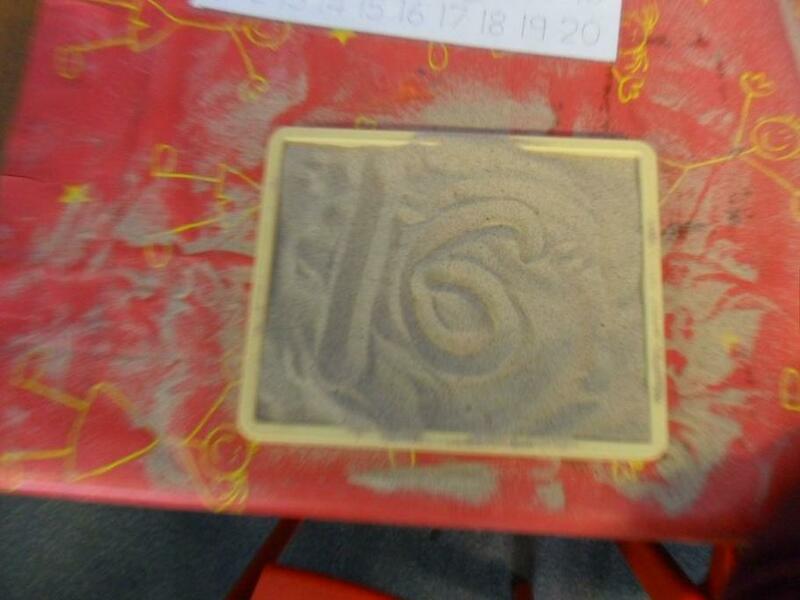 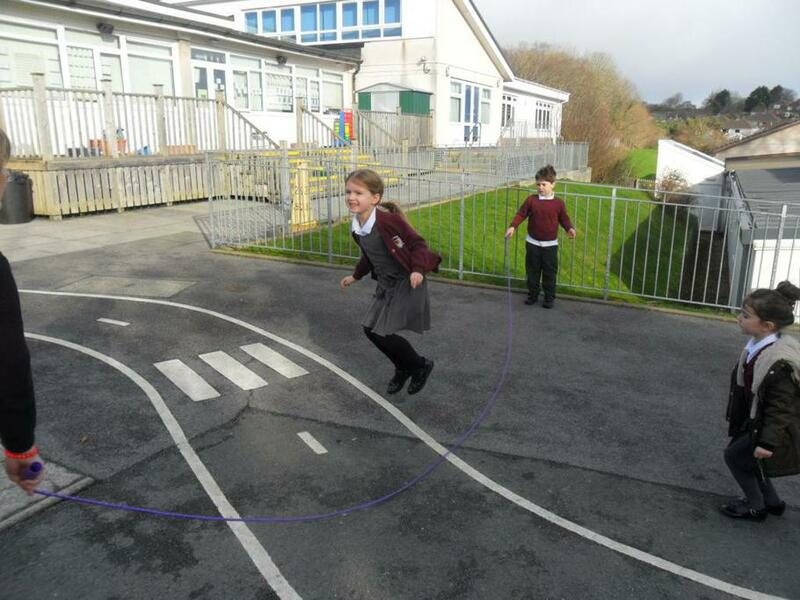 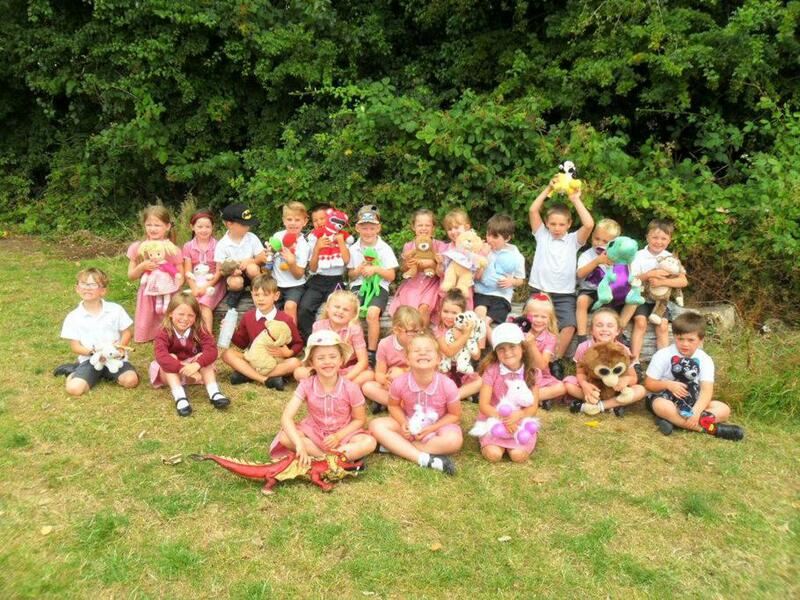 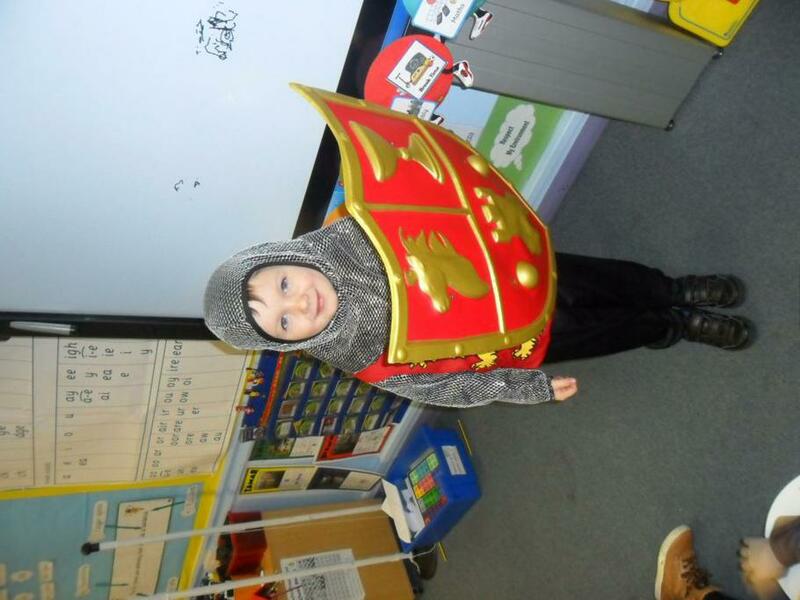 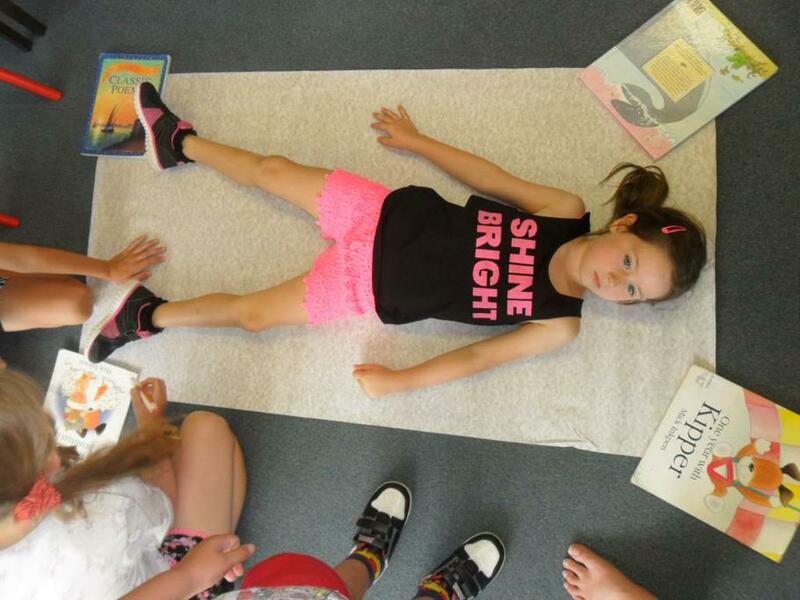 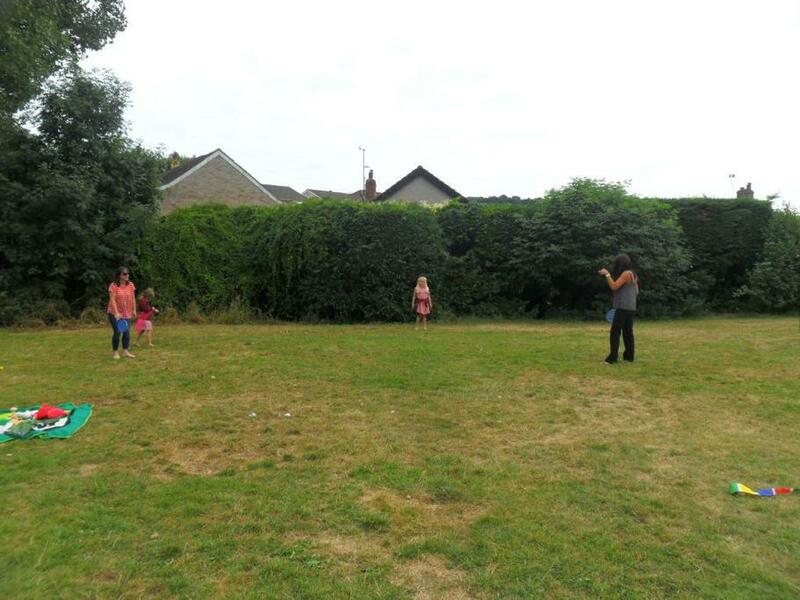 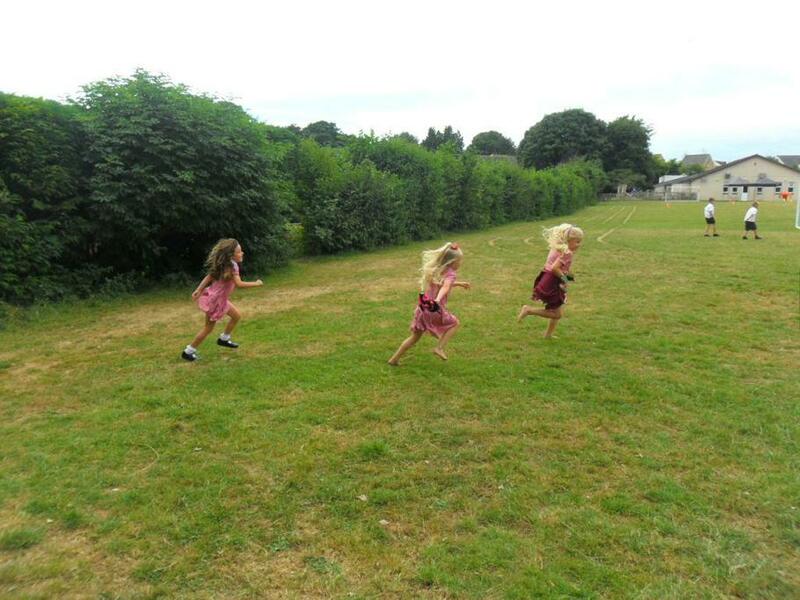 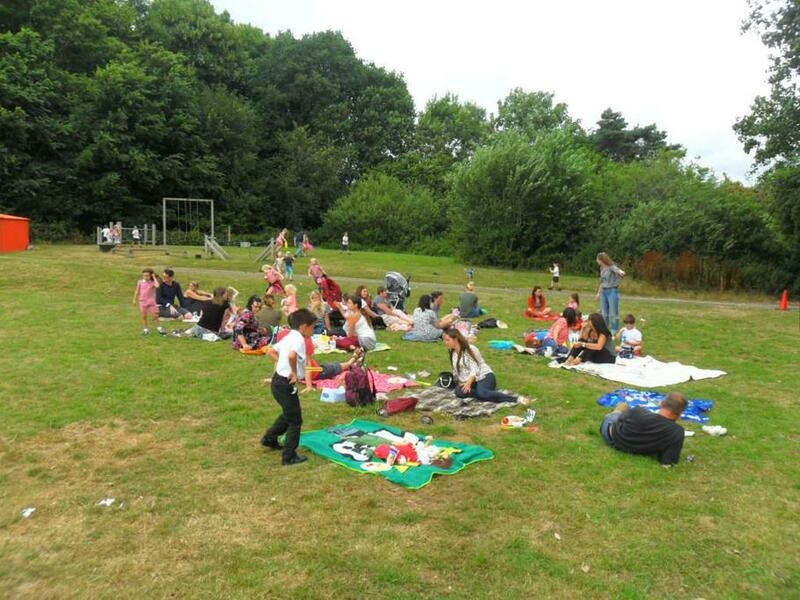 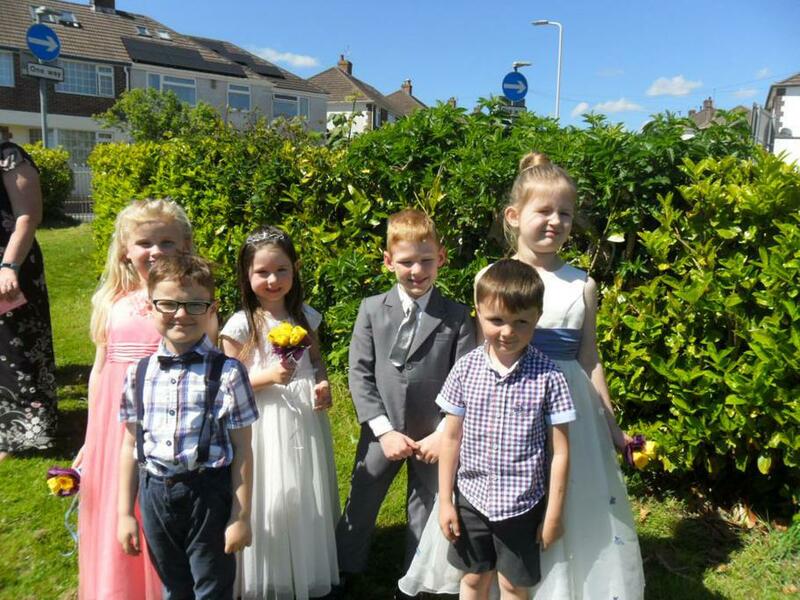 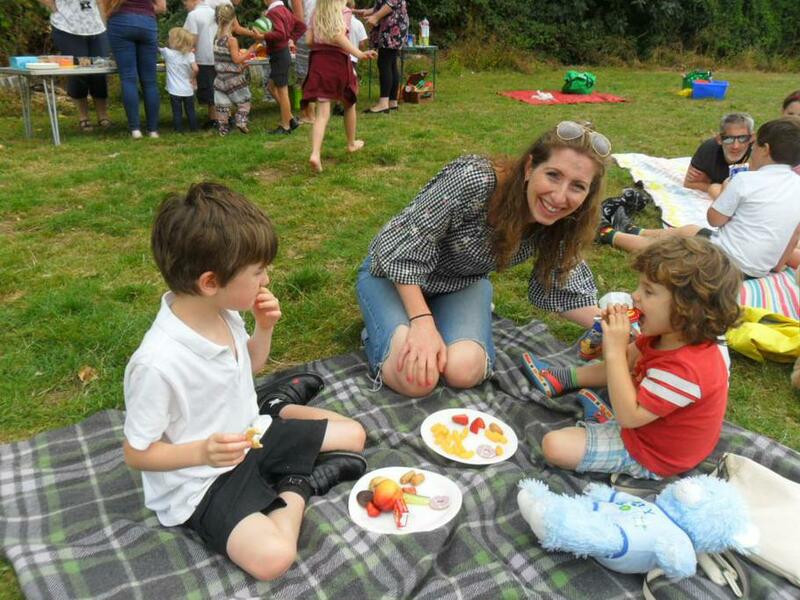 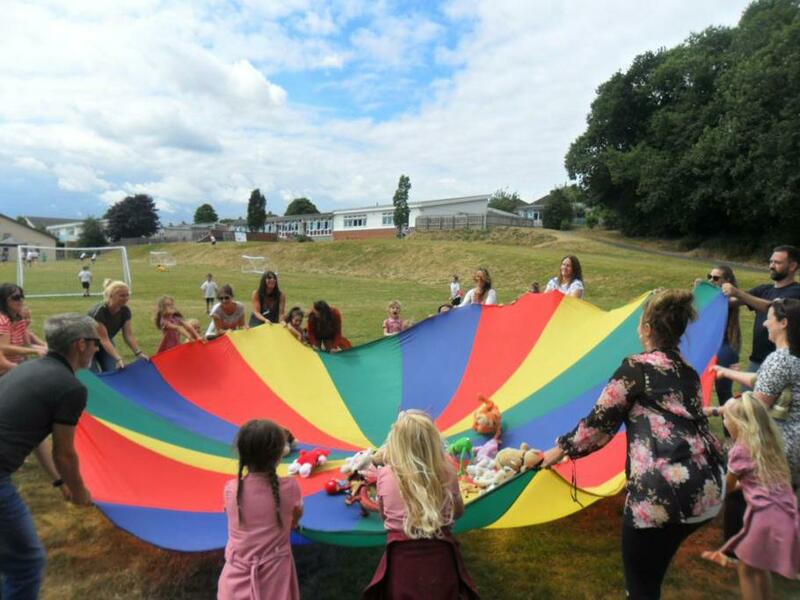 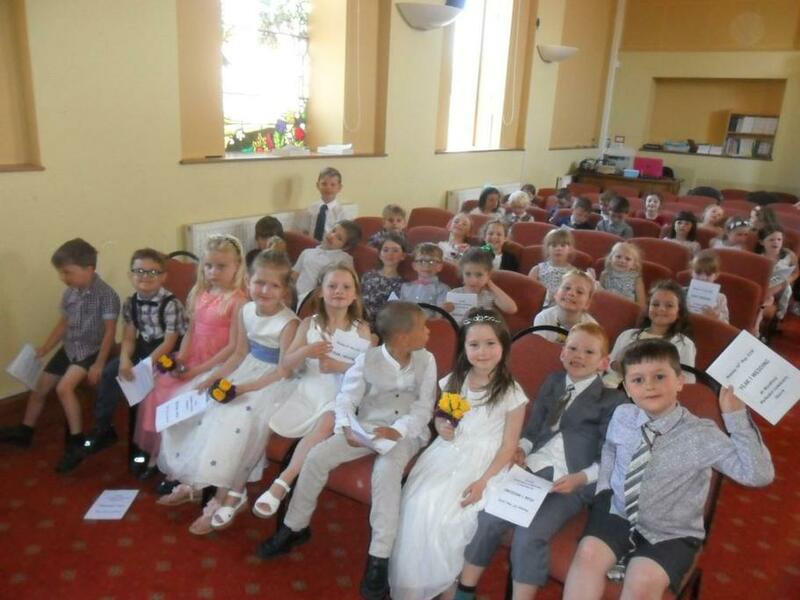 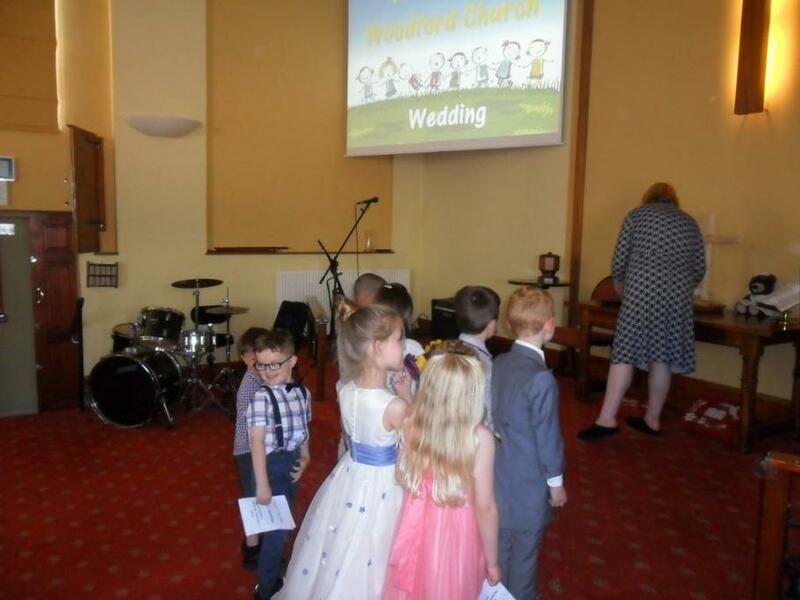 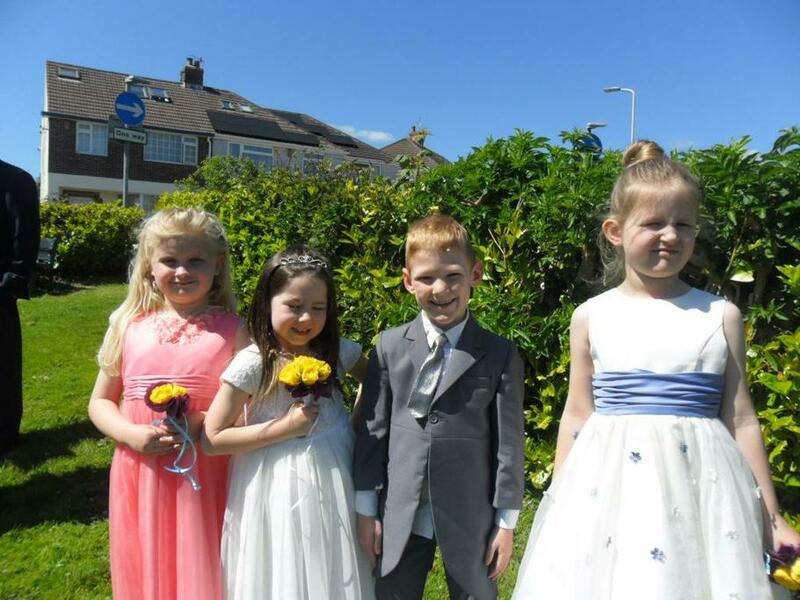 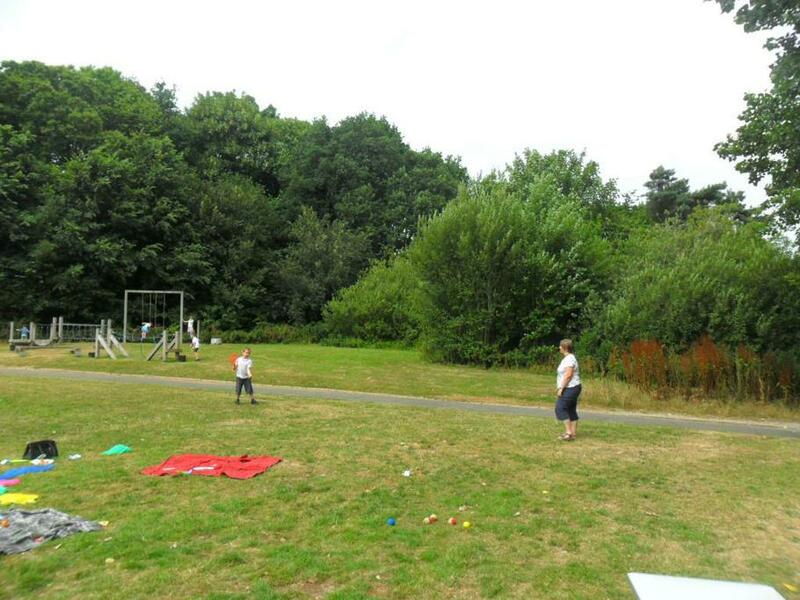 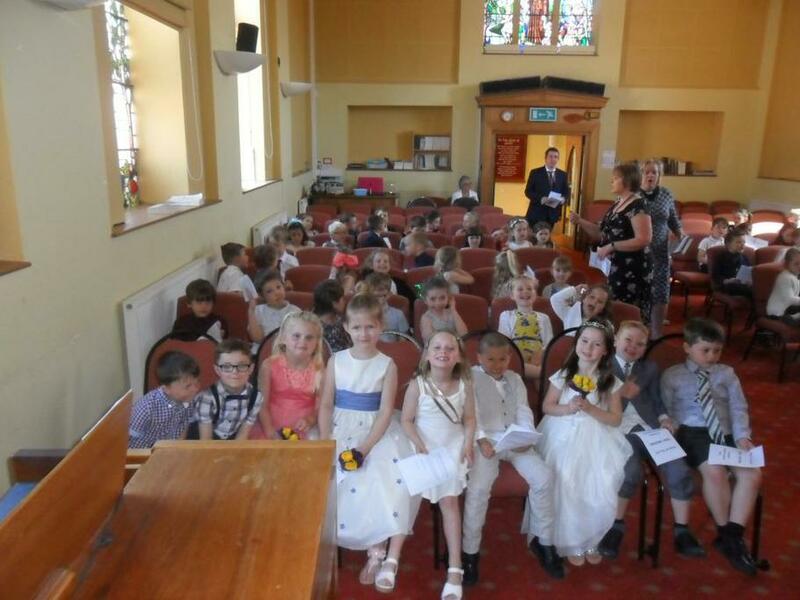 Take a look at all the photos to see the fun the children had. 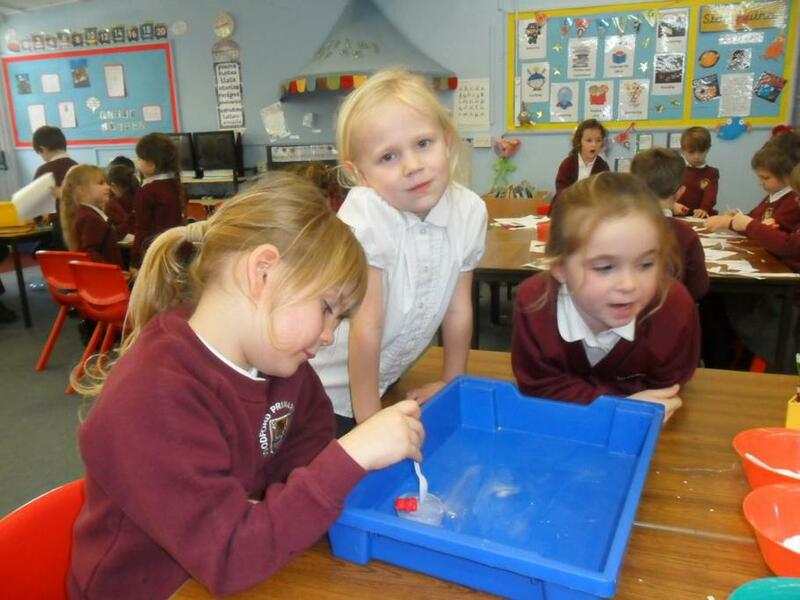 We have had a great time this term working on our Polar topic. 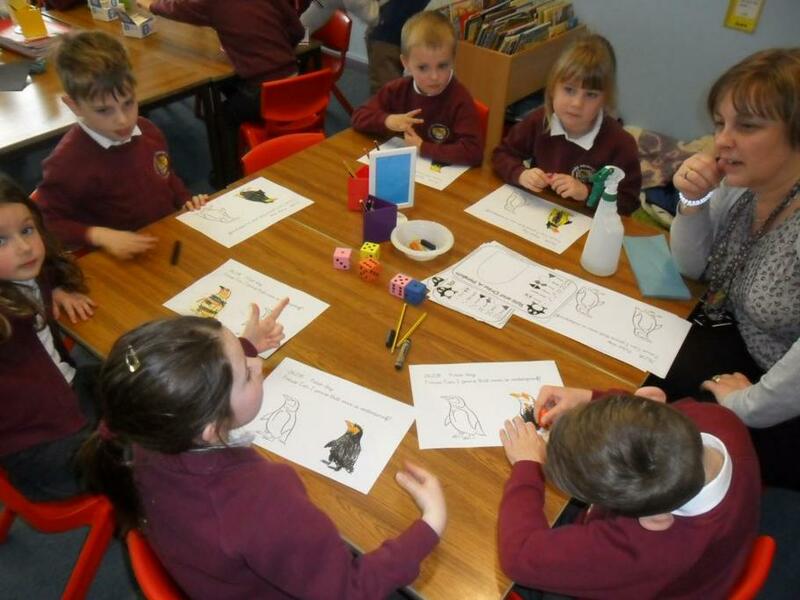 We have written stories, fact files and poems; learnt about Captain Scott's expedition to Antarctica; worked on numbers, shapes and time in Maths and been learning about polar animals in Science. 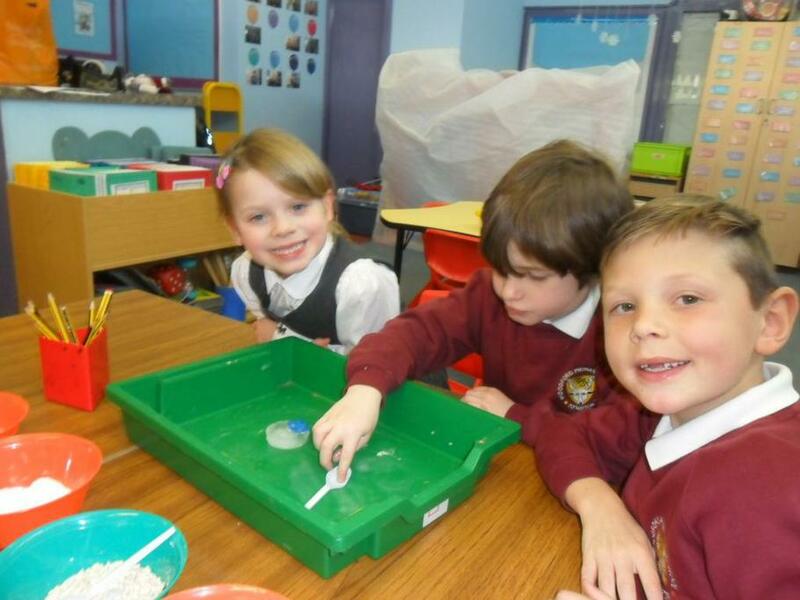 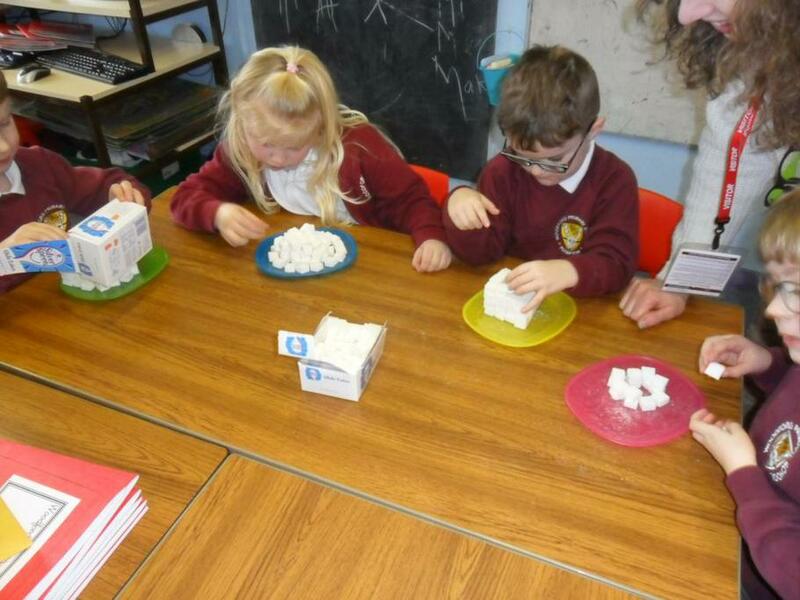 The Arctic role play has been great fun to play in-especially the igloo! 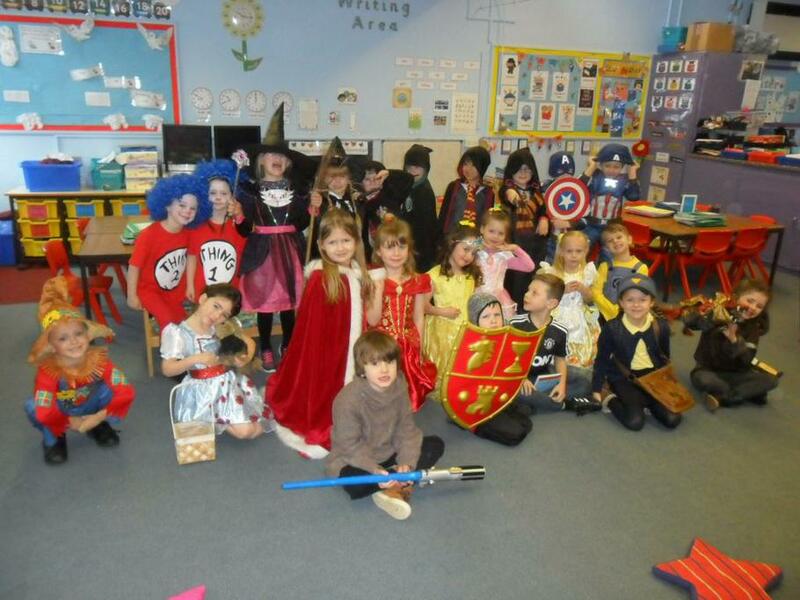 We did some fantastic book covers for our half term homework and had a lovely time dressing up for a postponed World Book day because of the snow! 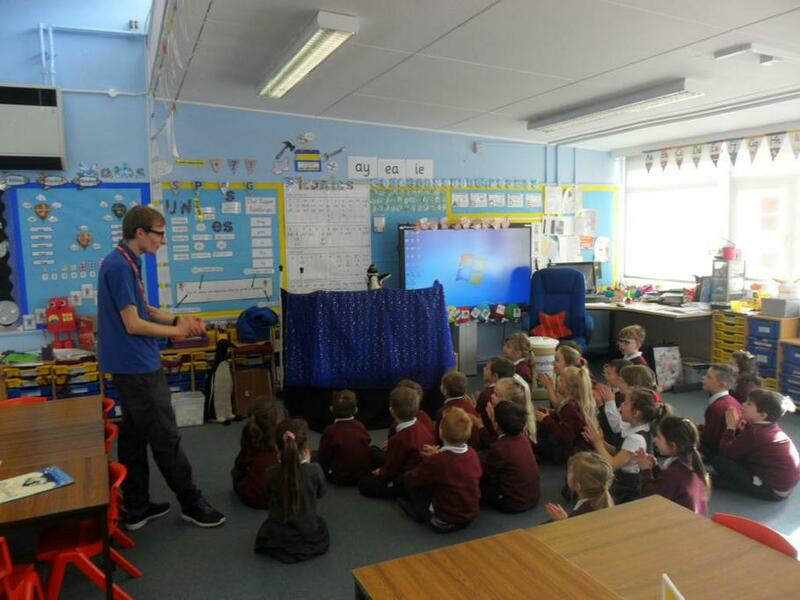 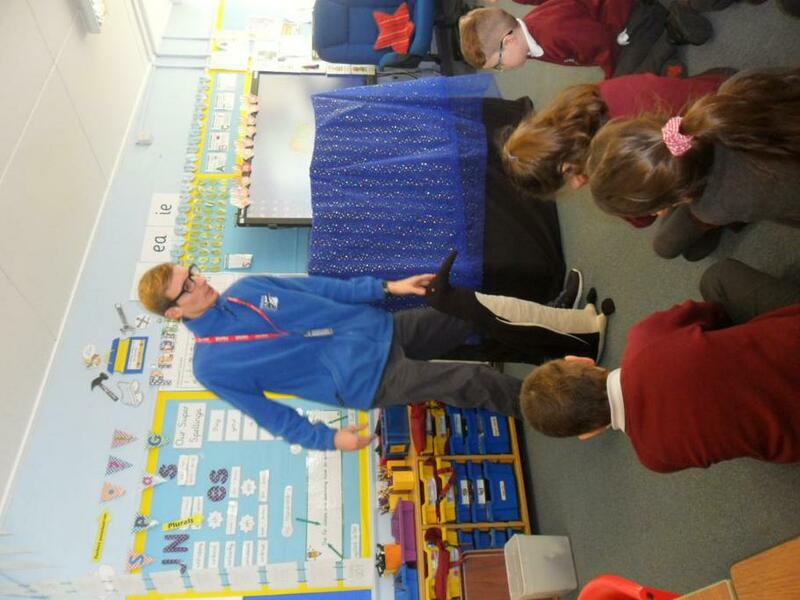 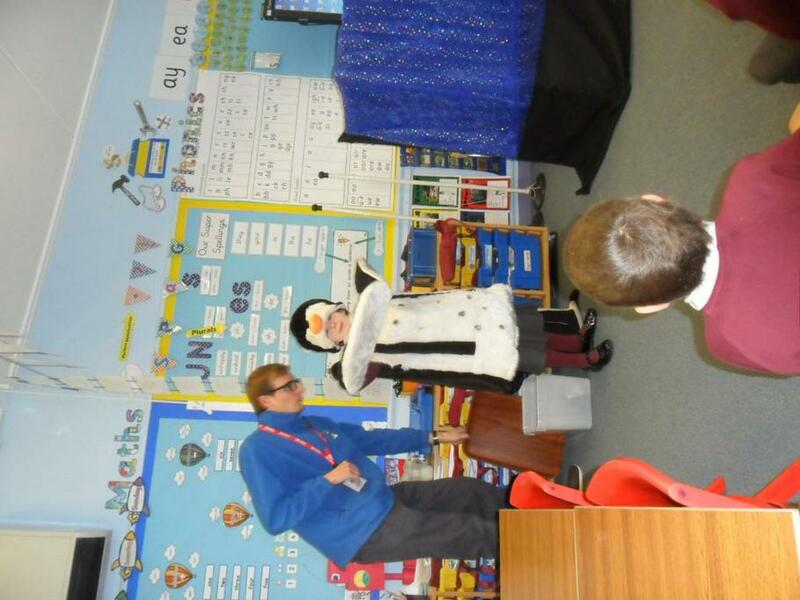 We have had a visit from Tom at the Living Coasts who told us all about penguins. 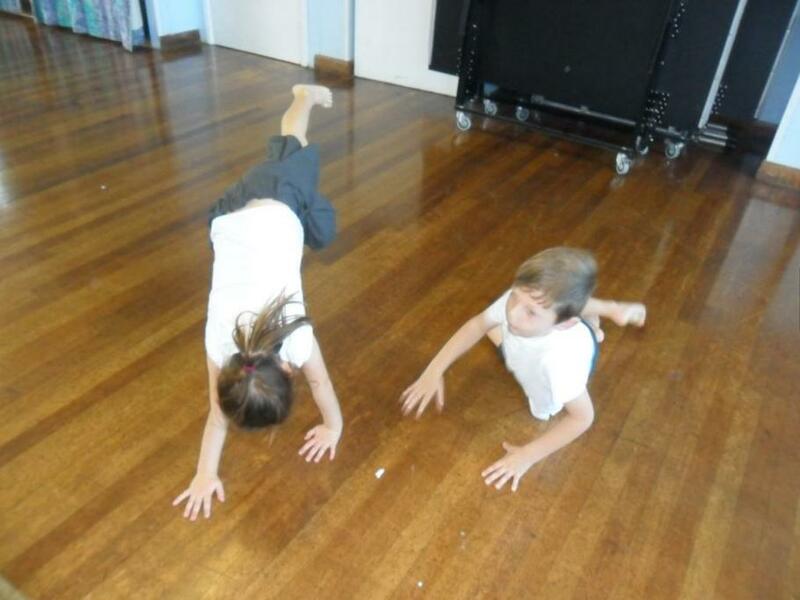 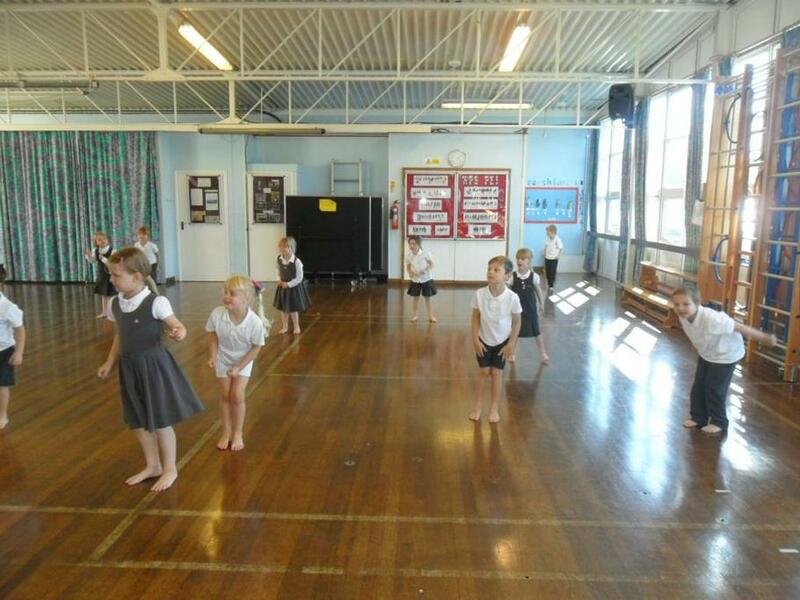 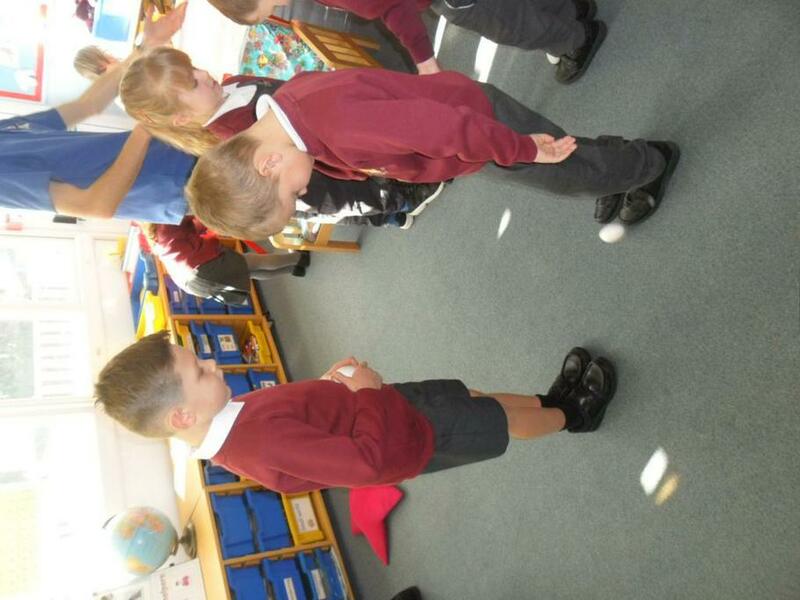 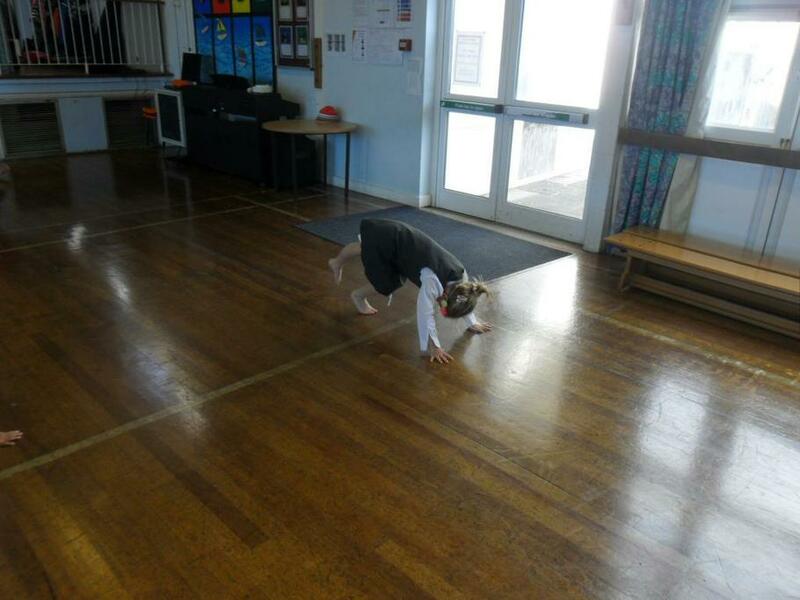 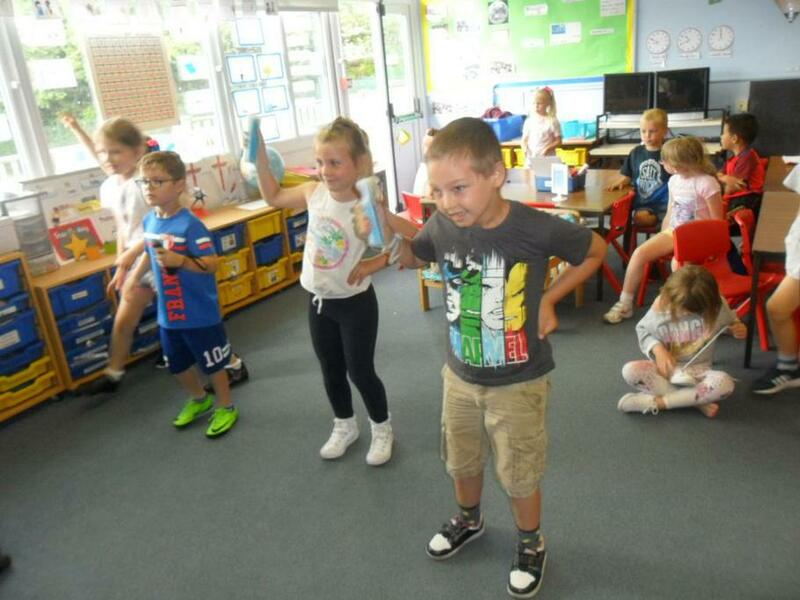 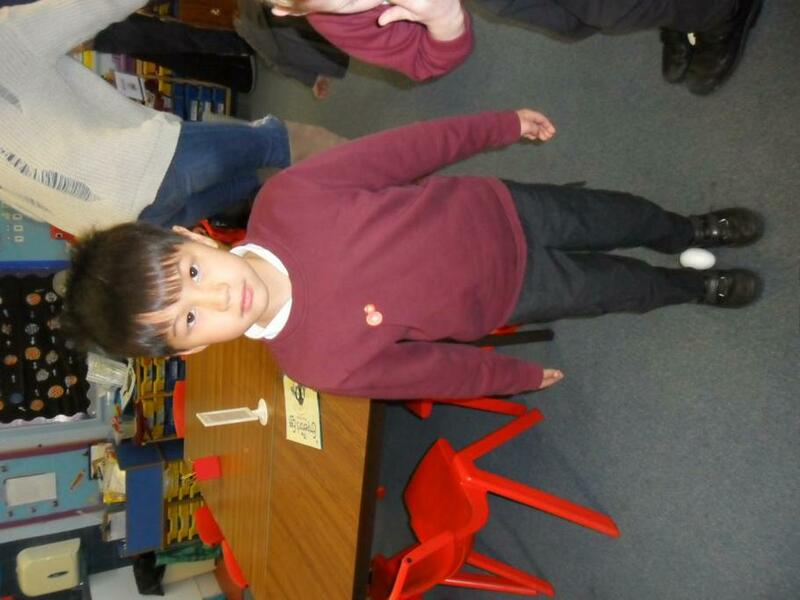 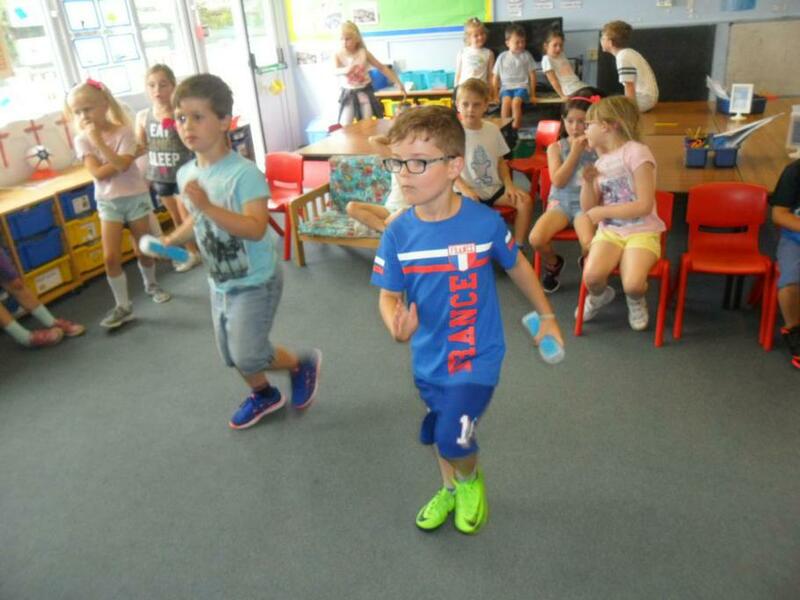 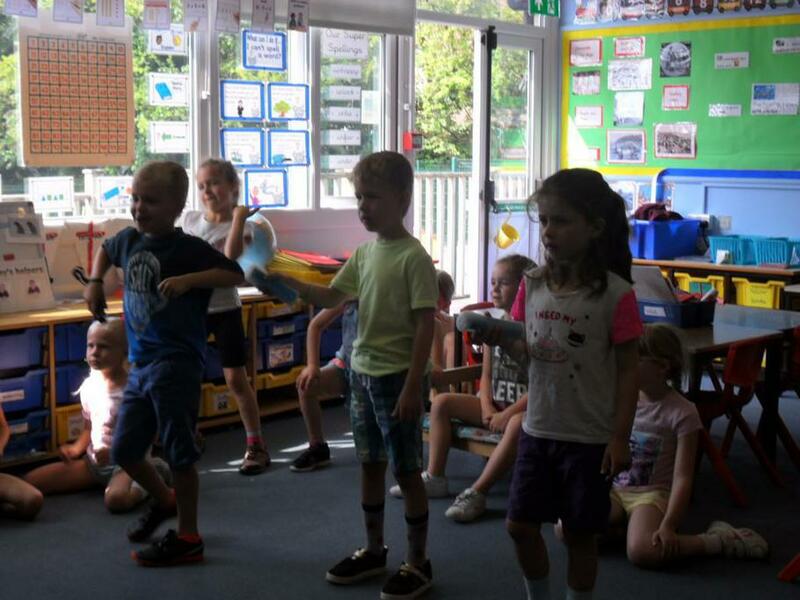 We waddled like penguins and balanced eggs on our feet, which was very tricky! 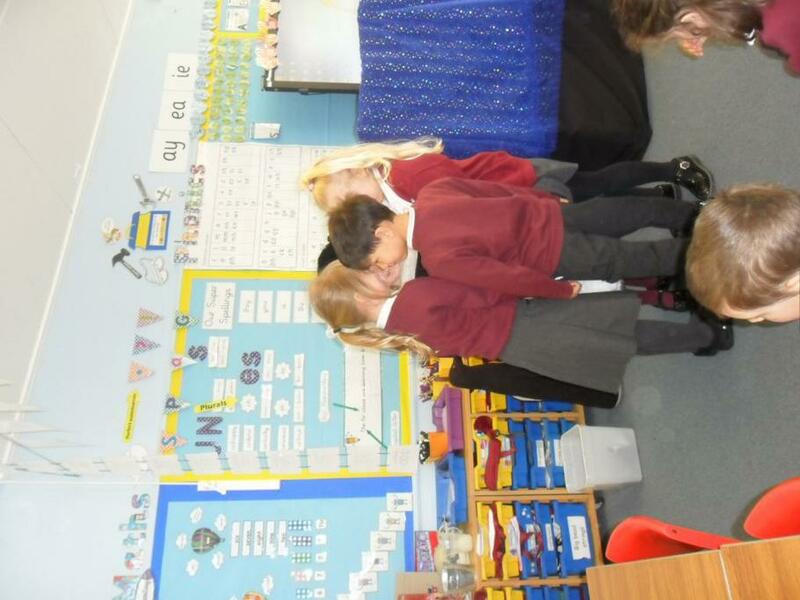 Darcie dressed up as a penguin and we all huddled around her to try and keep warm. 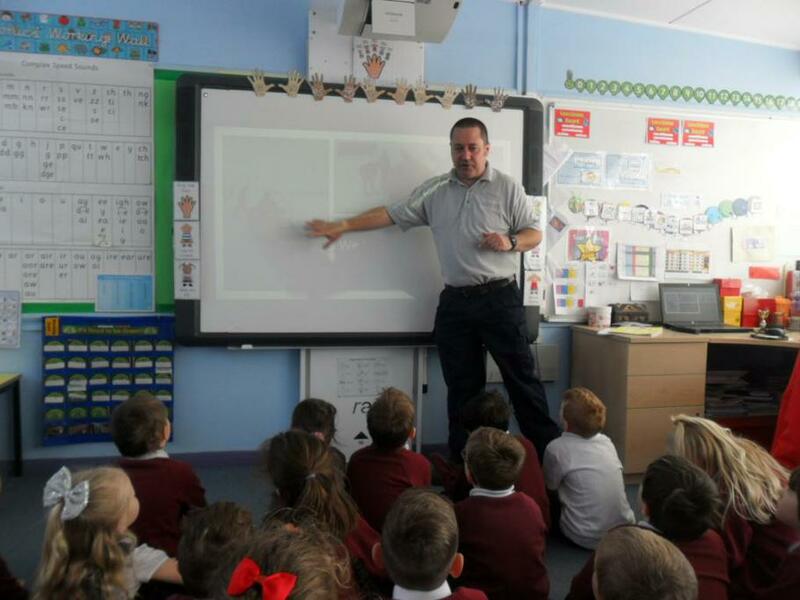 Robby (Olly's Dad) came and told us all about his Antarctic adventures which looked great. 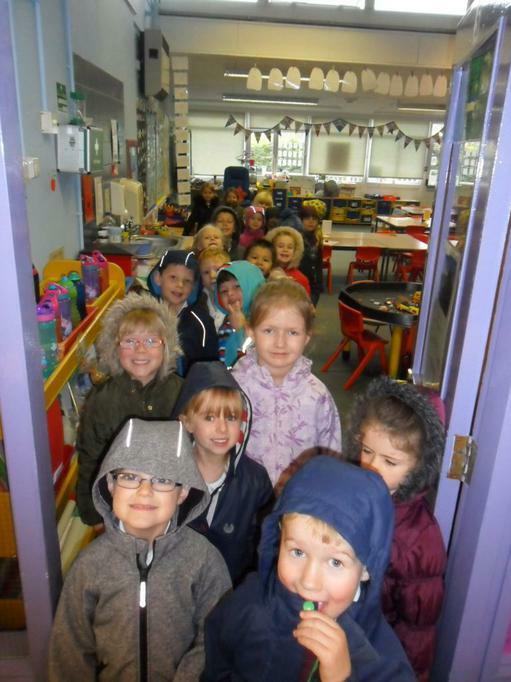 We have had a very busy term! 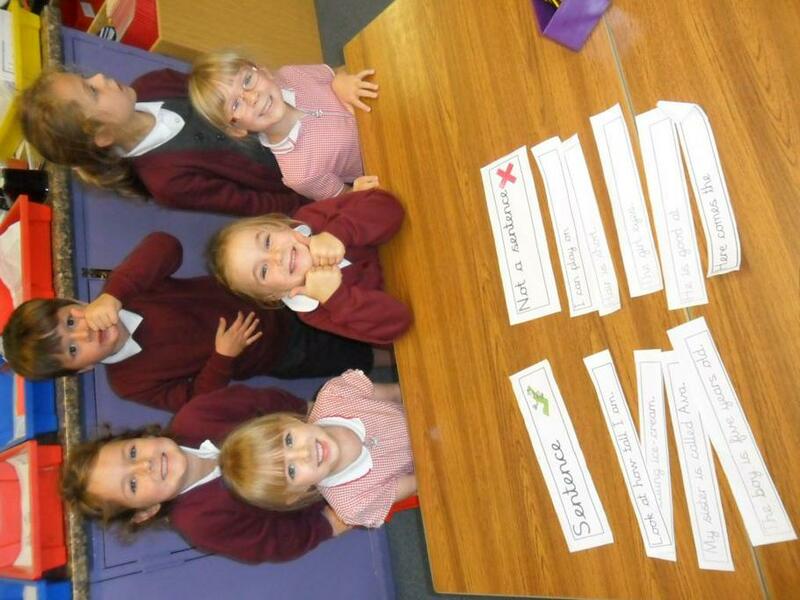 Look at all our learning this term! 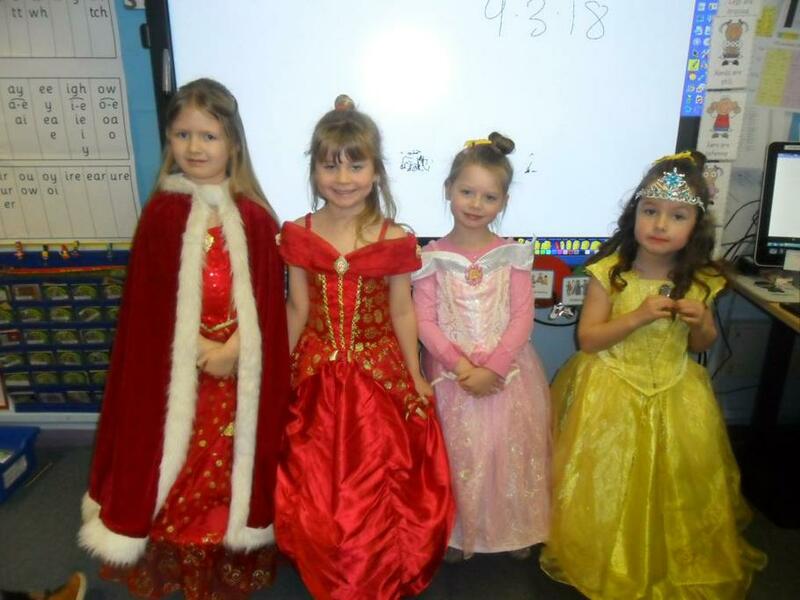 We had a great Christmas party! 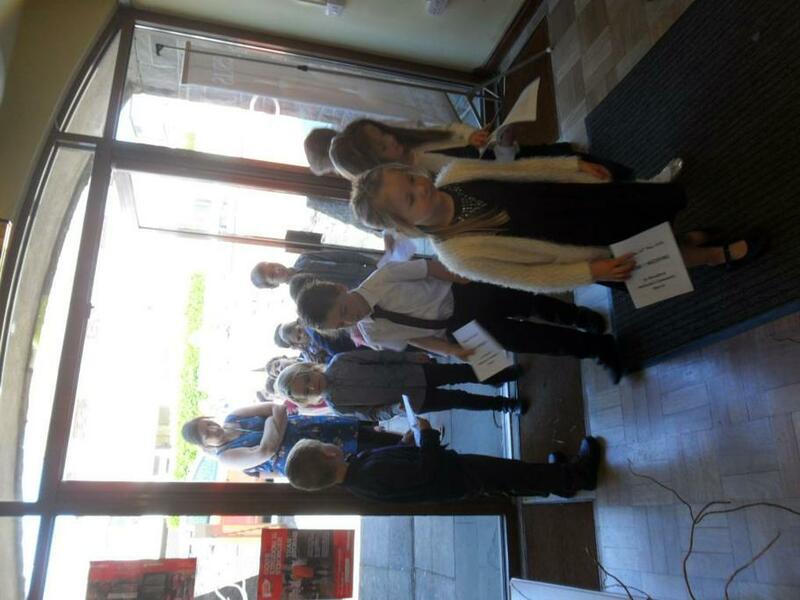 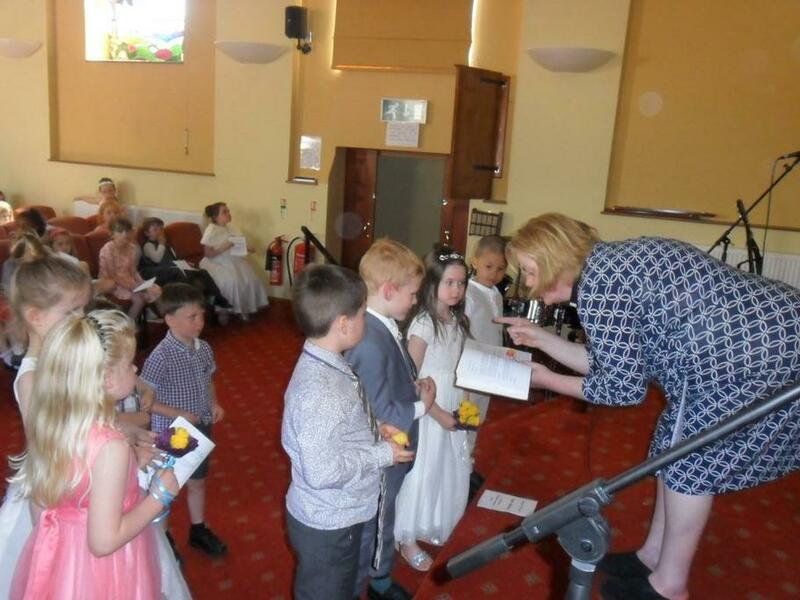 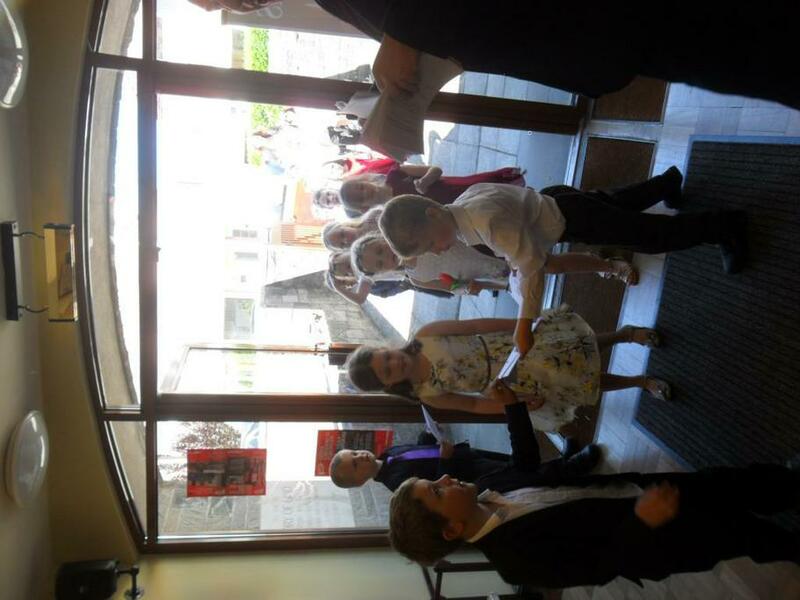 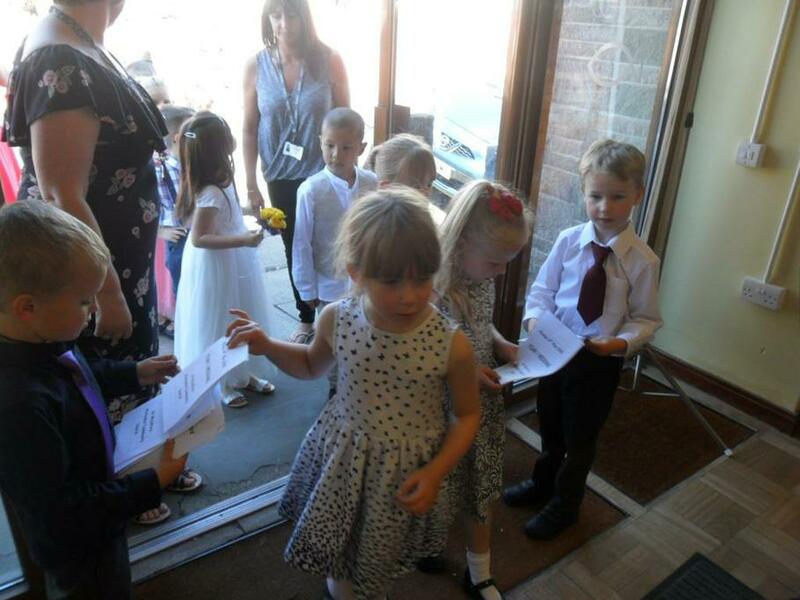 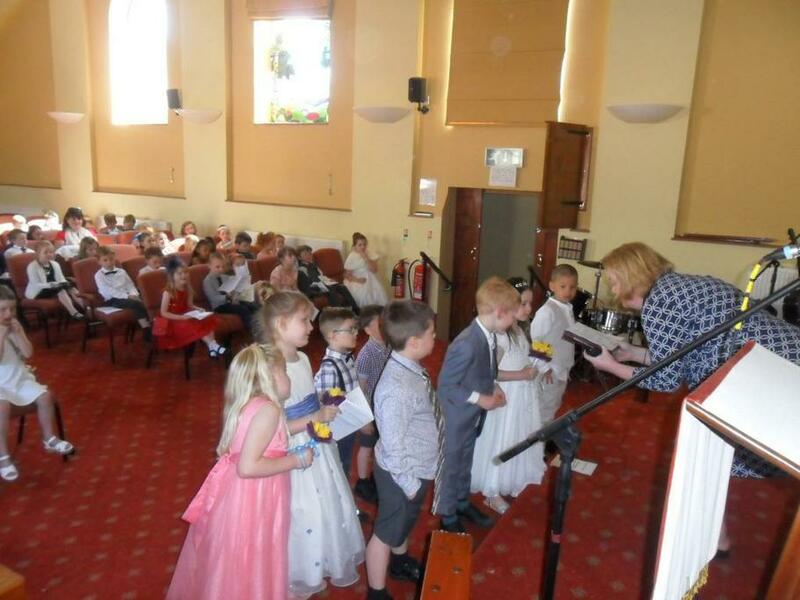 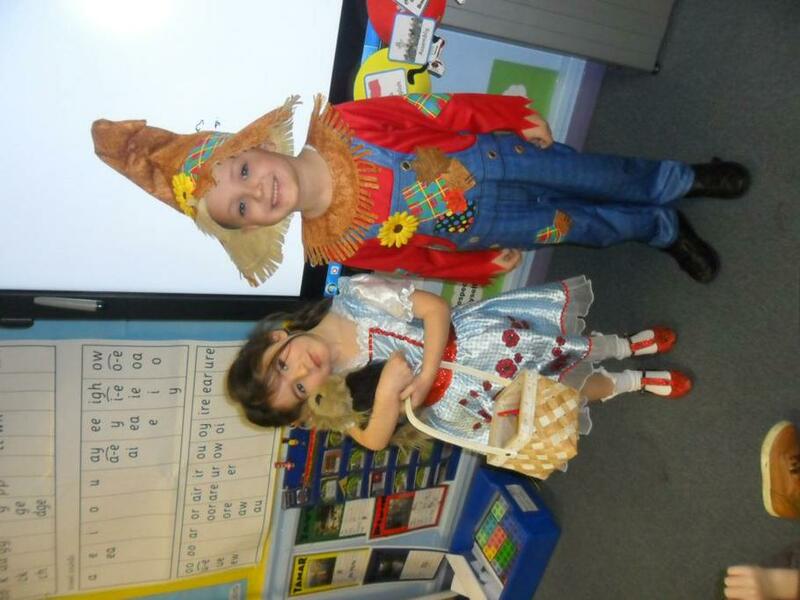 The children really enjoyed performing! 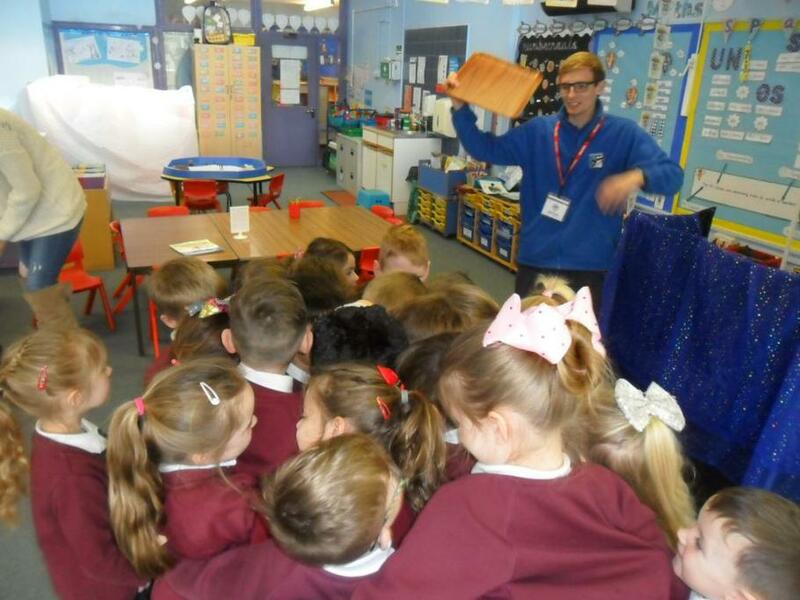 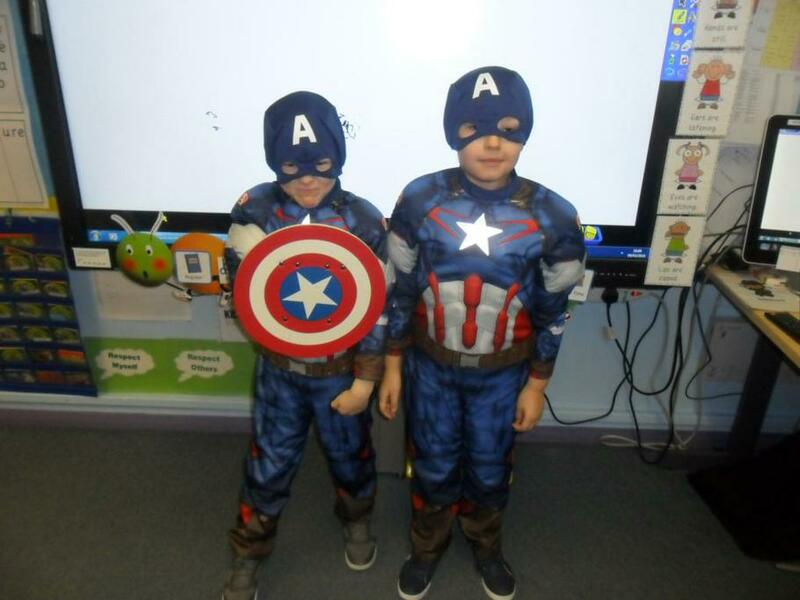 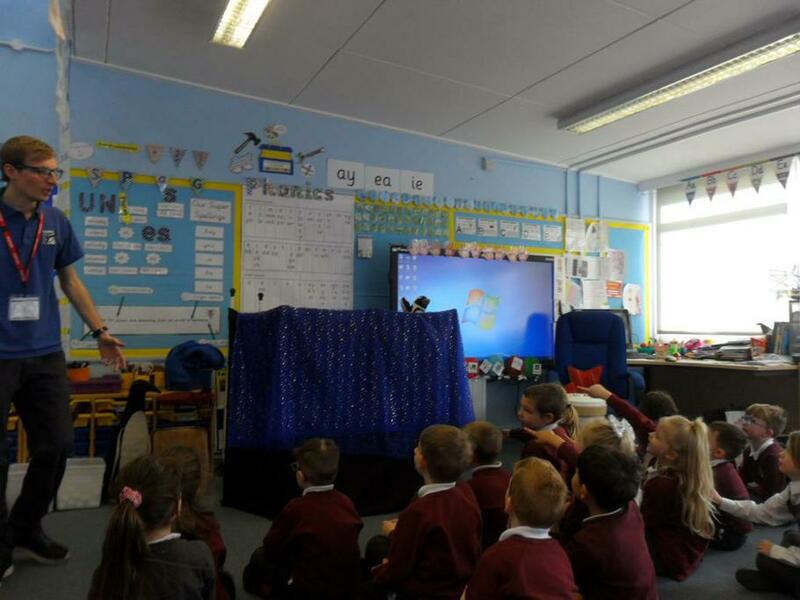 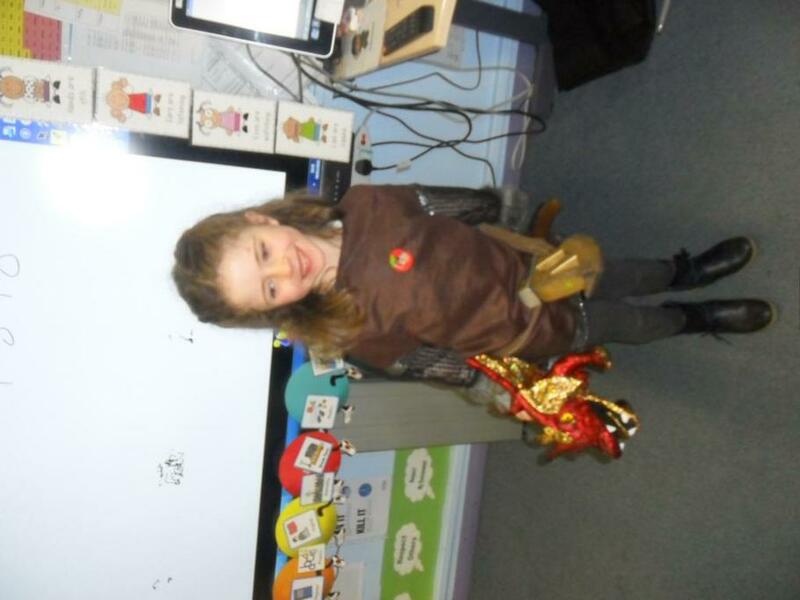 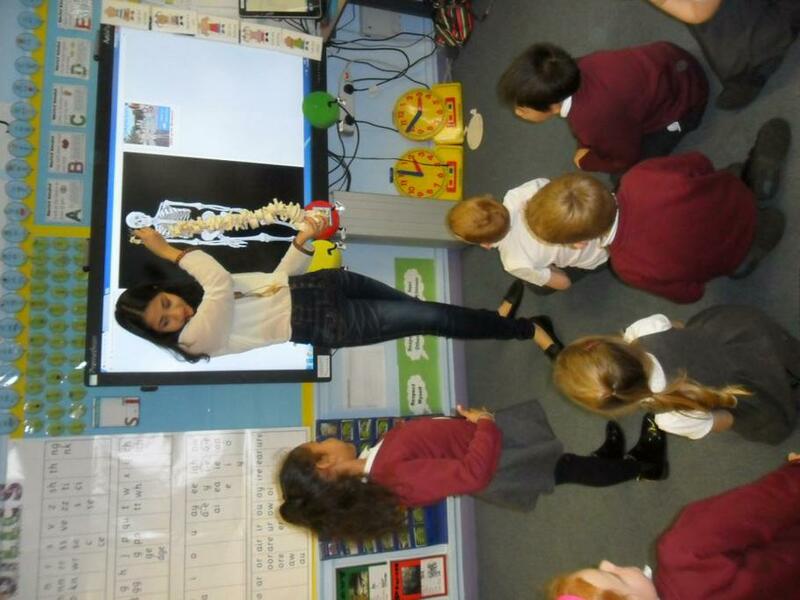 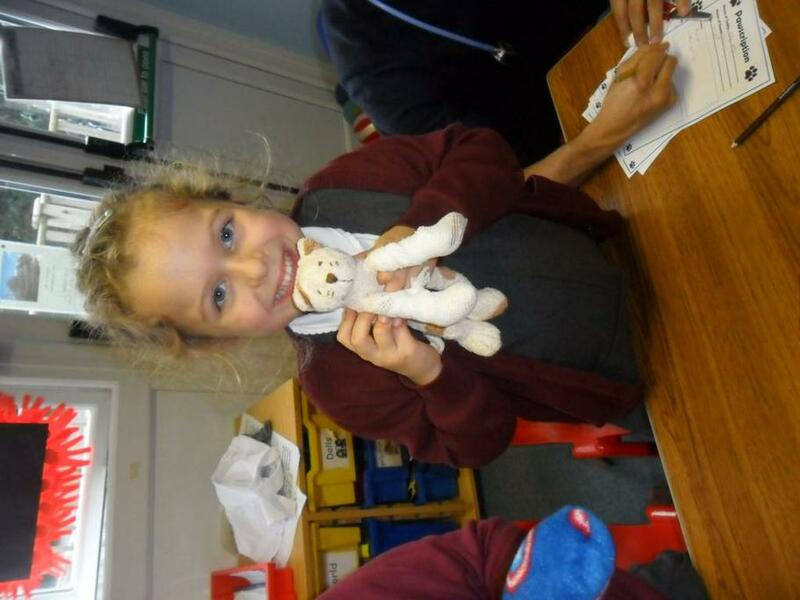 The Fir class had a very special visitor on Wednesday. 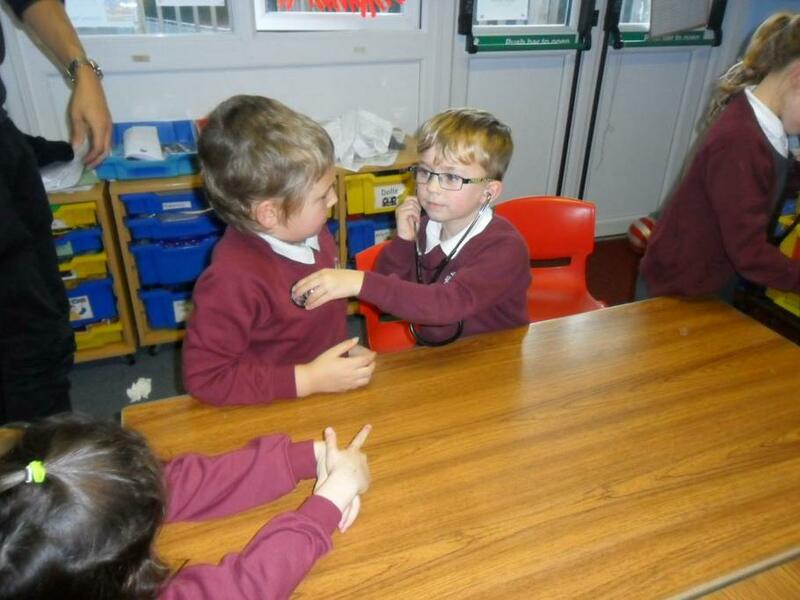 Robby, Ollie's Dad, came in to tell us all about his upcoming trip to Antarctica to work with a research team. 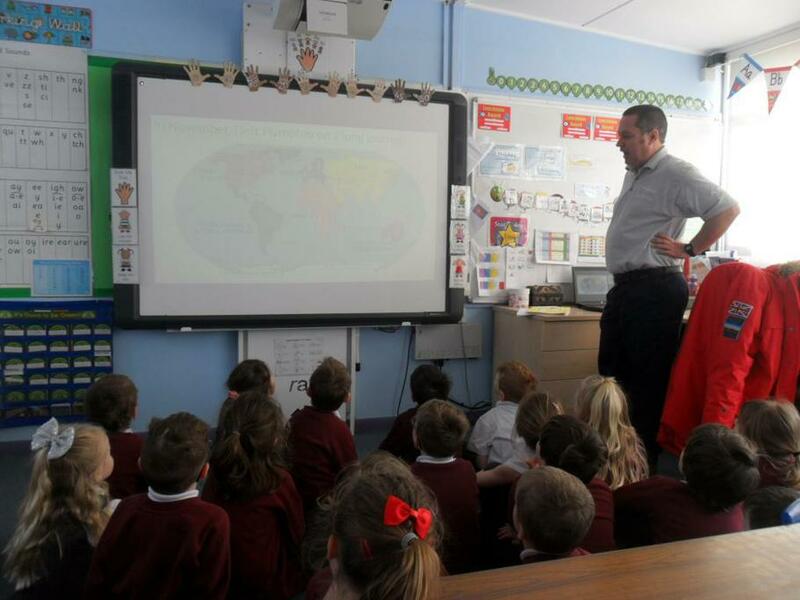 He showed us where Antarctica was and where he would be staying. 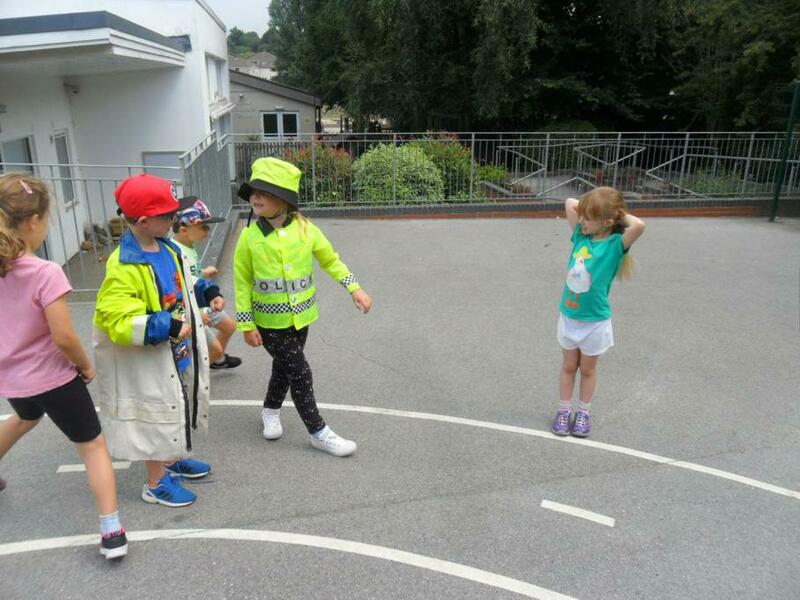 We tried on some of the clothes that he would have to wear, as it is so cold there. 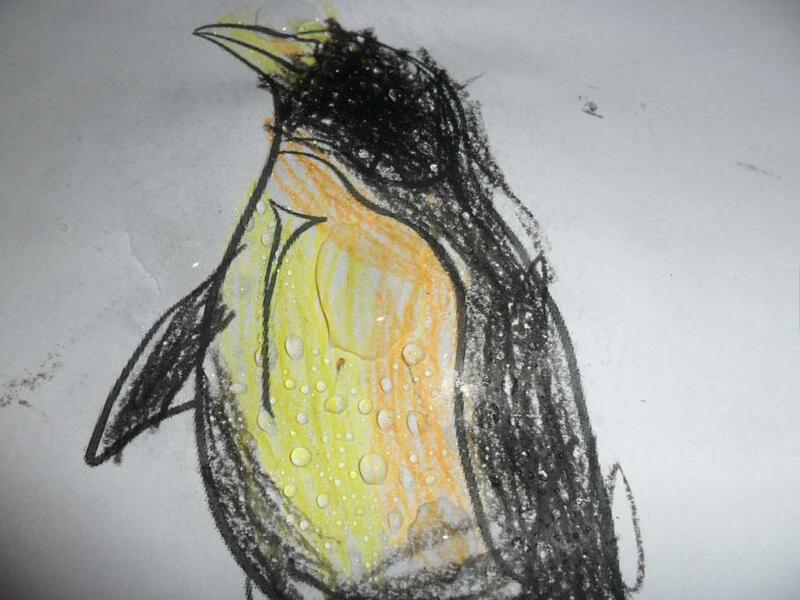 Robby is leaving at the beginning of December to work in Antarctica for 3 months! 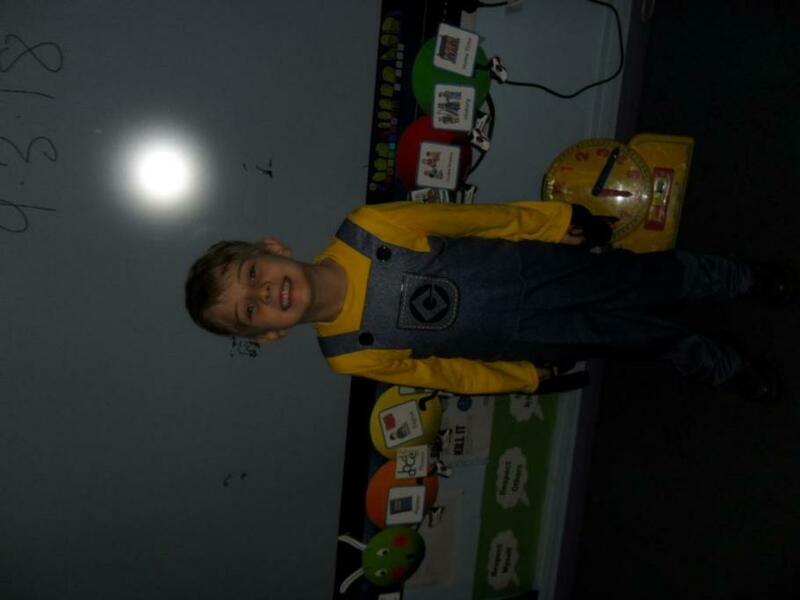 He is going to send us some pictures while he is there and we are also hoping to be able to call him and speak to him during his stay. 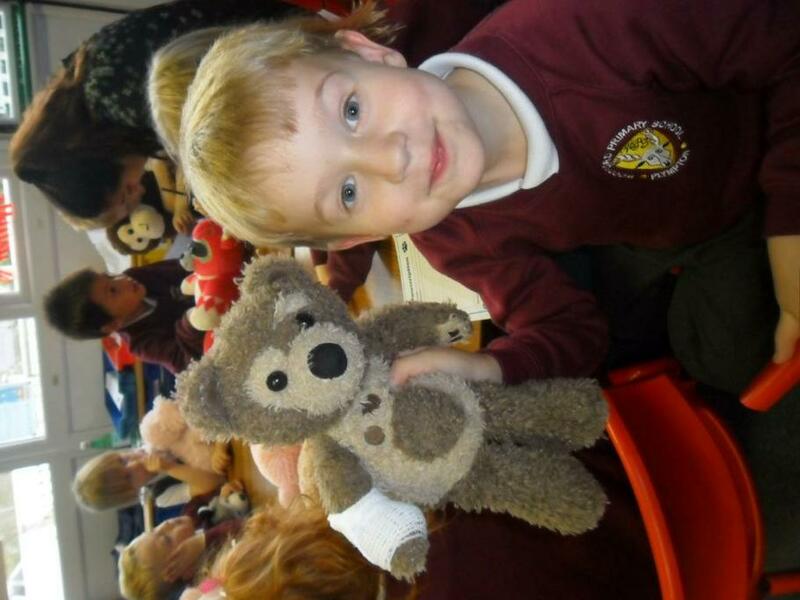 We will keep you all posted on his adventures! 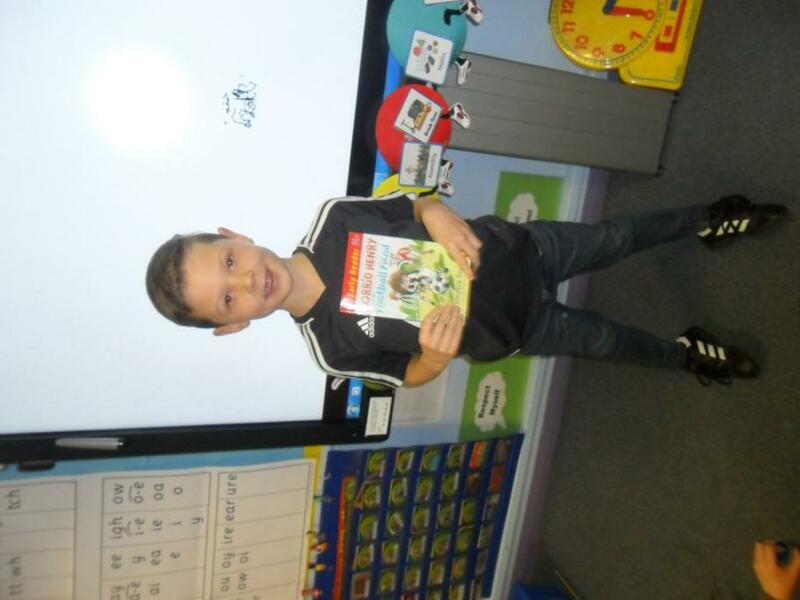 Good luck to Robby-we hope you have a fantastic time! 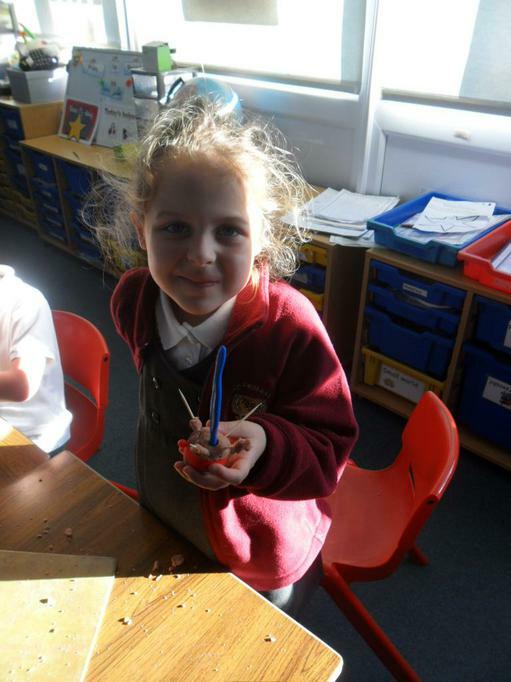 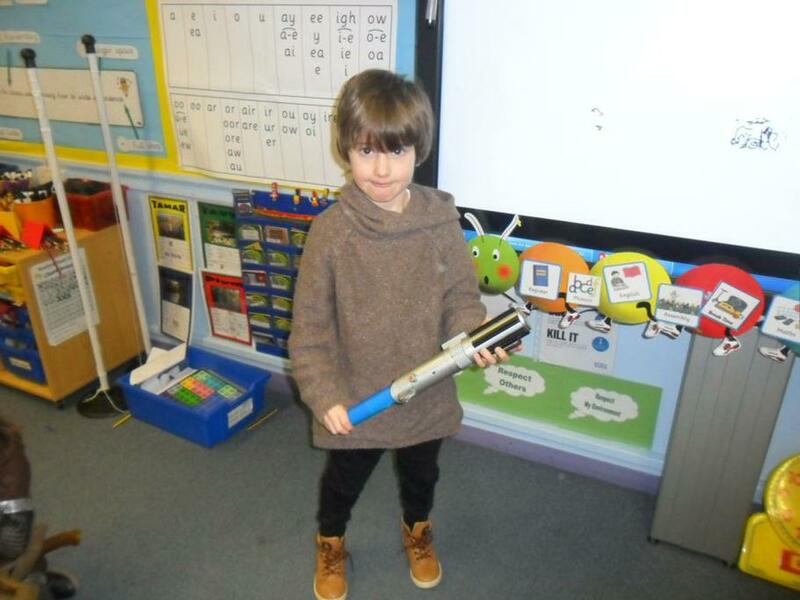 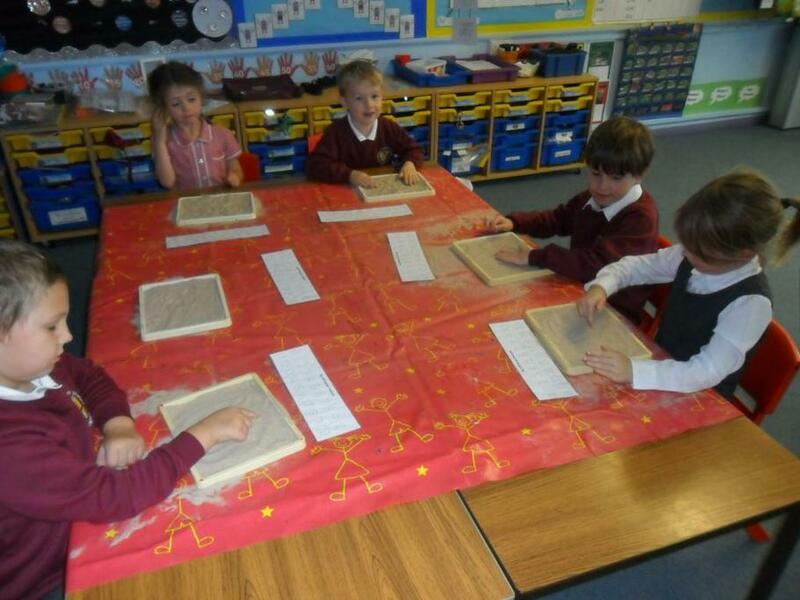 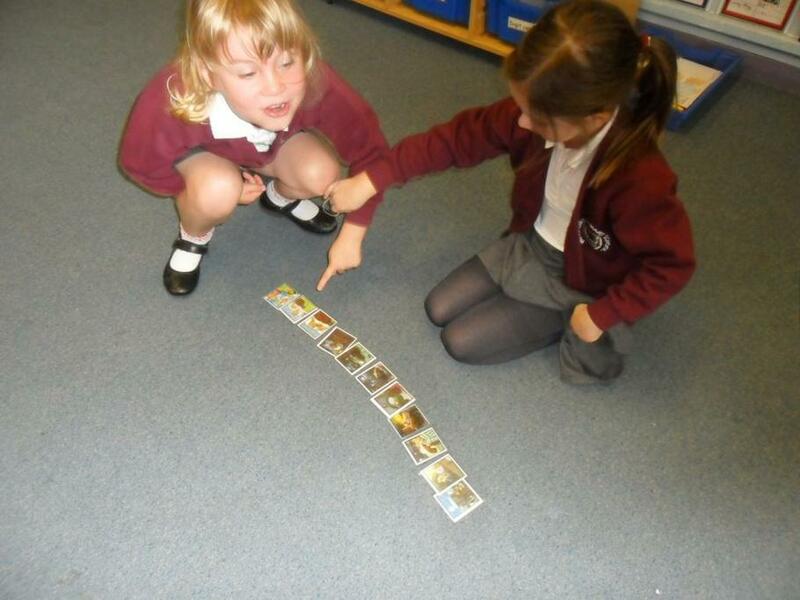 We have been talking about toys that children used to play with long ago. 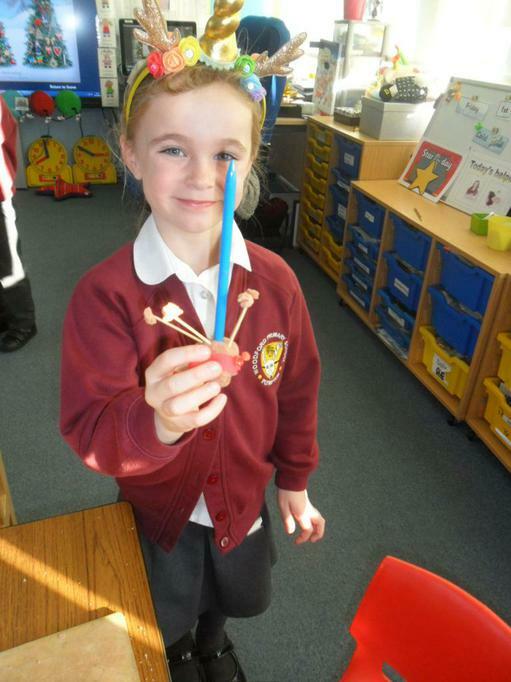 We had a great afternoon exploring and playing with some old fashioned toys. 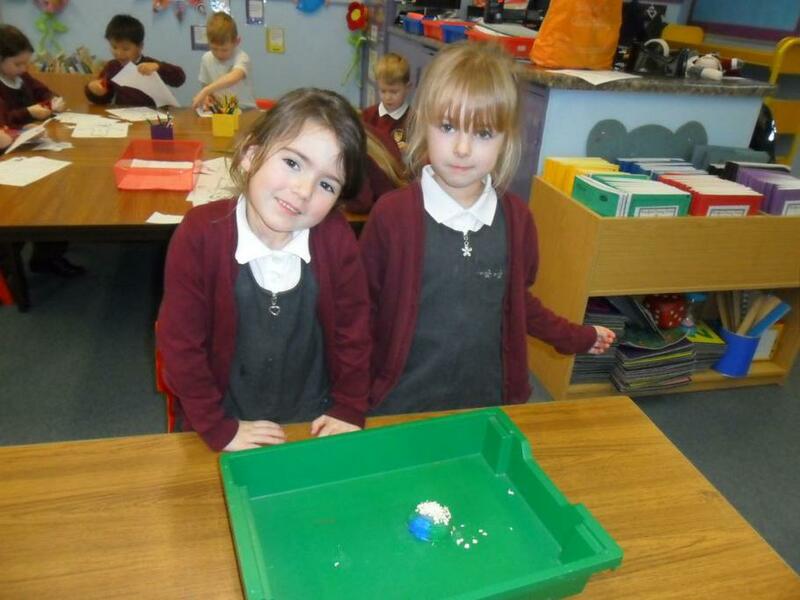 We found out that many of them are made of wood, metal or glass and did not contain any batteries. 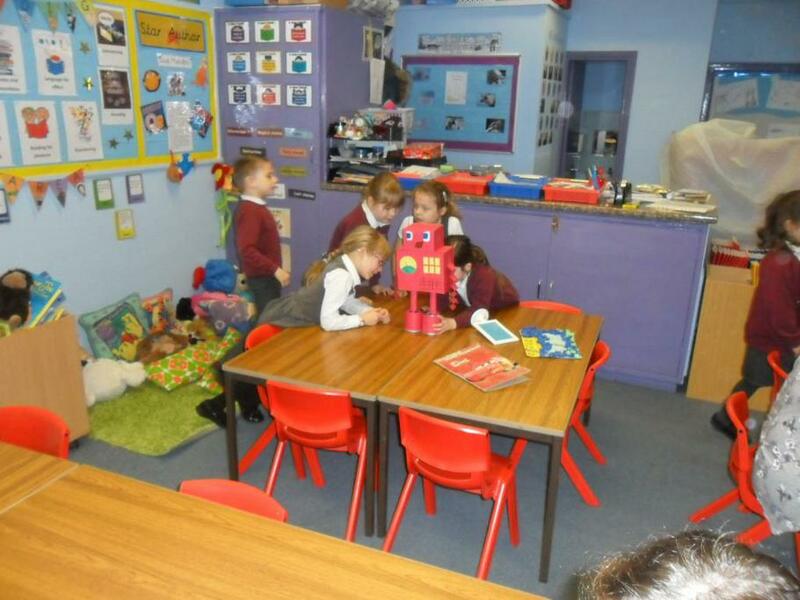 Lots of toys had to be wound up to make them move. 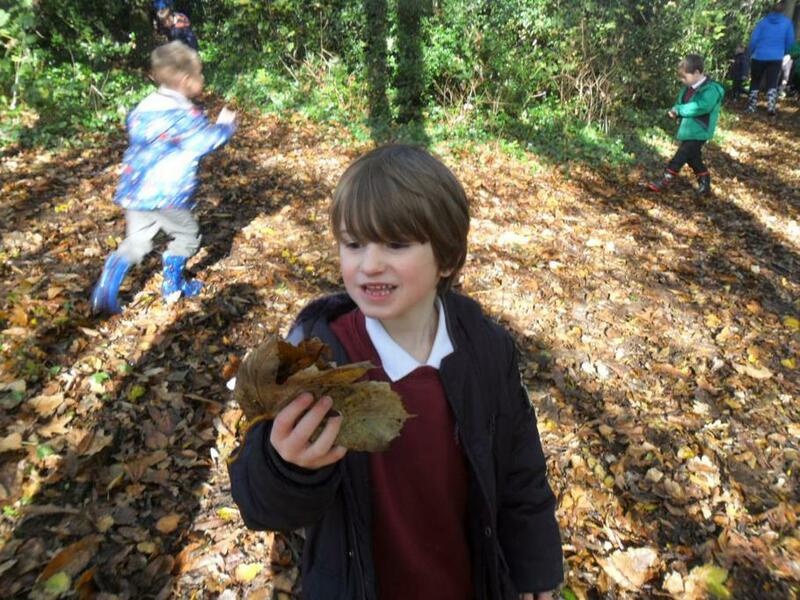 We went for a walk round the woodland to spot signs of Autumn. 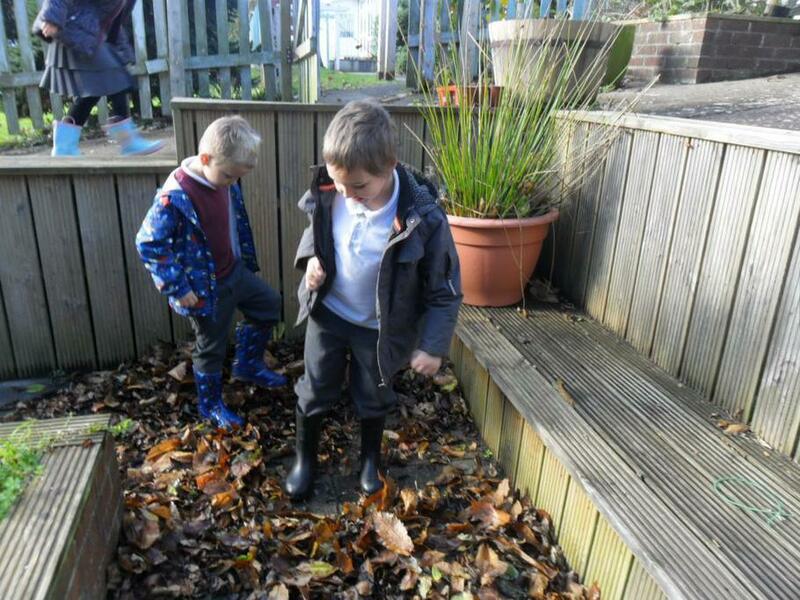 We found lots of beautiful leaves coloured brown, red and yellow. 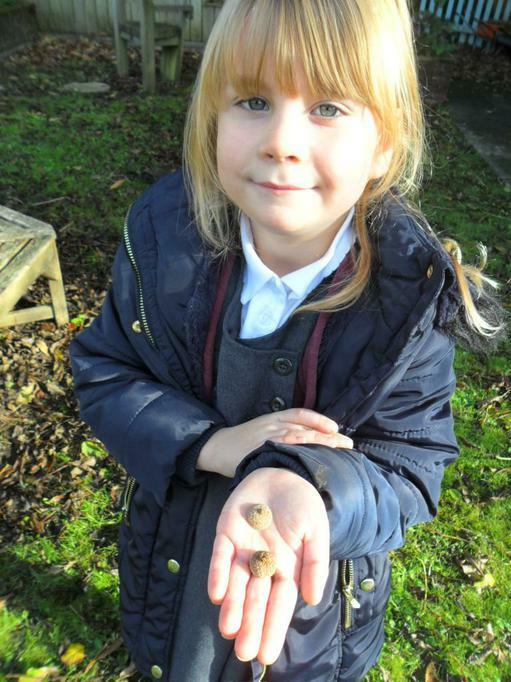 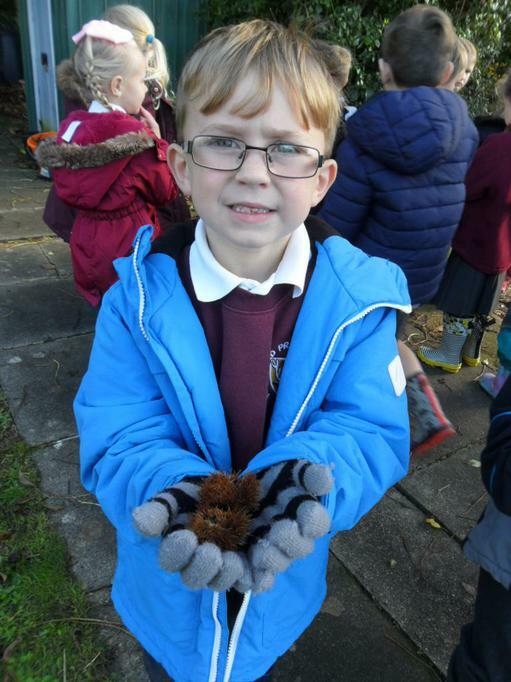 We also found conkers and chestnuts and their spiky cases. 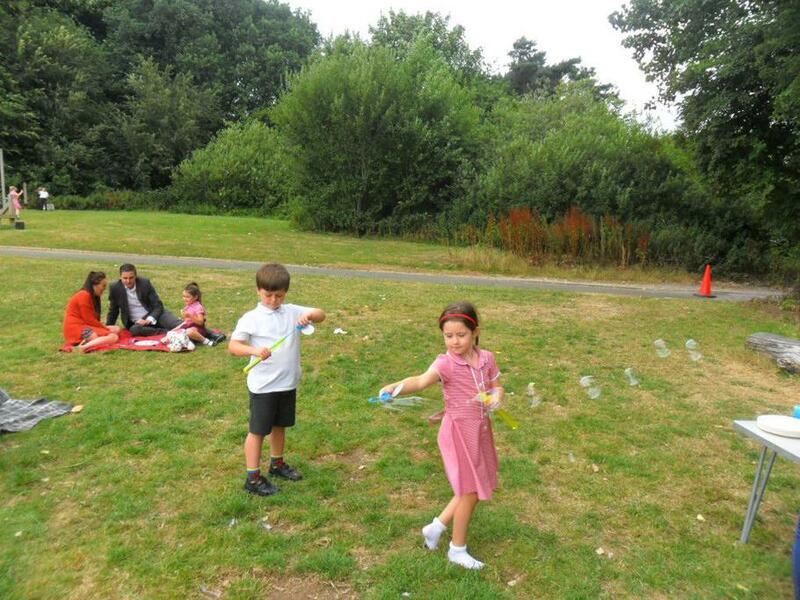 It was a beautiful day and we stopped to listen to the birds chirping and the leaves gently swaying in the breeze. 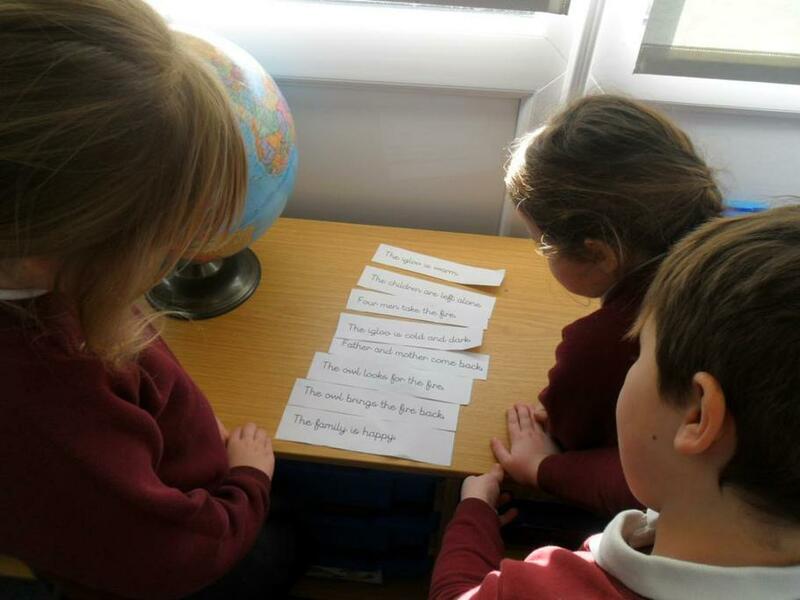 We are currently using our ideas and findings to help us write some Autumn poems. 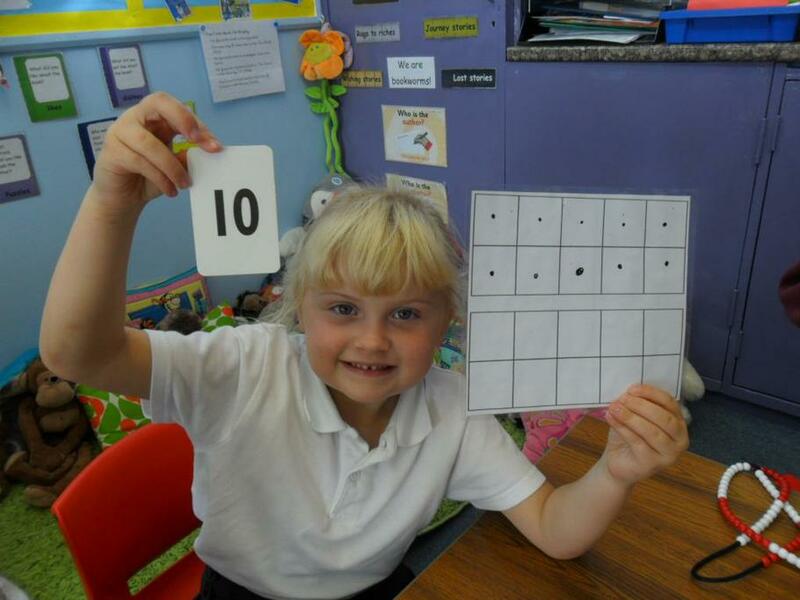 We will publish some when we have completed them, so that you can read them. 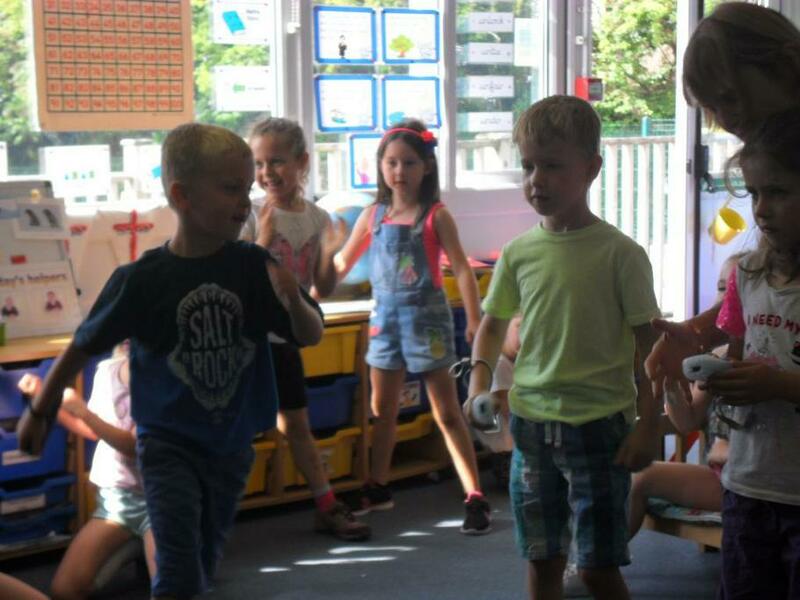 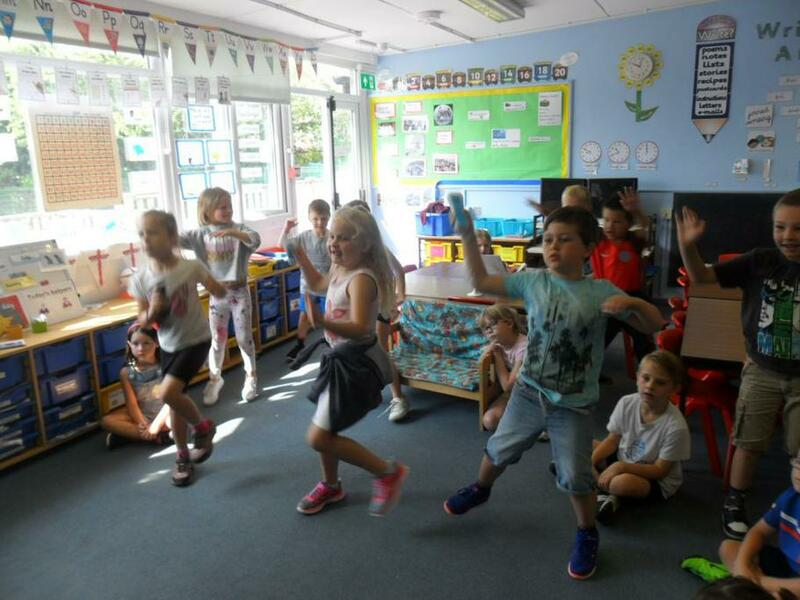 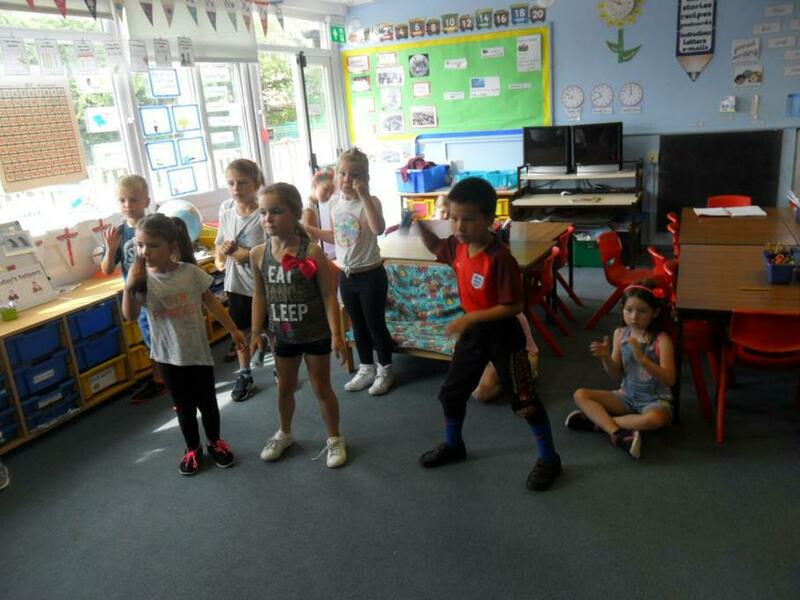 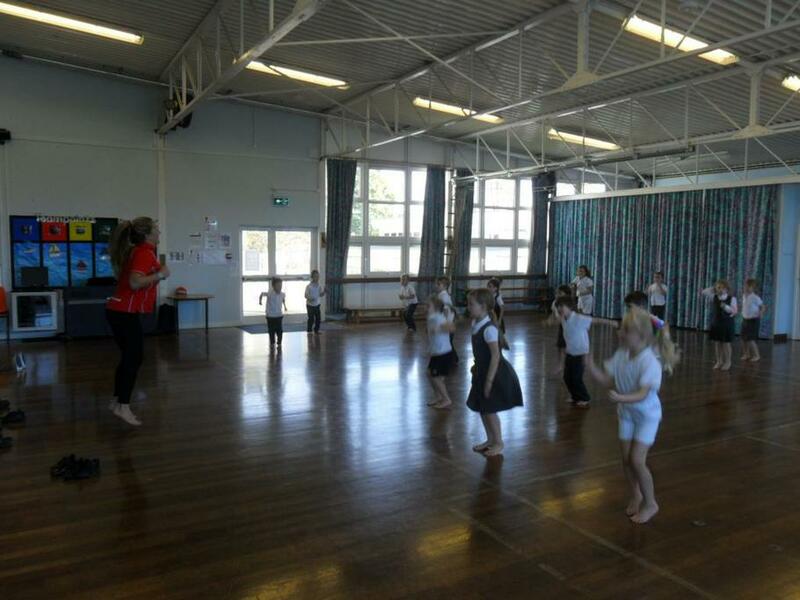 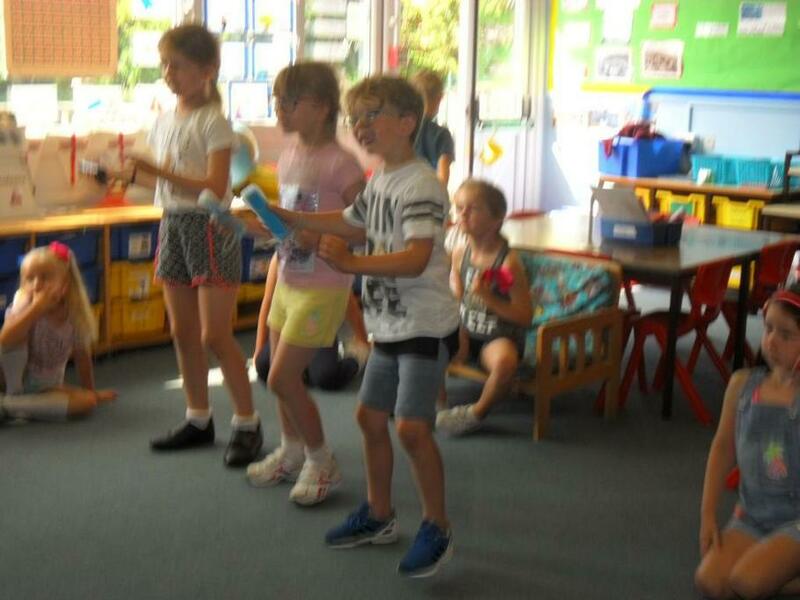 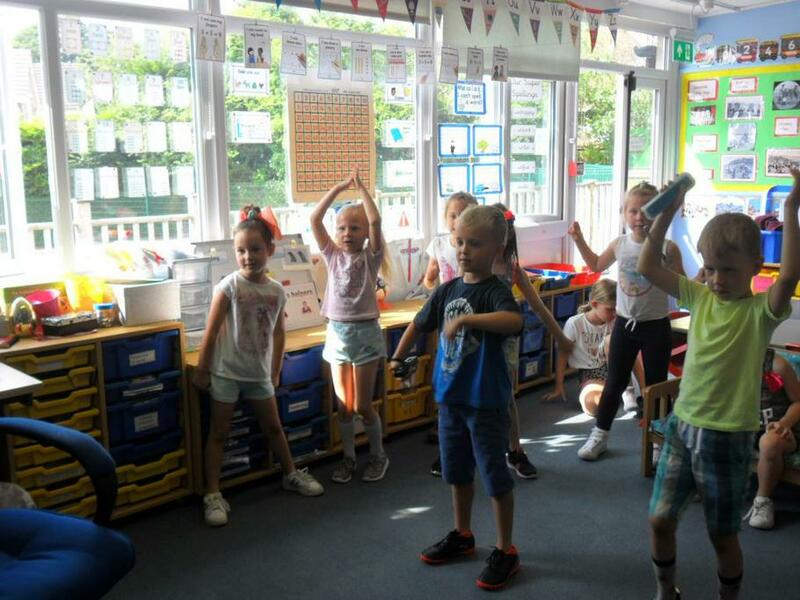 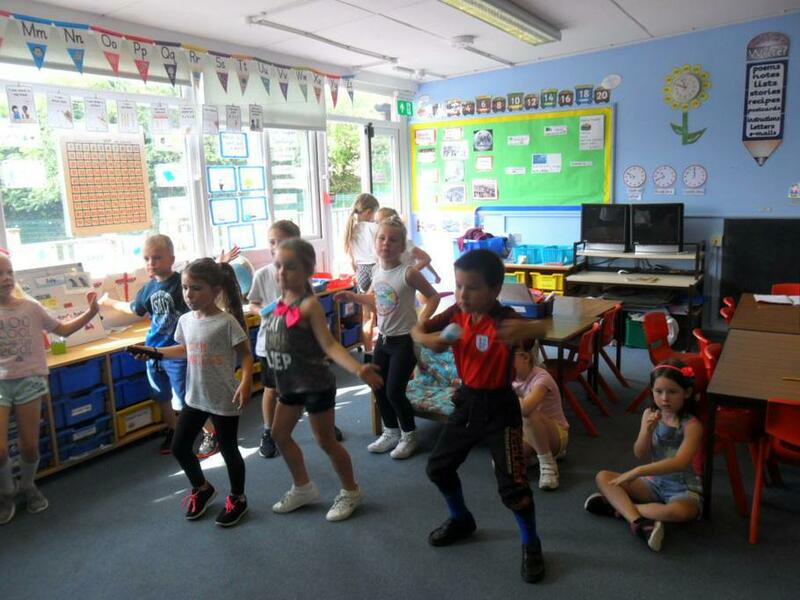 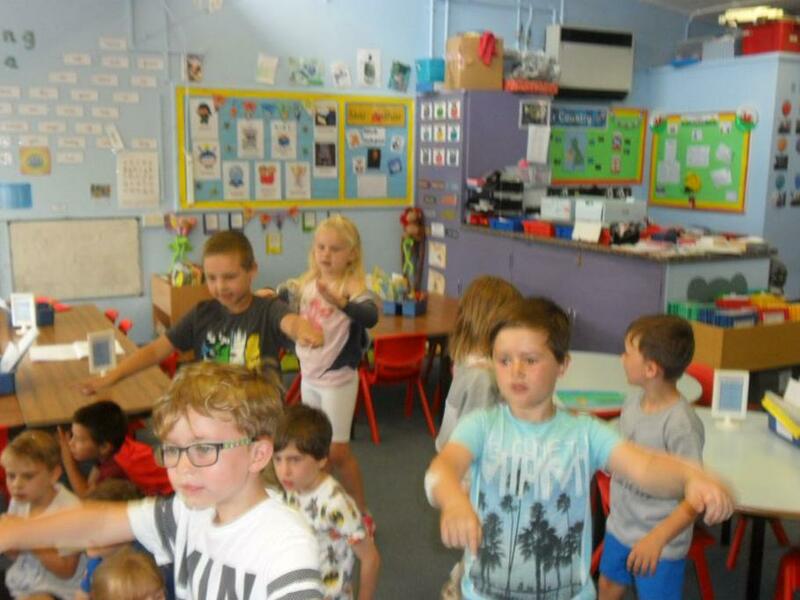 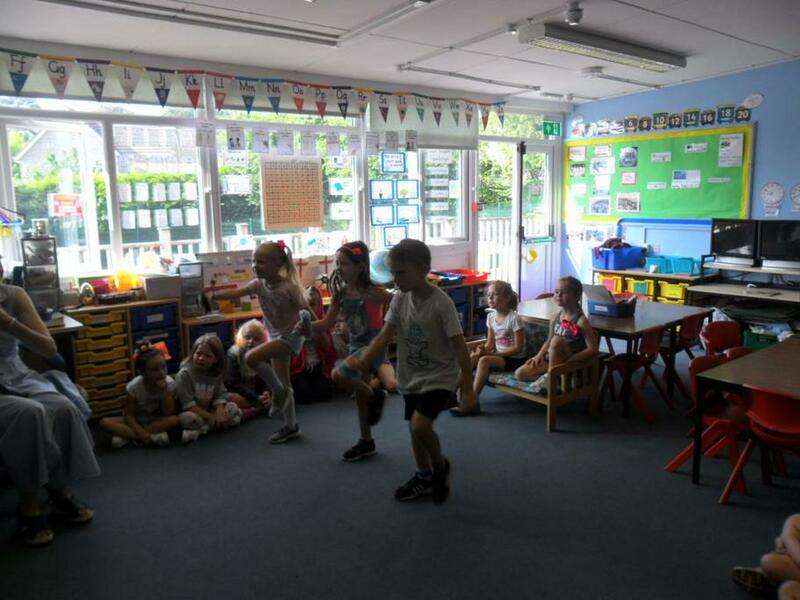 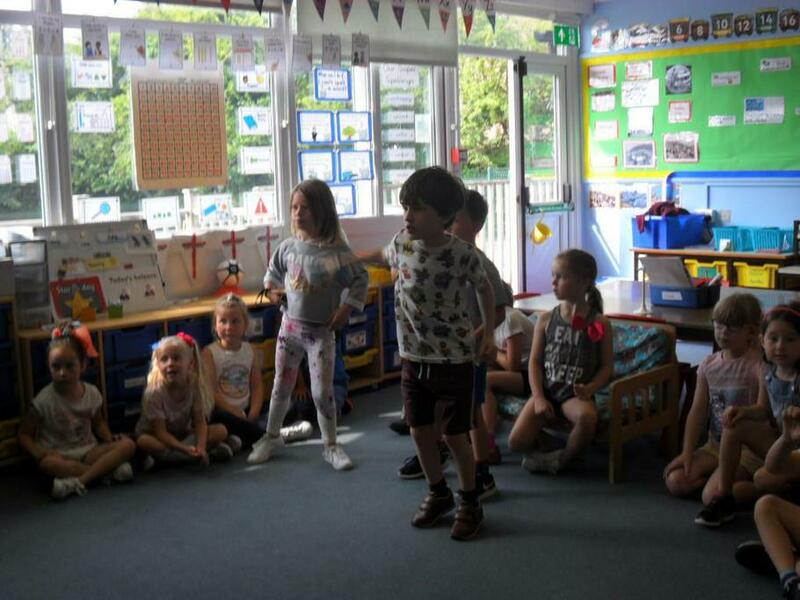 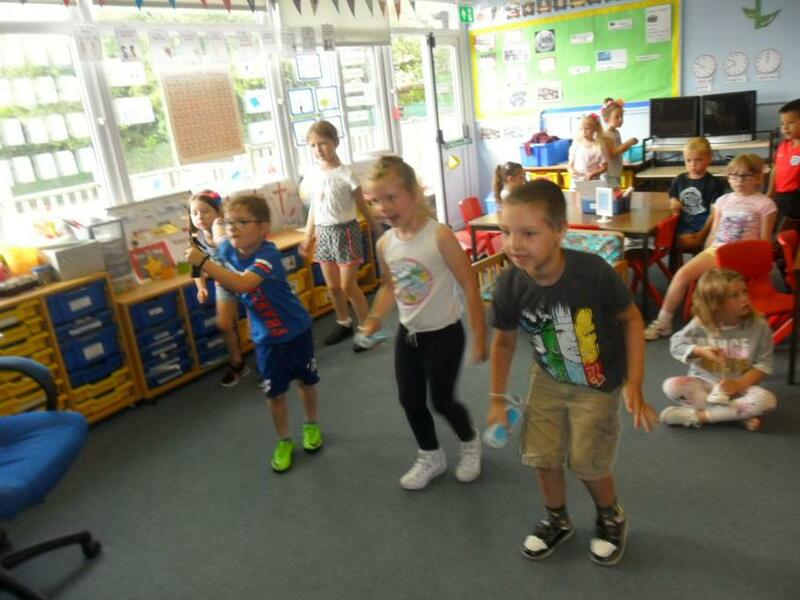 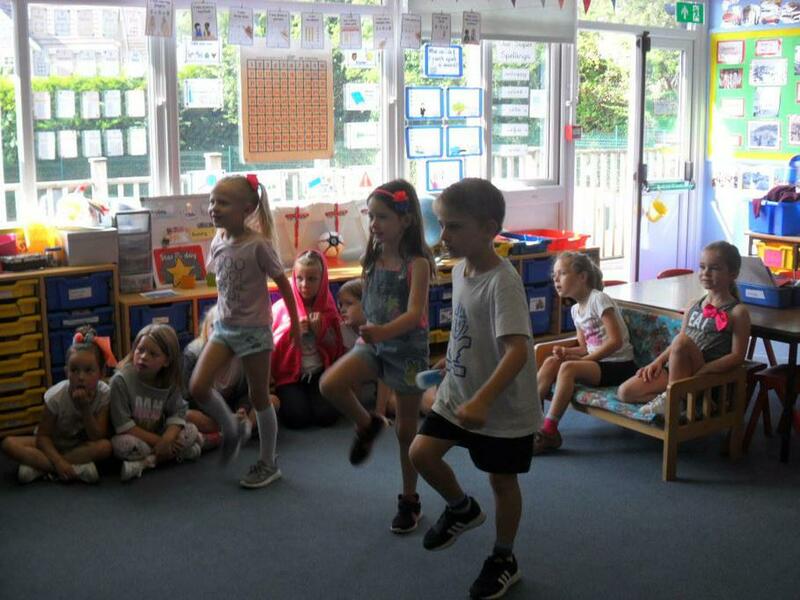 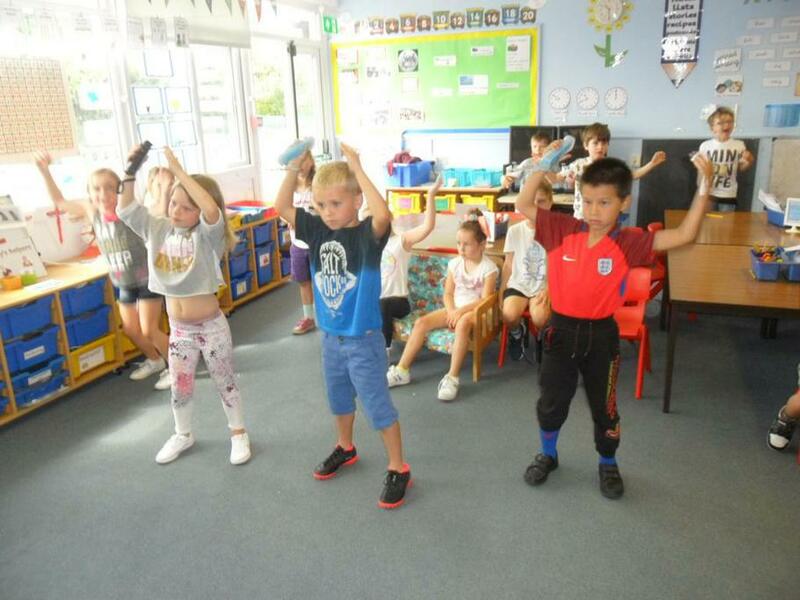 The Fir class have been very lucky to have been taking part in some dance sessions with a Secondary Dance teacher called Sally. 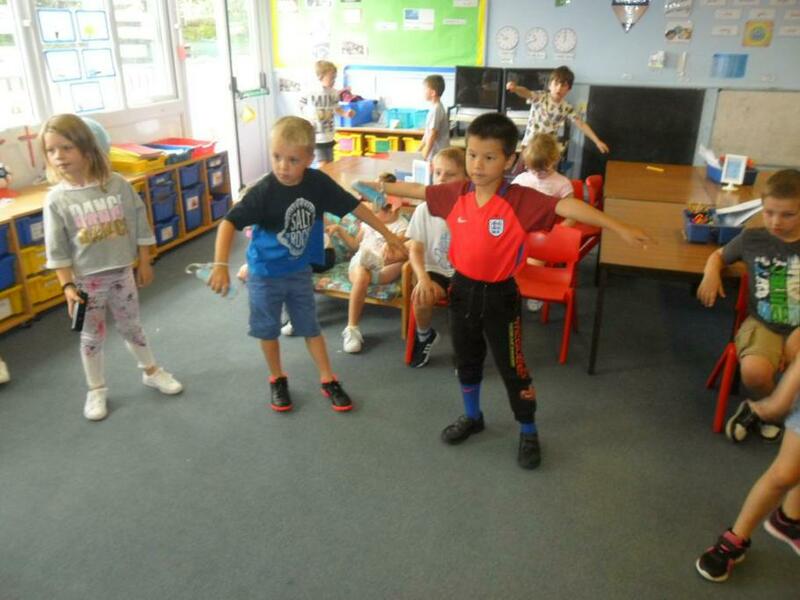 They have been making different shapes with their bodies and then working with a partner to combine and mirror each other's shapes. 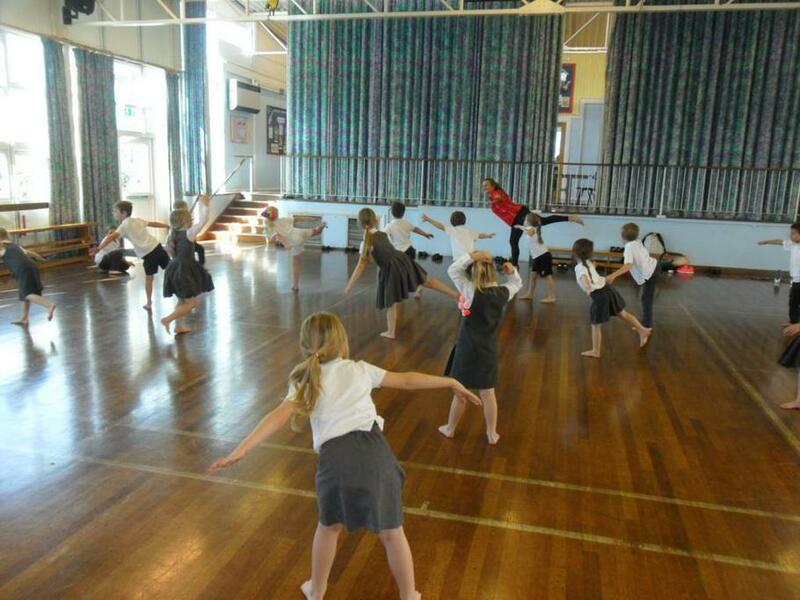 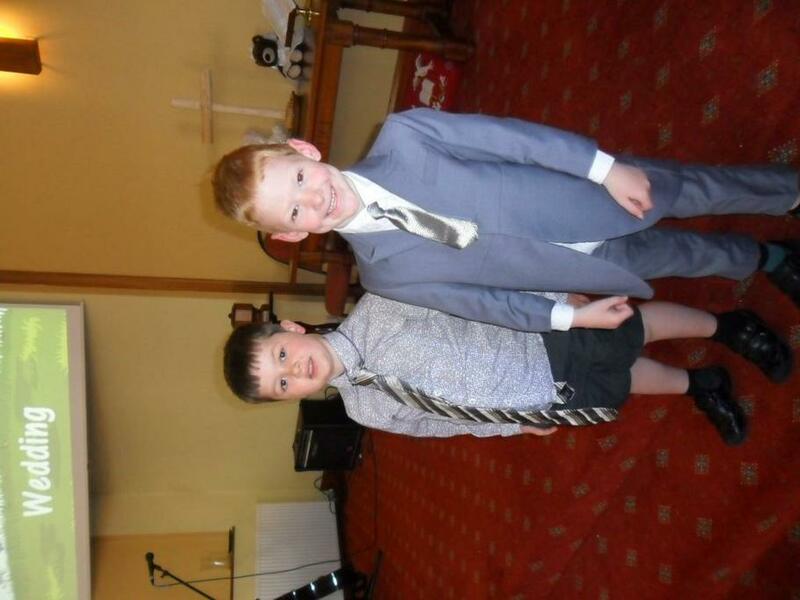 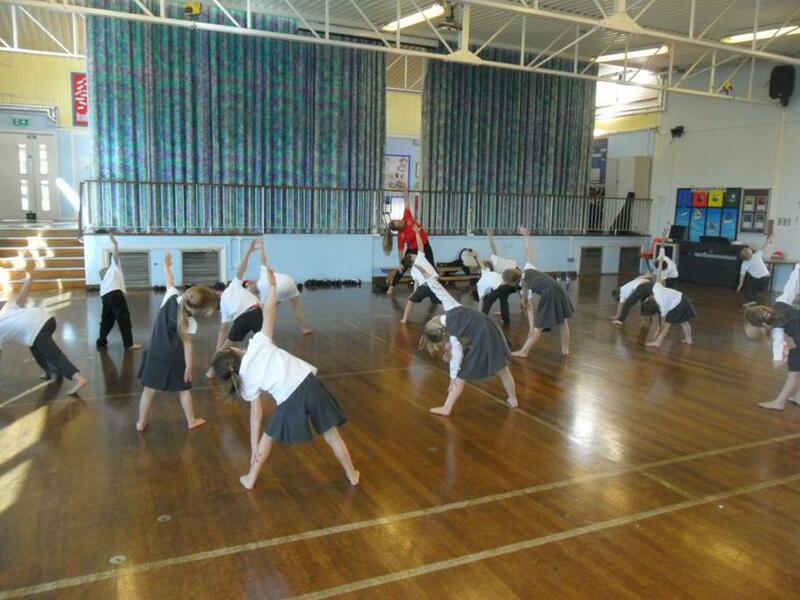 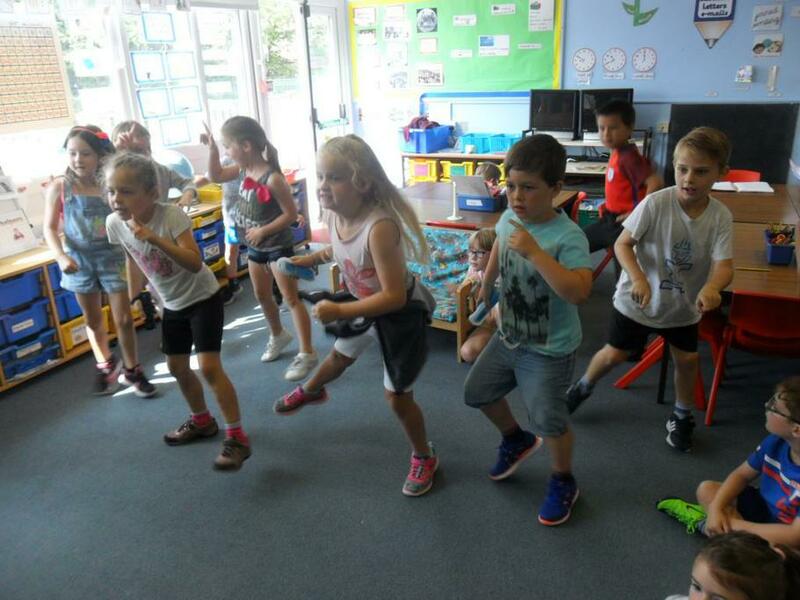 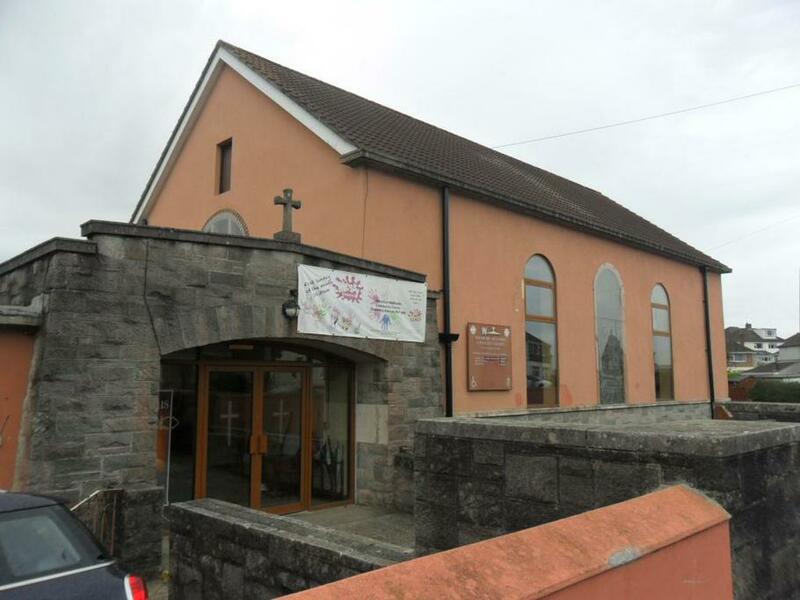 they have thoroughly enjoyed the sessions and produced some excellent dances. 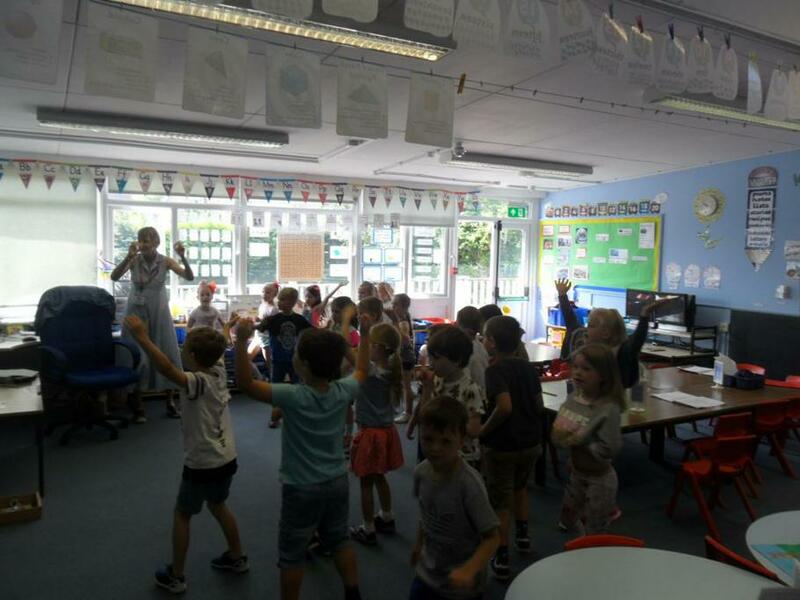 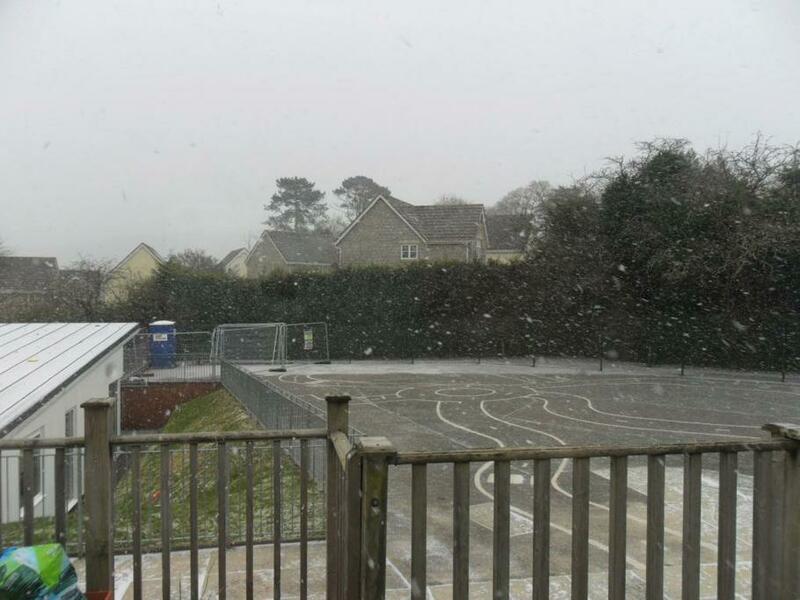 It is hard to believe we have been back at school for 7 weeks already. 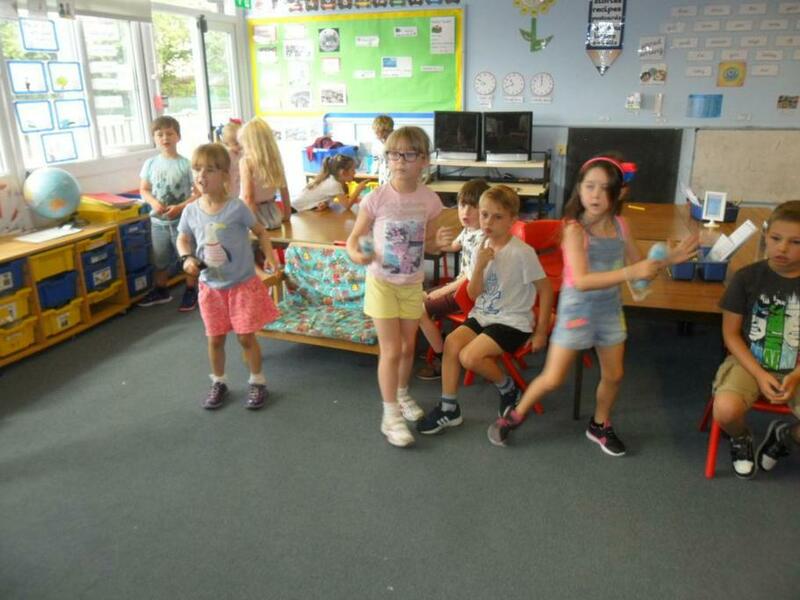 The children have settled into their new year group and routines absolutely brilliantly. 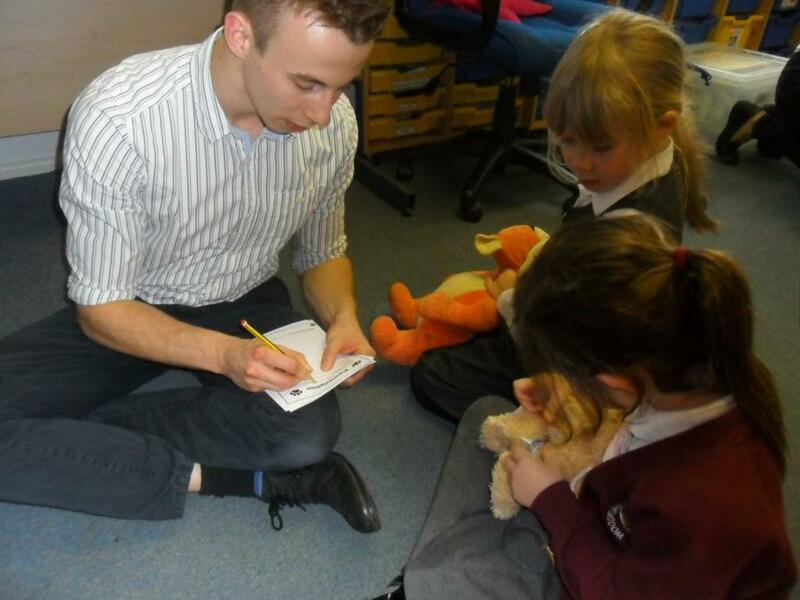 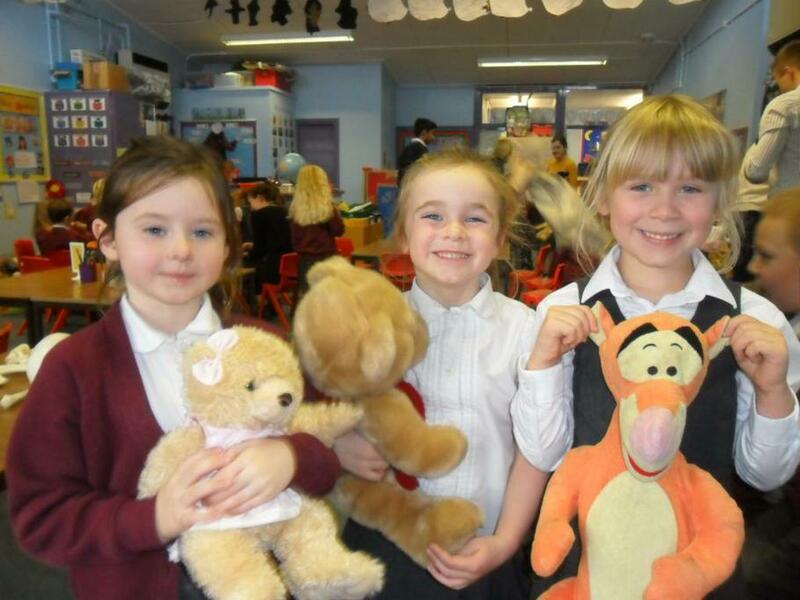 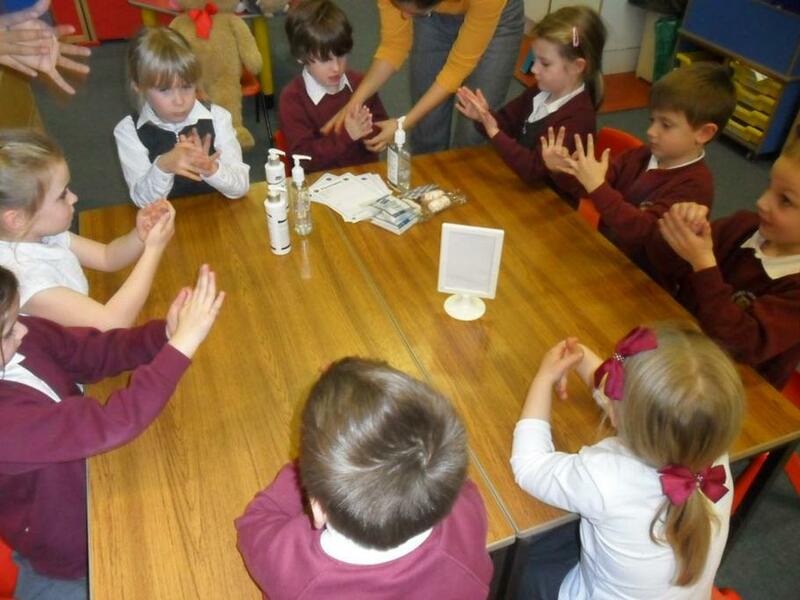 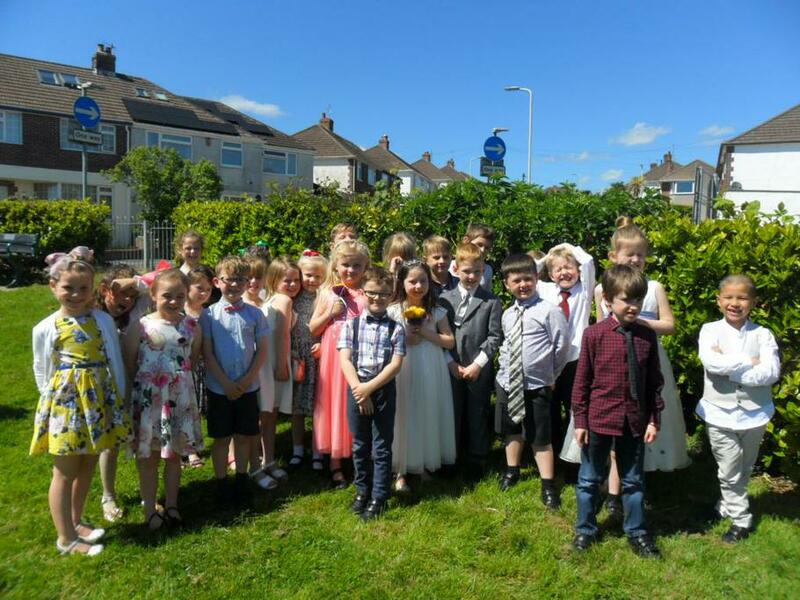 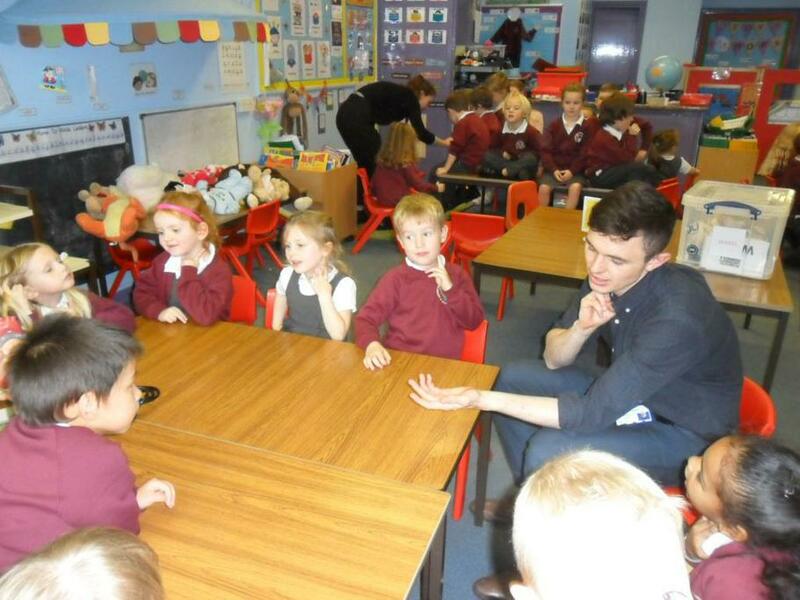 It has been a real pleasure getting to know the children and building a happy, caring Fir class we can all enjoy. 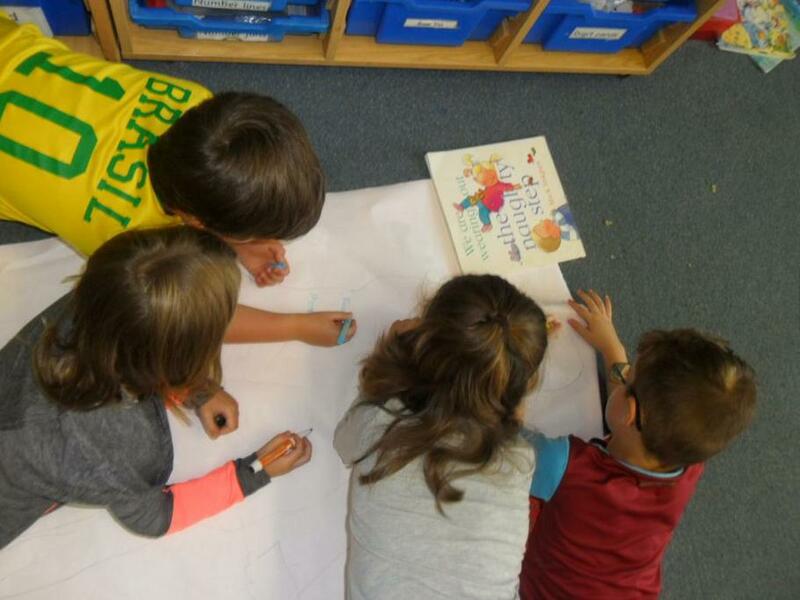 This term, we have been learning about ourselves through our topic 'Marvellous Me'; doing lots of work around numbers in Maths; working on Peace at Last by Jill Murphy in our English lessons and looking at maps in Geography. 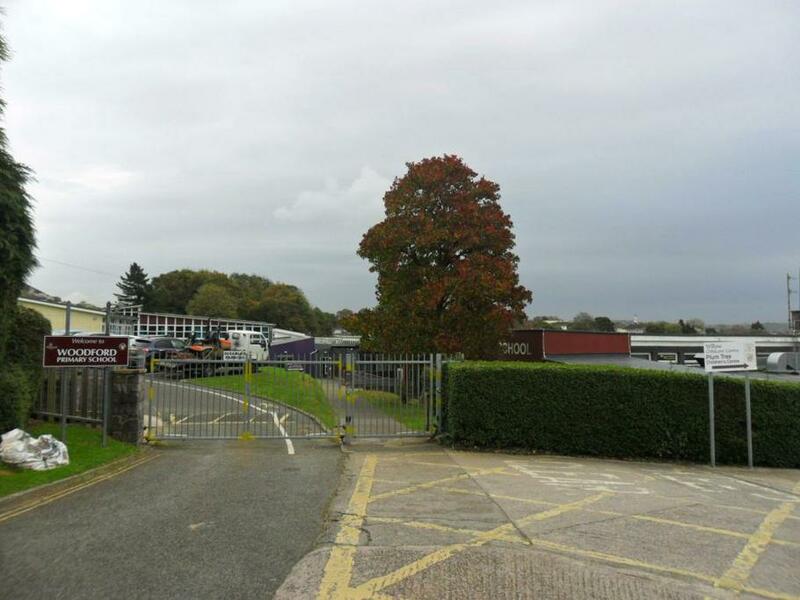 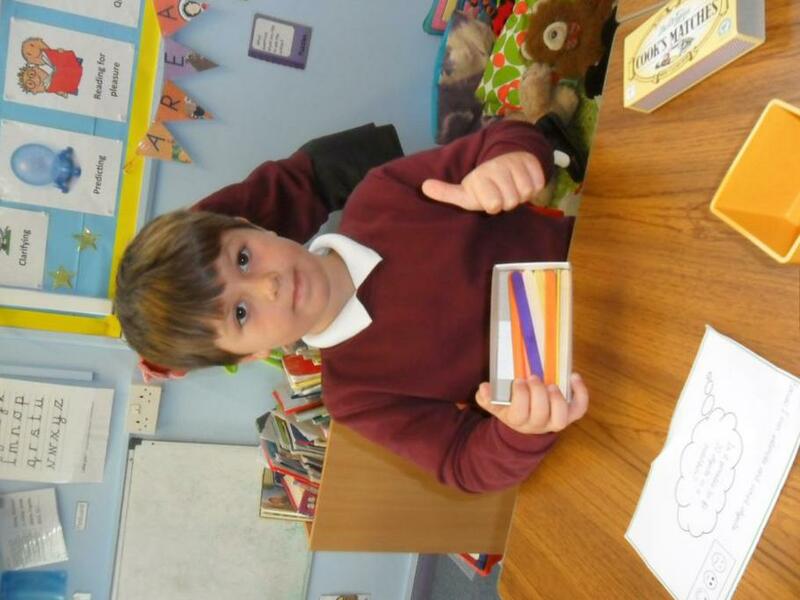 We have been very busy and have produced some excellent work as a result of our hard work. 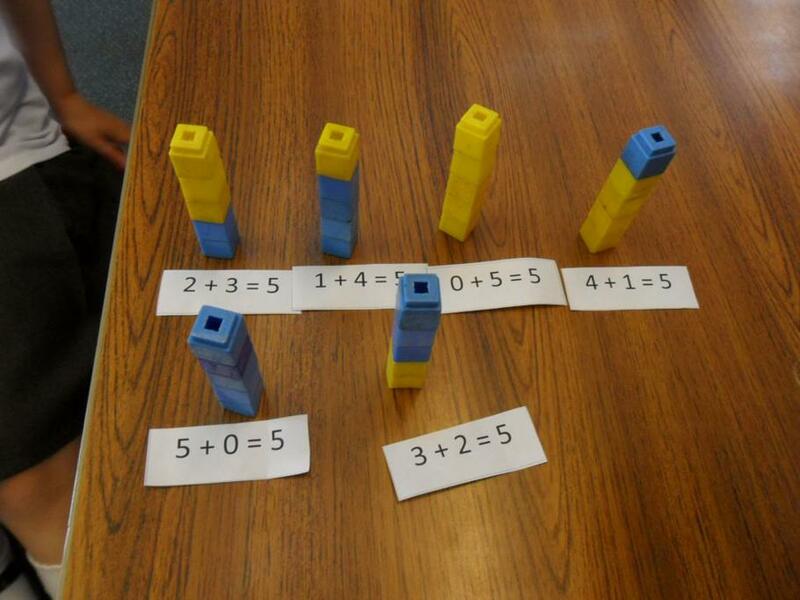 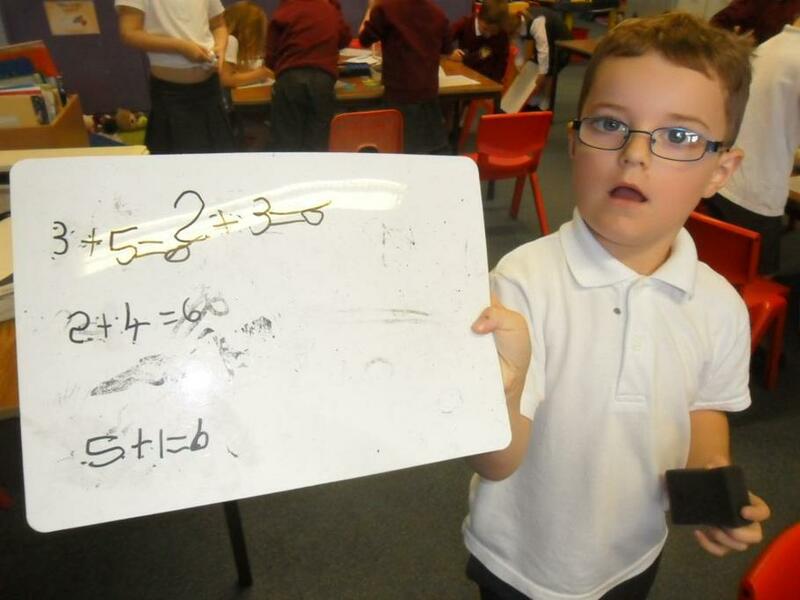 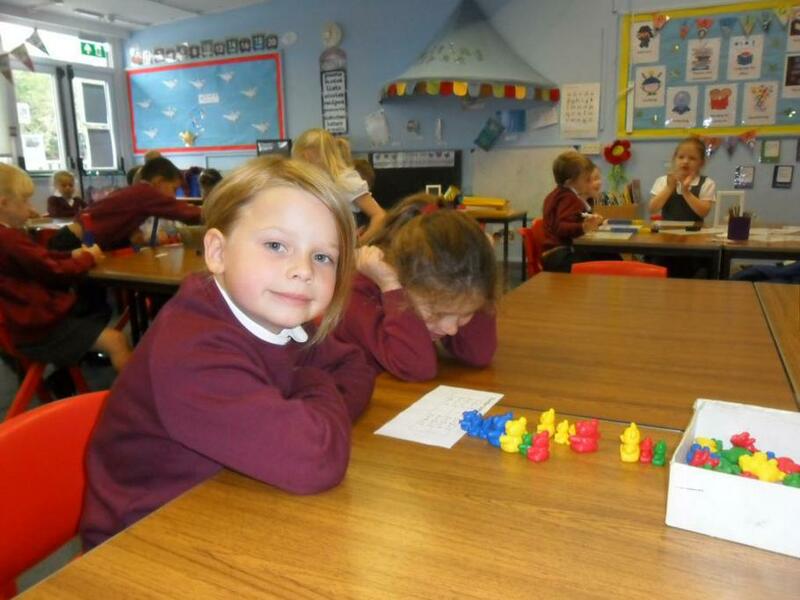 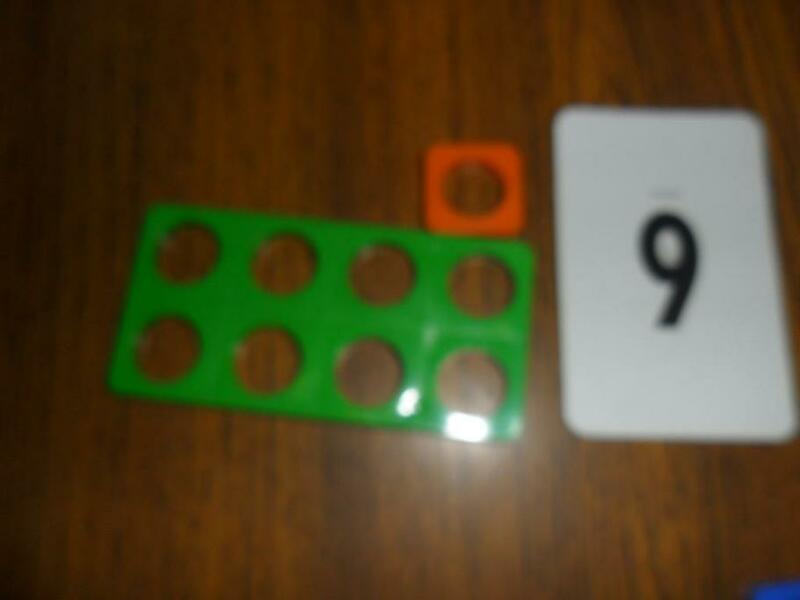 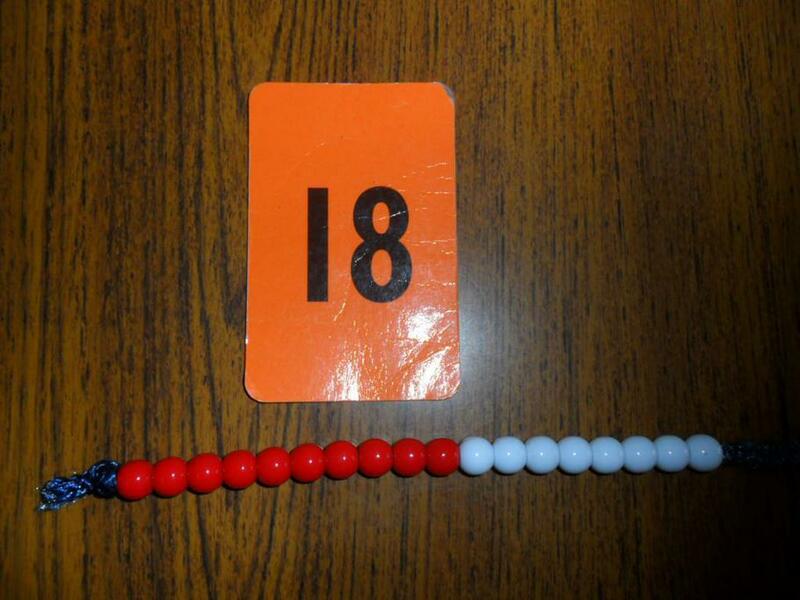 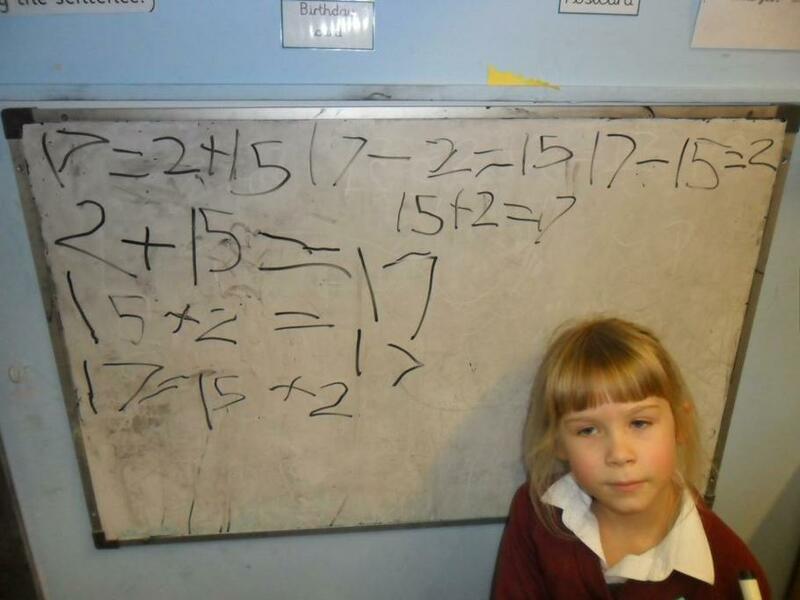 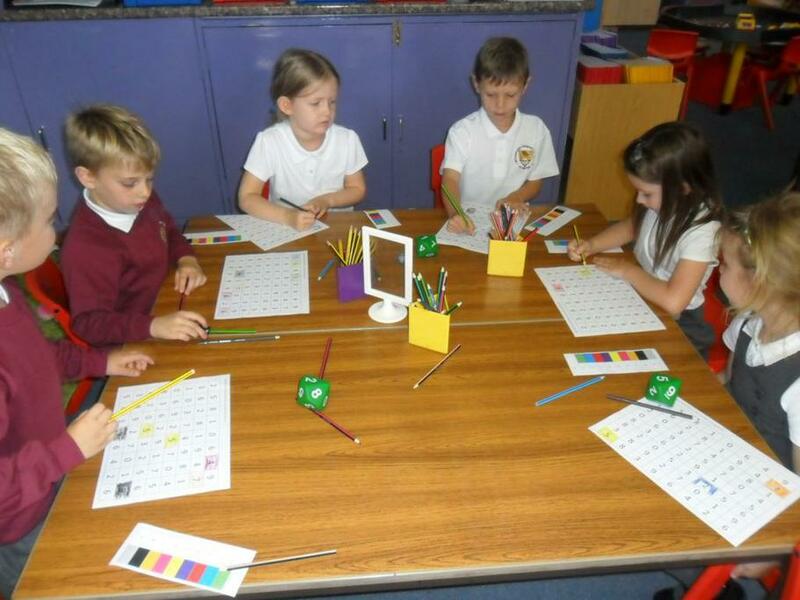 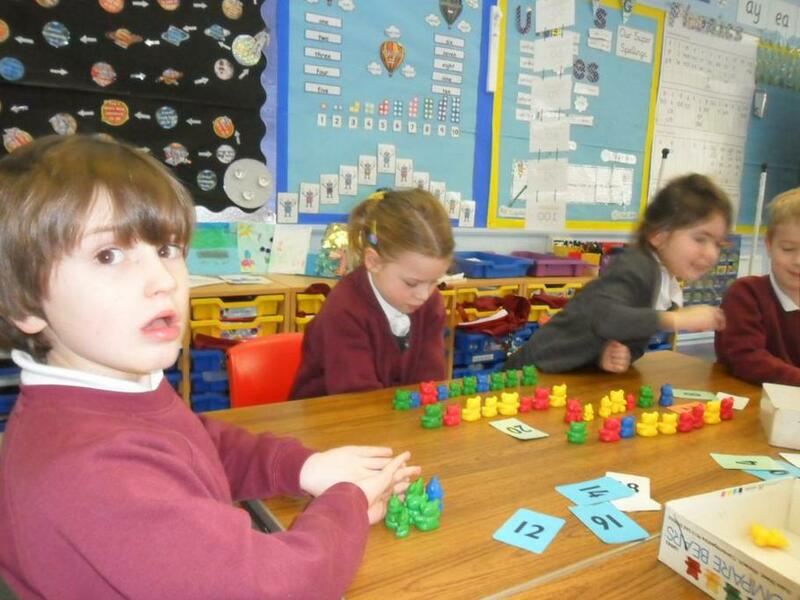 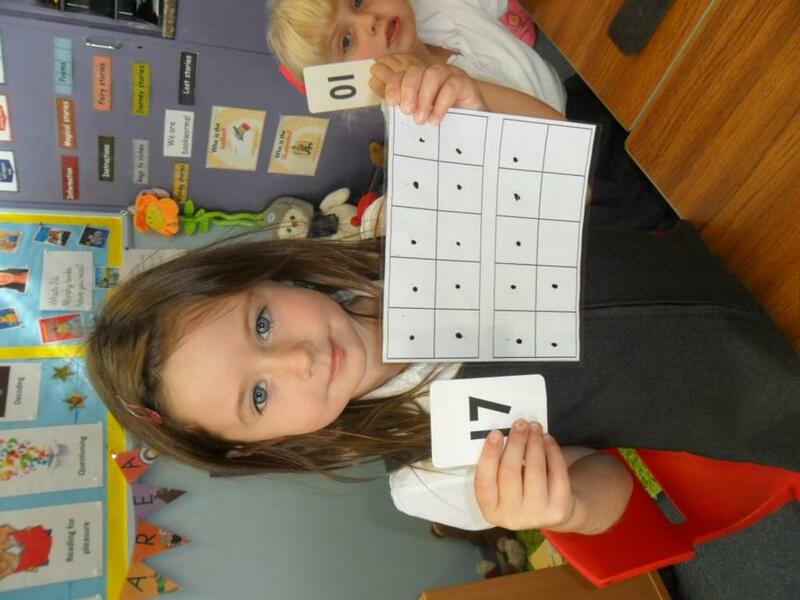 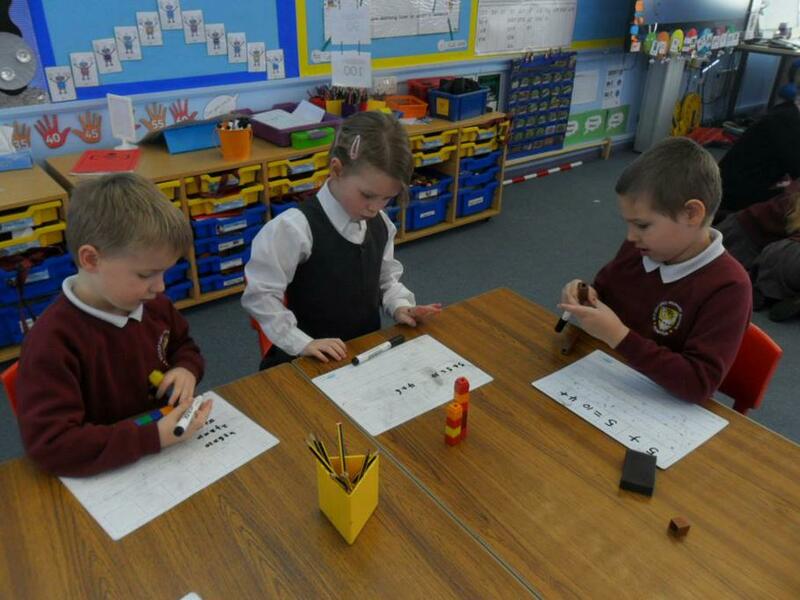 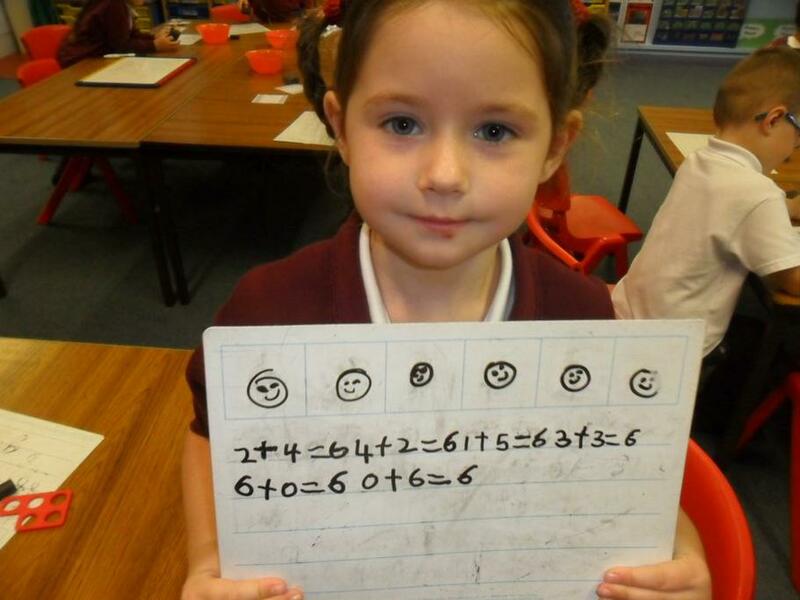 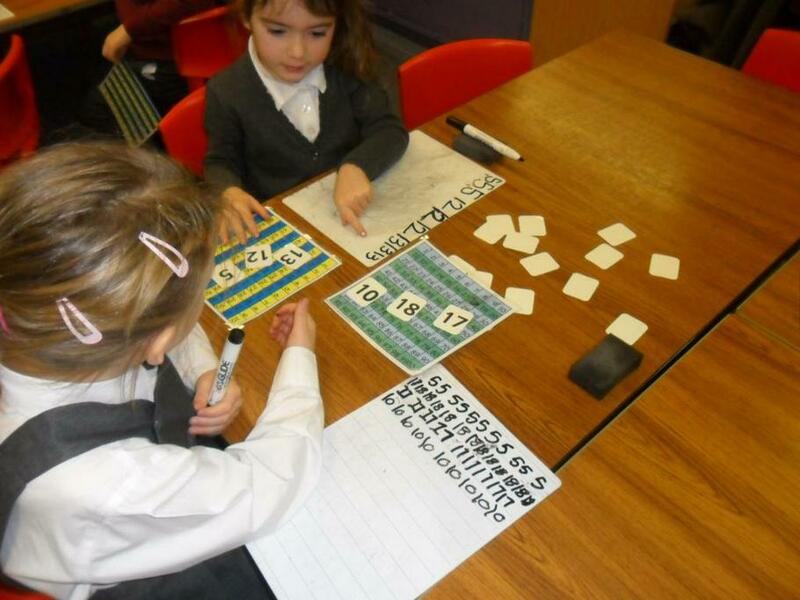 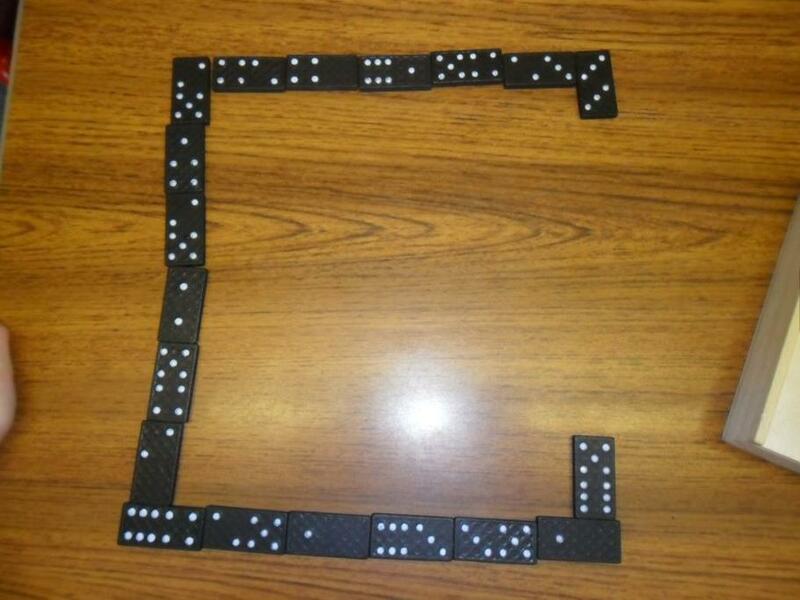 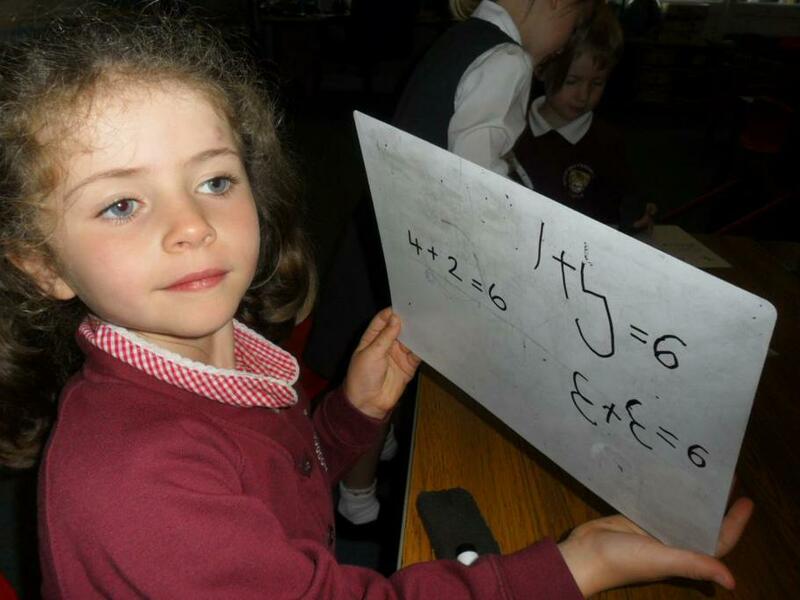 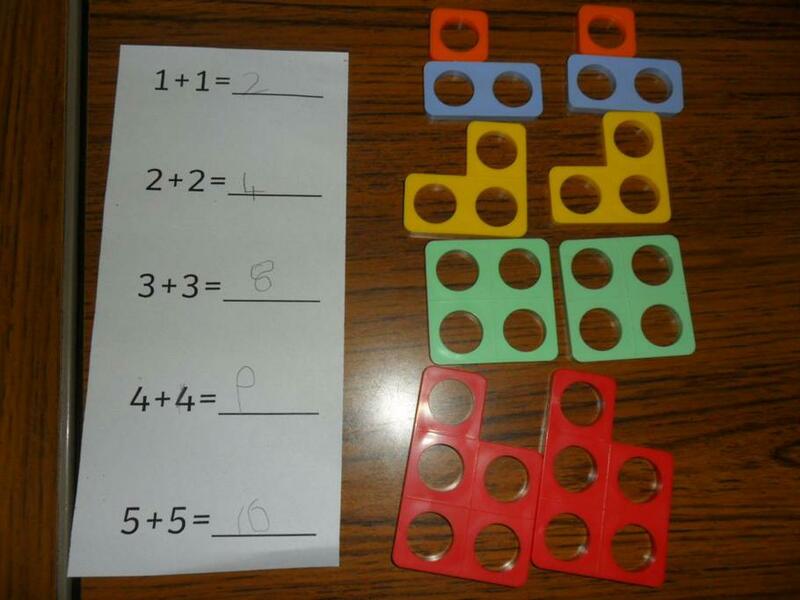 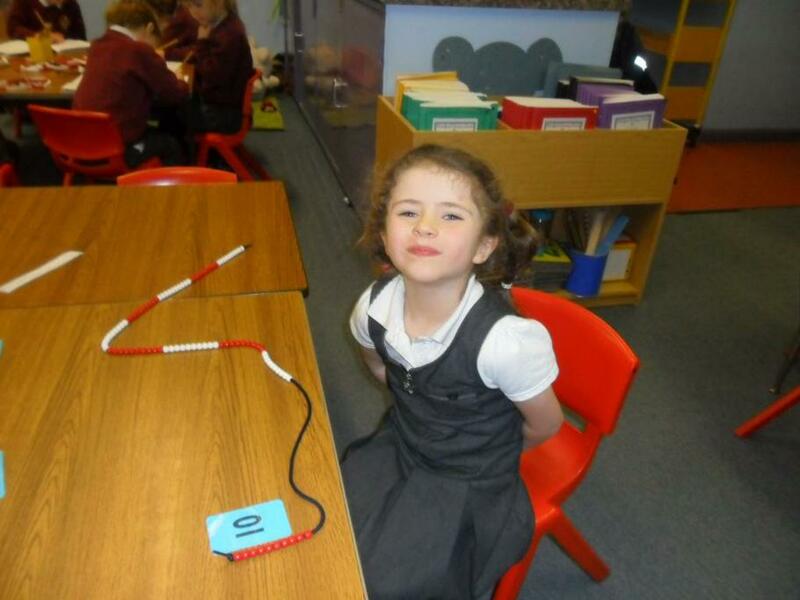 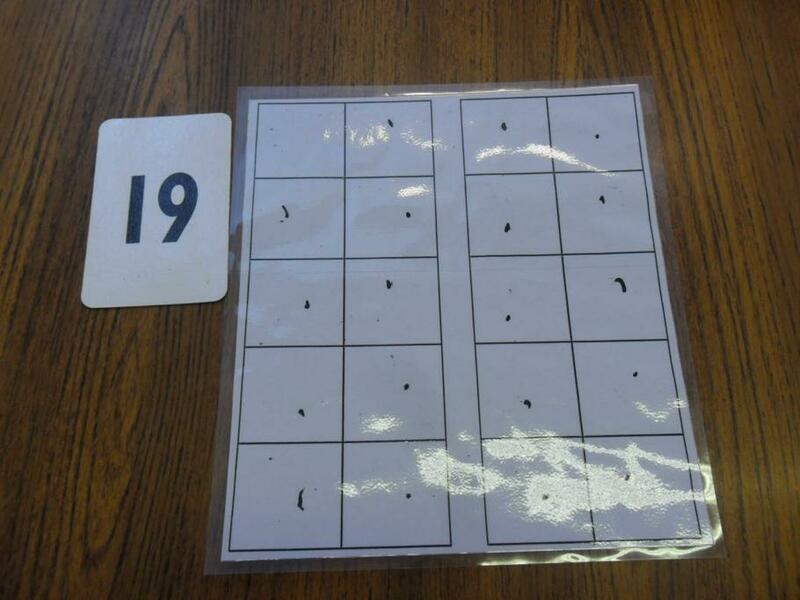 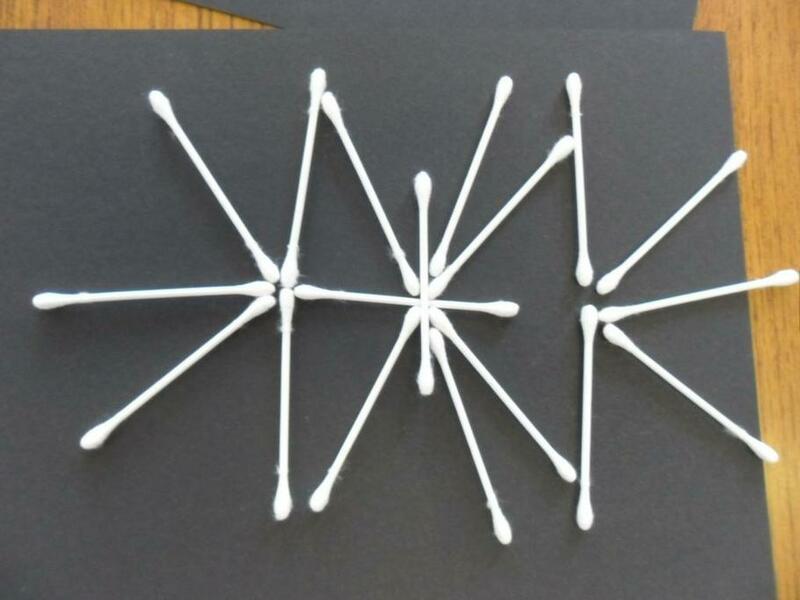 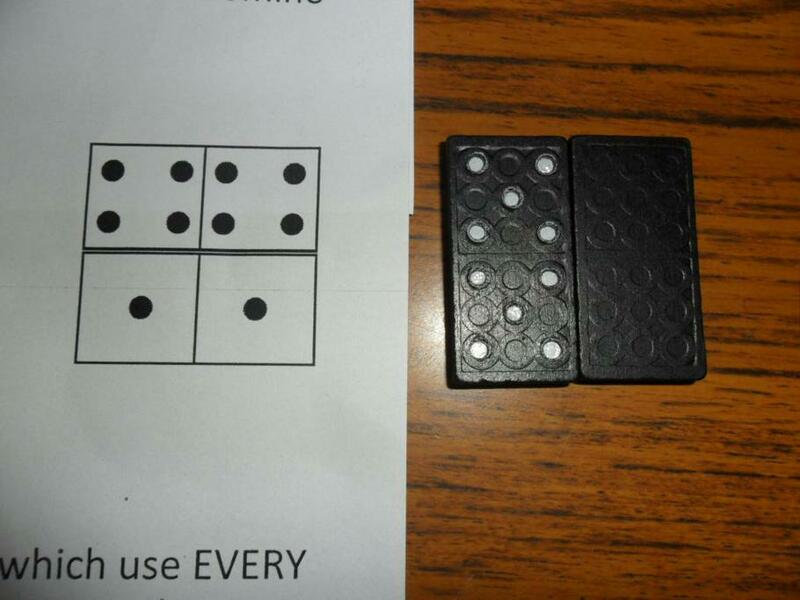 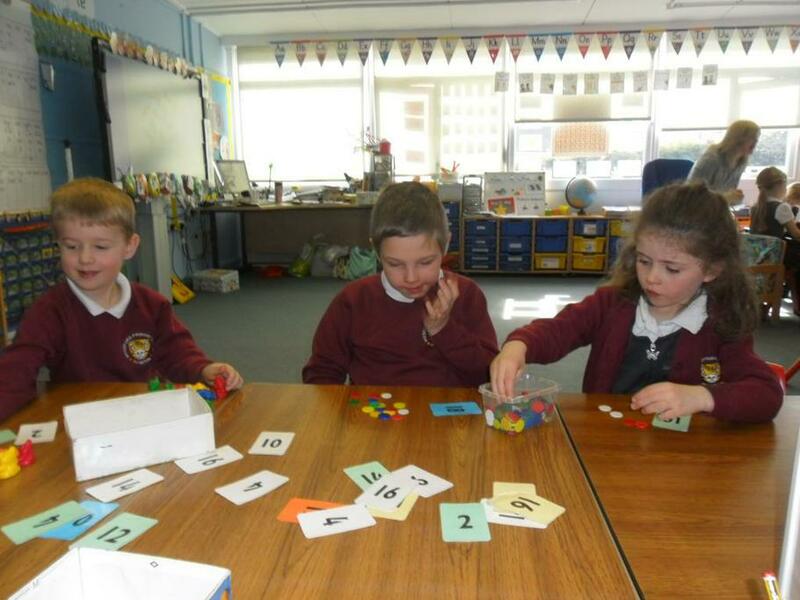 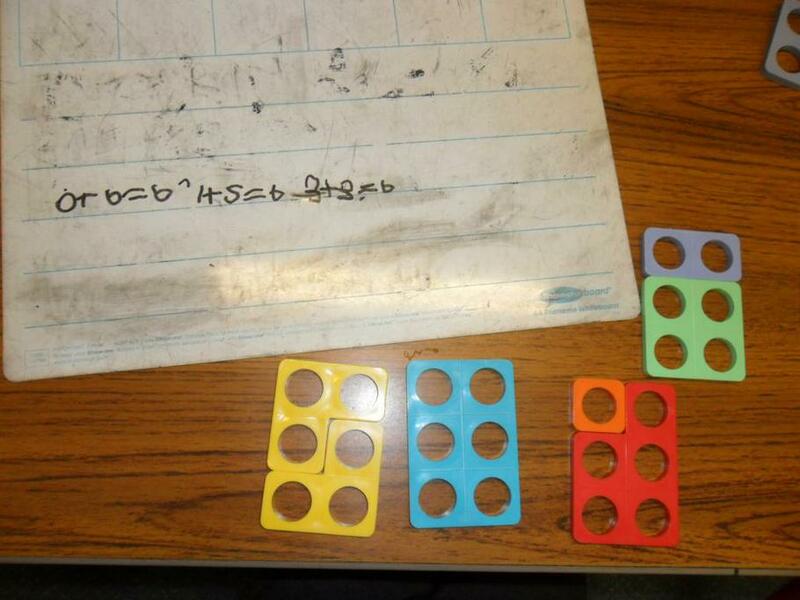 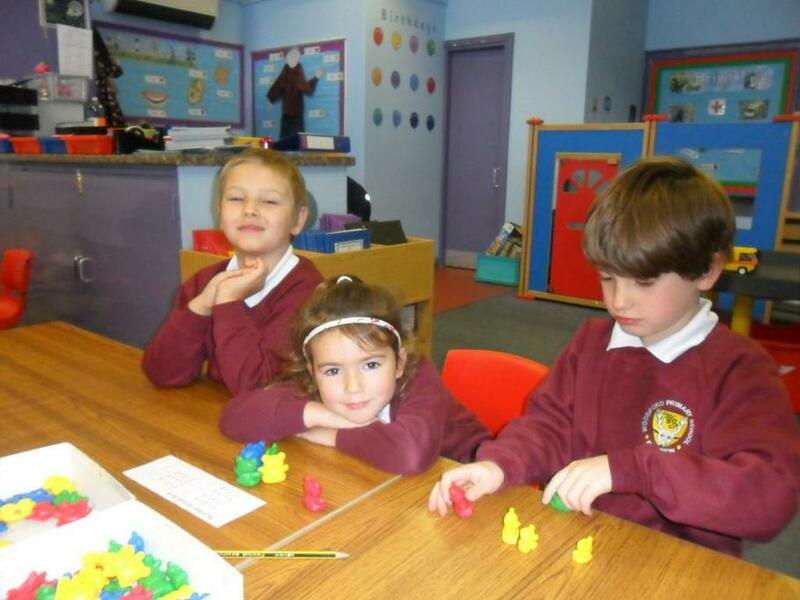 In Maths this term we have been looking at number. 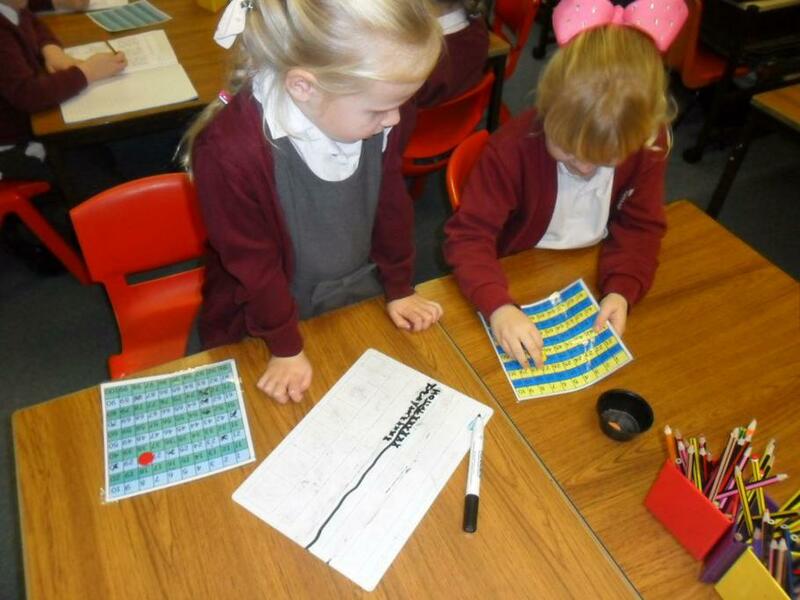 We have been making numbers using different equipment; ordering numbers; finding 1 more and 1 less; counting on and back in 1s and 2s and solving word problems. 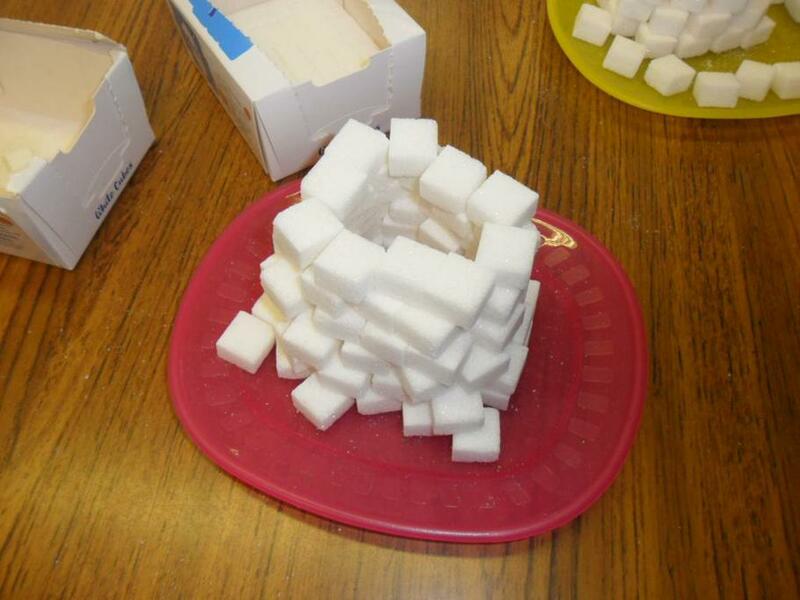 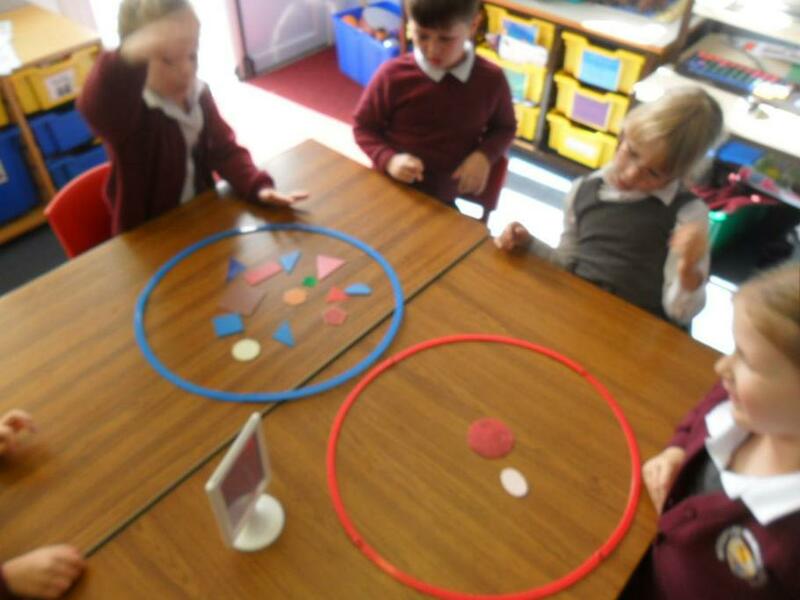 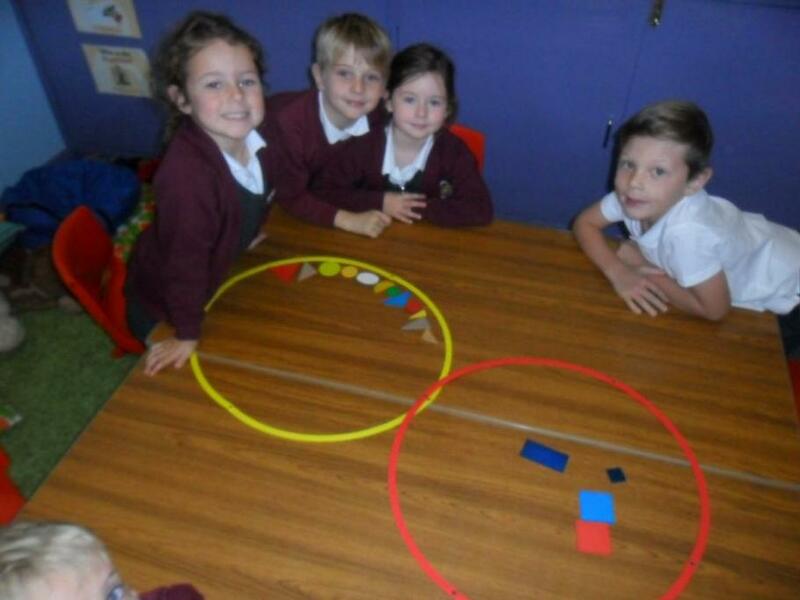 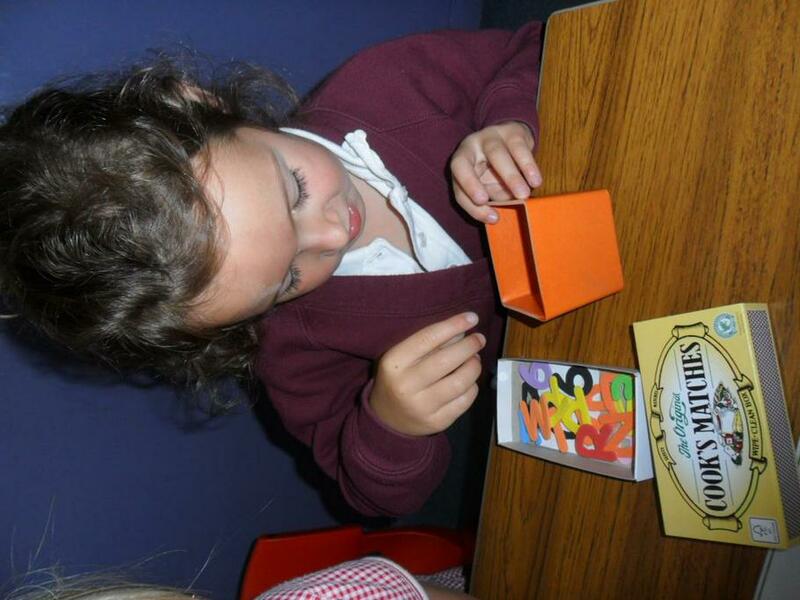 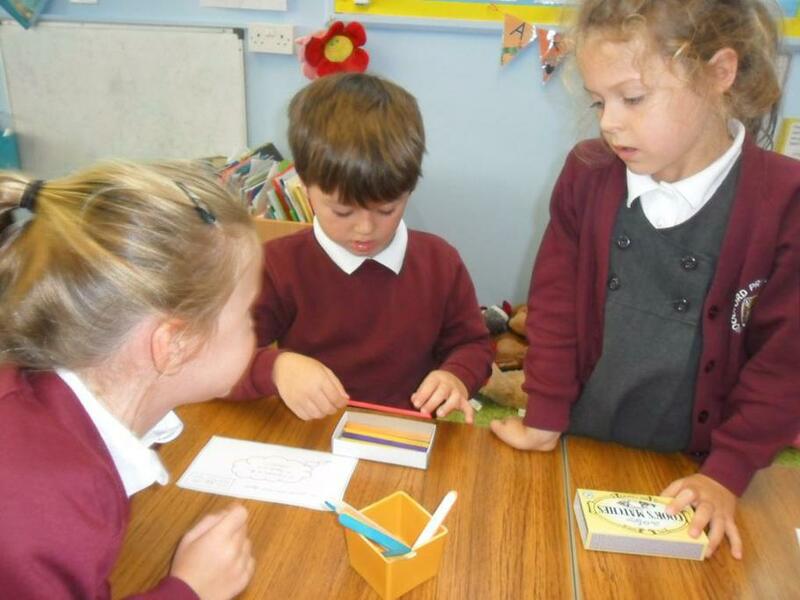 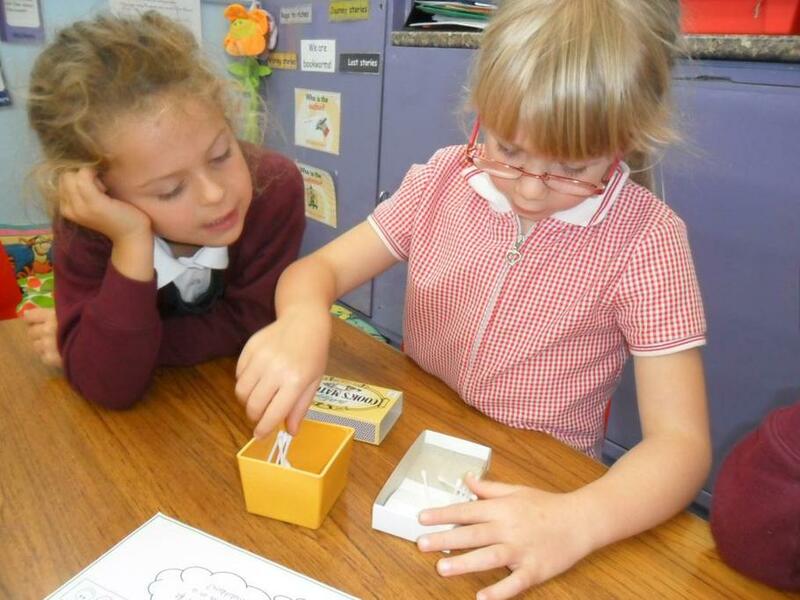 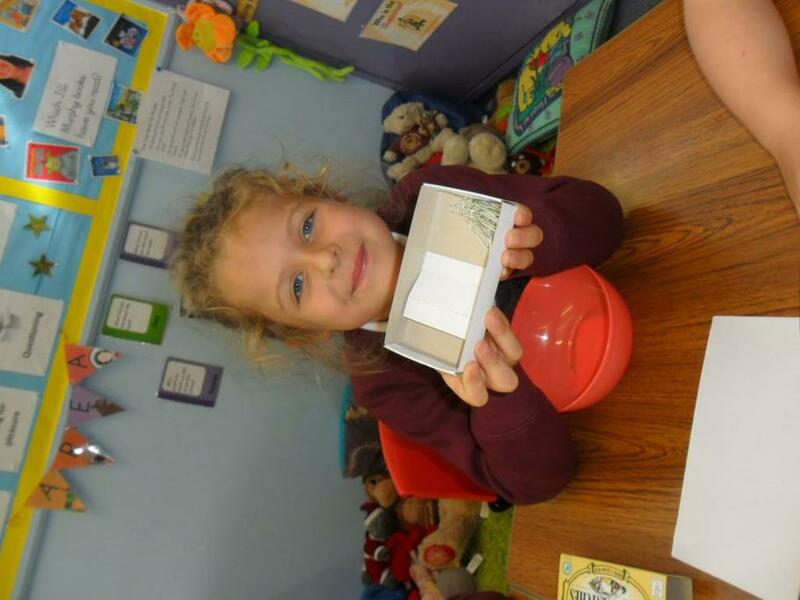 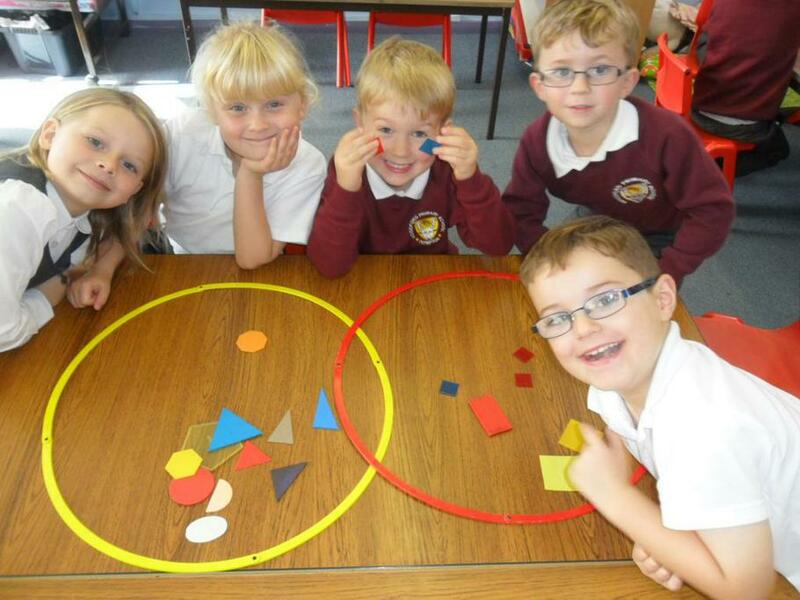 We have also looked at 2D shapes and have been learning their names and some of their properties. 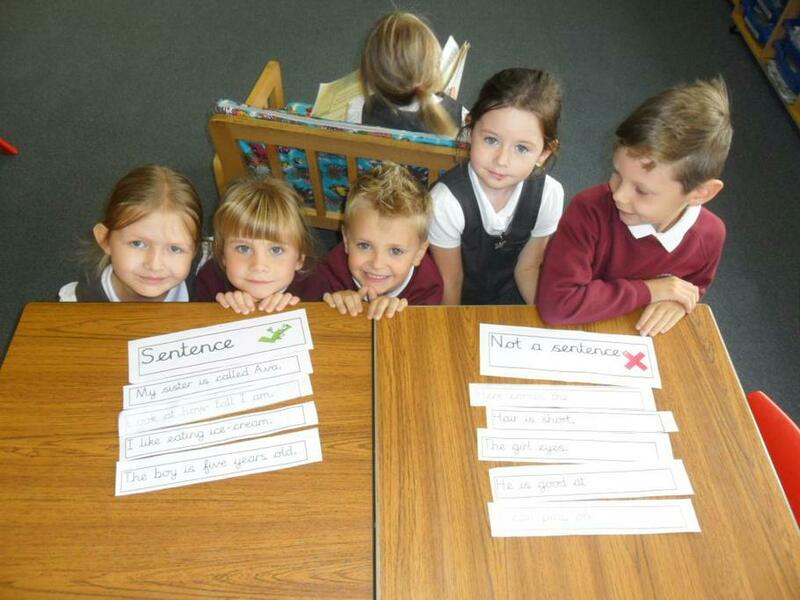 In English, we have been looking at what makes a sentence. 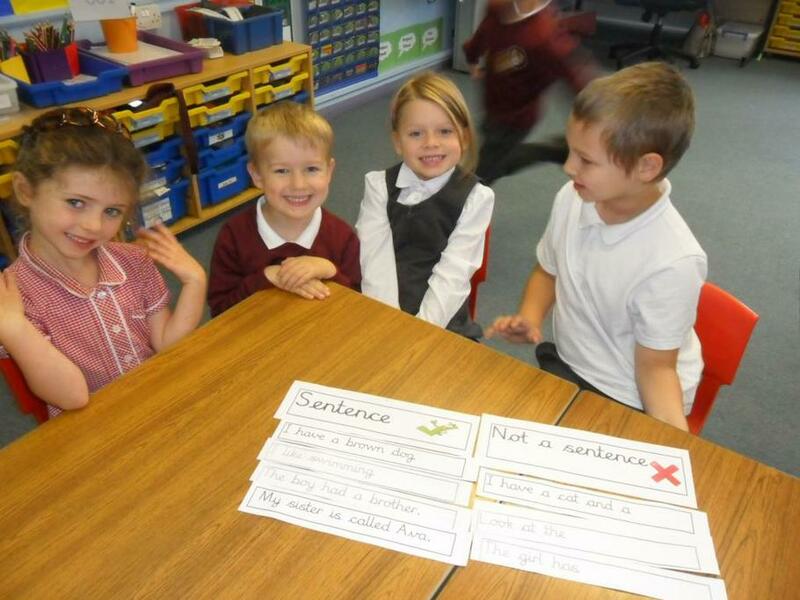 We have started to use our sentence toolkit to help us write super sentences. 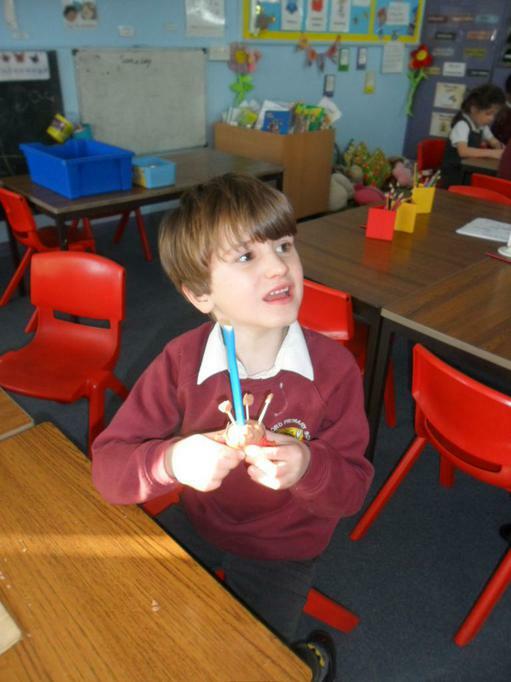 Ask us to show you our actions for each tool in our toolkit. 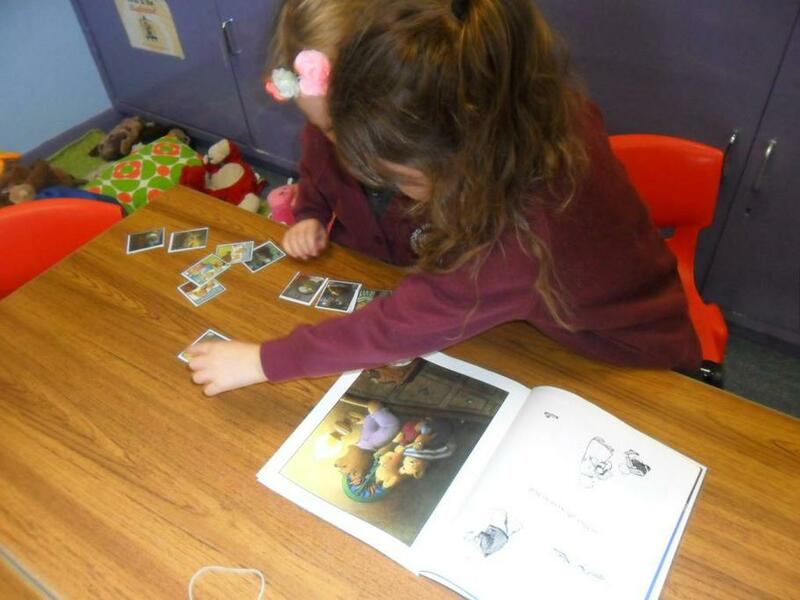 We have been reading lots of books by our Author of the Term, Jill Murphy. 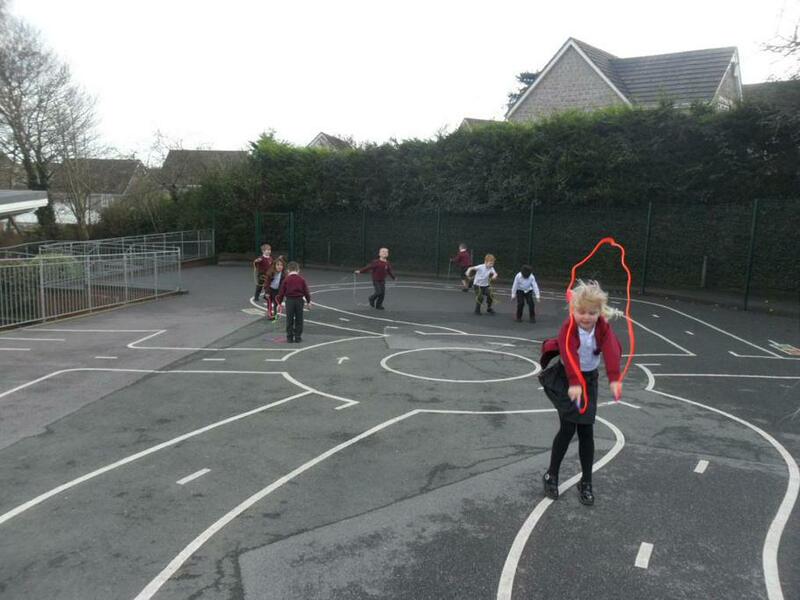 Our favourite has been Peace At Last. 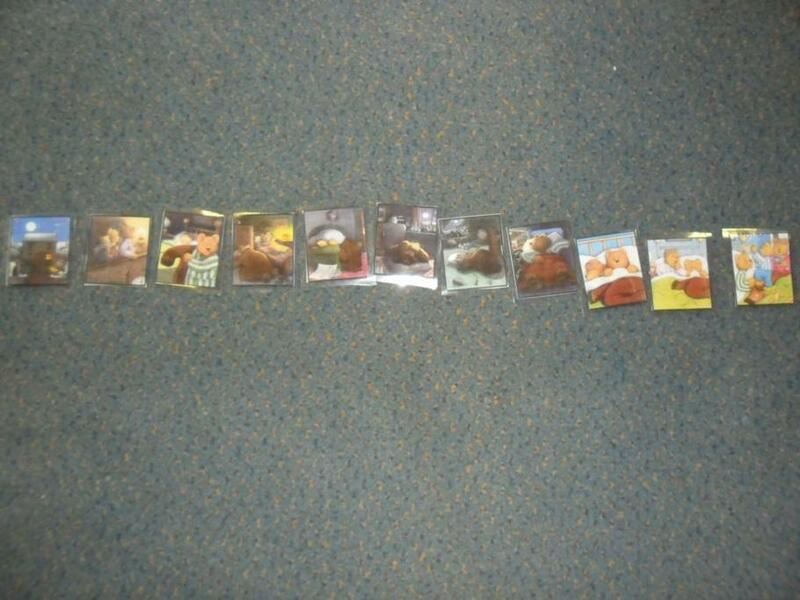 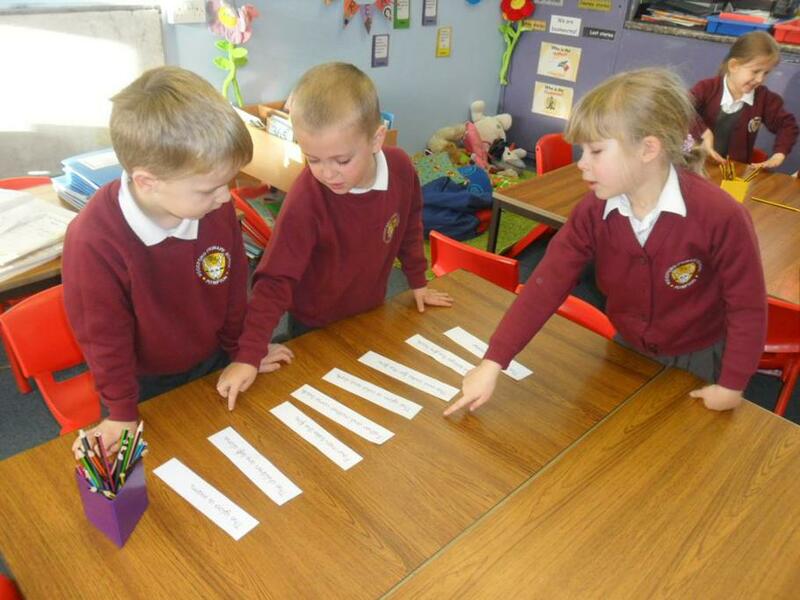 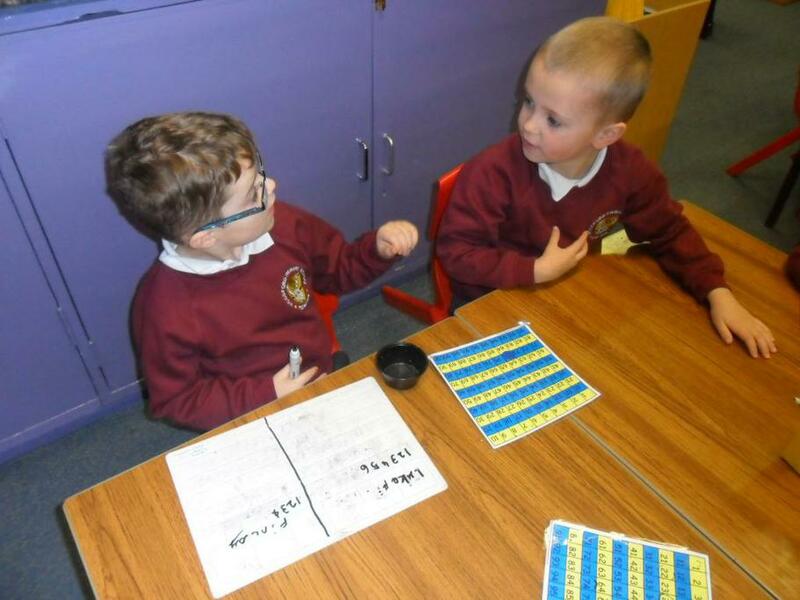 In English we have been learning the story and sequencing it. 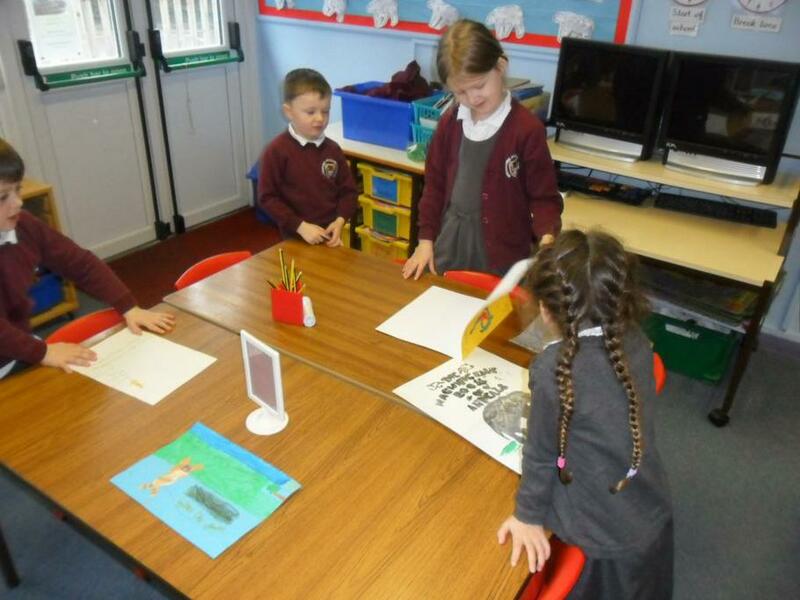 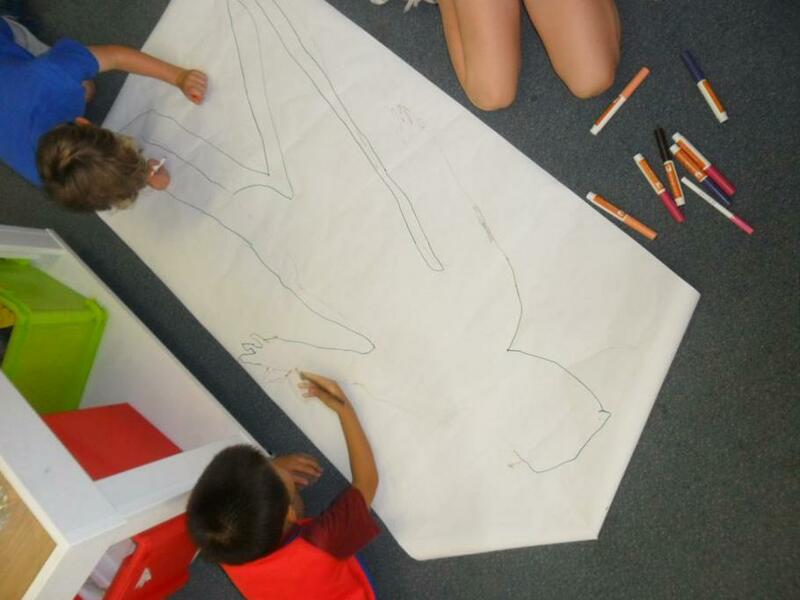 We have innovated the story, by changing the middle part and then have written our own section of the story. 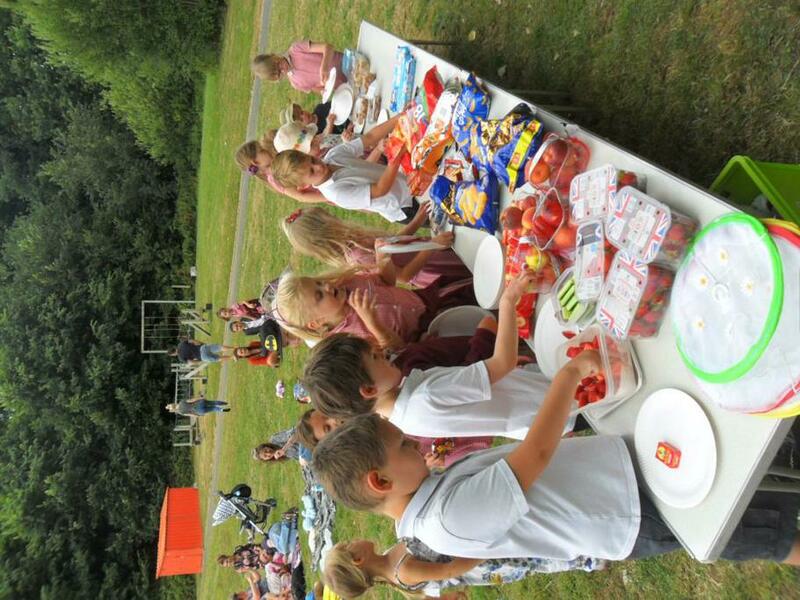 It has been really good fun. 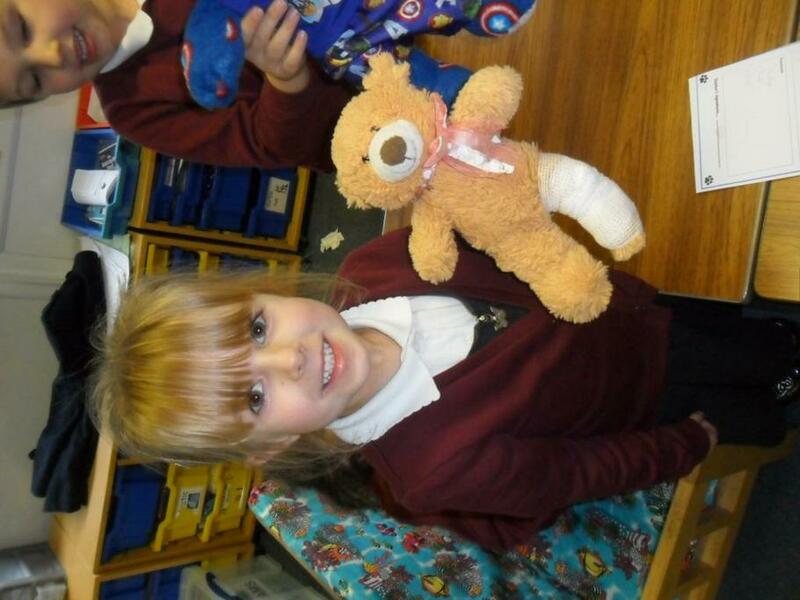 We all feel quite sorry for poor Mr Bear, who just can't seem to get any sleep! 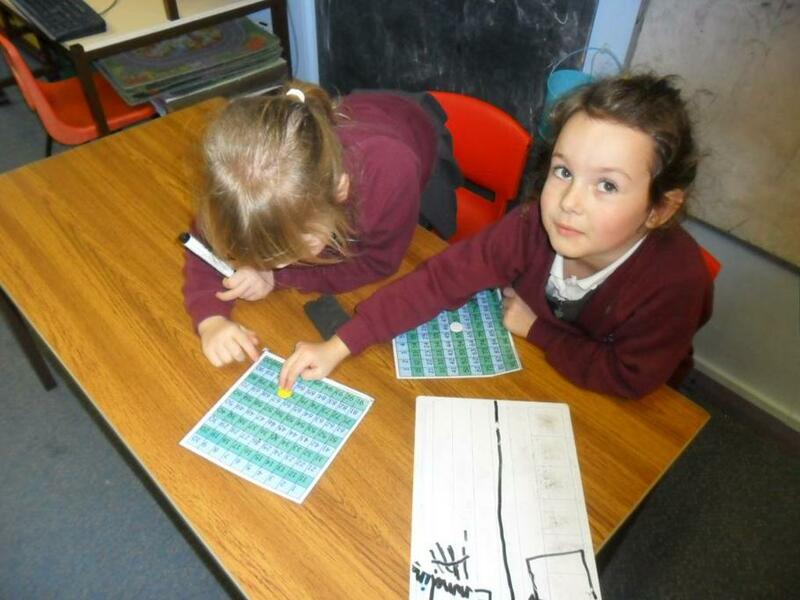 In Geography, we have been learning about our local area and maps. 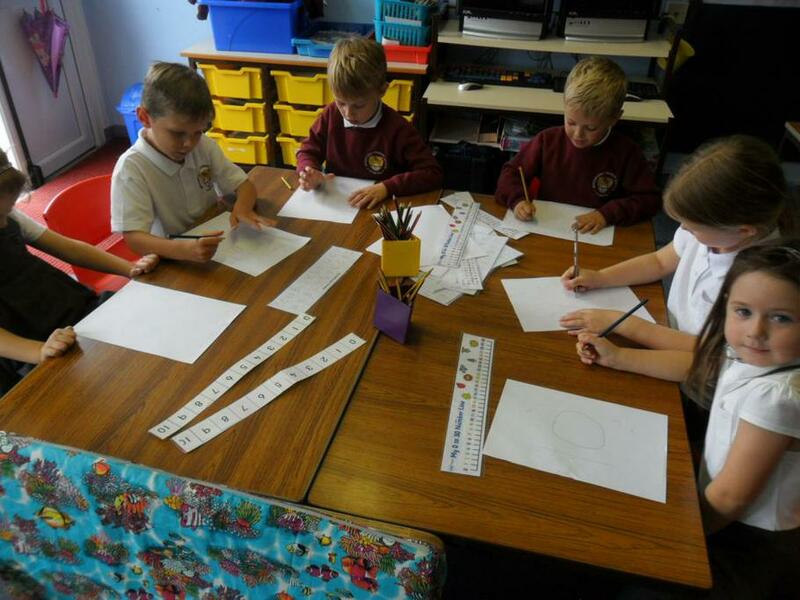 We have been drawing our own maps and making up our own map symbols. 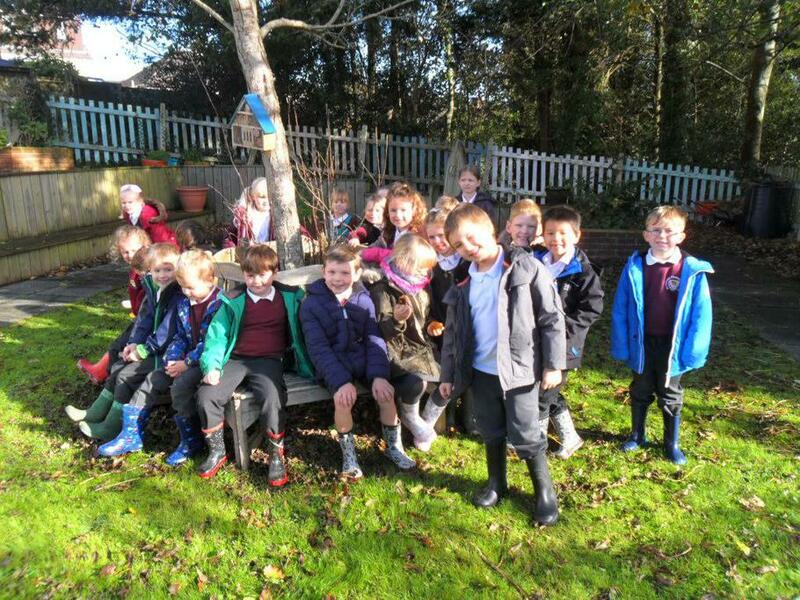 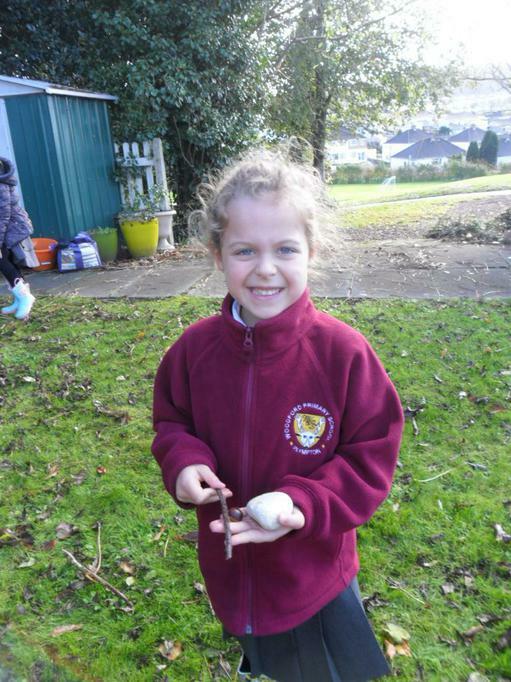 This week we went on a local walk around Woodford to spot human and physical features. 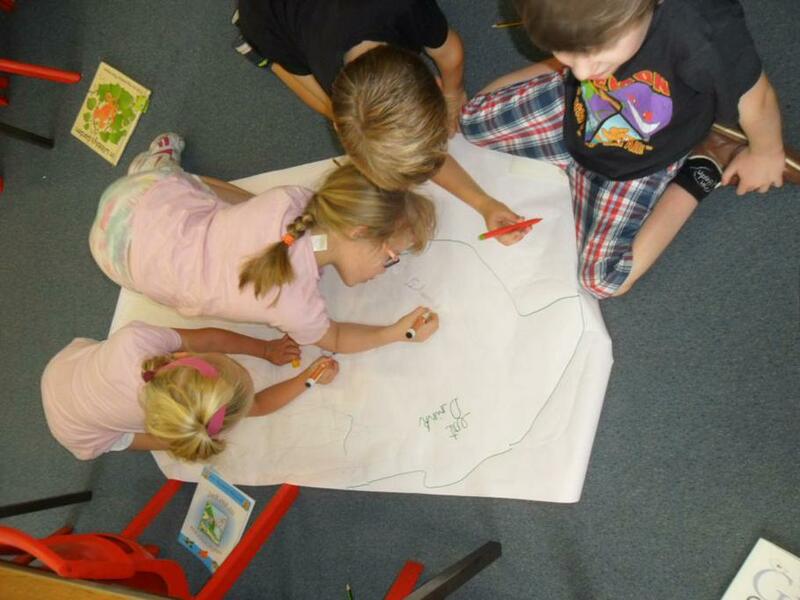 We then drew our own maps of the route. 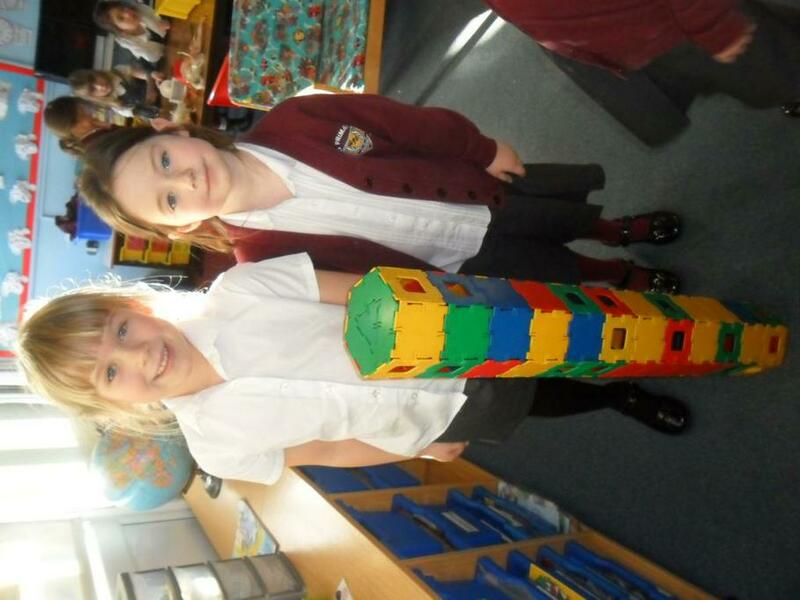 We have also been discussing the different types of houses we all live in. 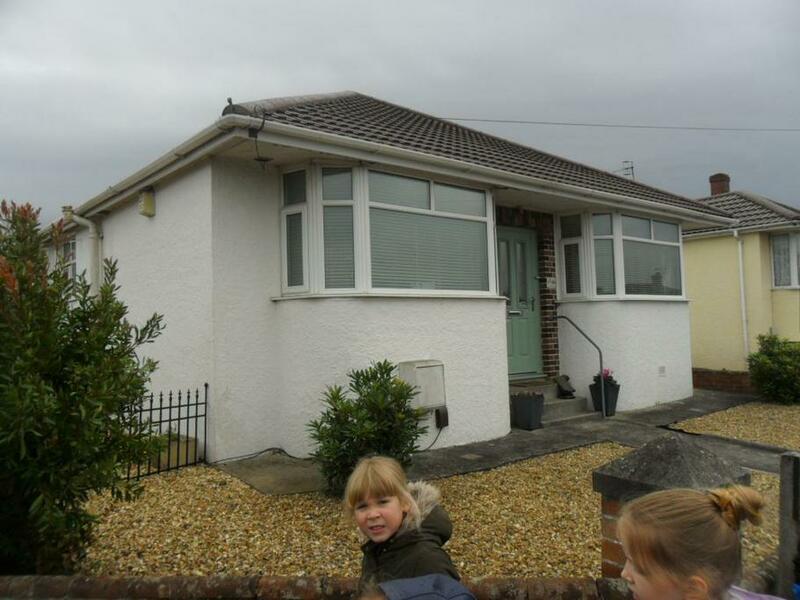 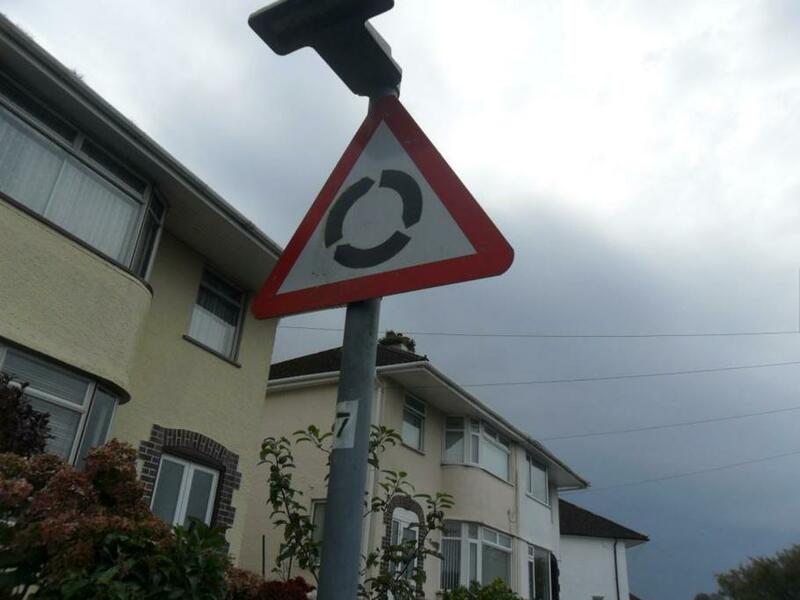 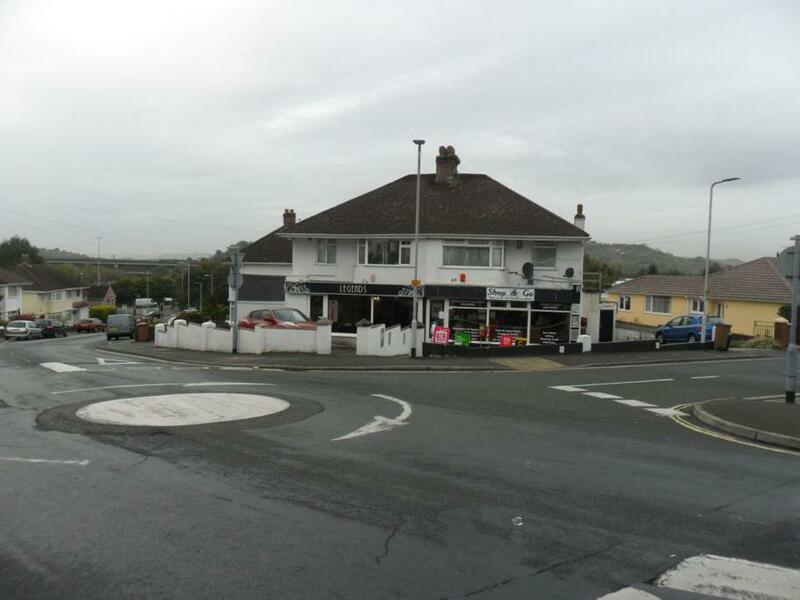 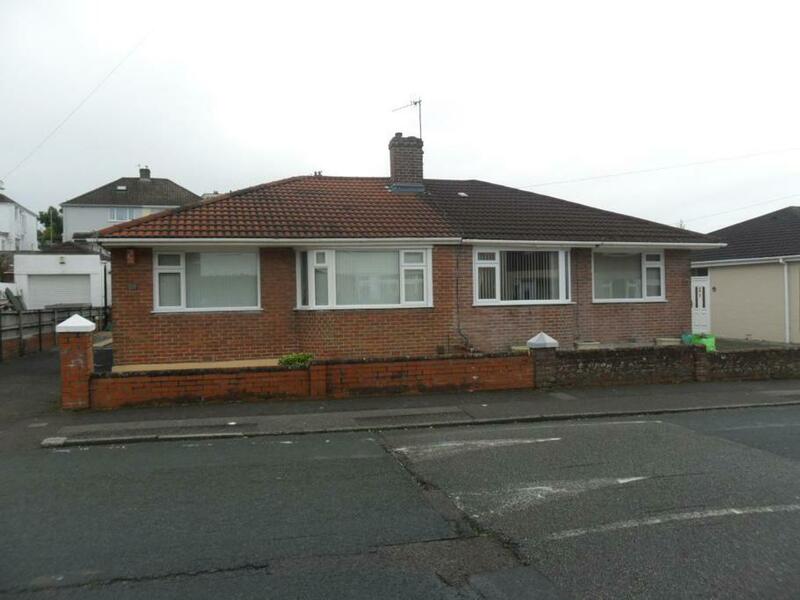 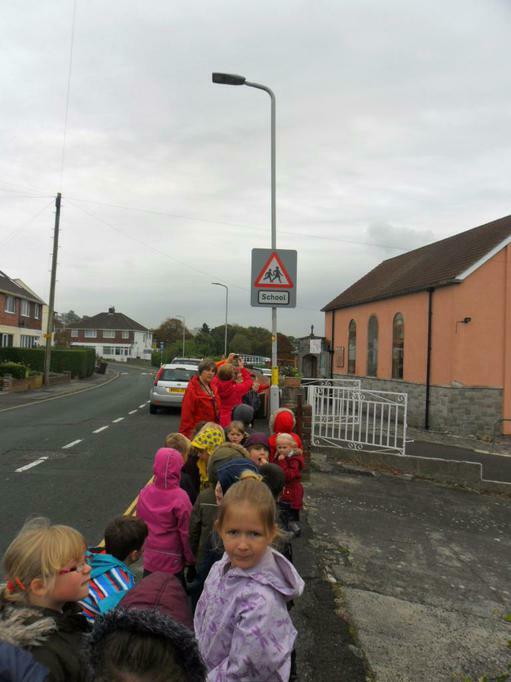 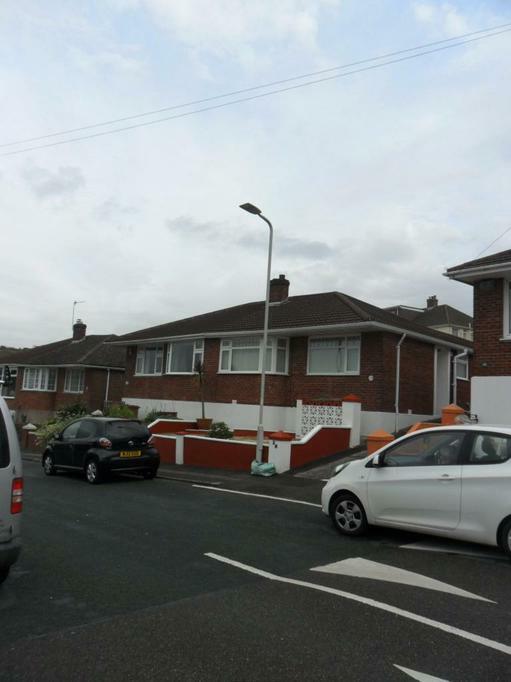 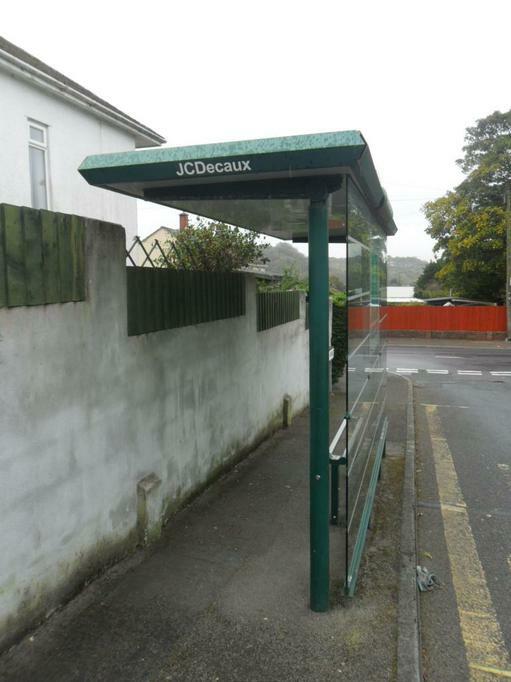 Ask us what sort of houses we spotted on our walk and hopefully we'll be able to tell you!